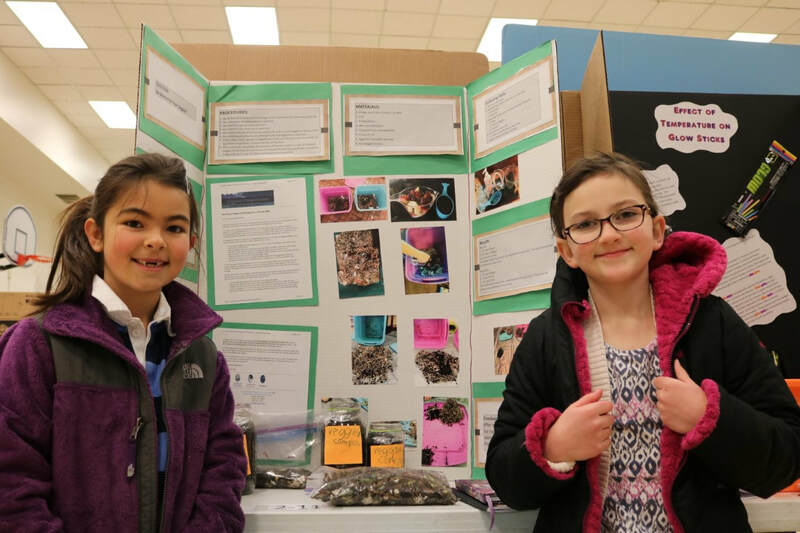 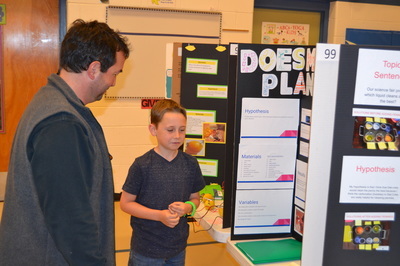 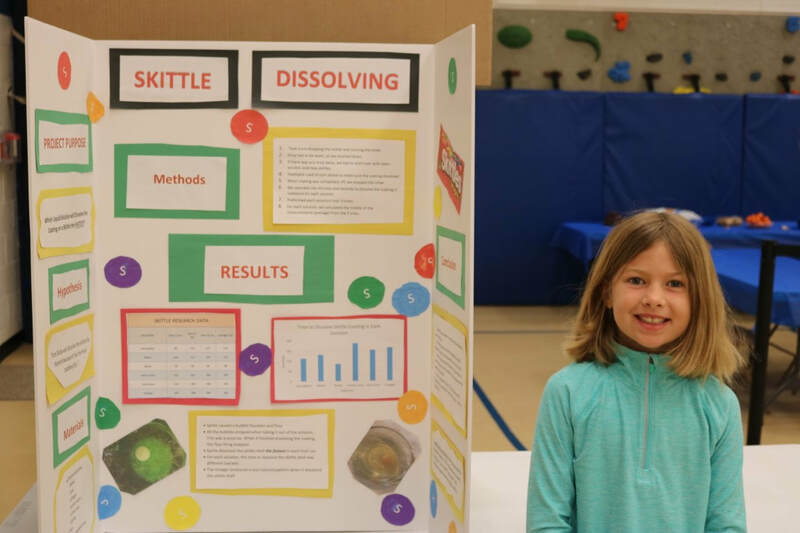 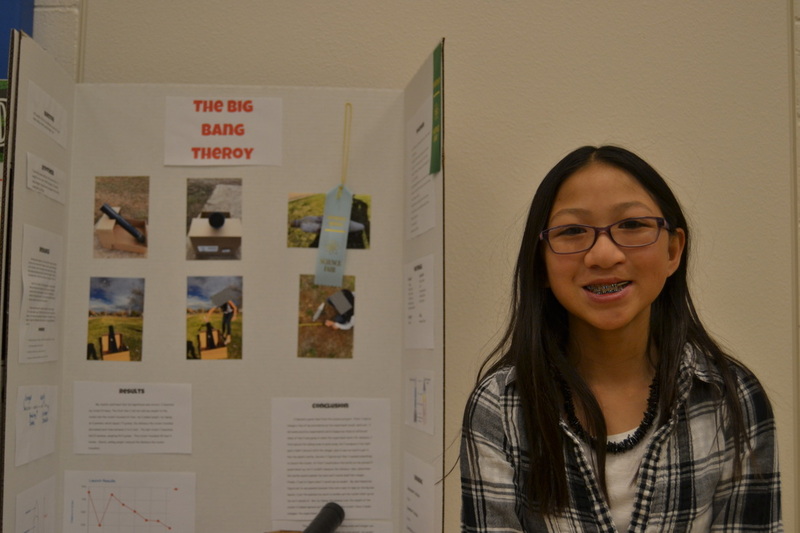 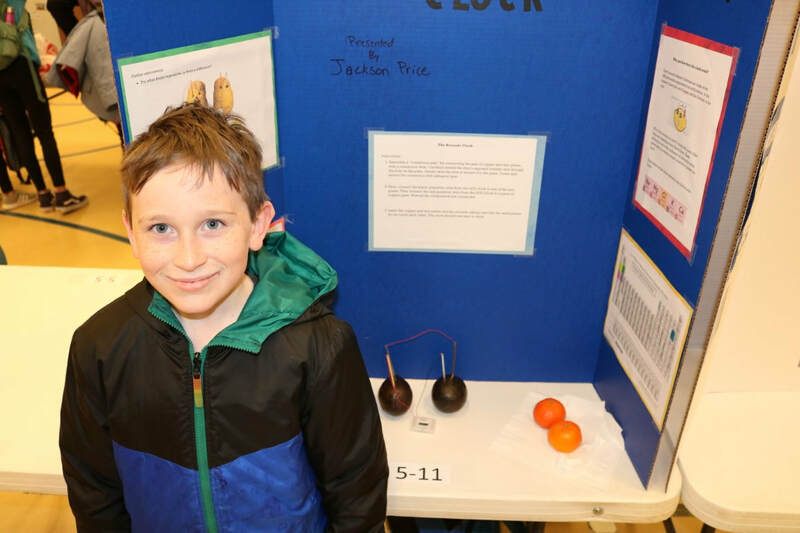 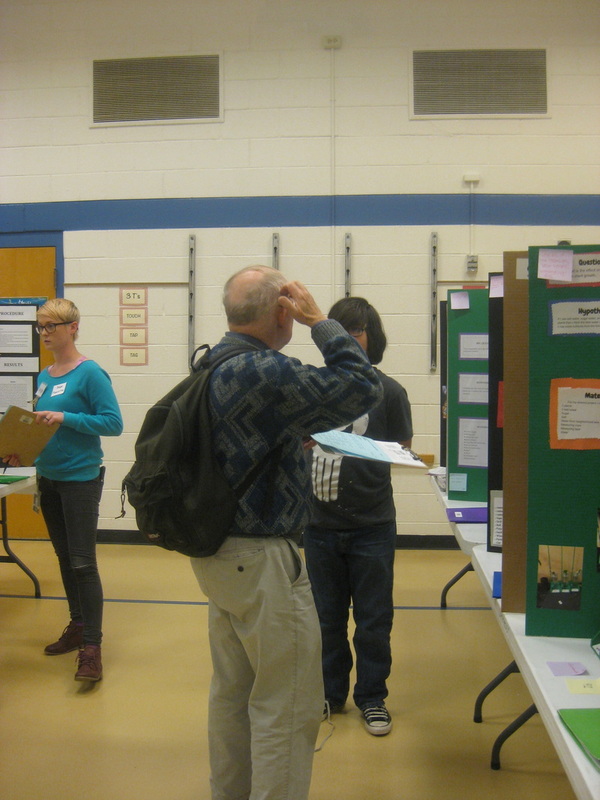 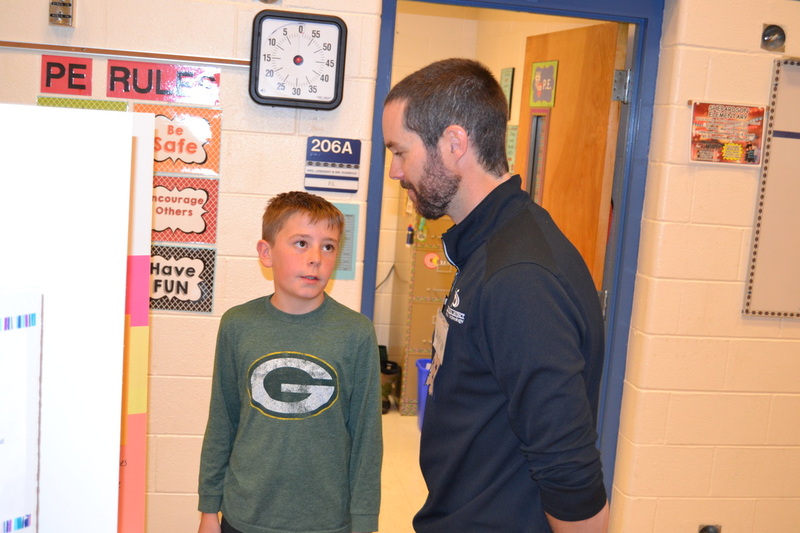 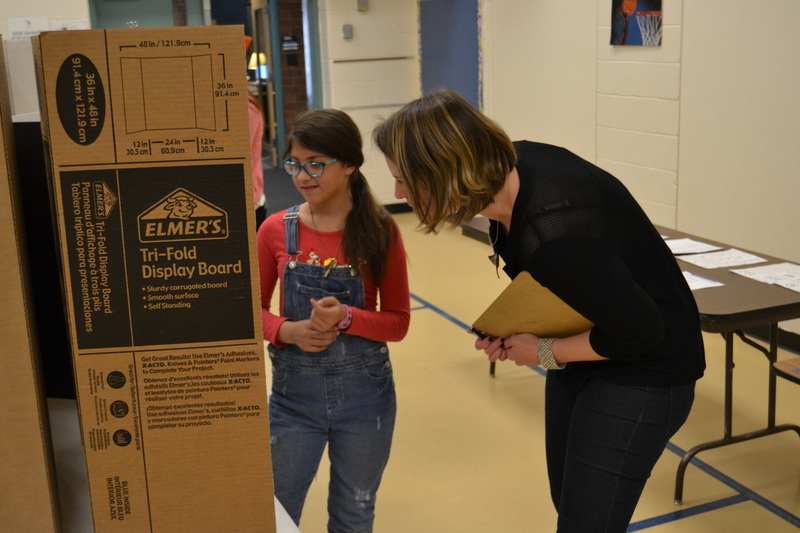 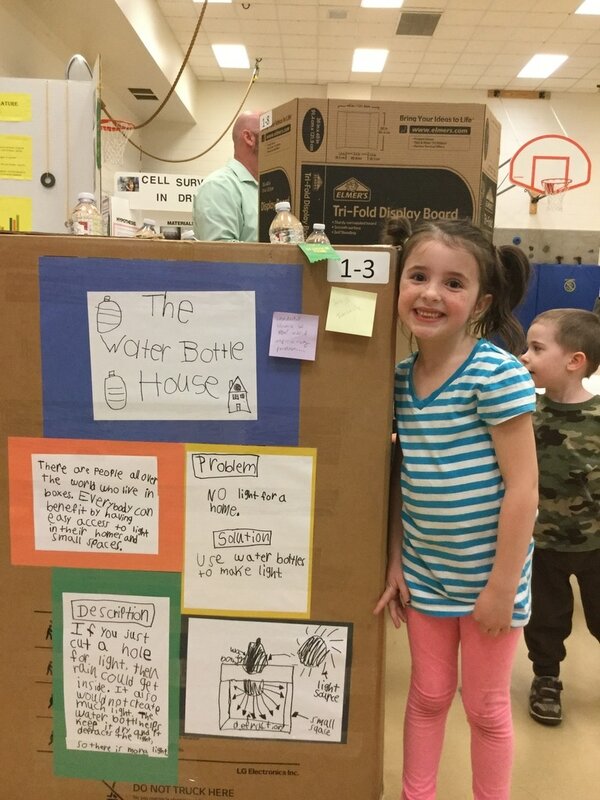 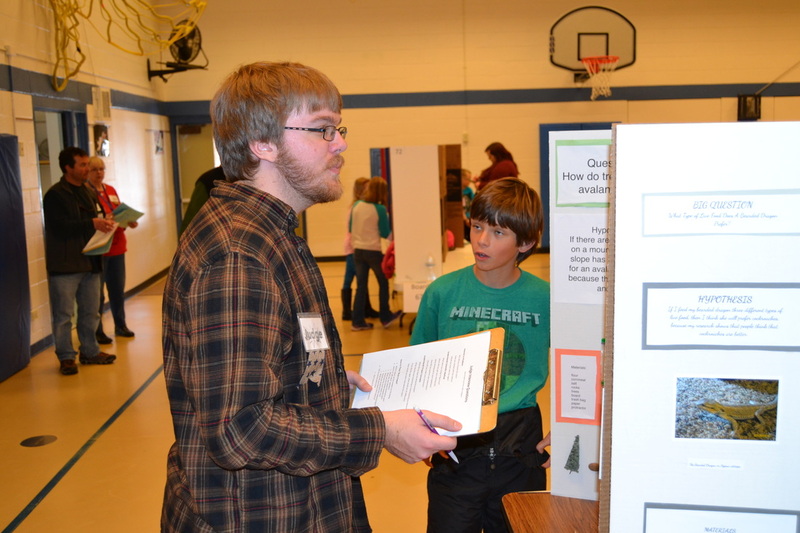 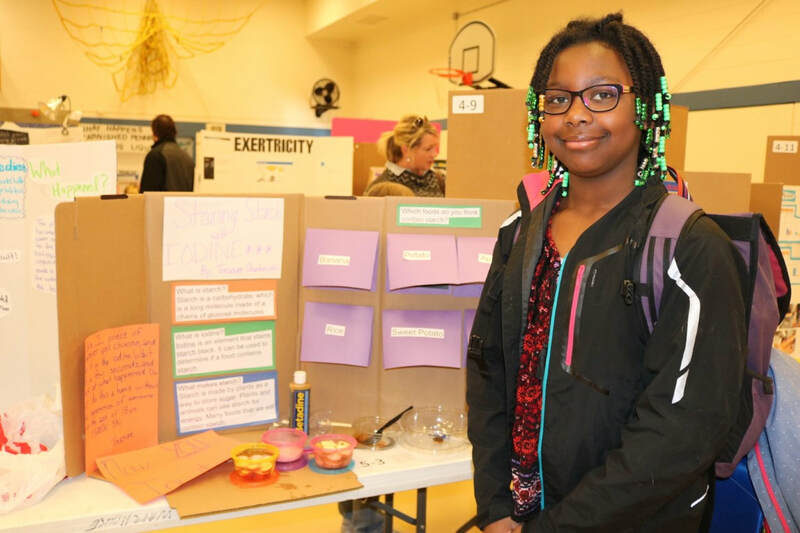 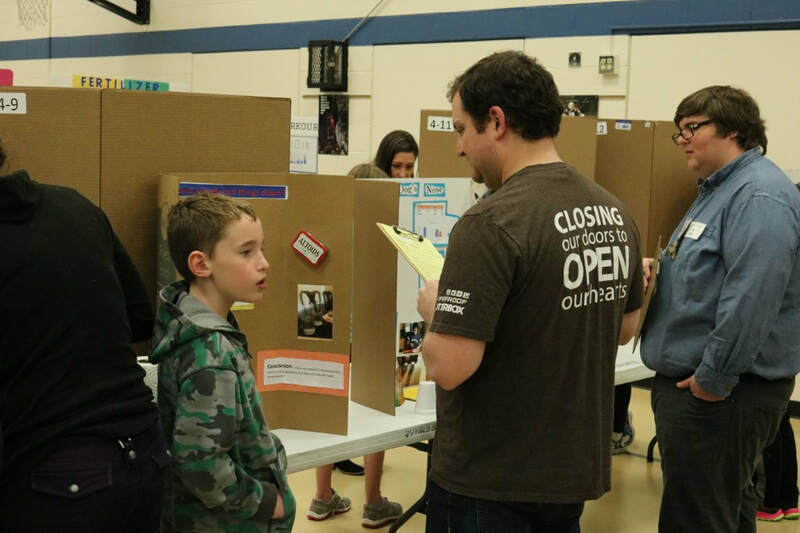 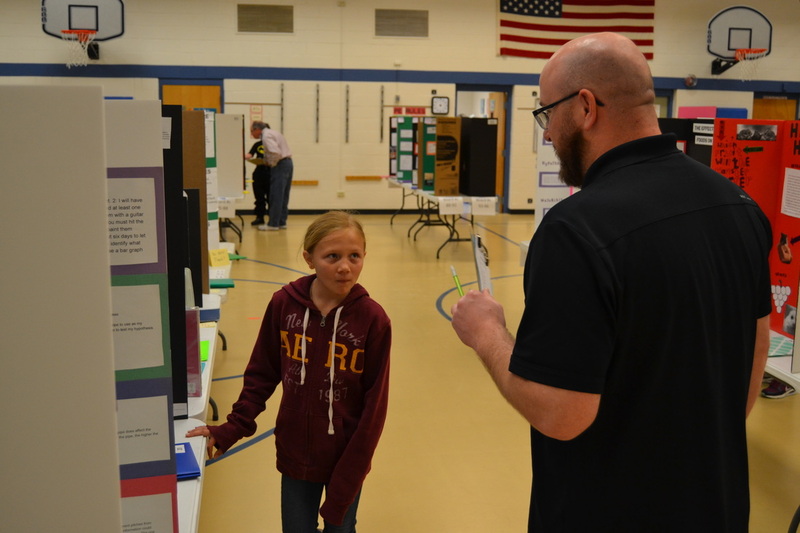 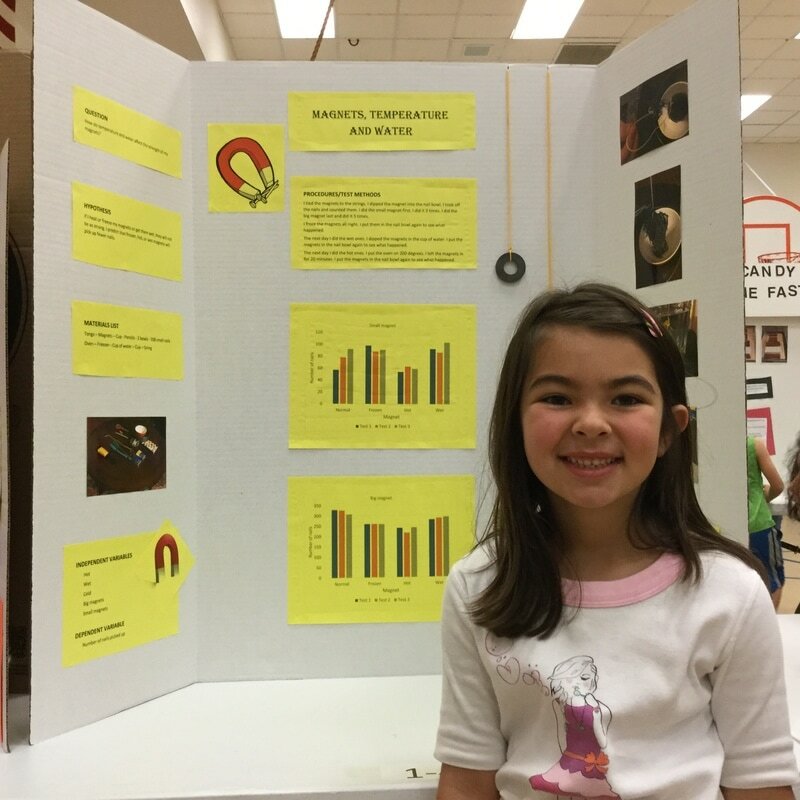 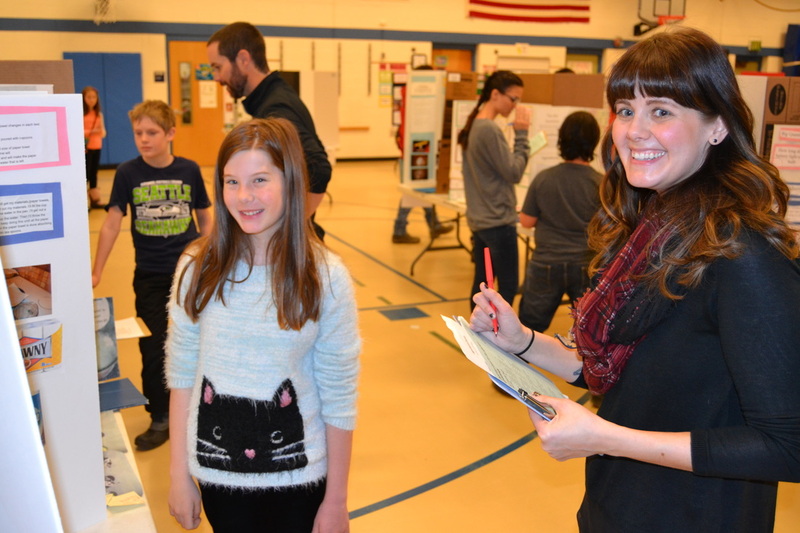 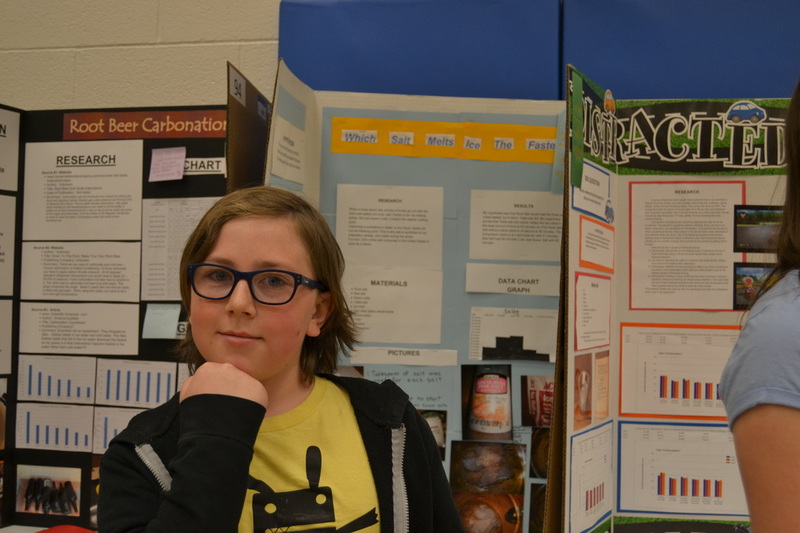 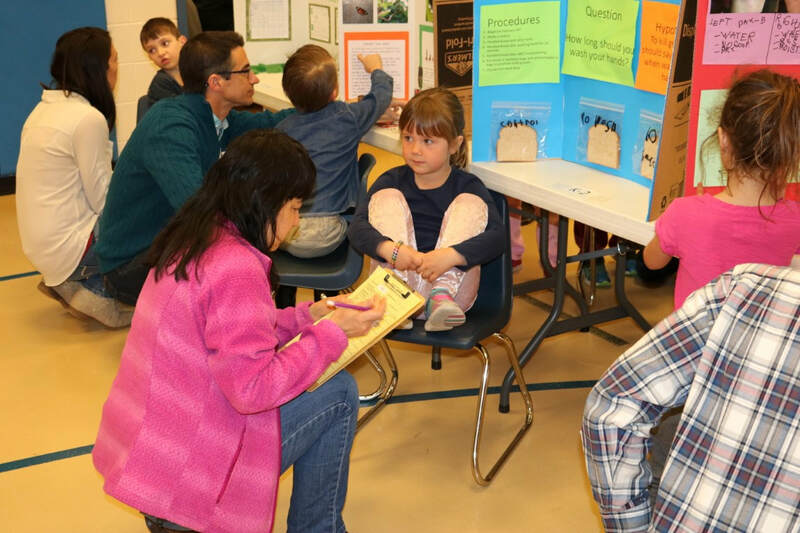 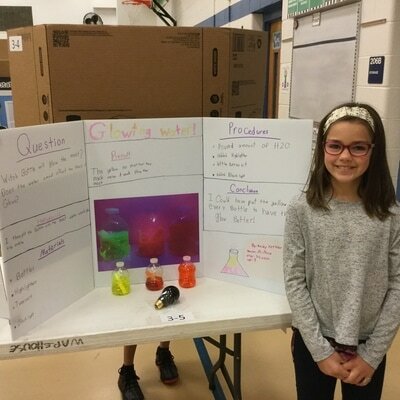 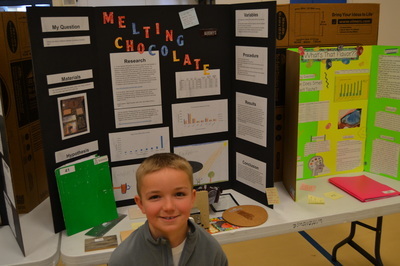 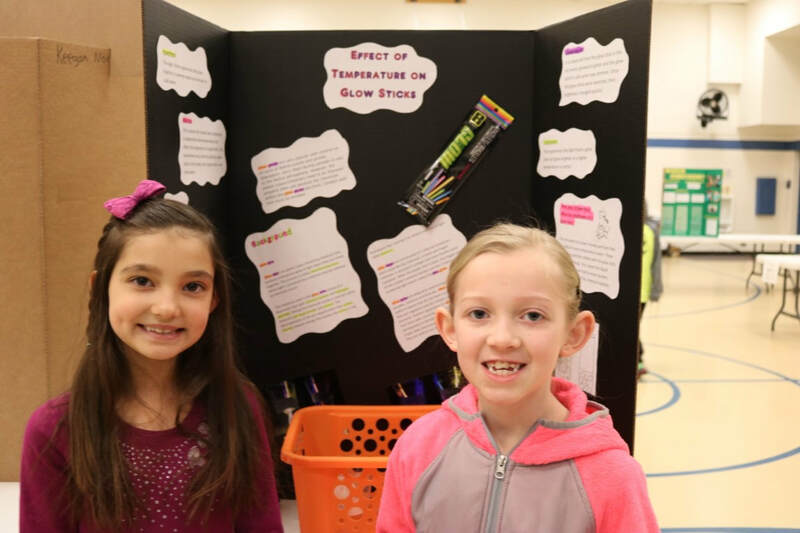 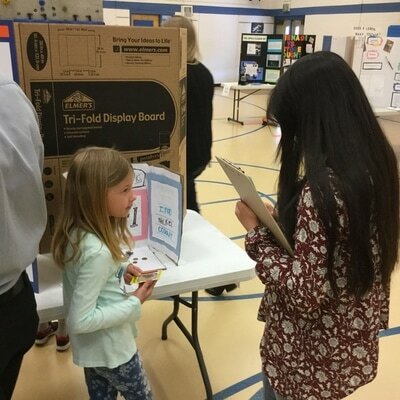 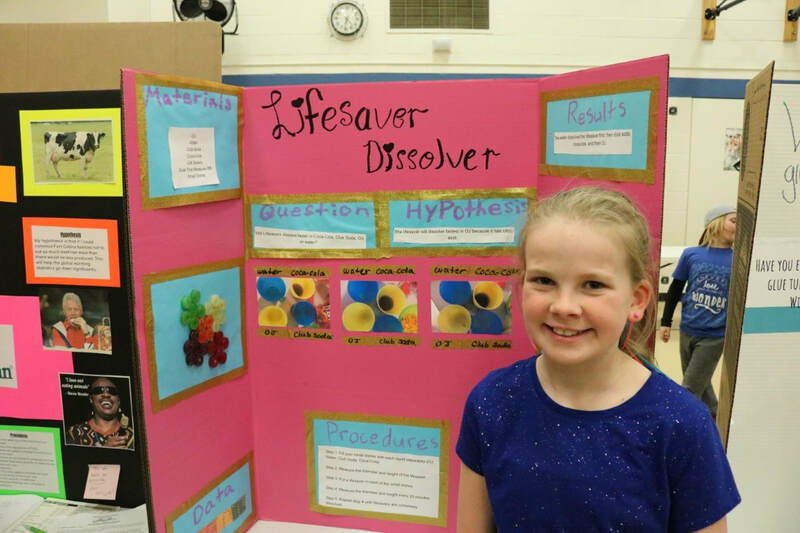 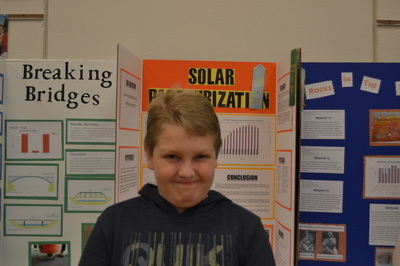 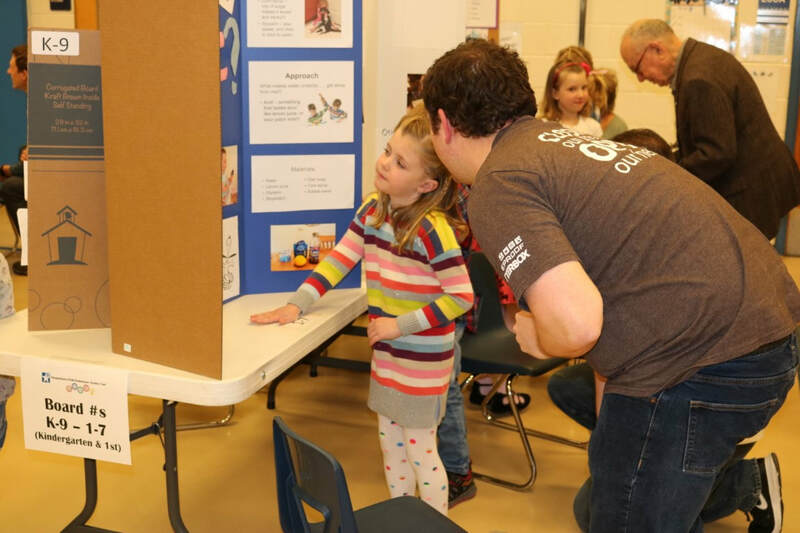 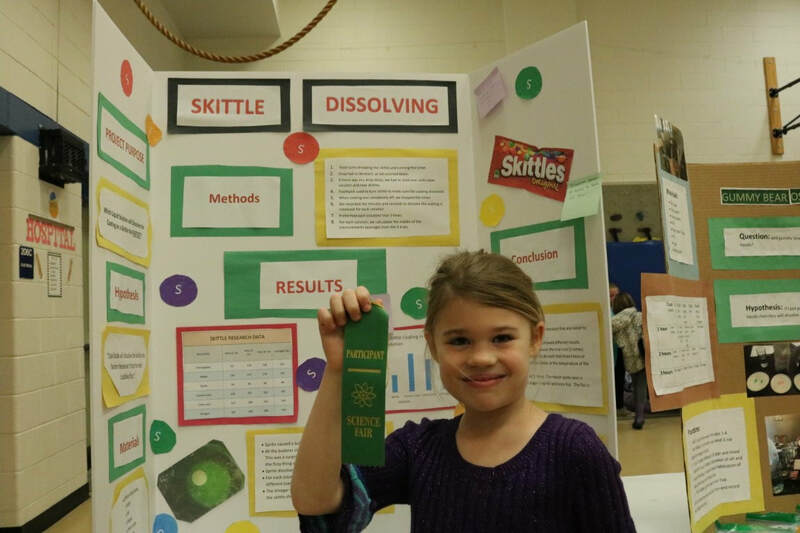 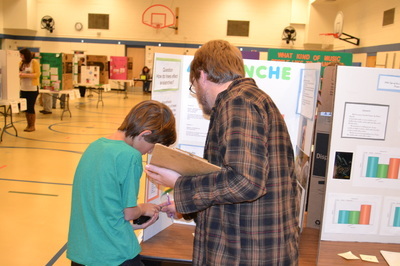 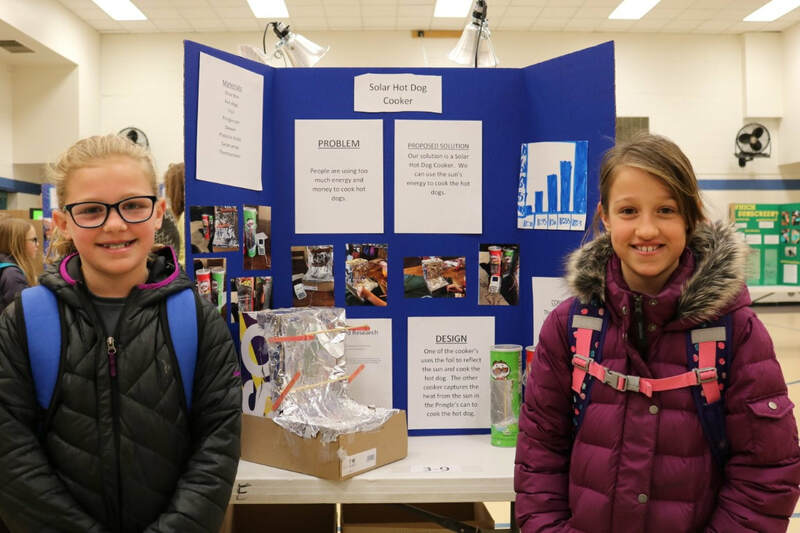 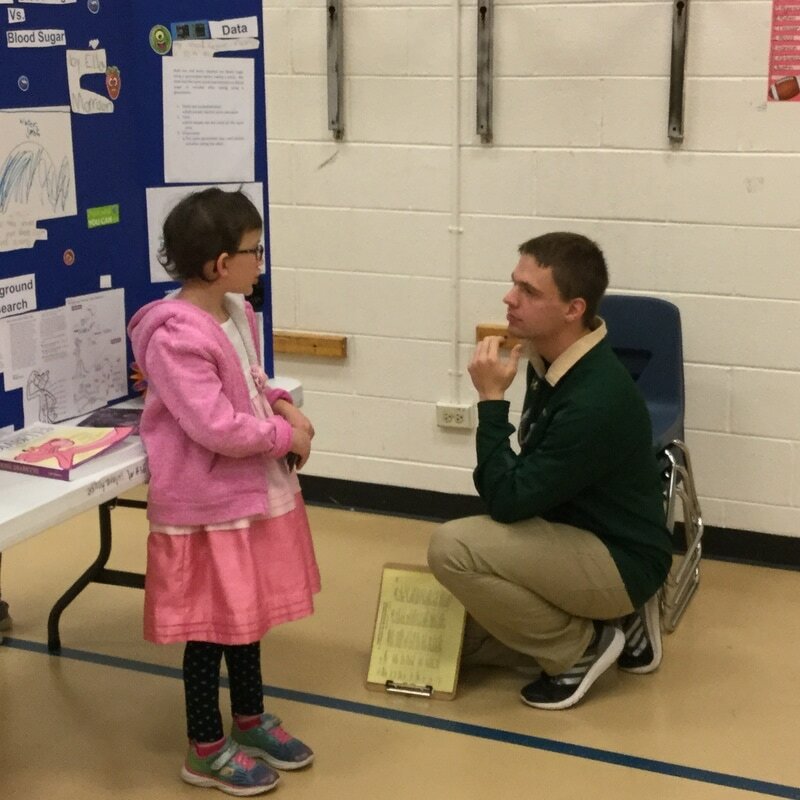 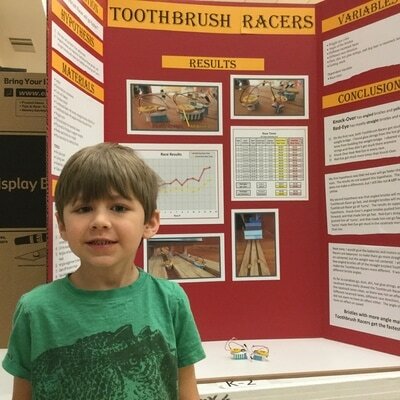 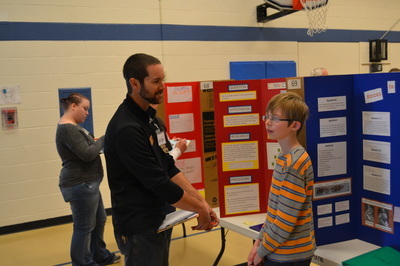 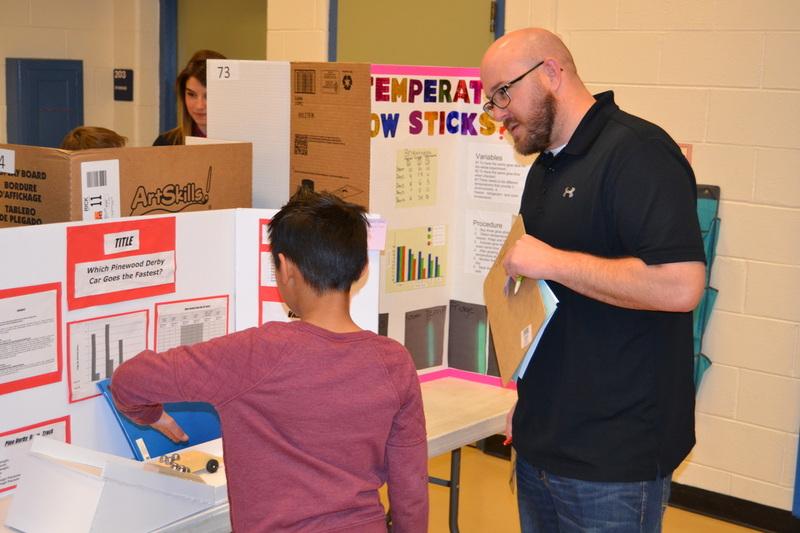 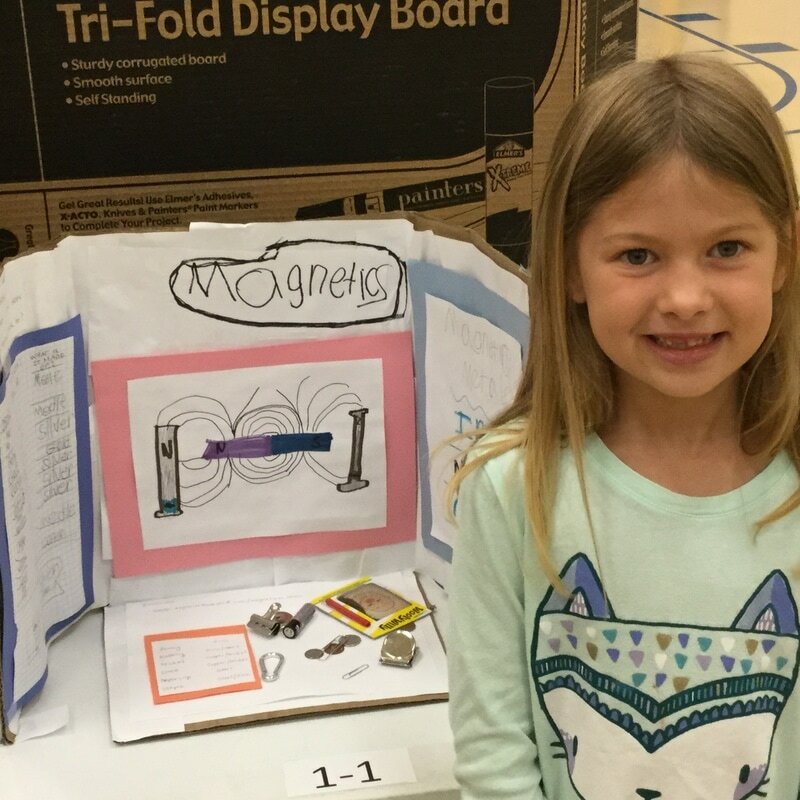 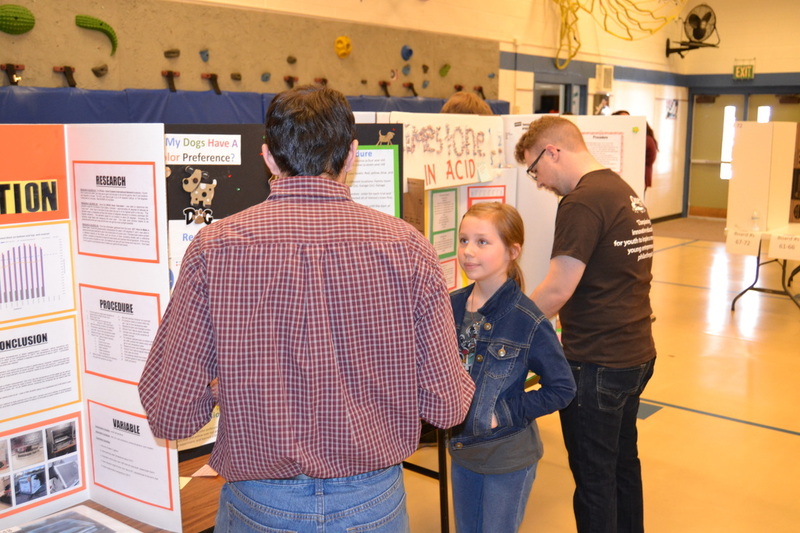 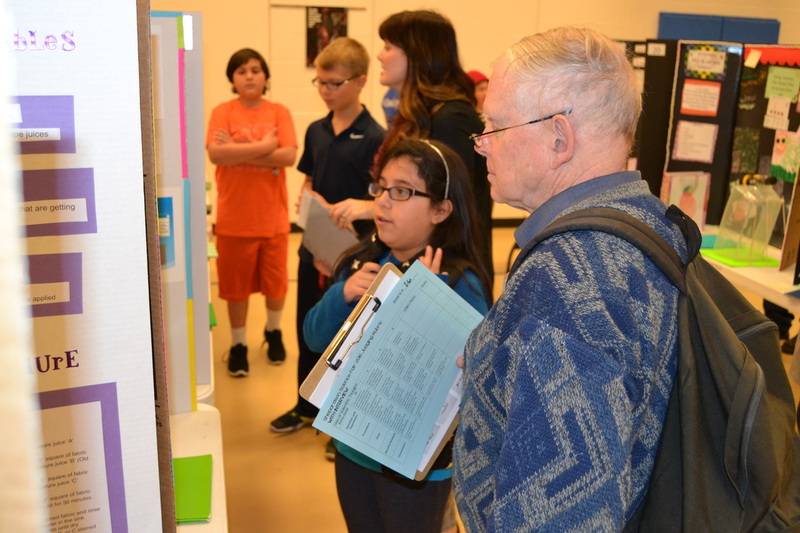 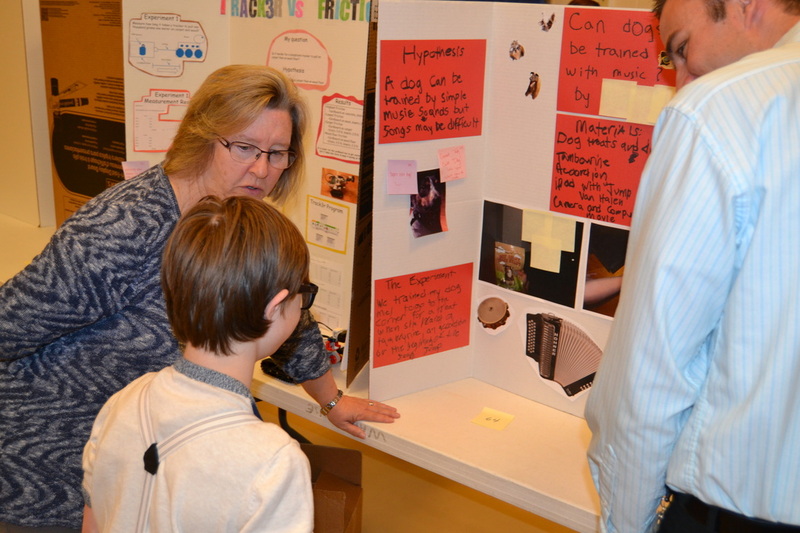 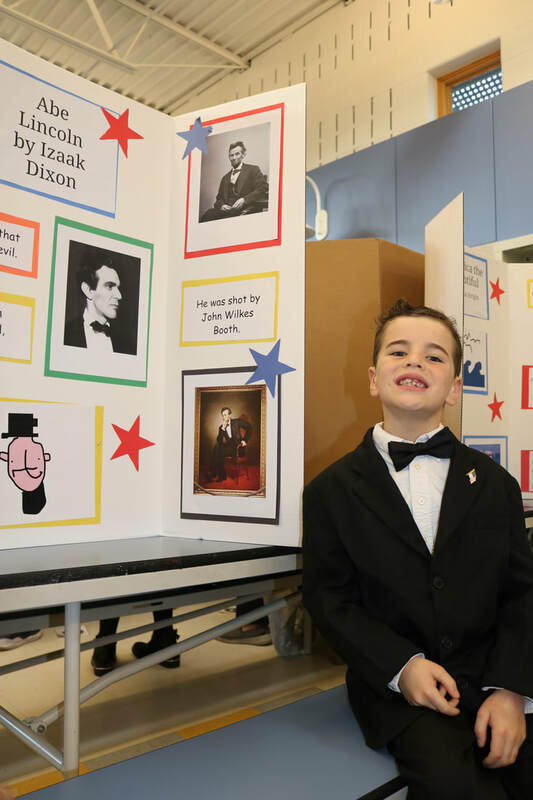 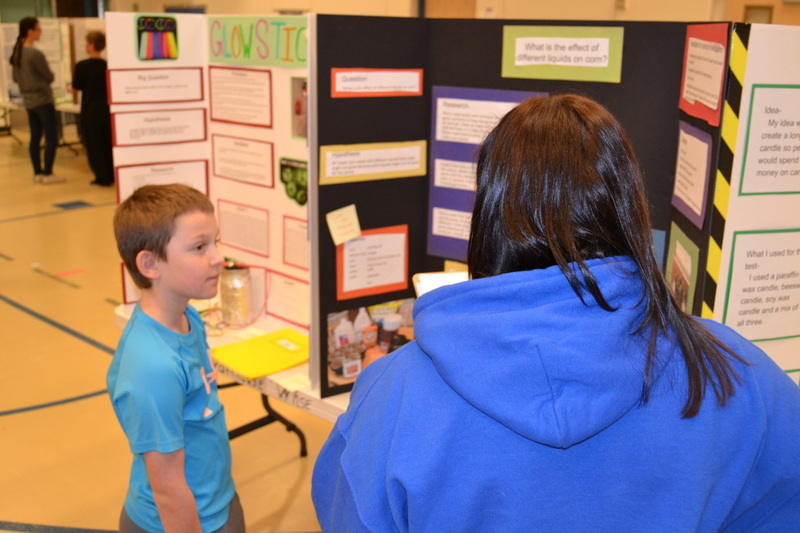 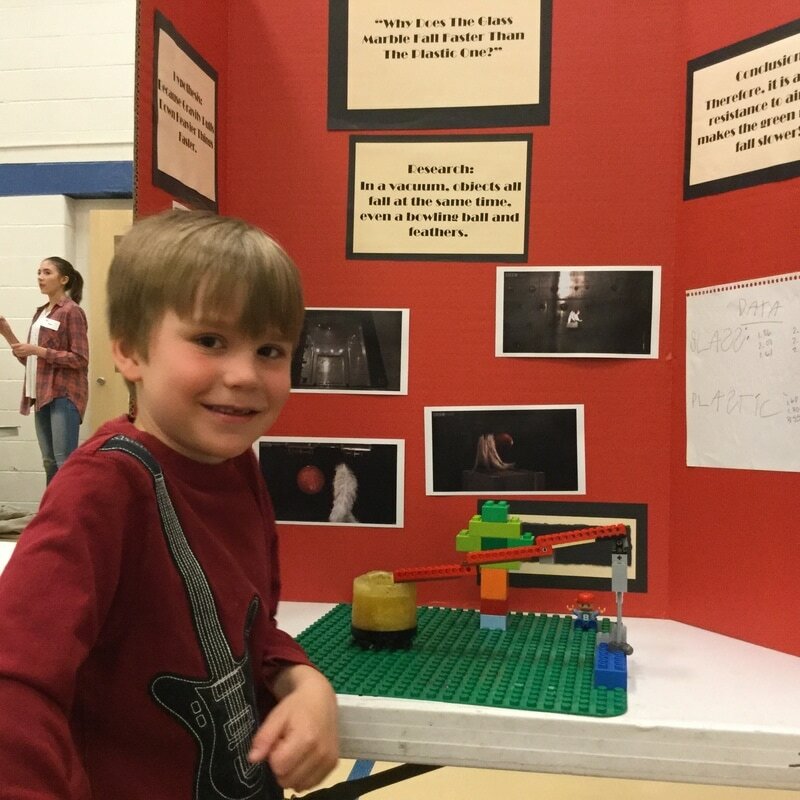 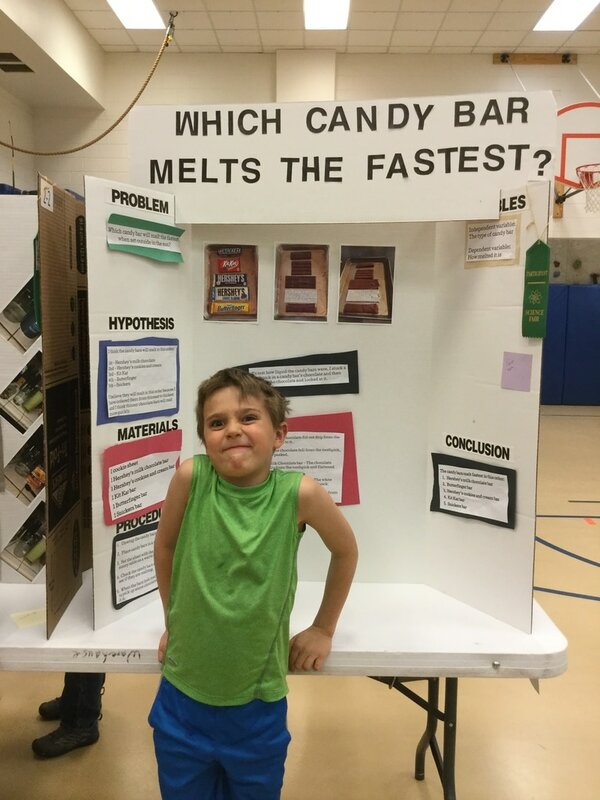 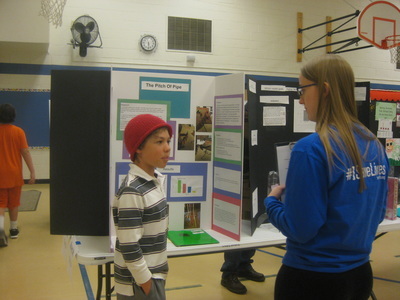 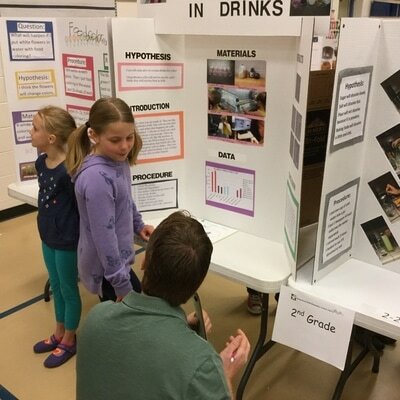 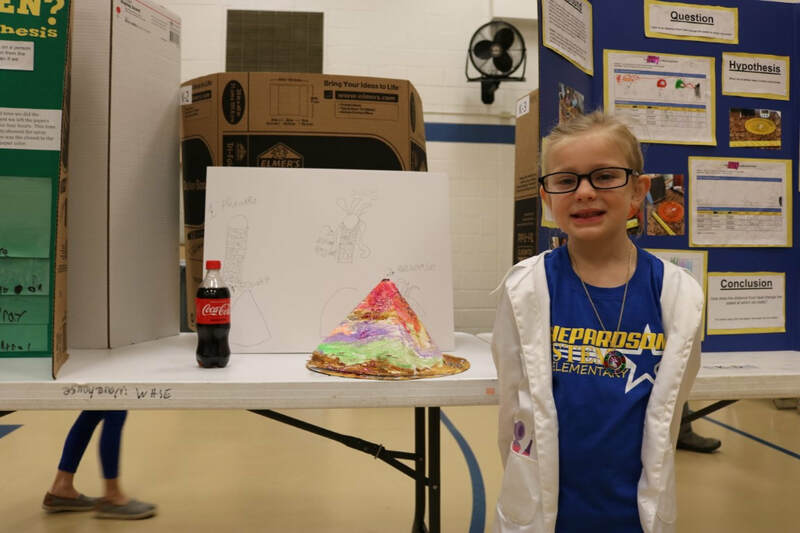 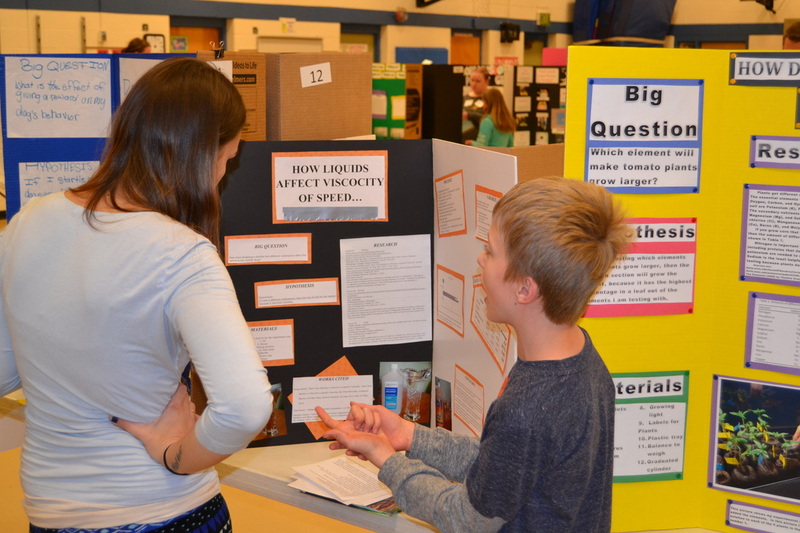 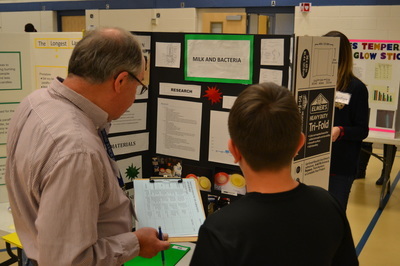 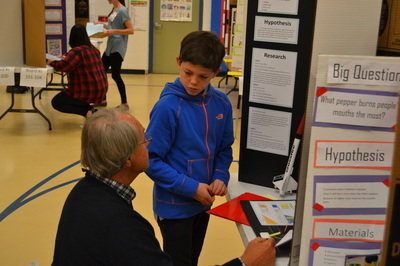 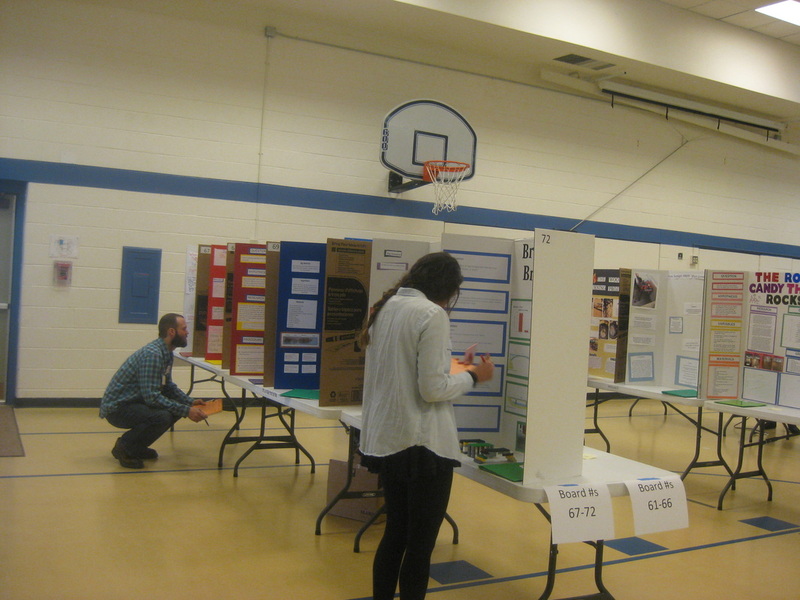 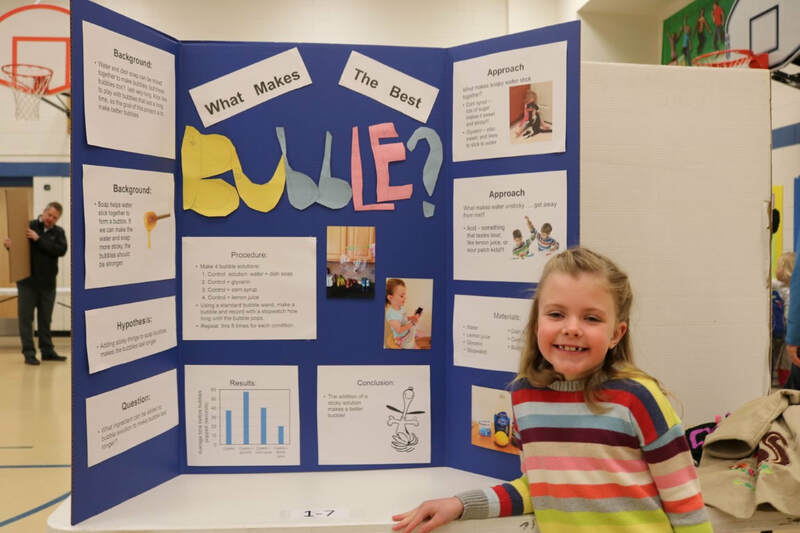 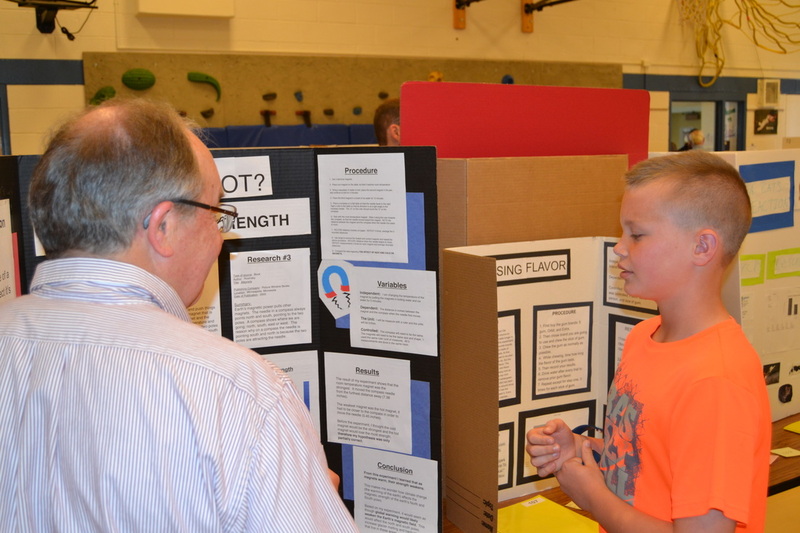 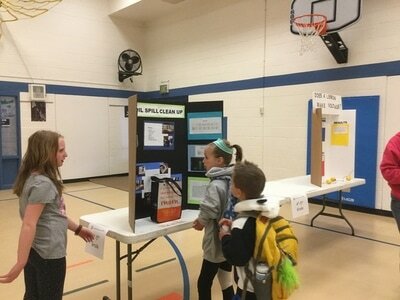 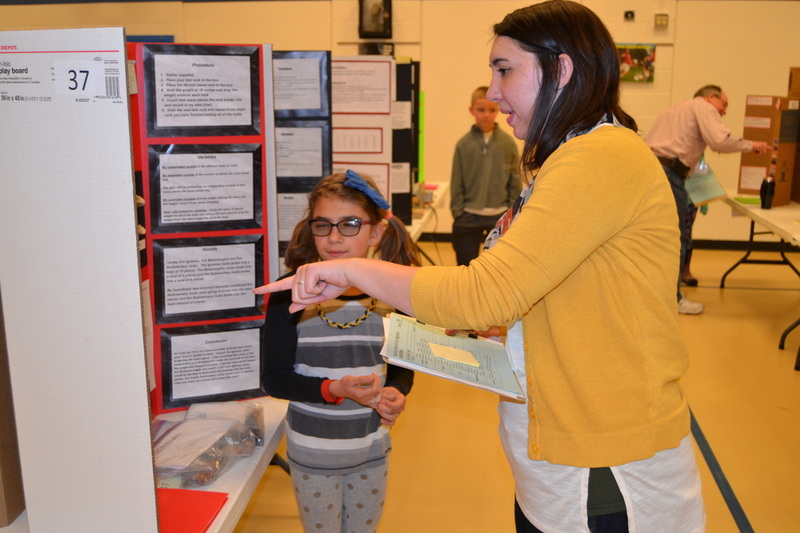 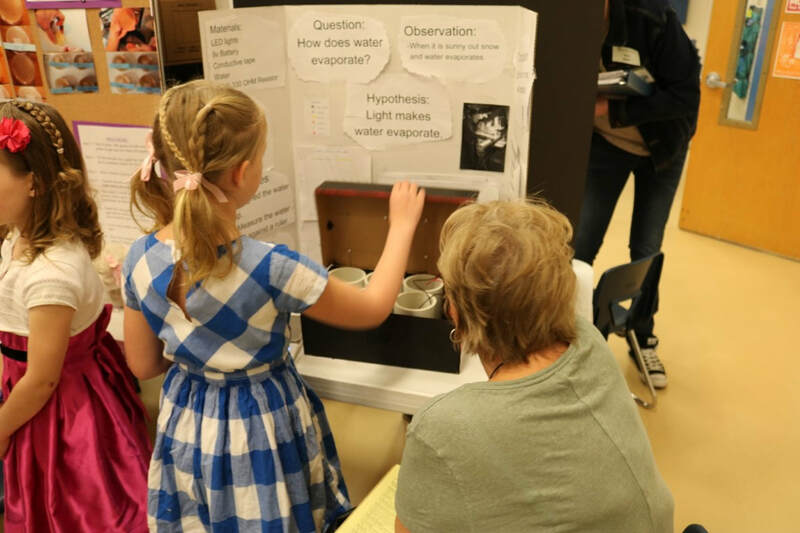 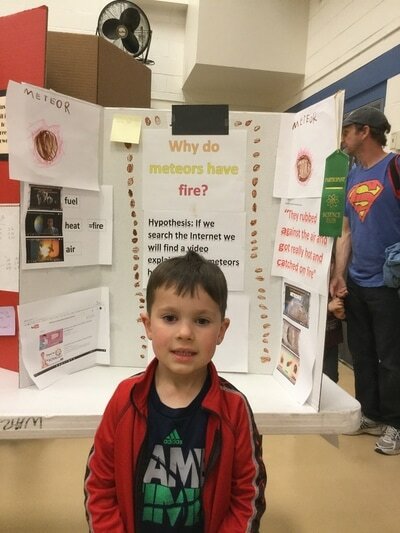 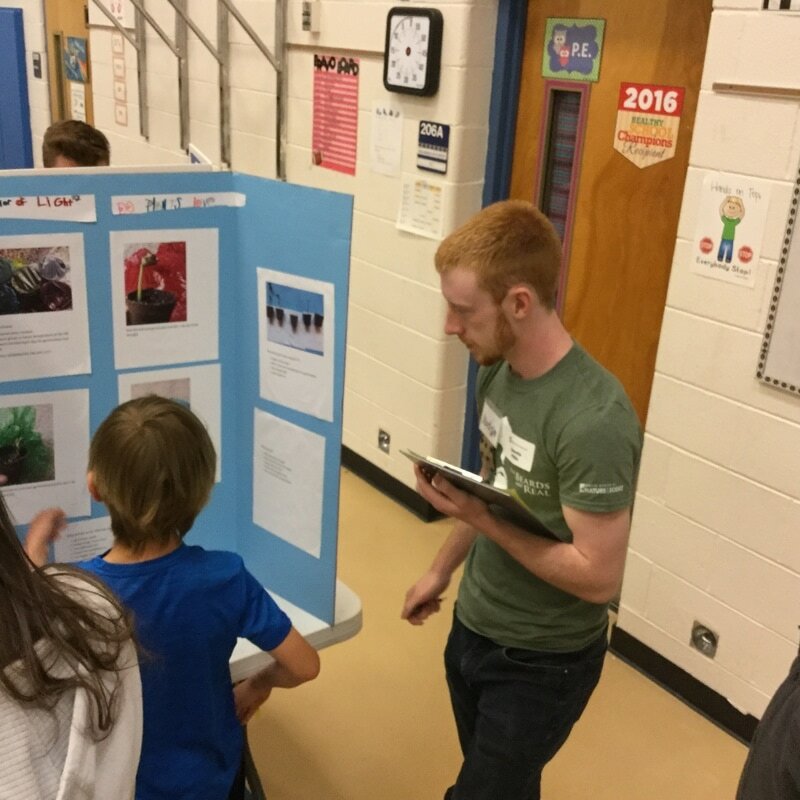 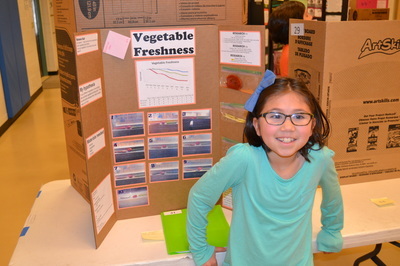 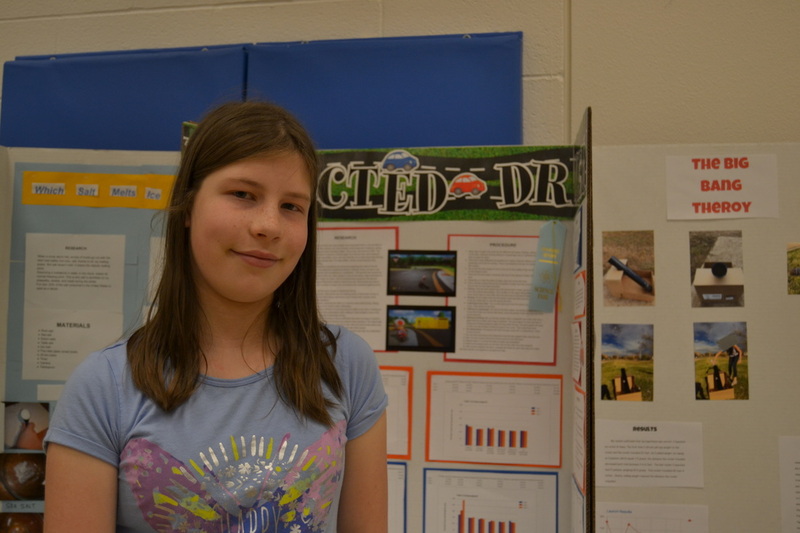 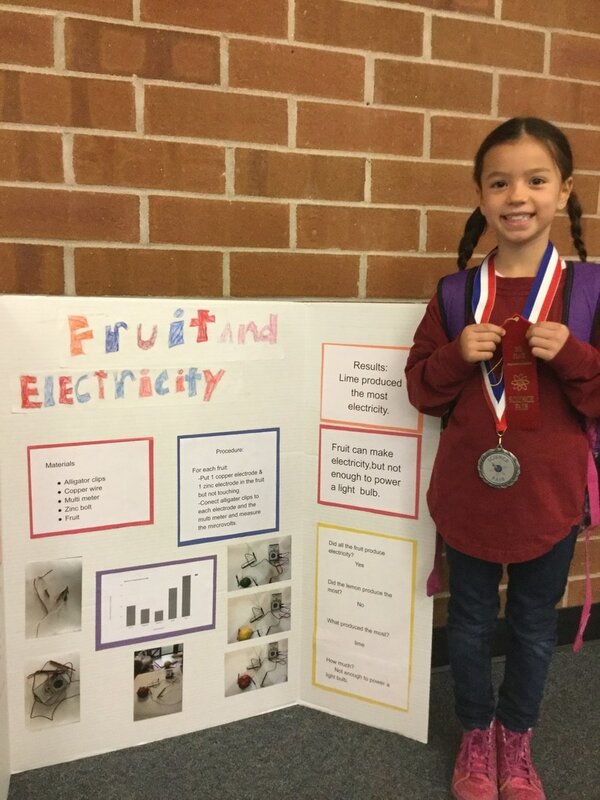 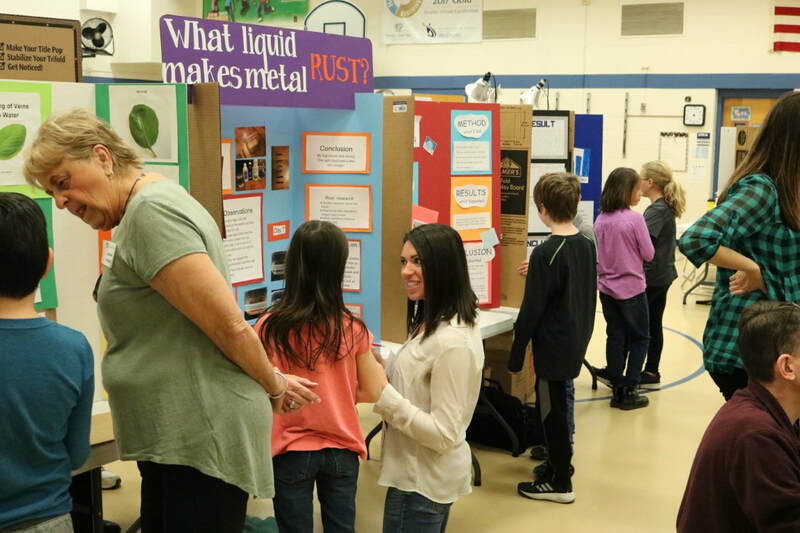 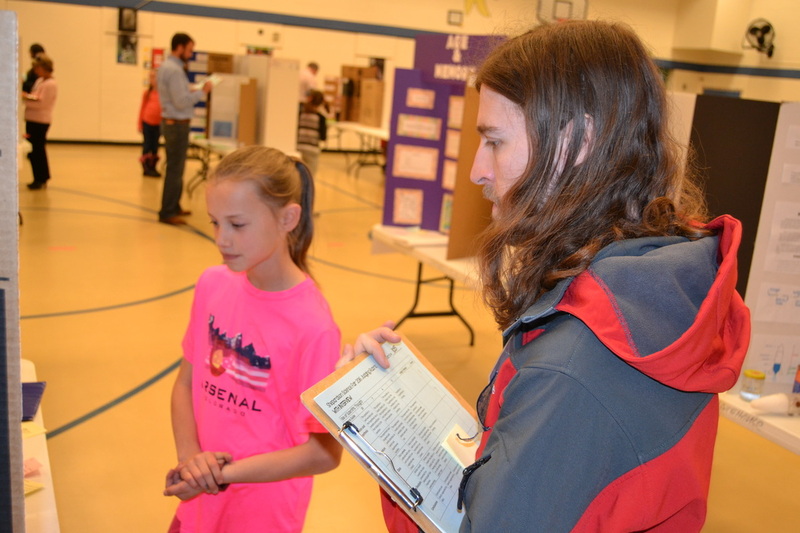 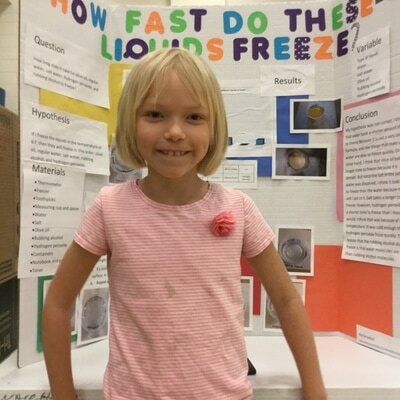 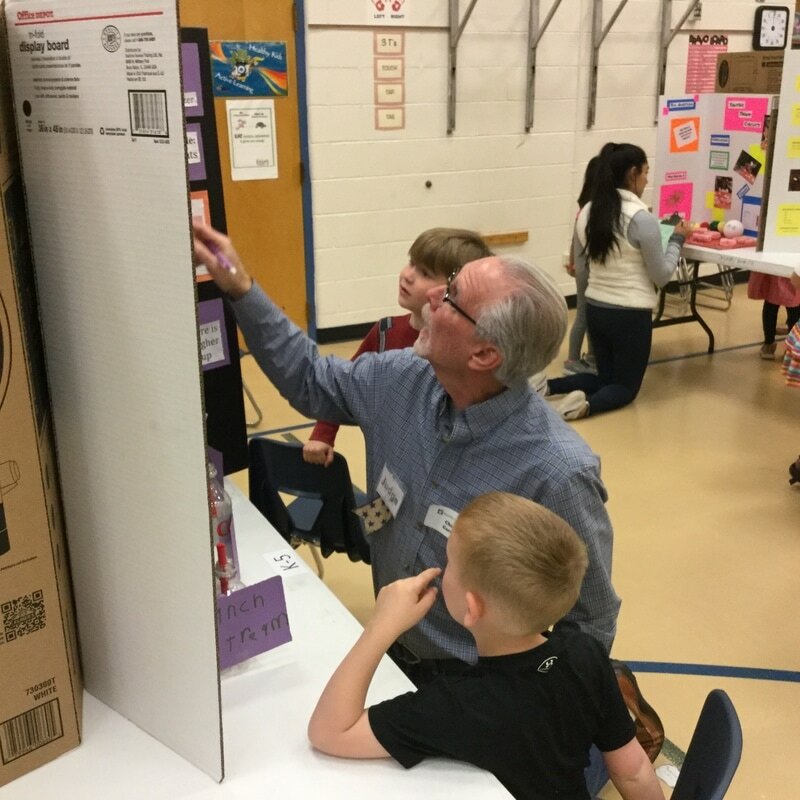 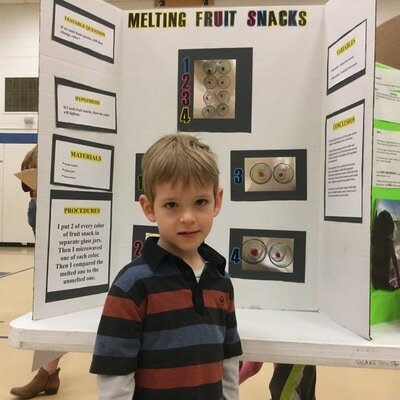 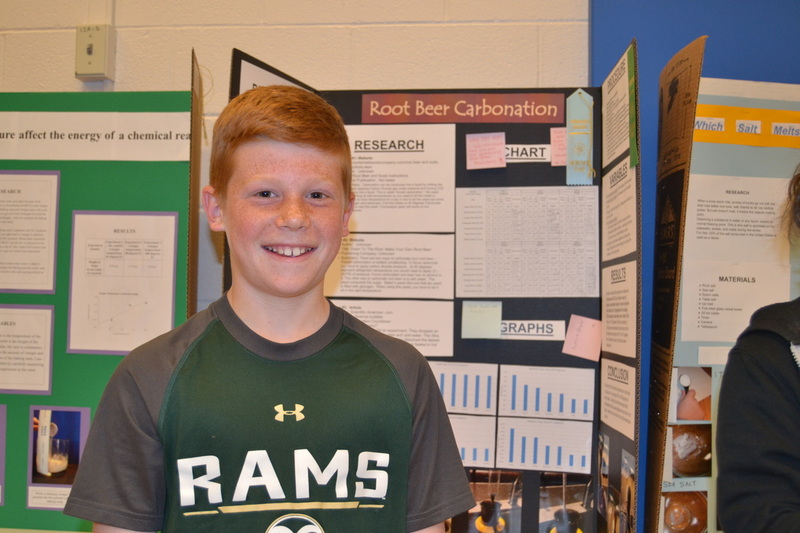 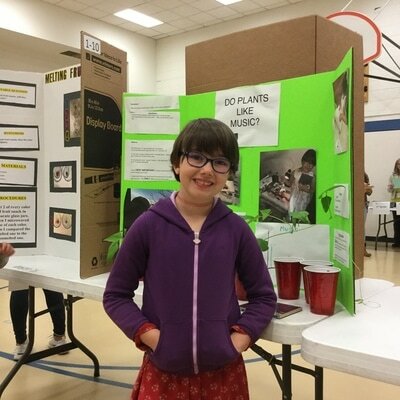 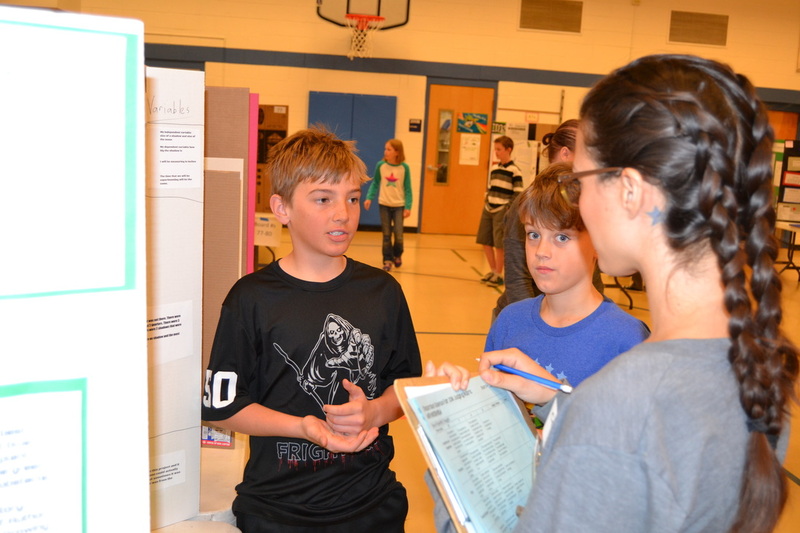 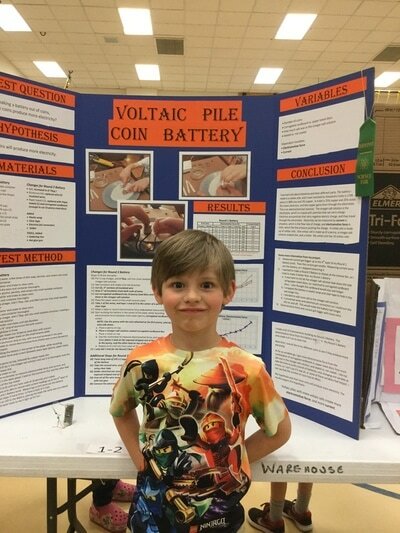 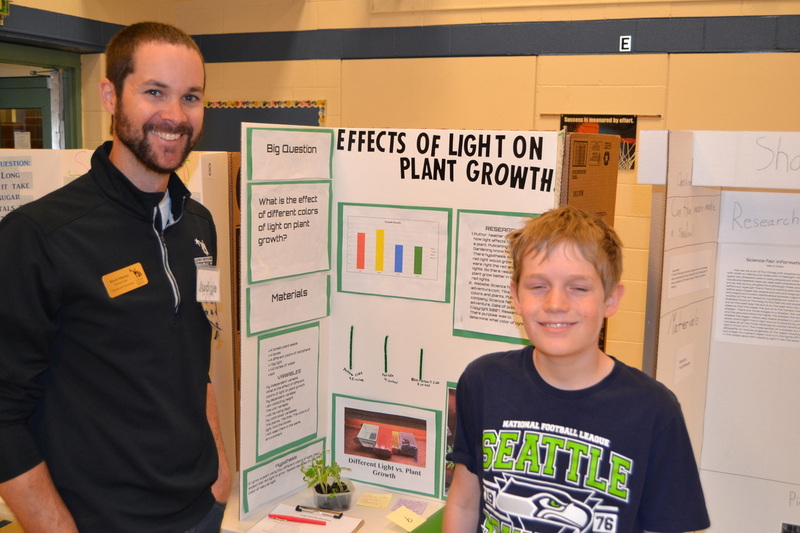 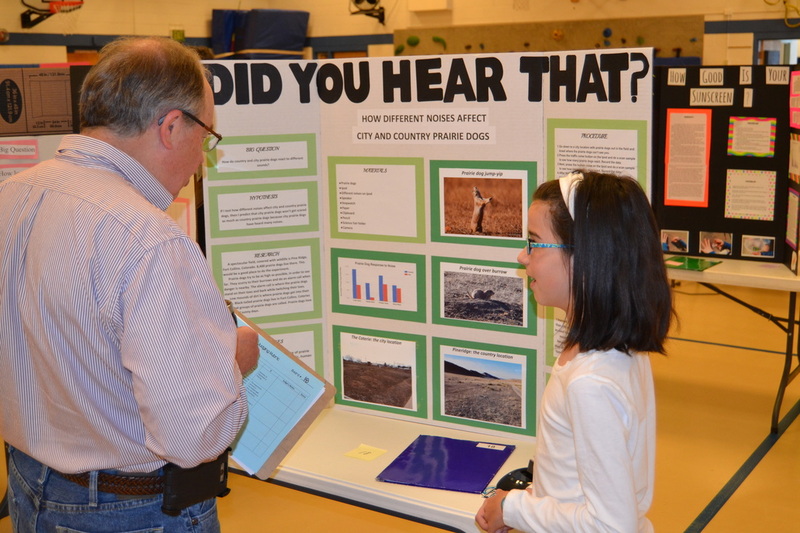 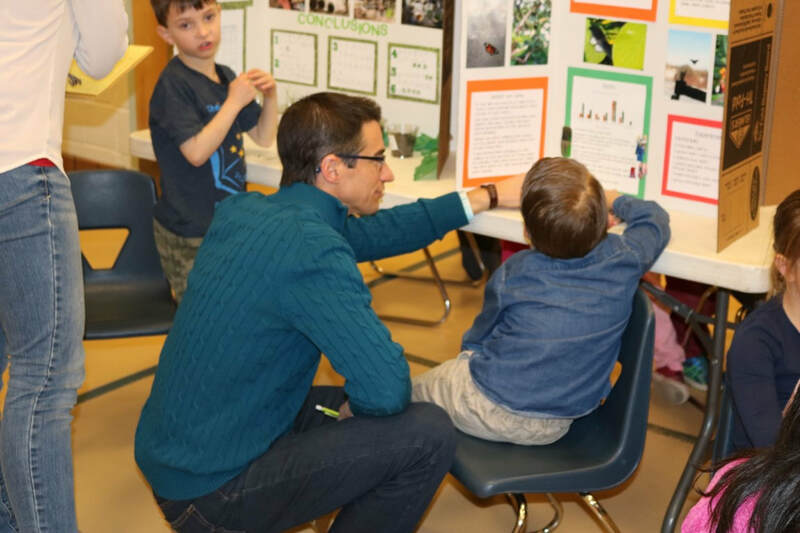 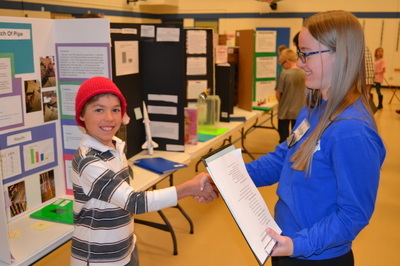 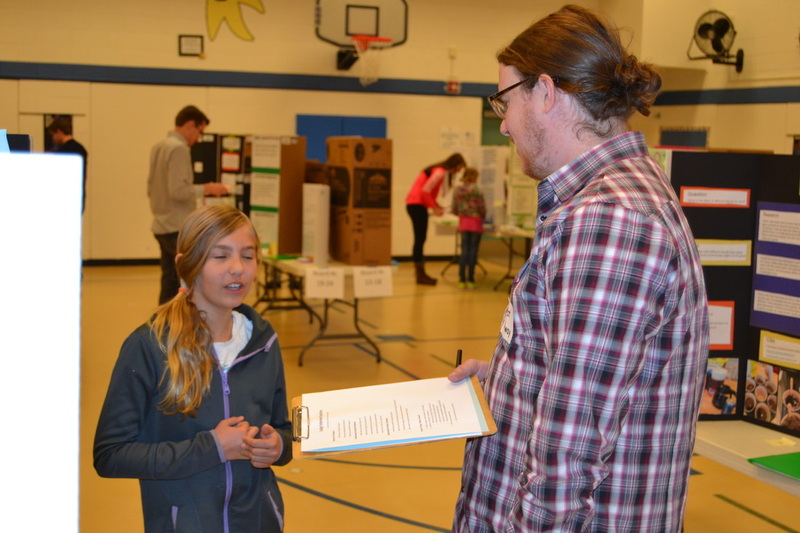 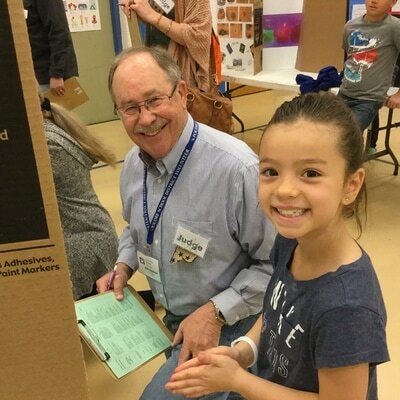 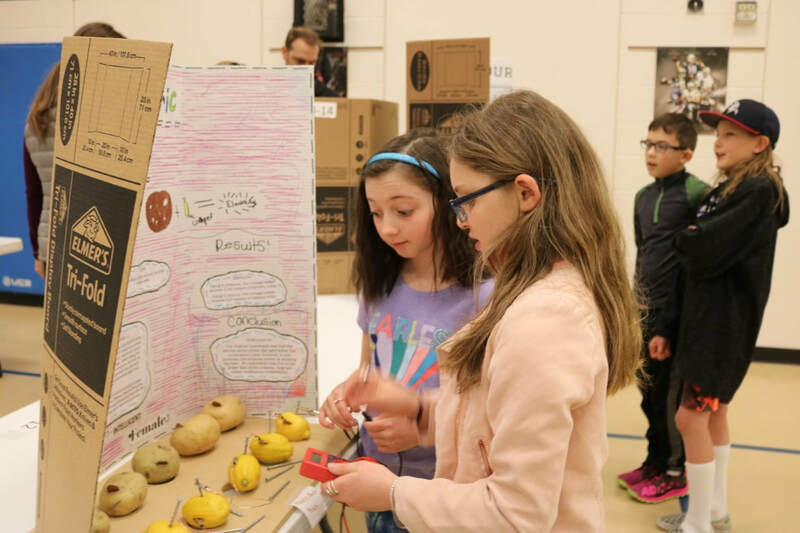 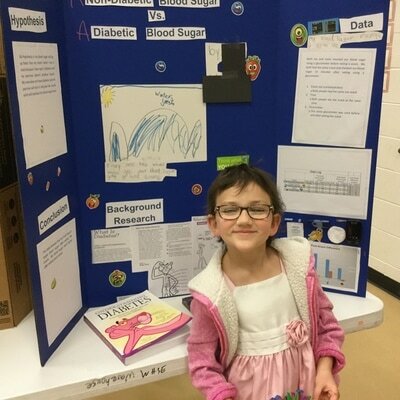 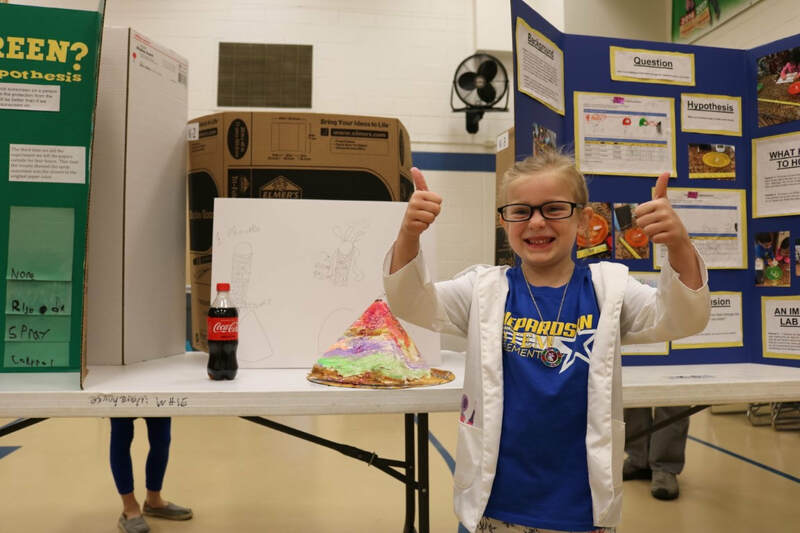 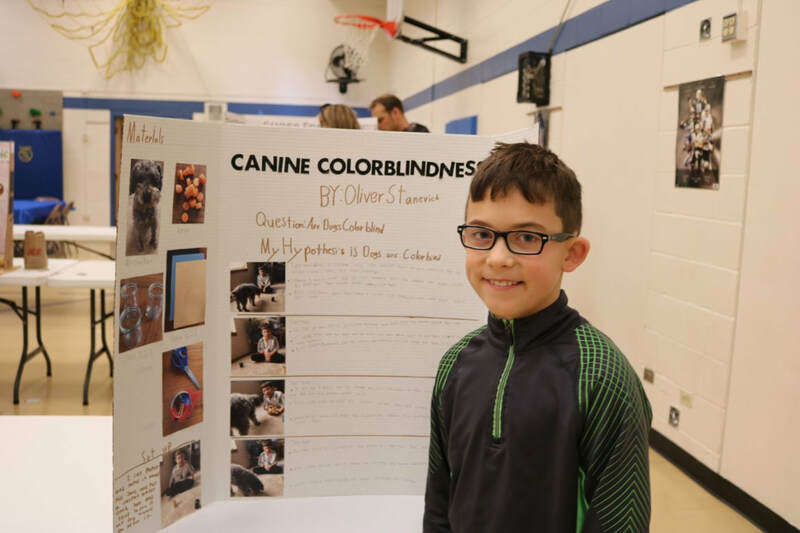 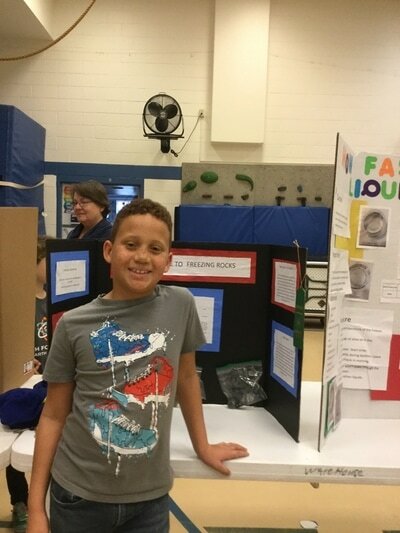 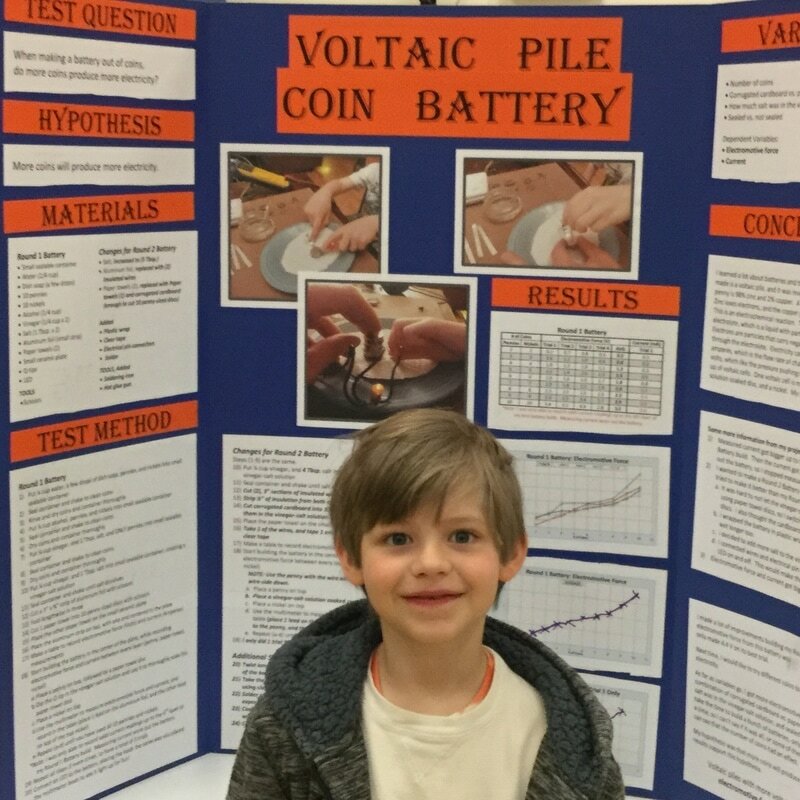 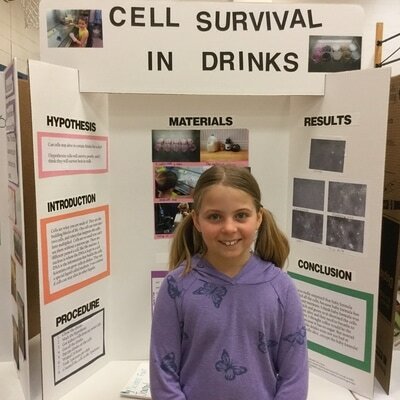 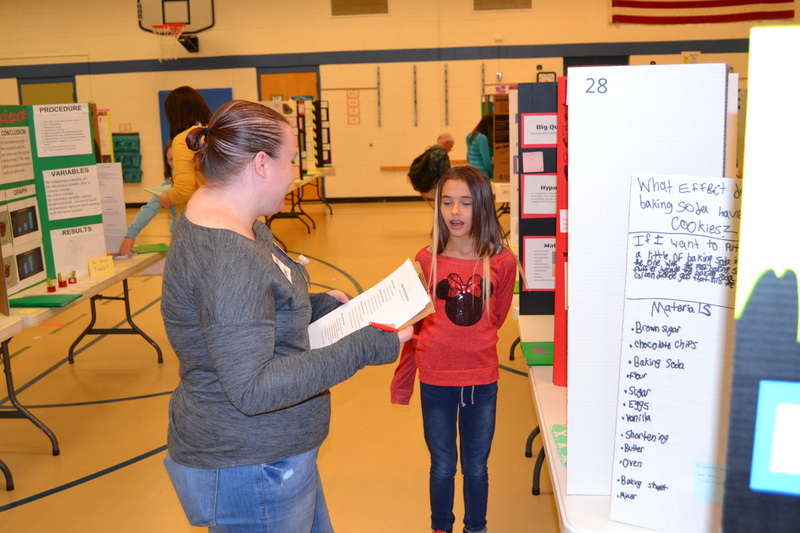 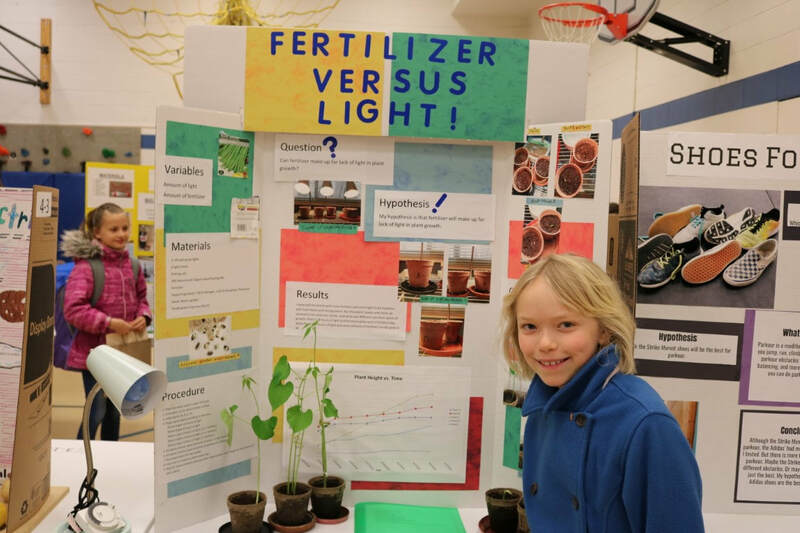 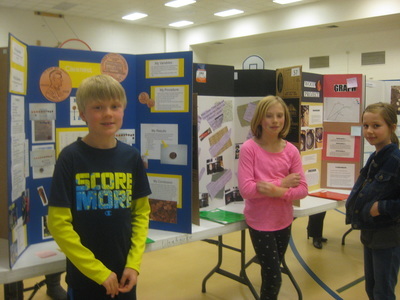 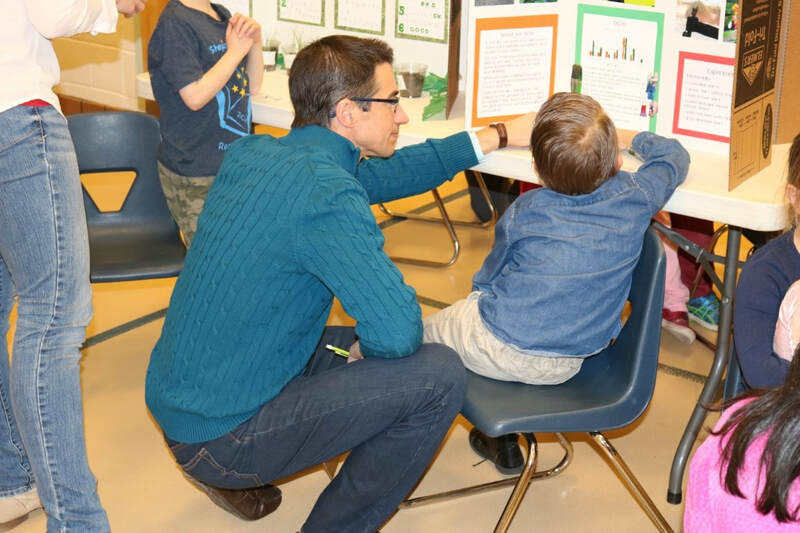 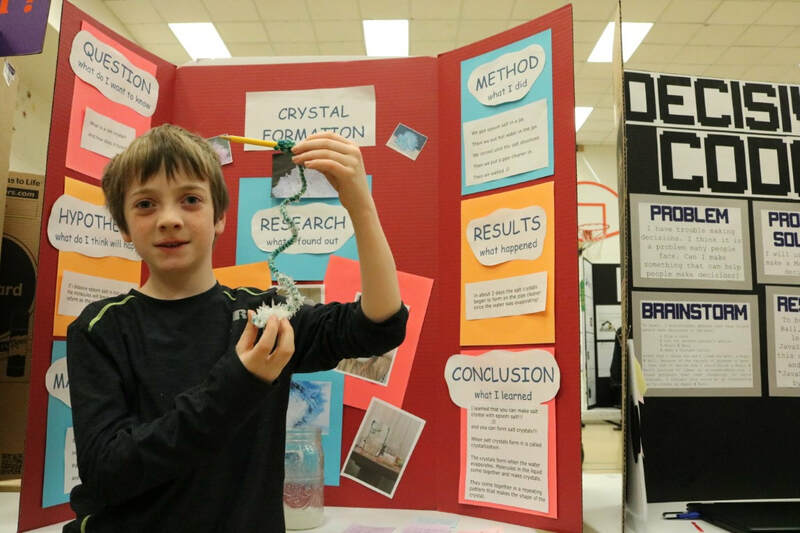 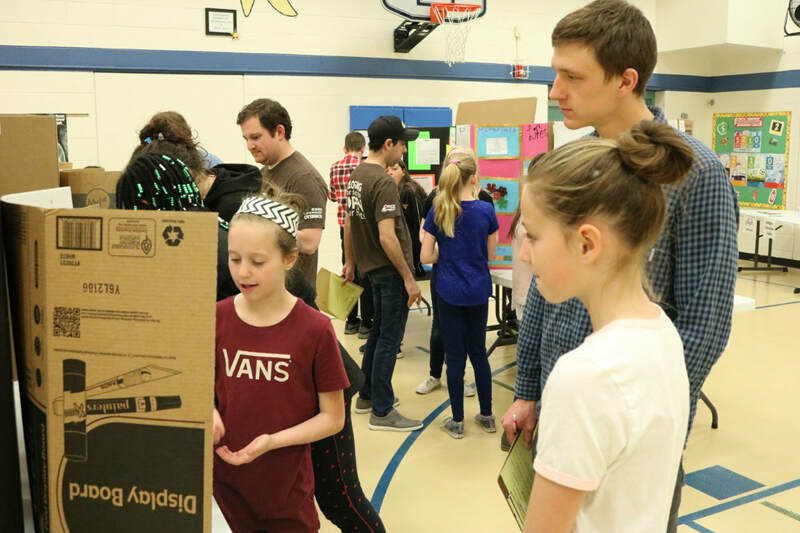 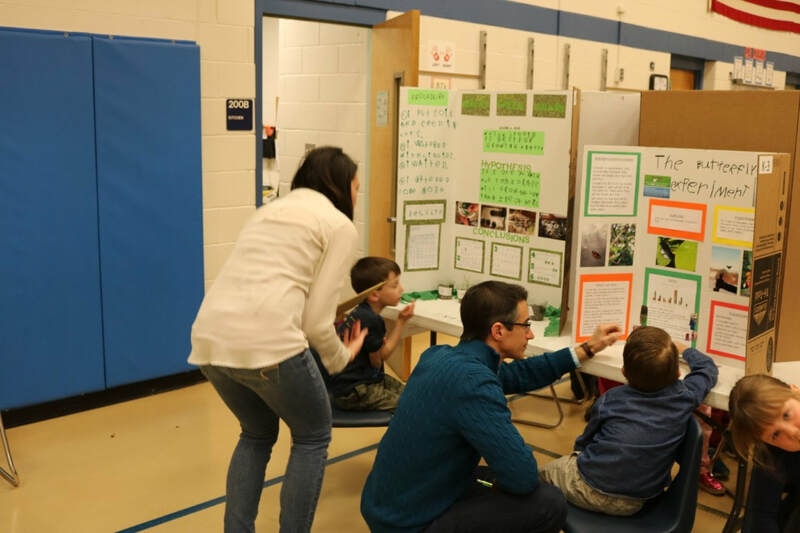 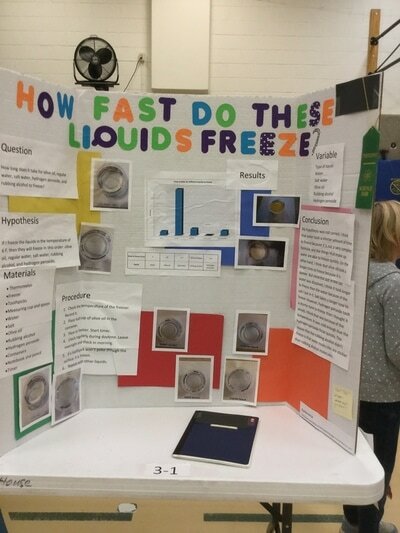 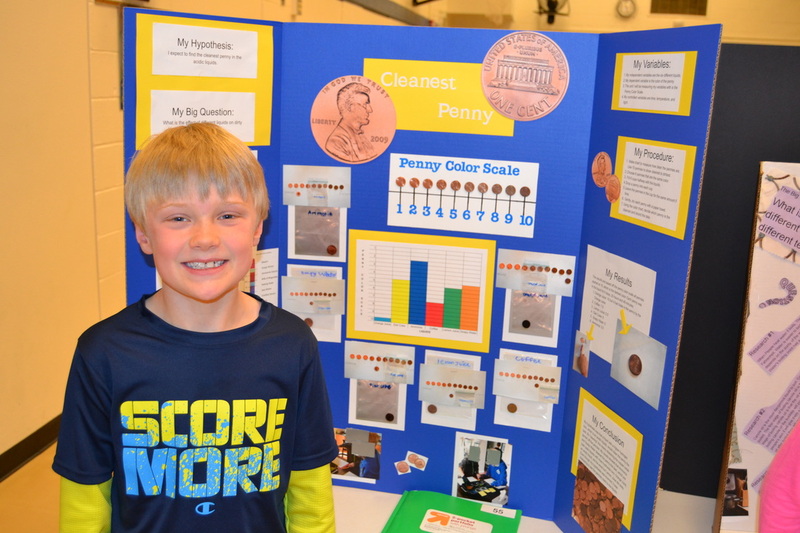 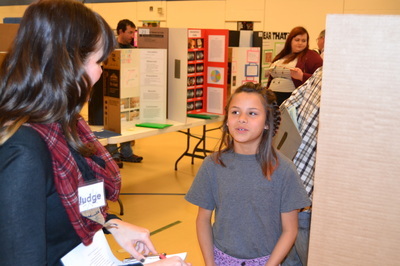 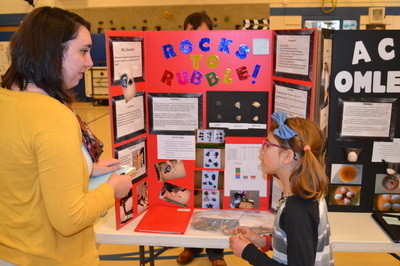 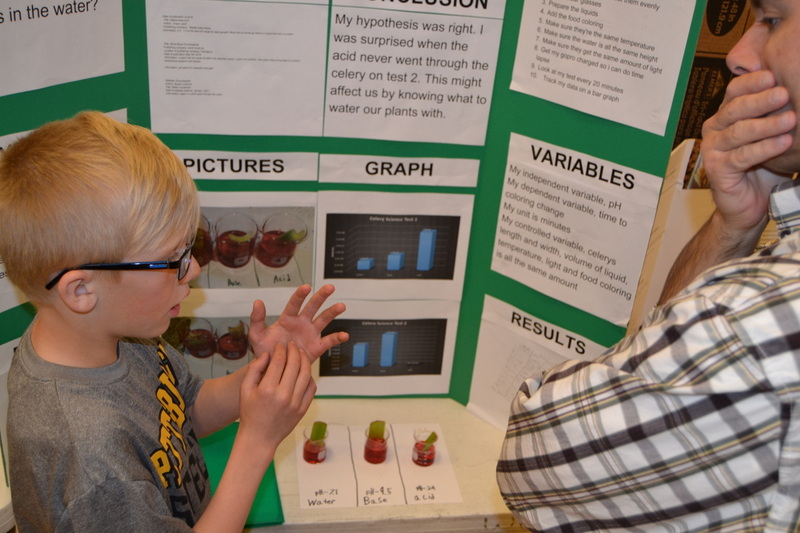 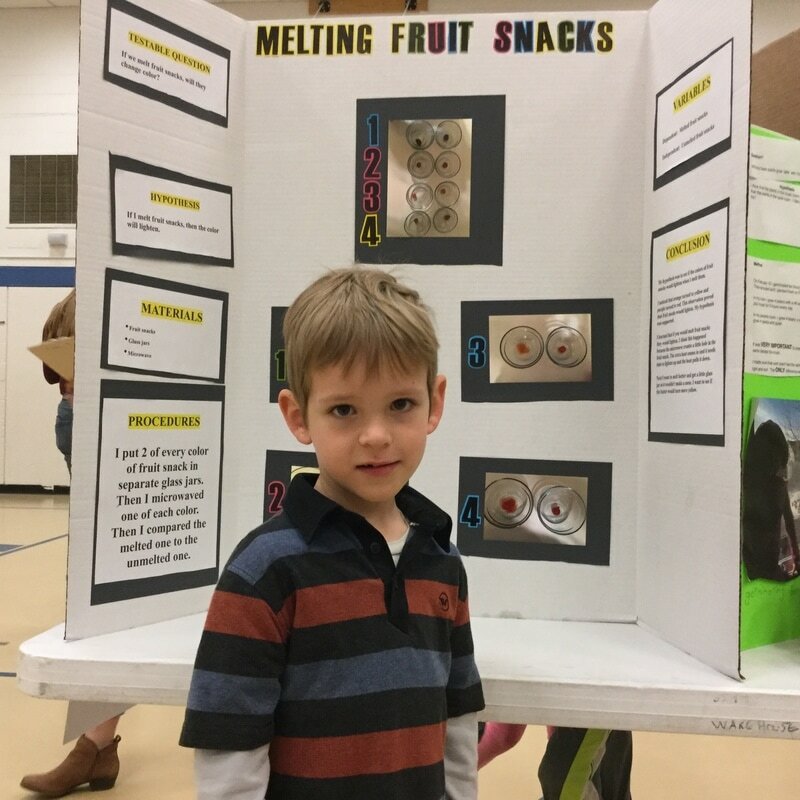 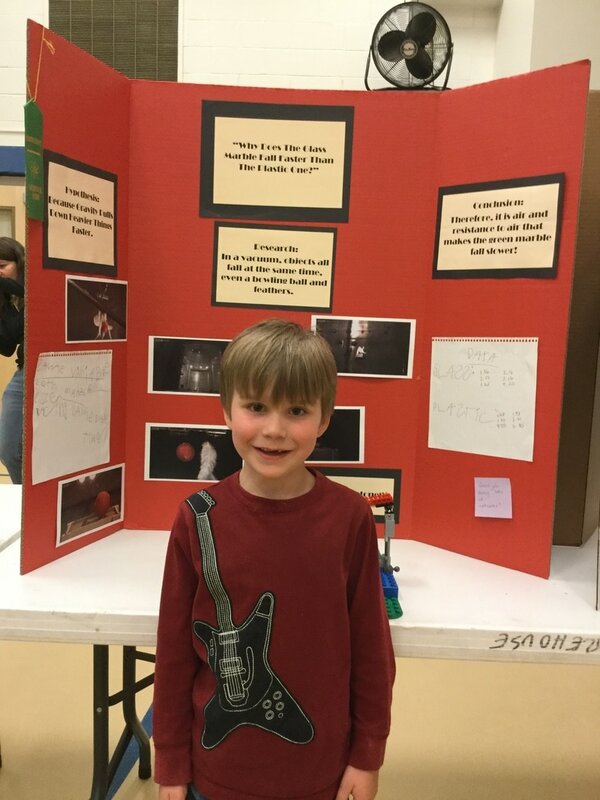 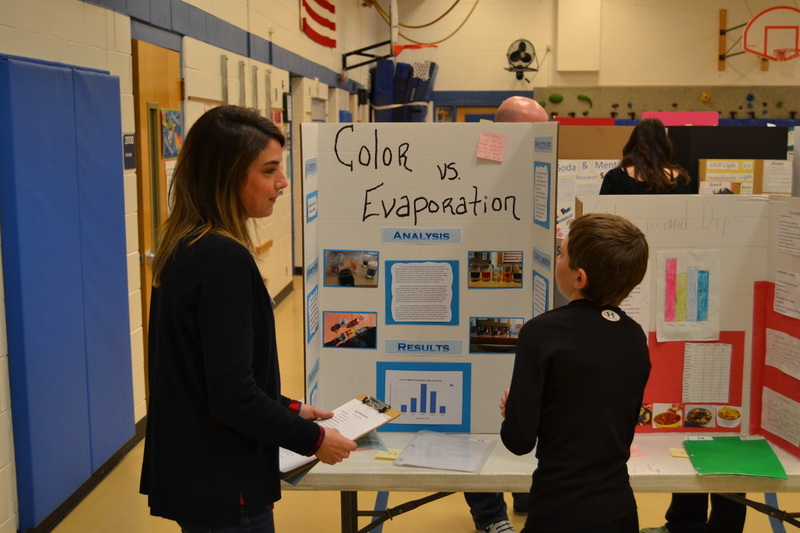 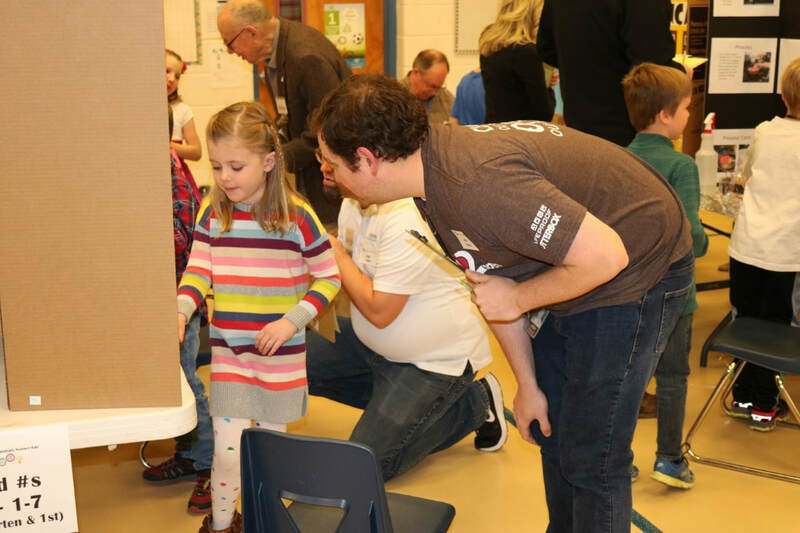 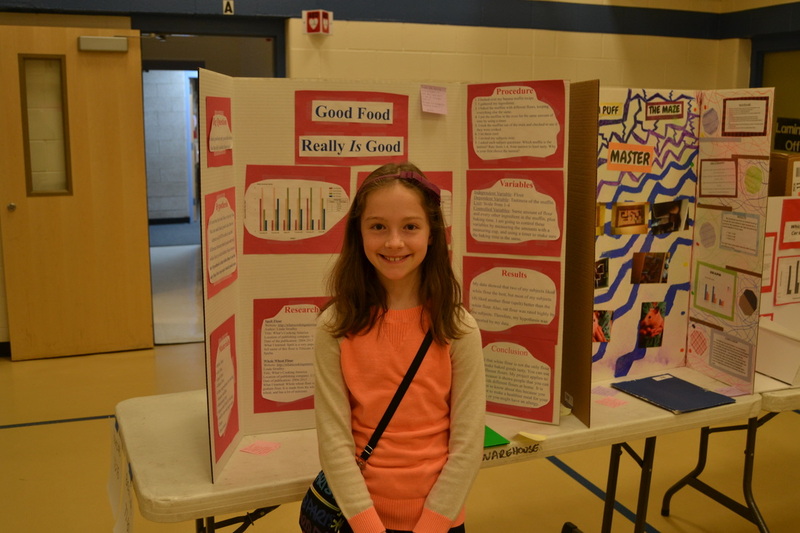 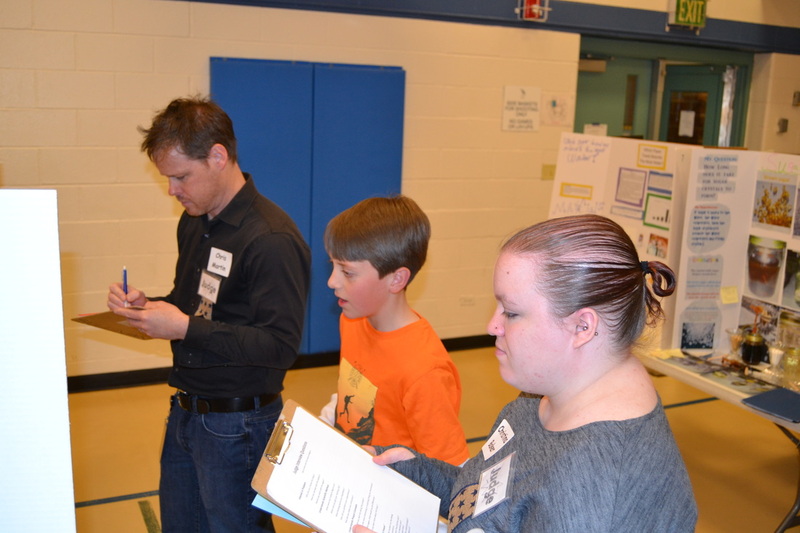 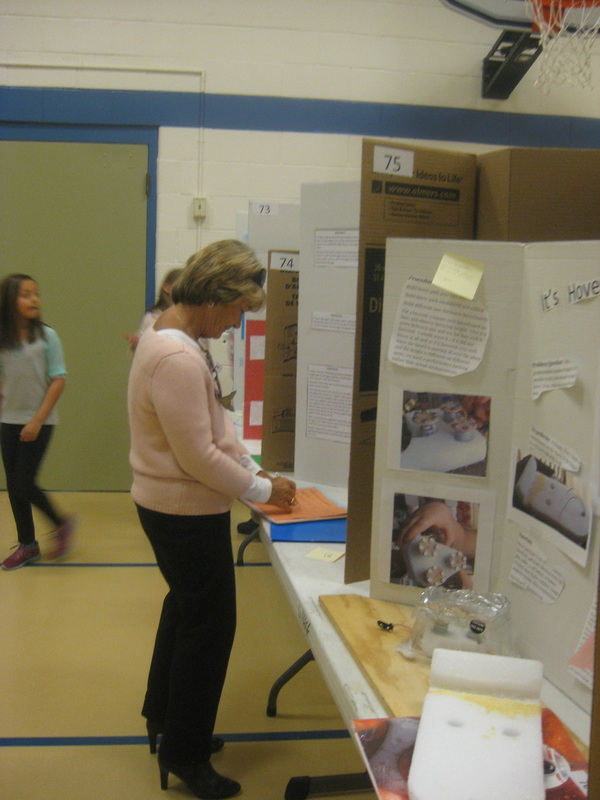 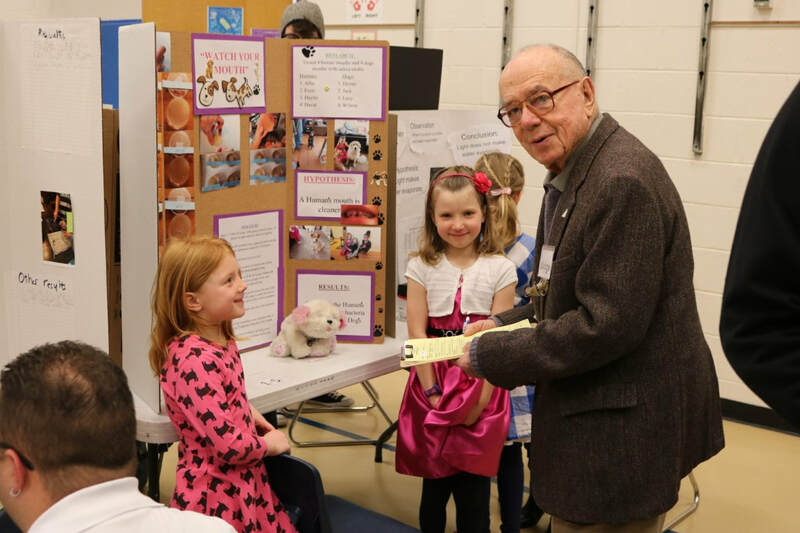 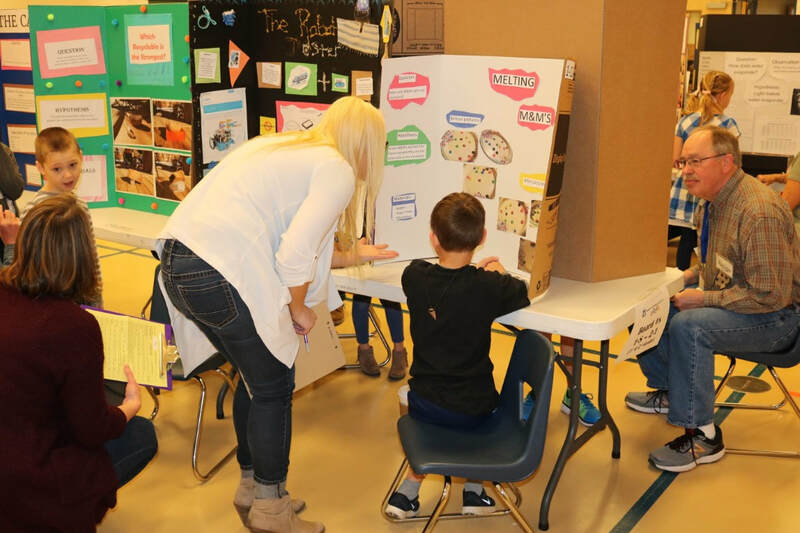 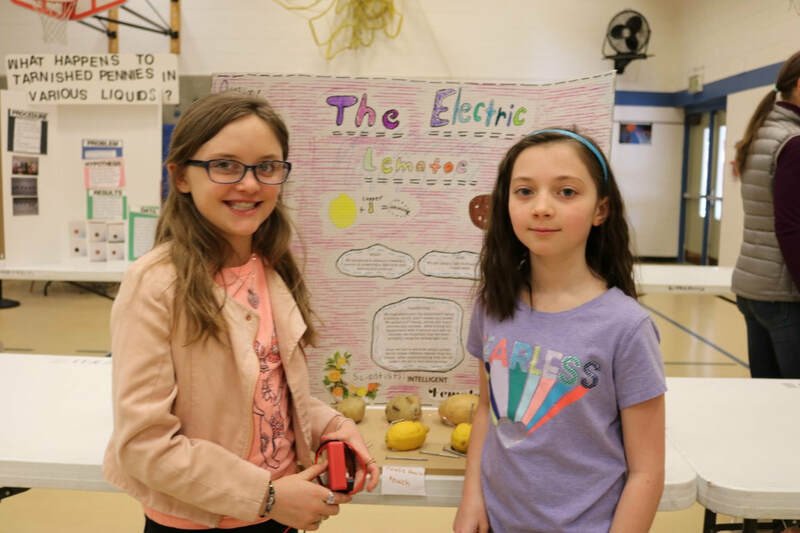 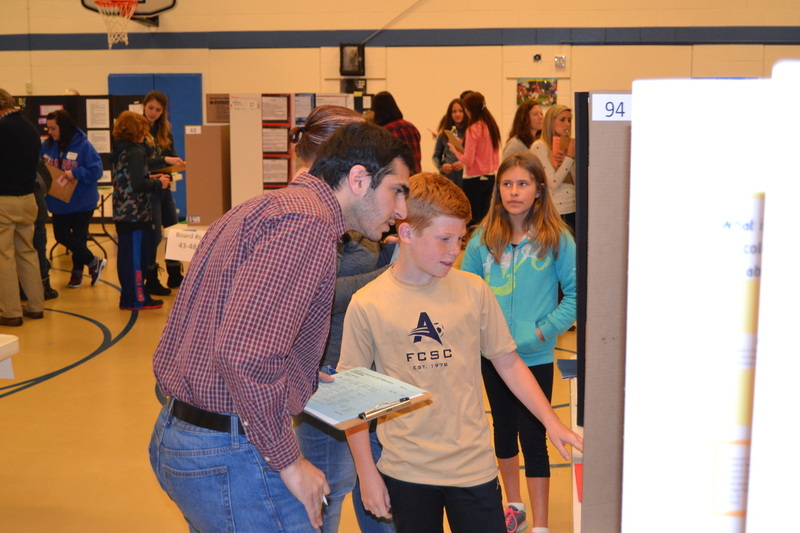 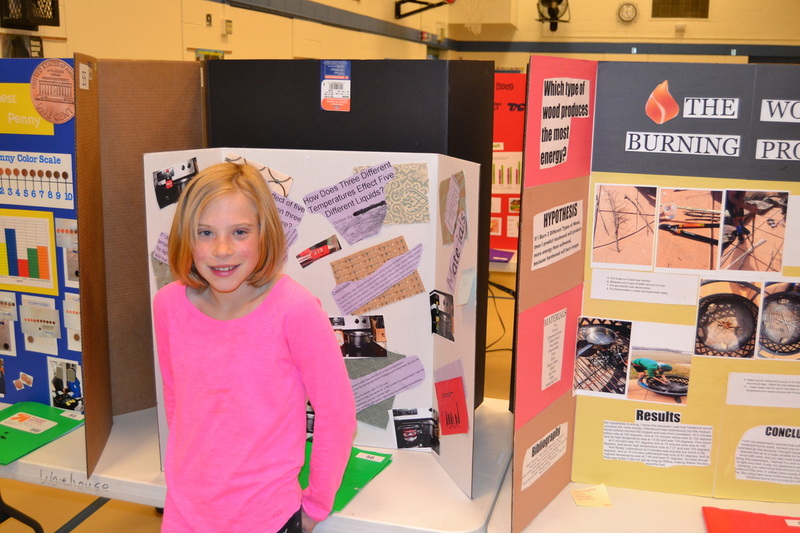 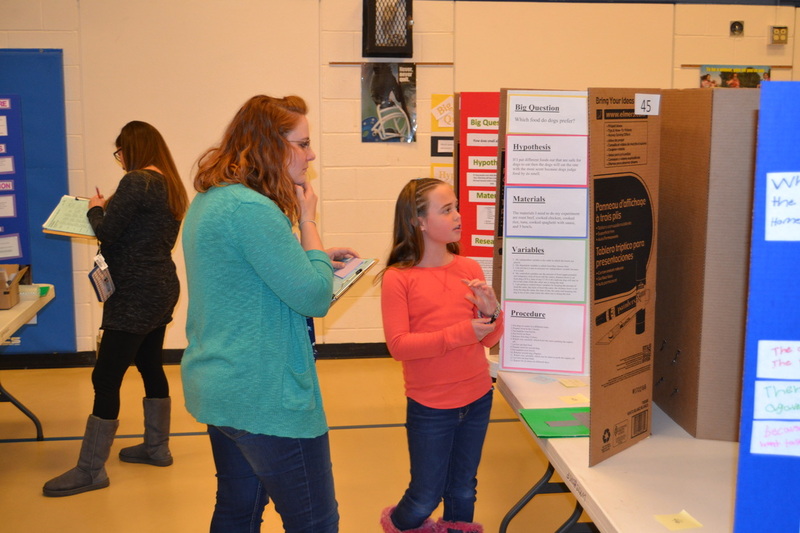 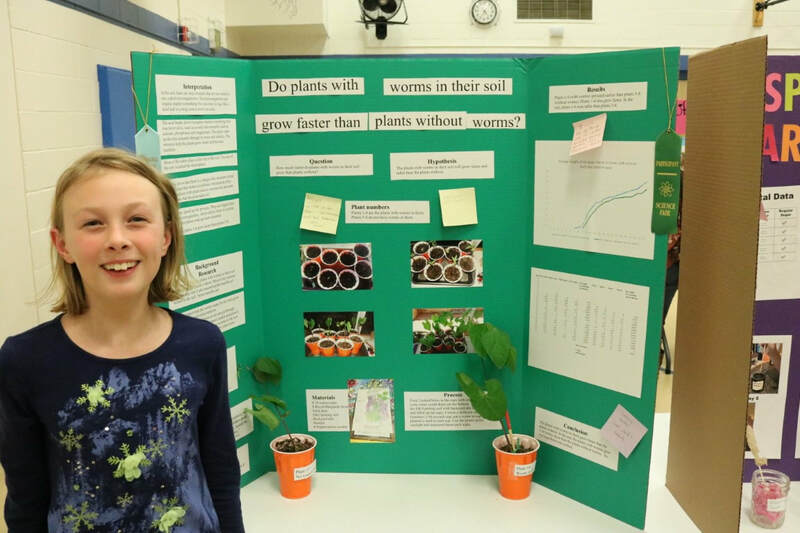 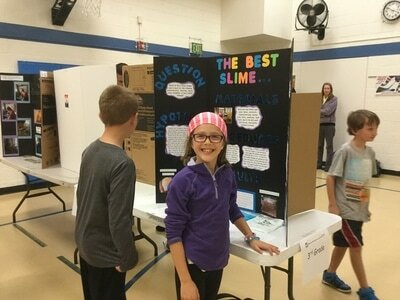 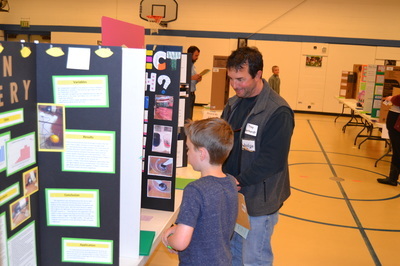 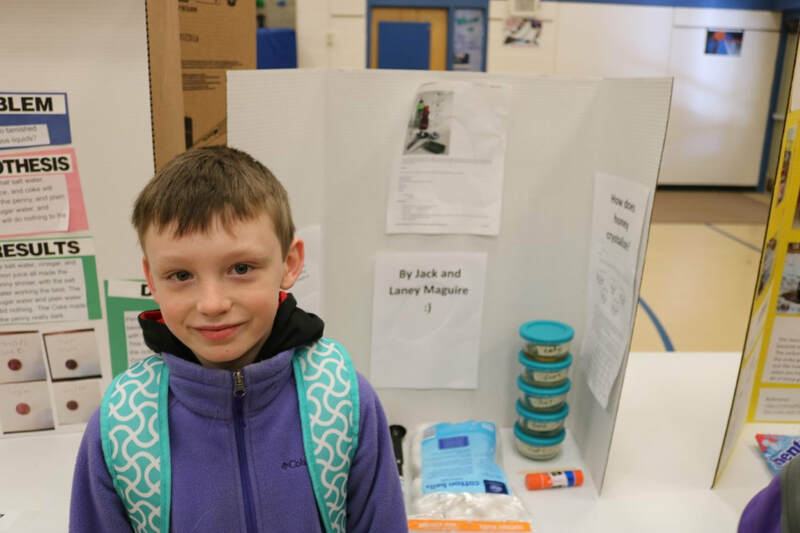 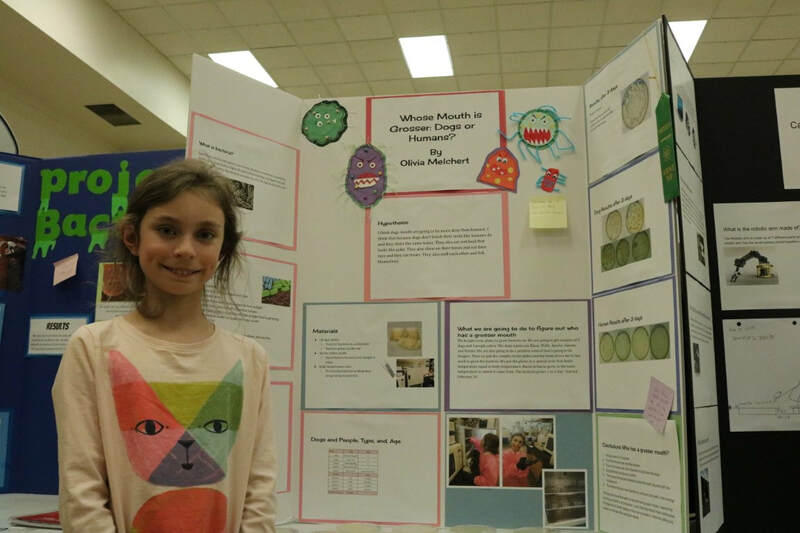 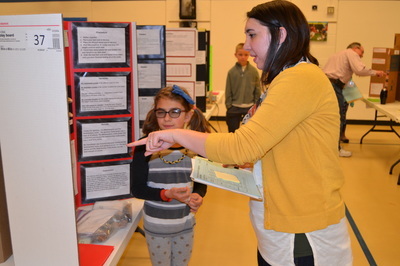 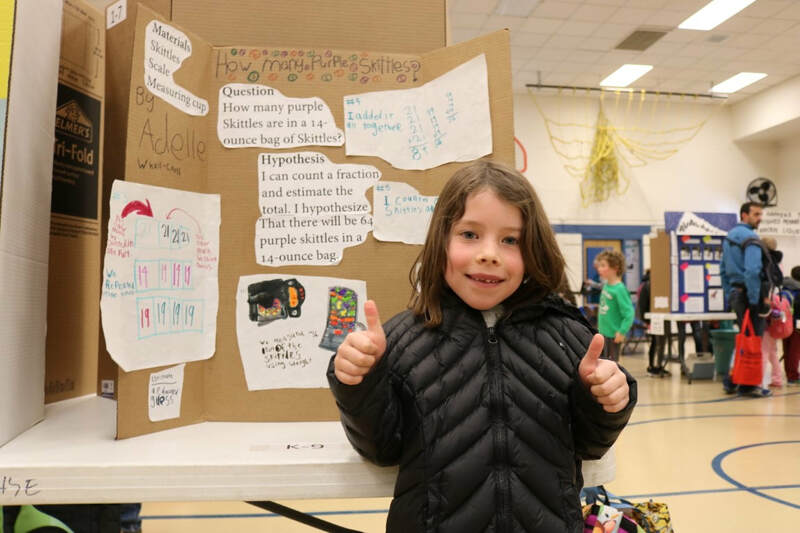 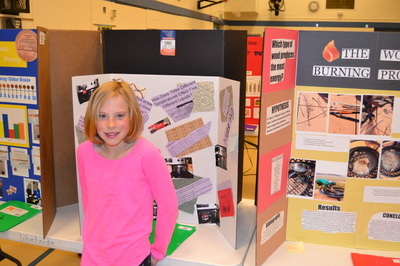 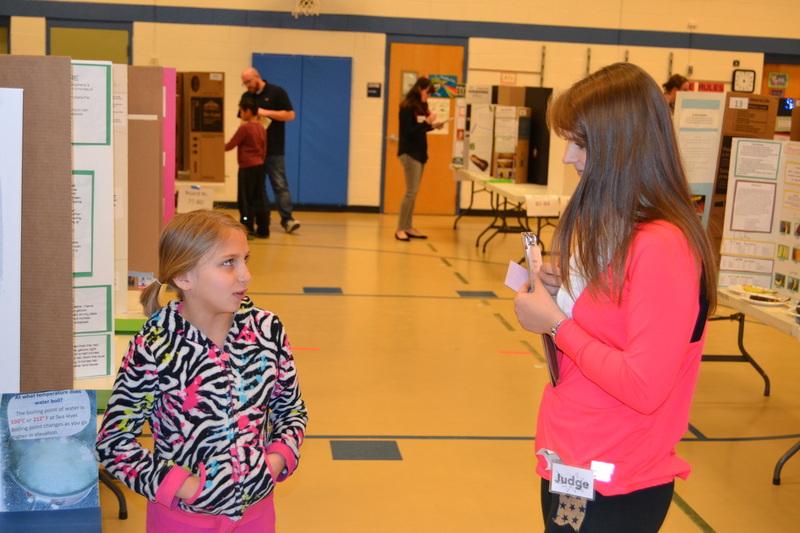 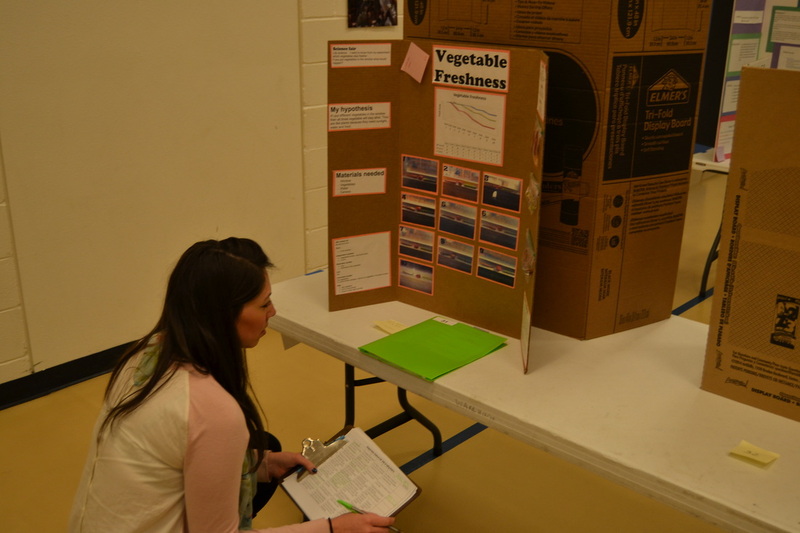 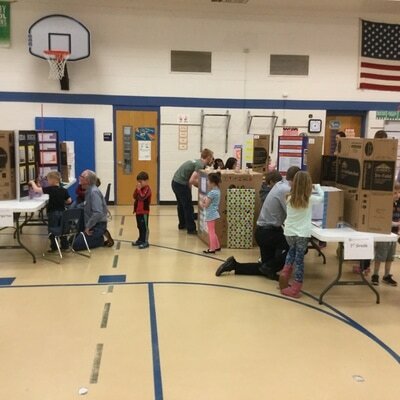 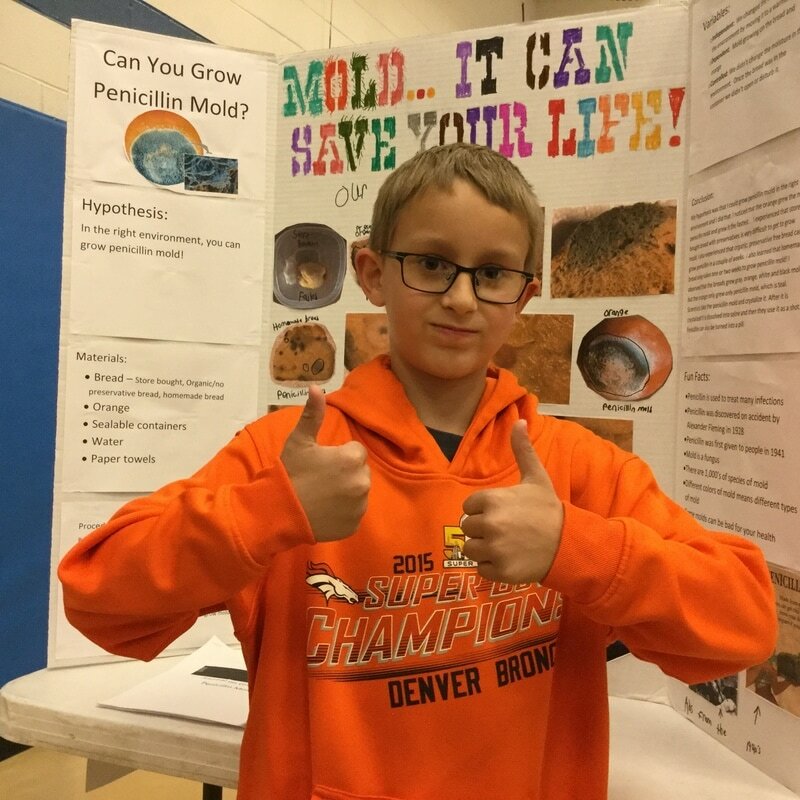 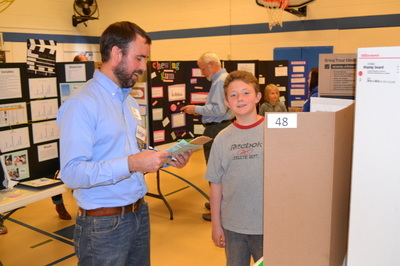 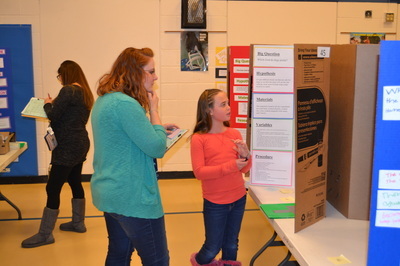 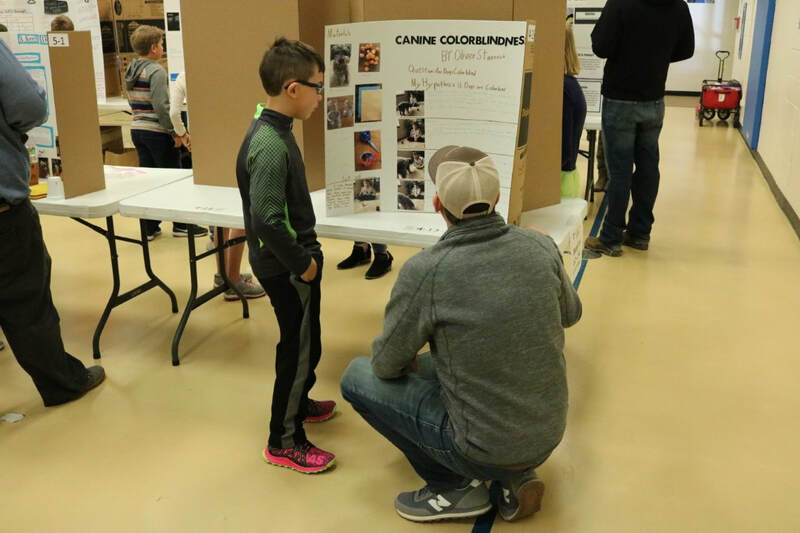 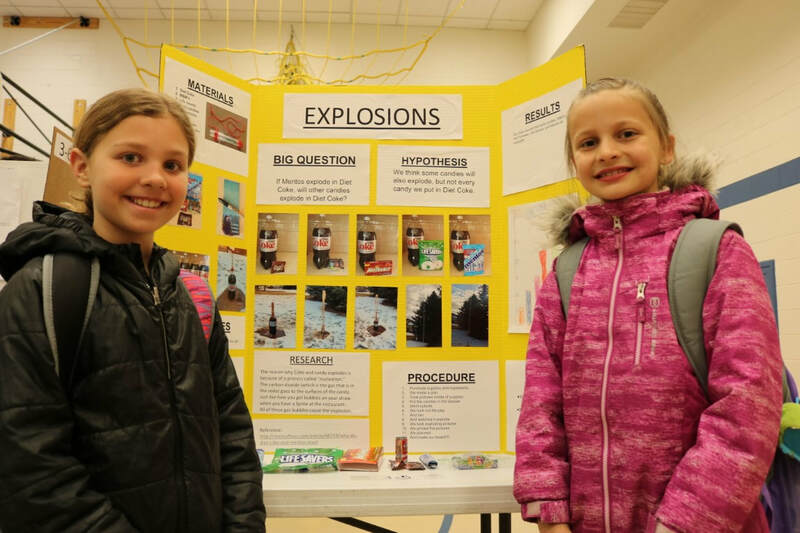 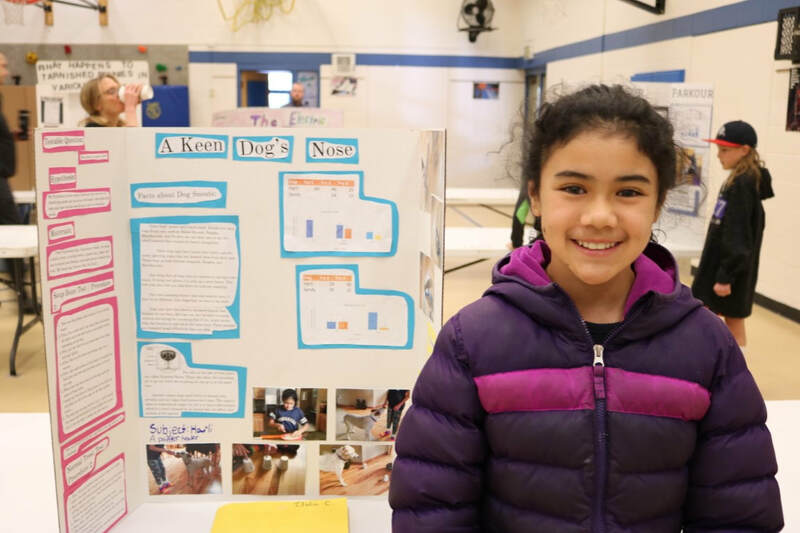 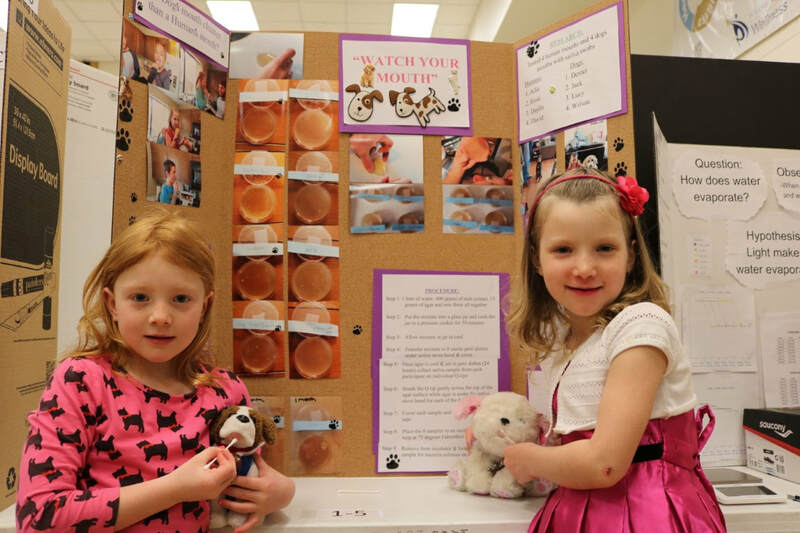 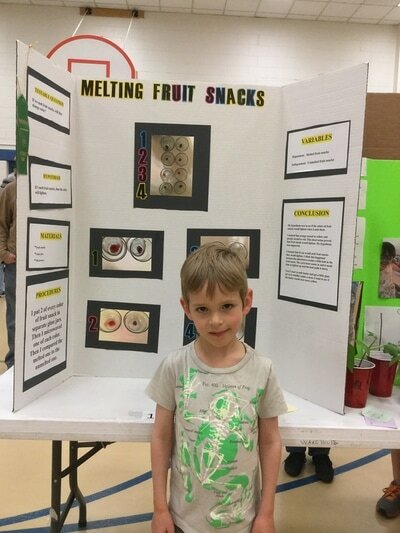 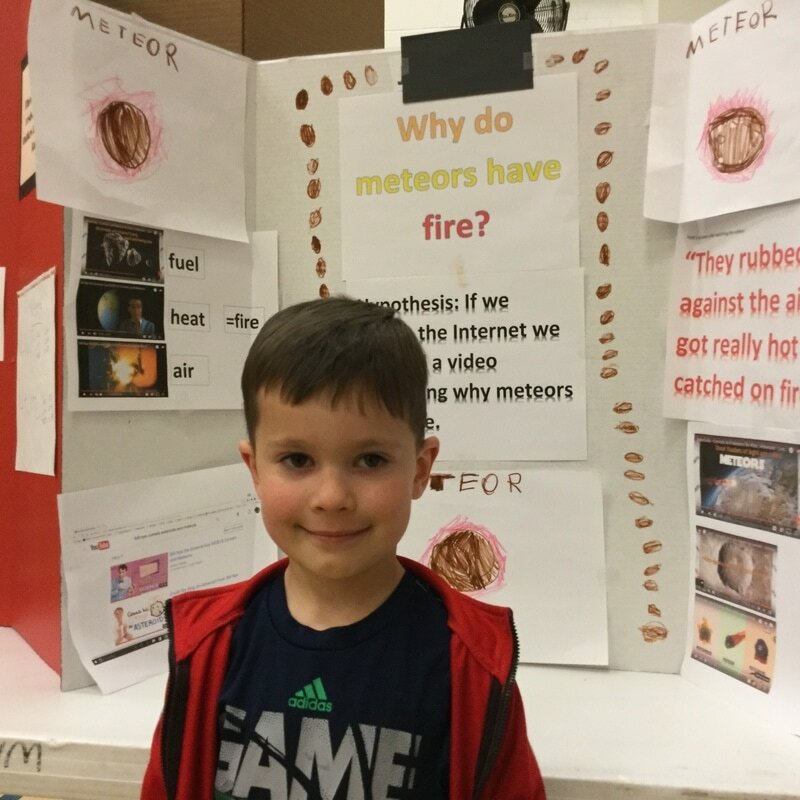 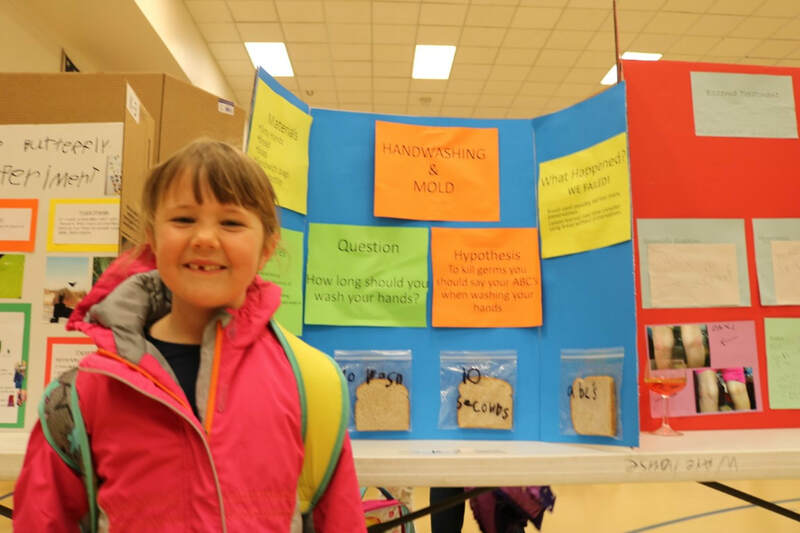 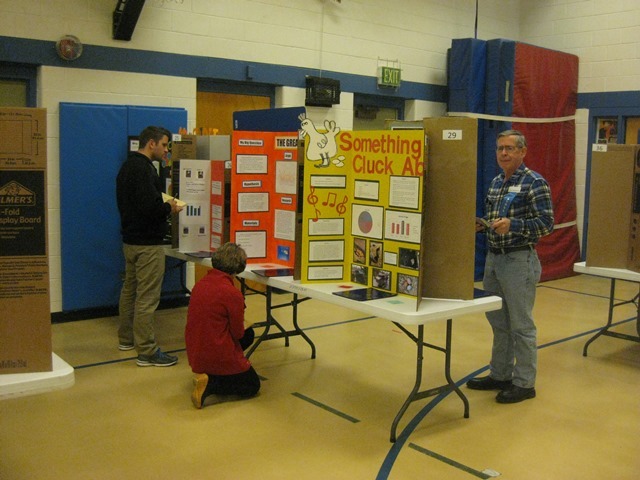 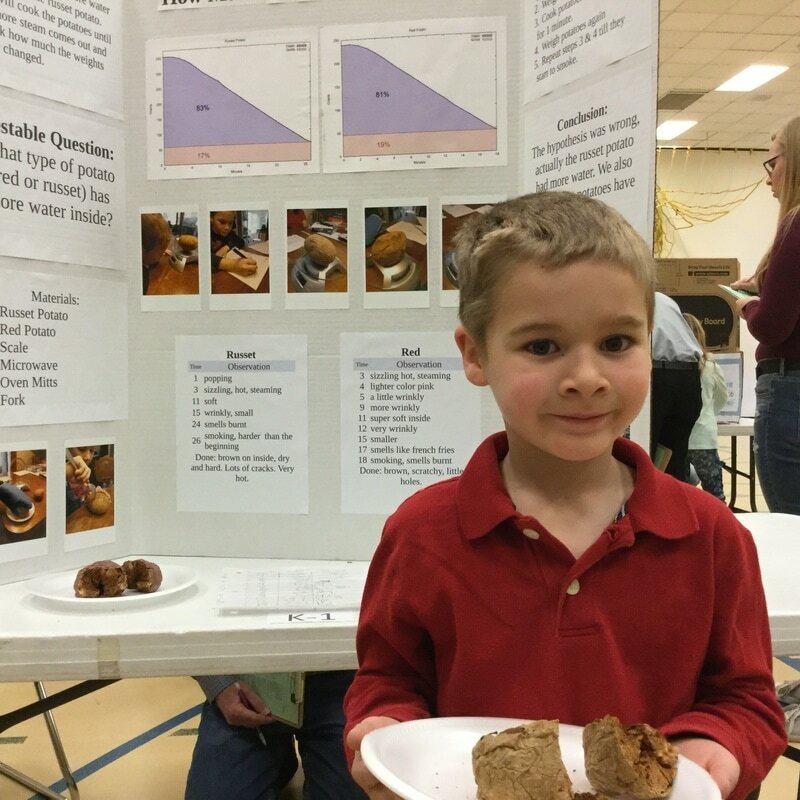 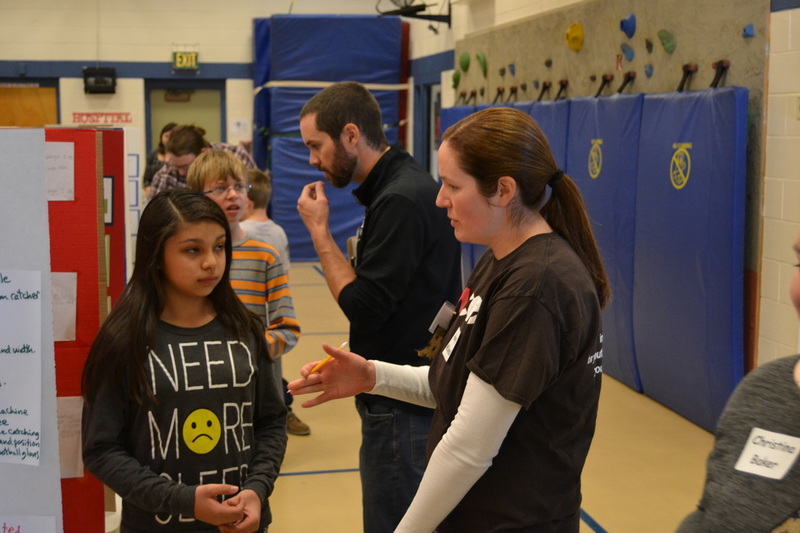 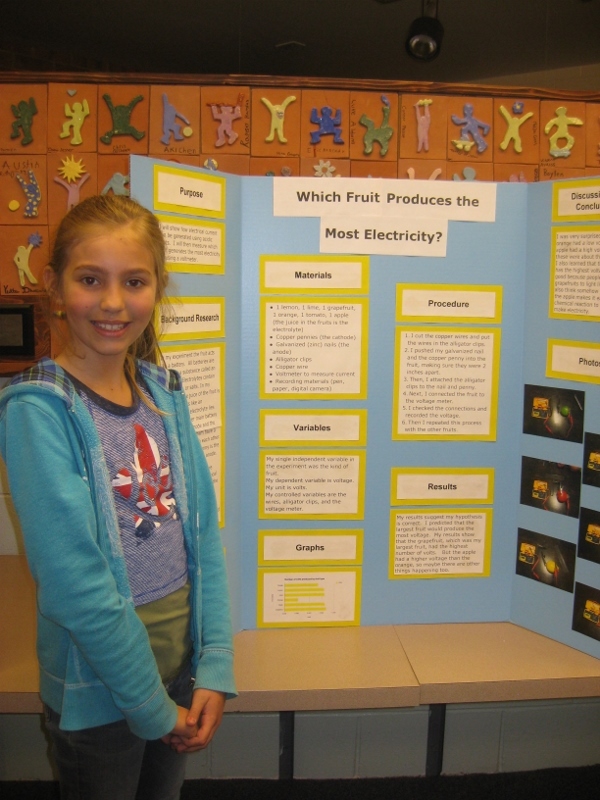 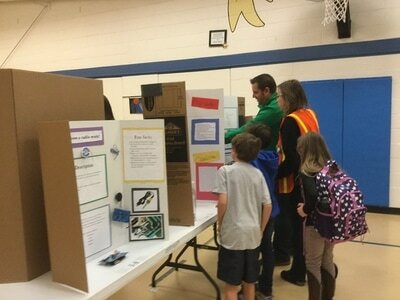 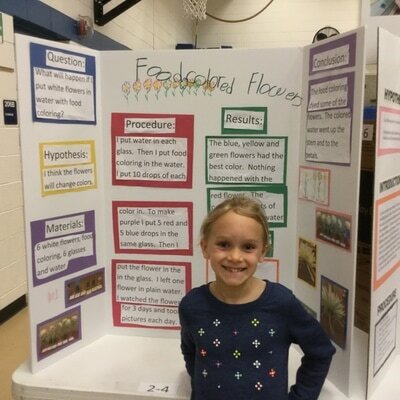 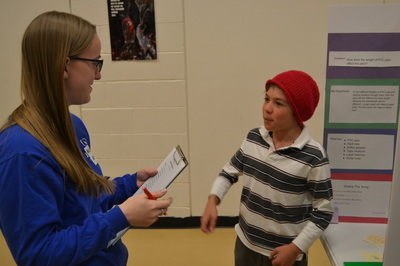 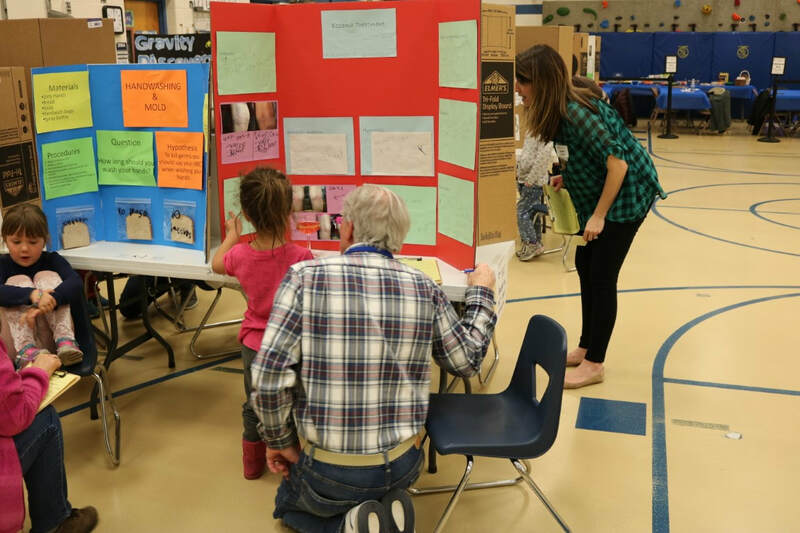 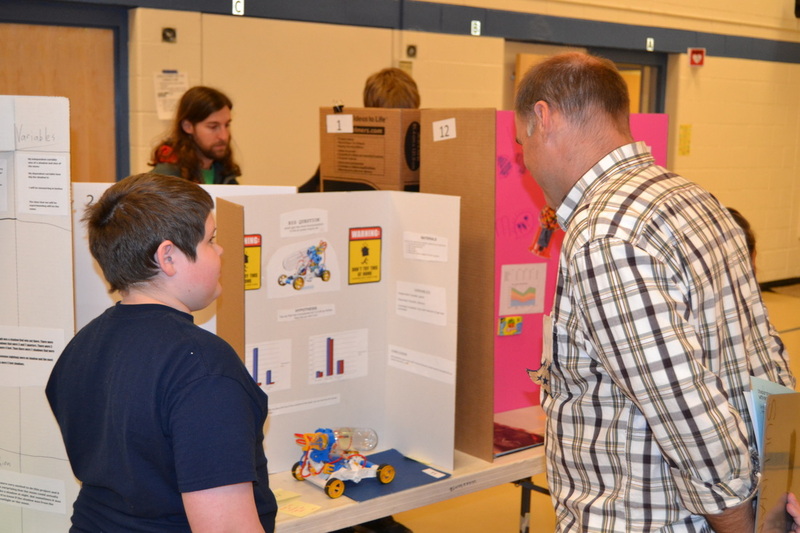 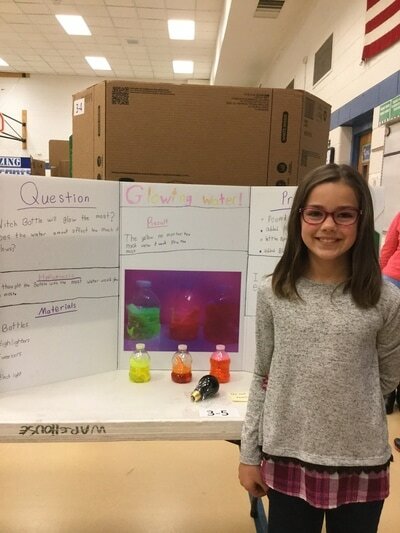 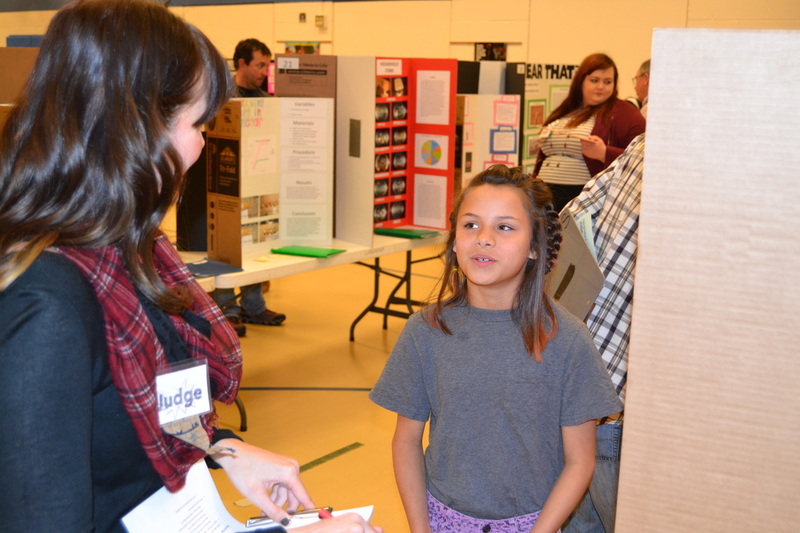 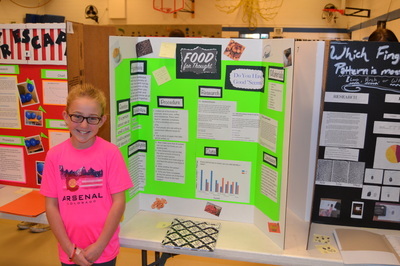 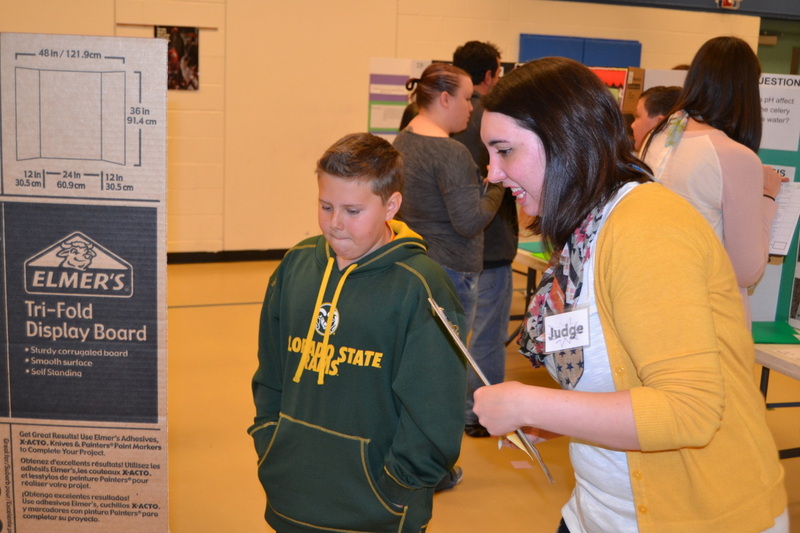 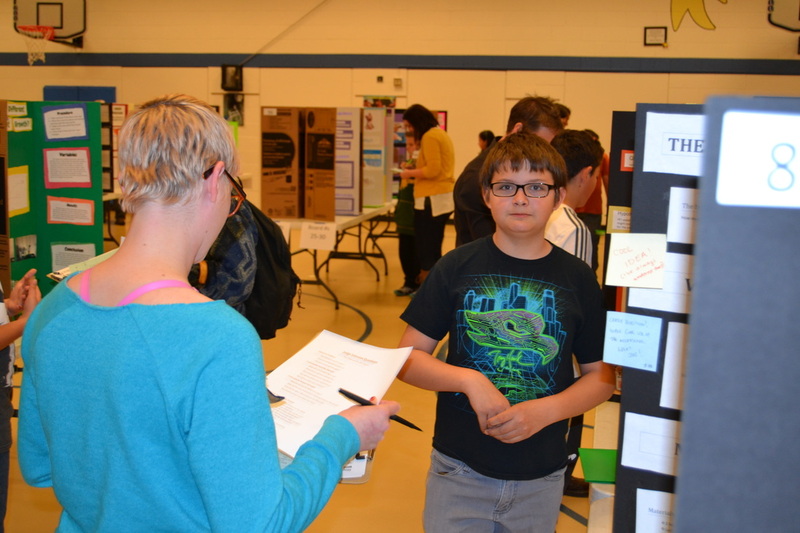 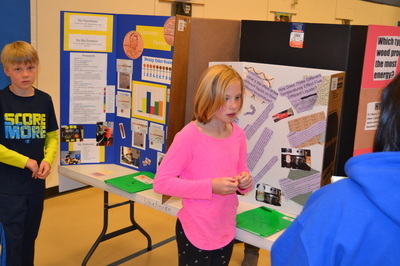 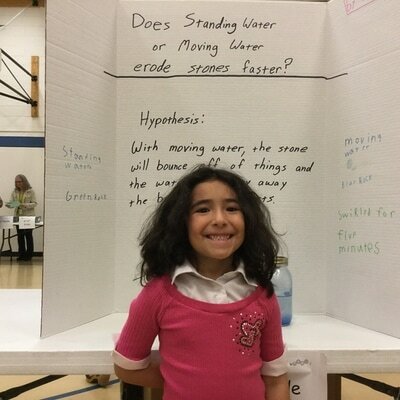 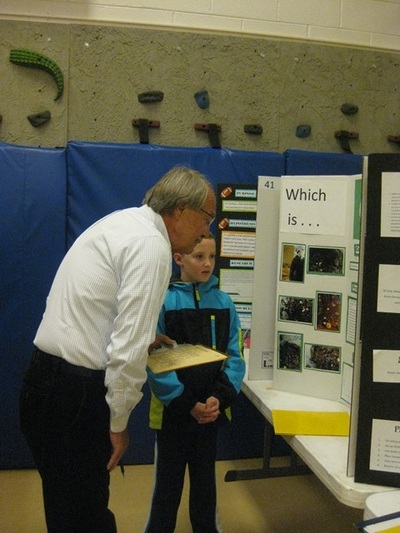 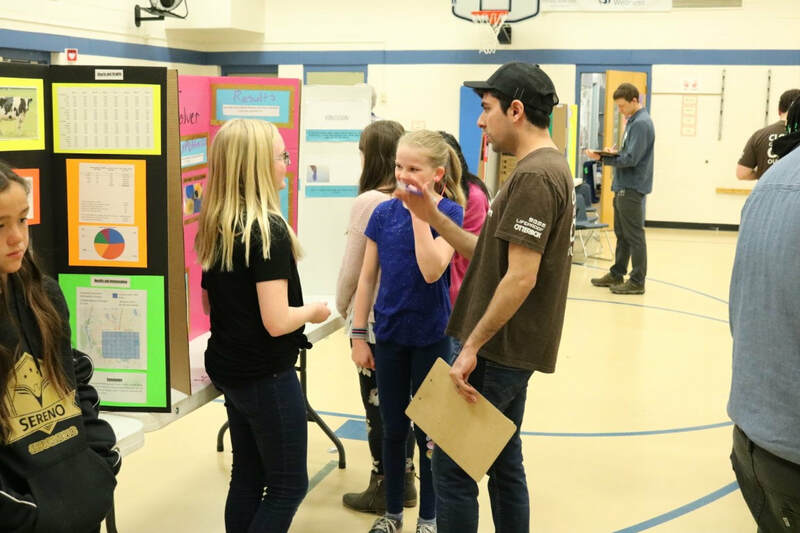 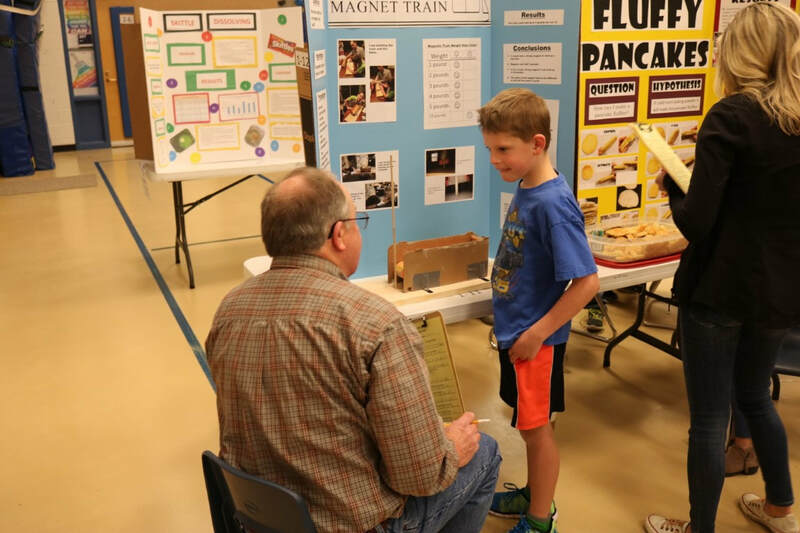 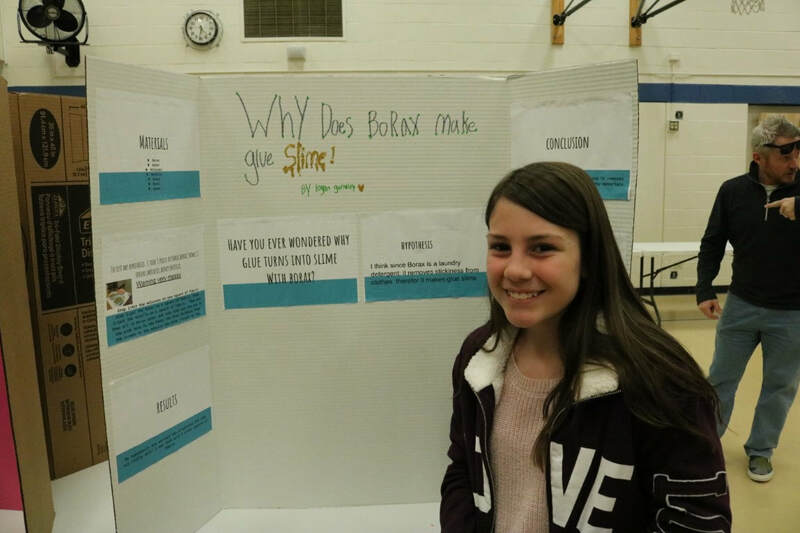 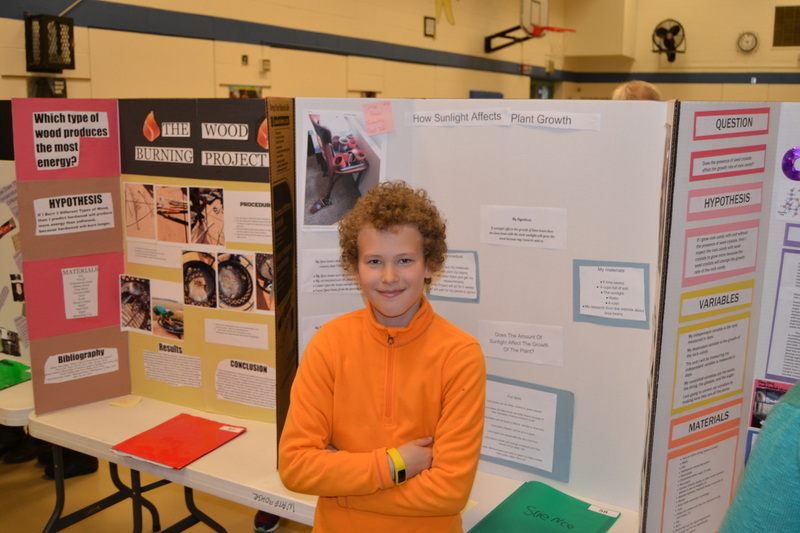 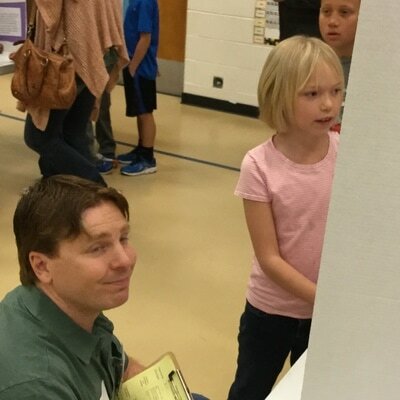 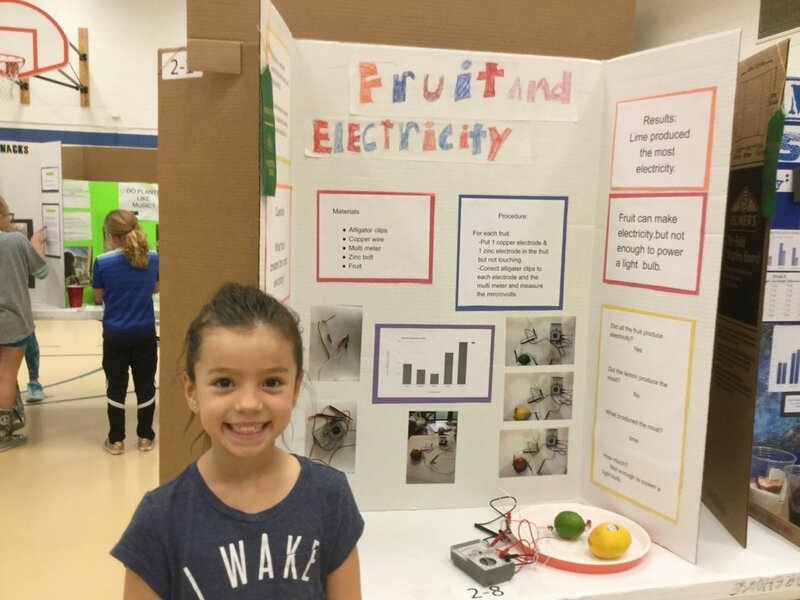 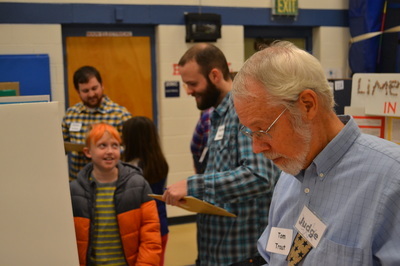 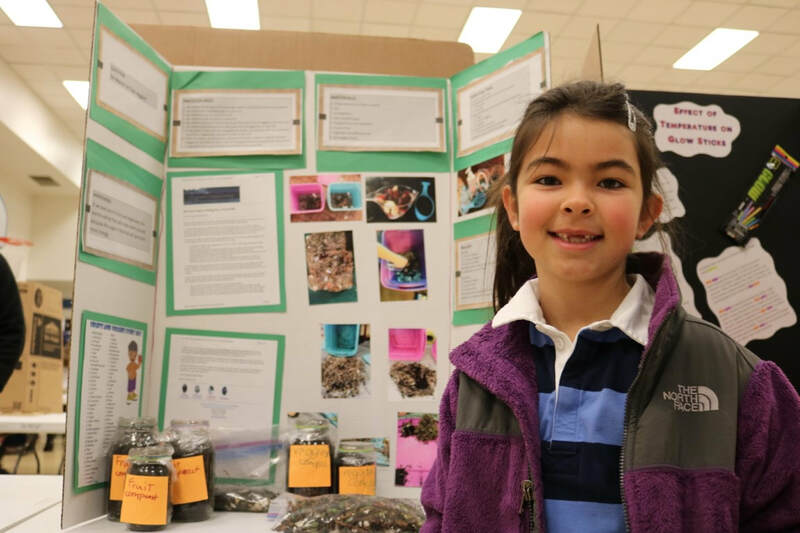 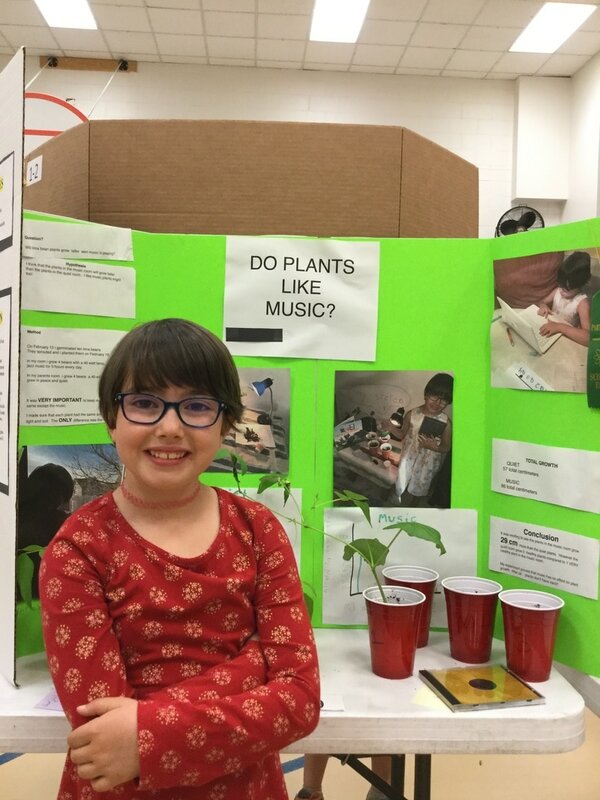 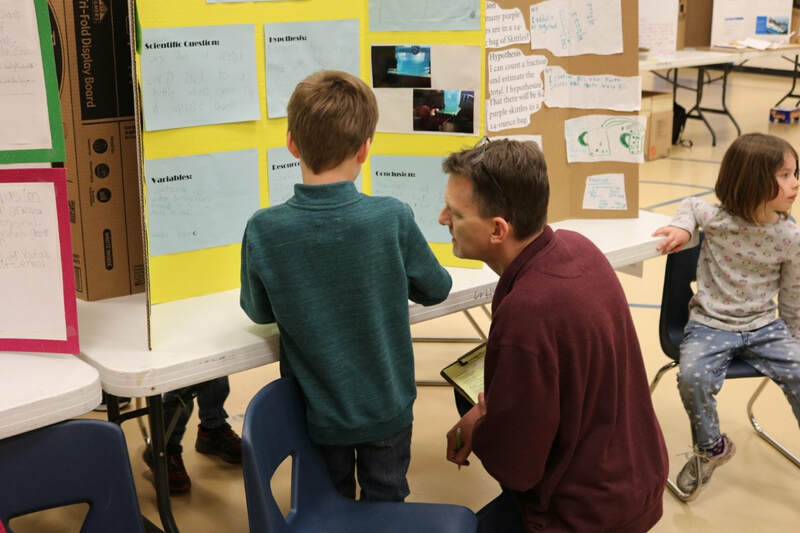 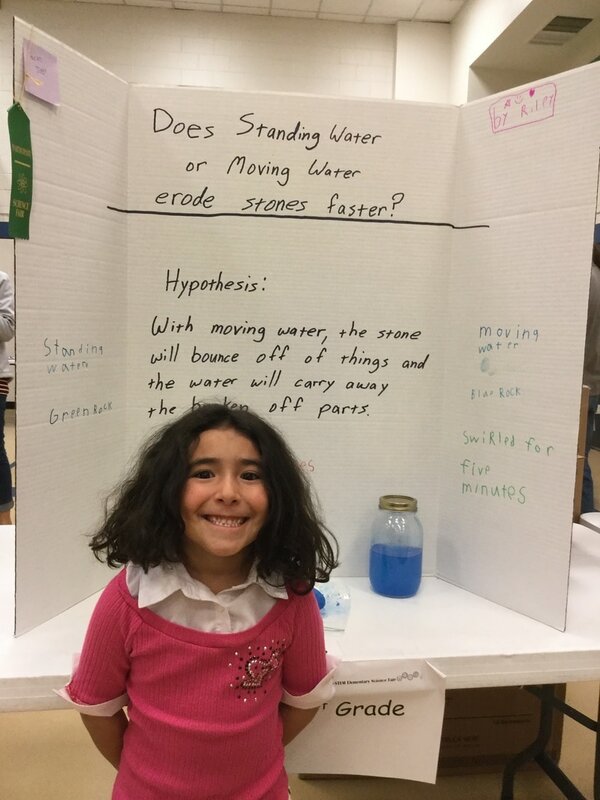 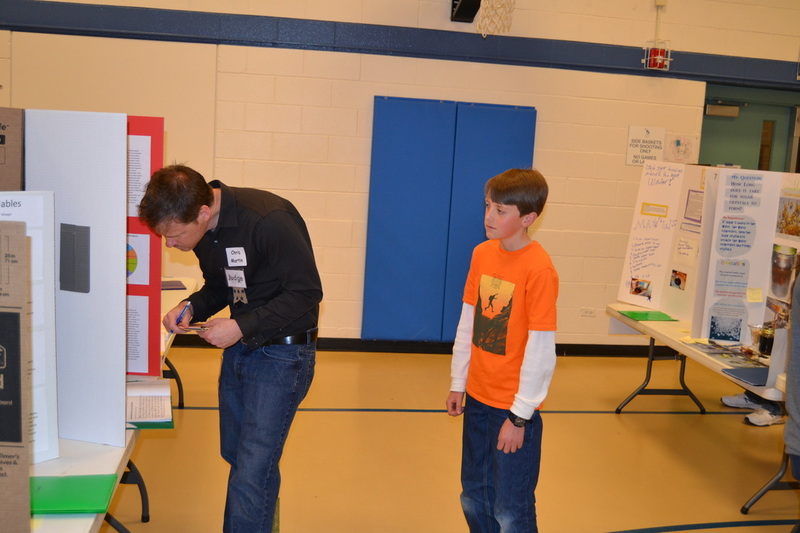 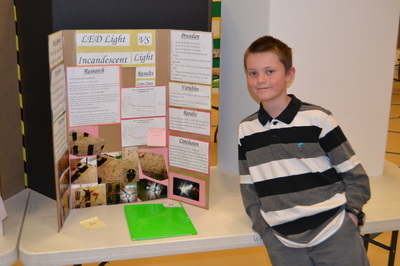 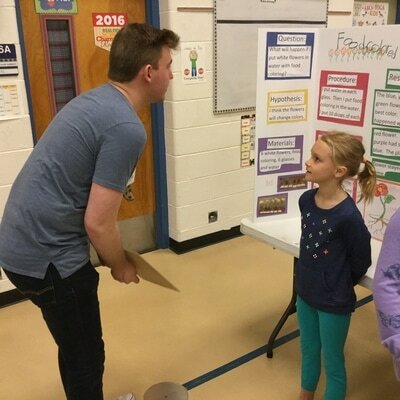 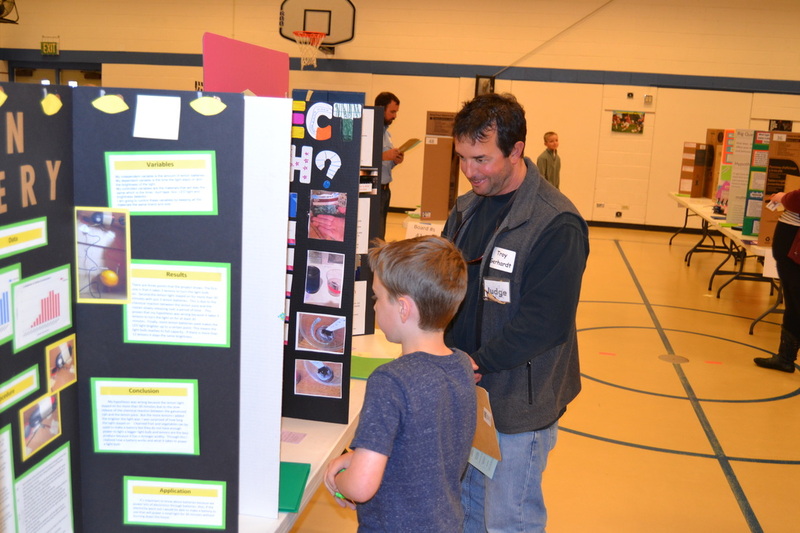 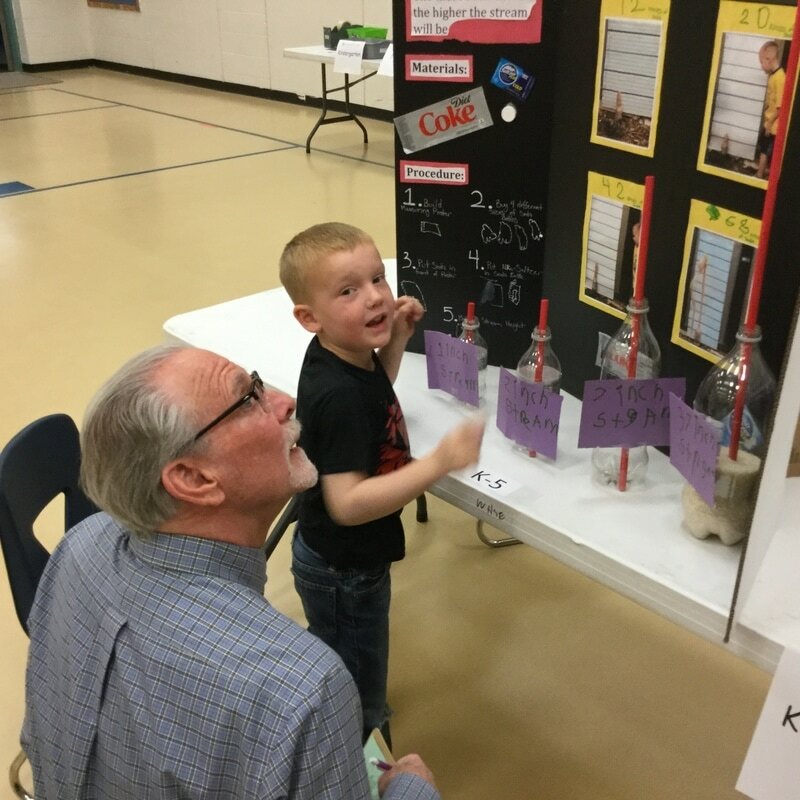 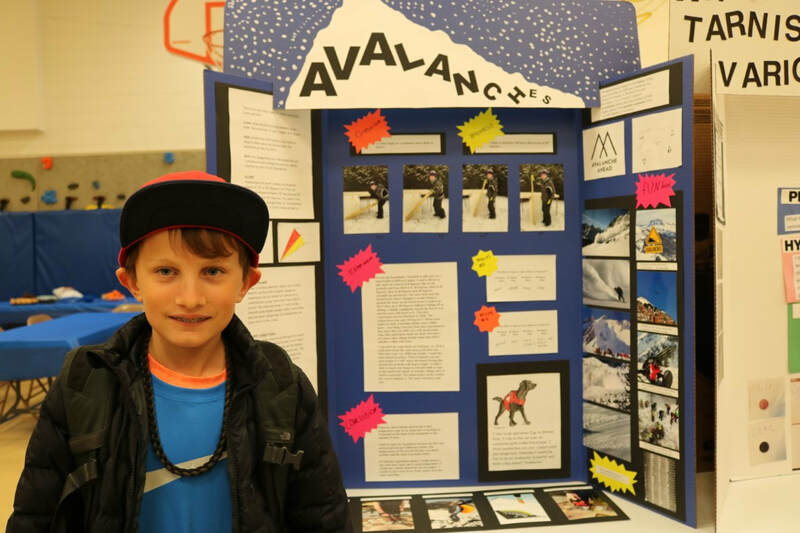 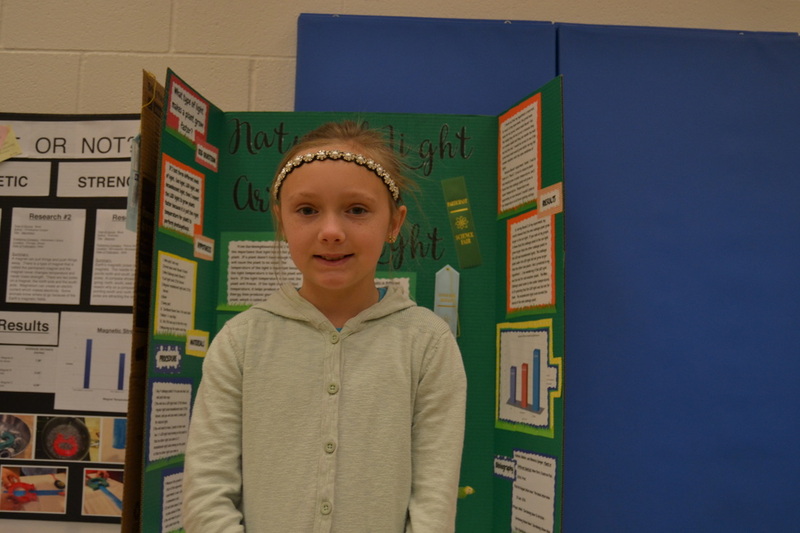 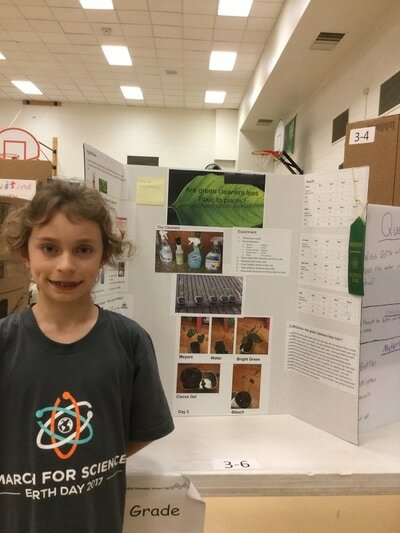 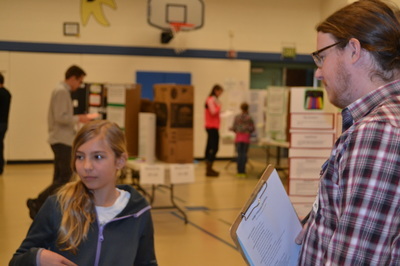 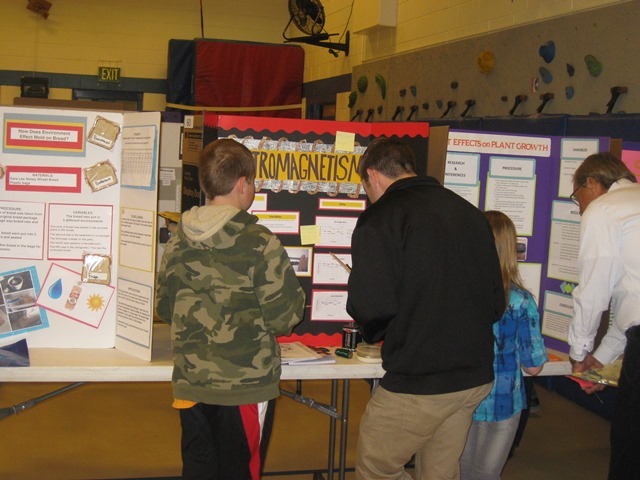 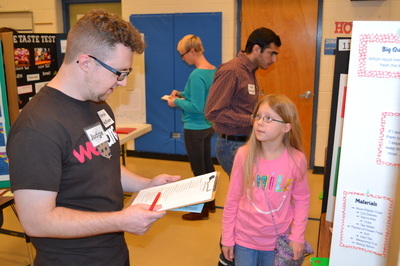 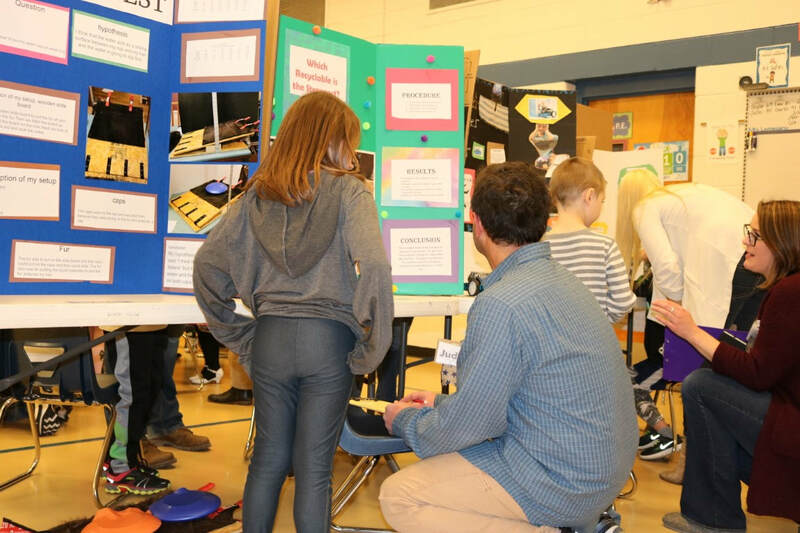 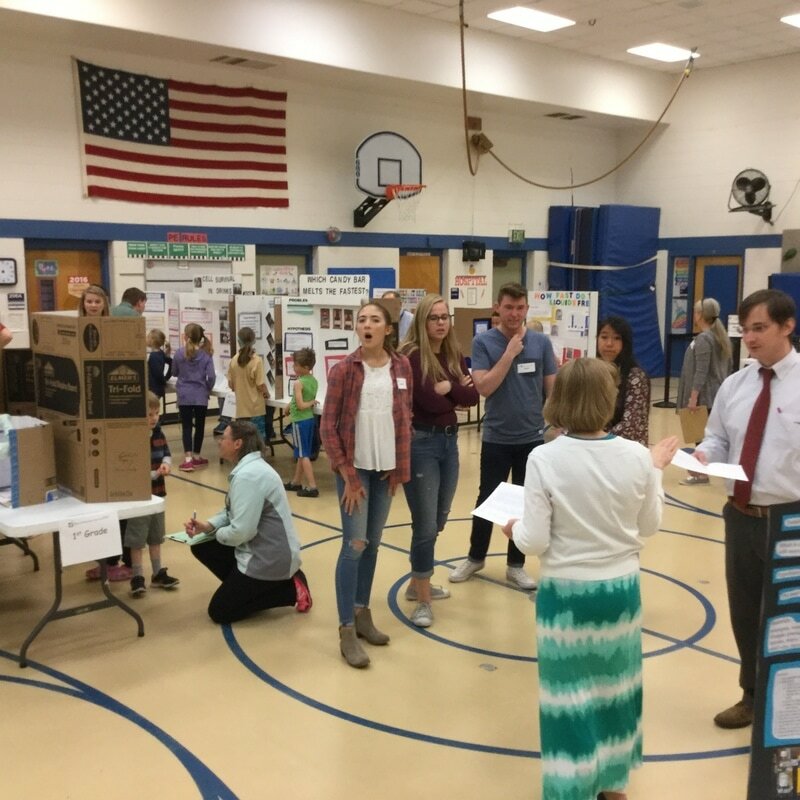 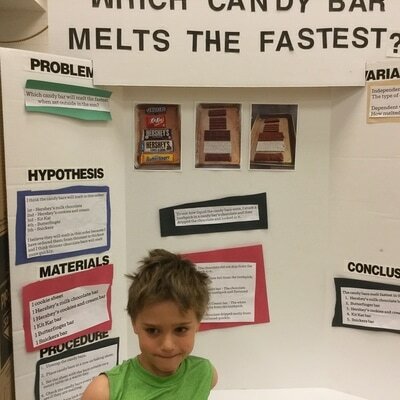 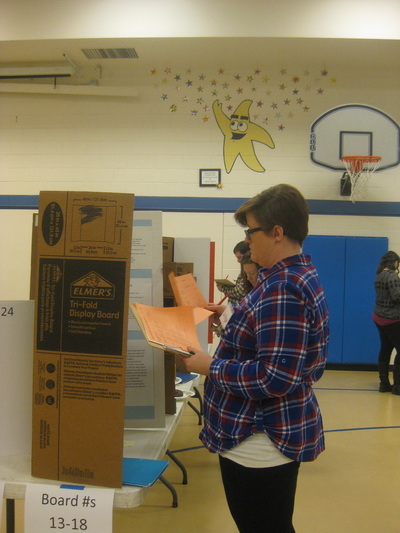 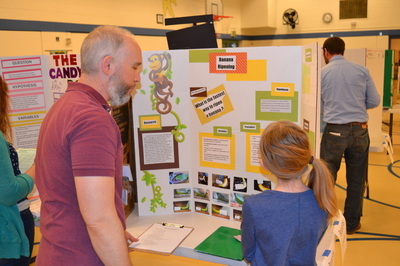 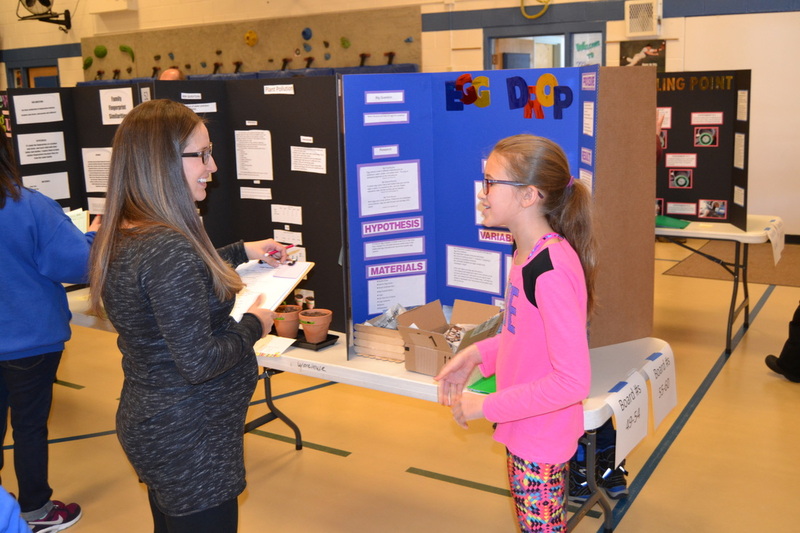 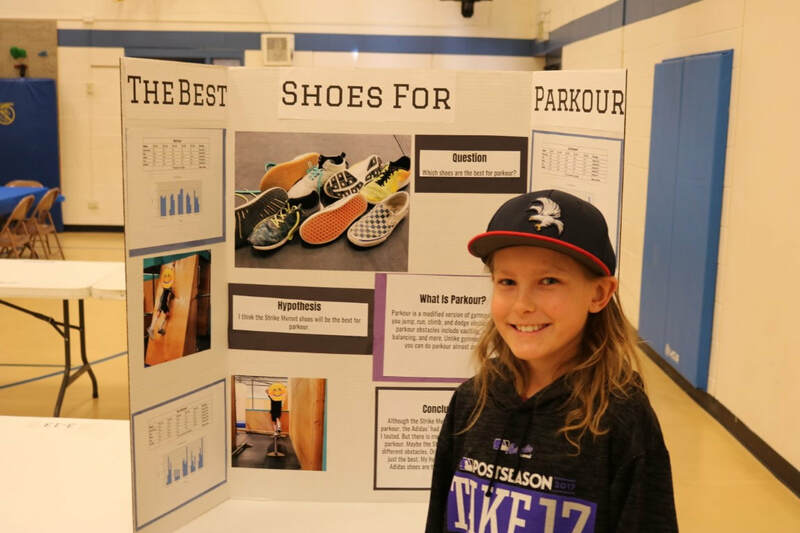 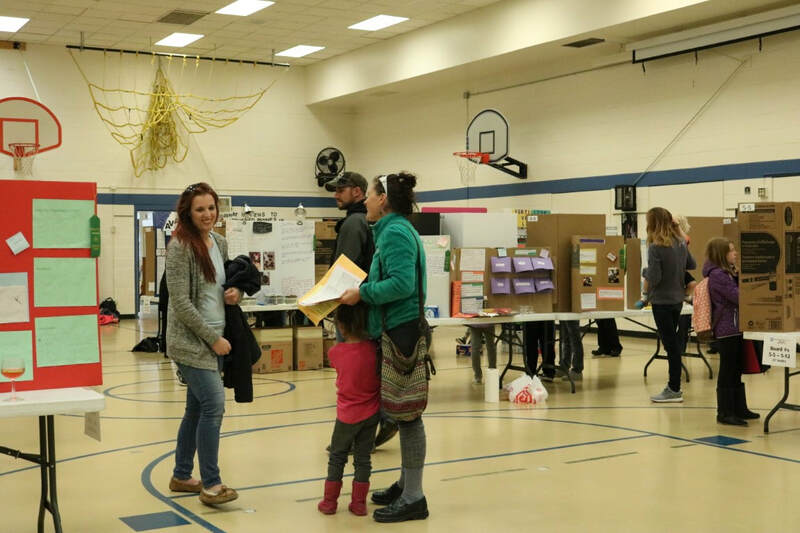 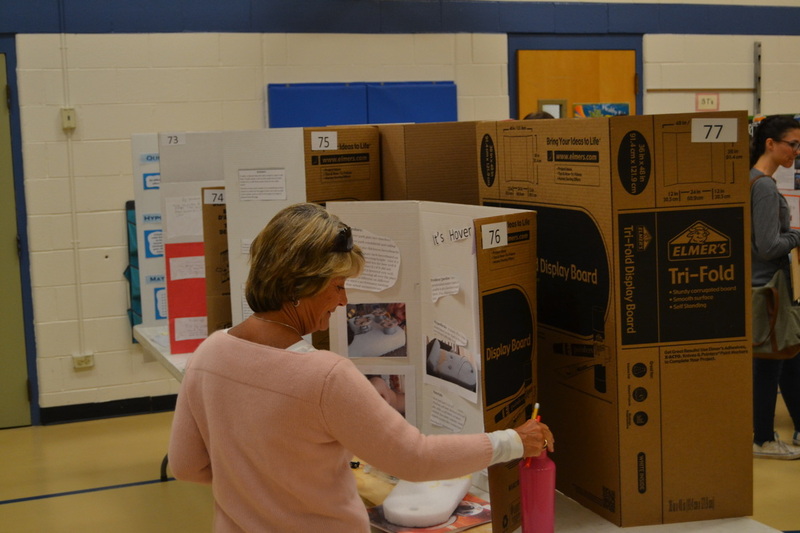 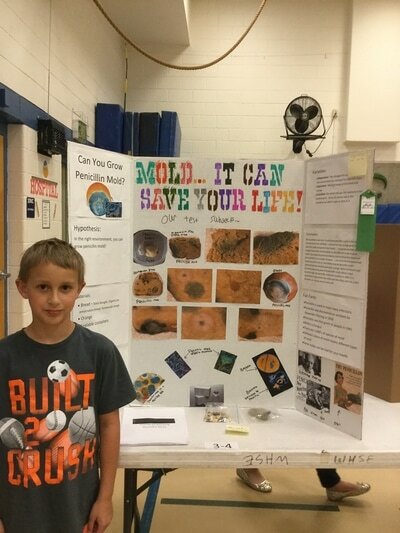 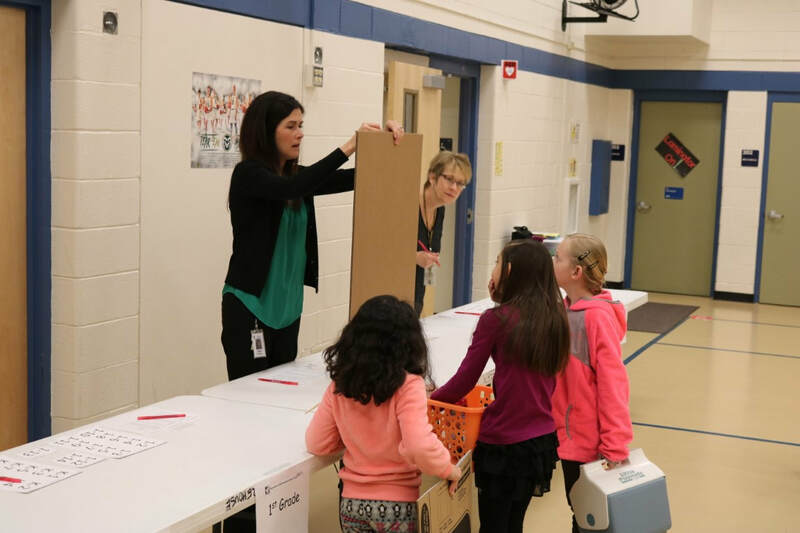 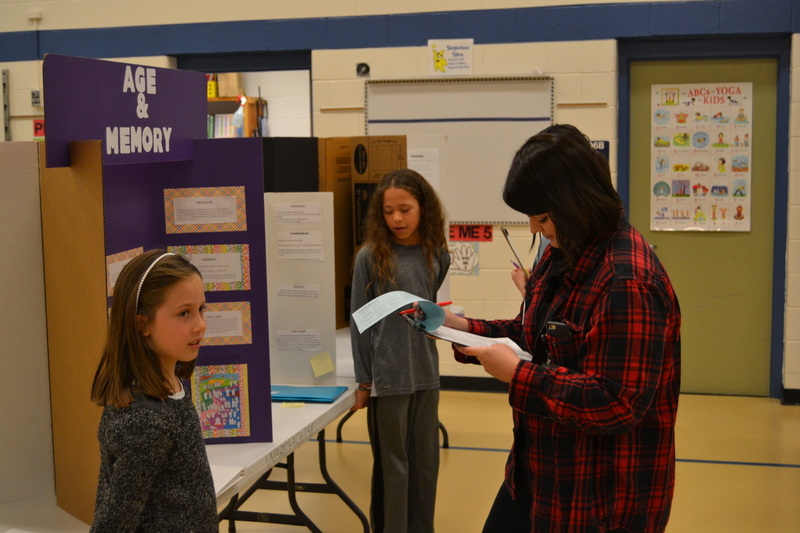 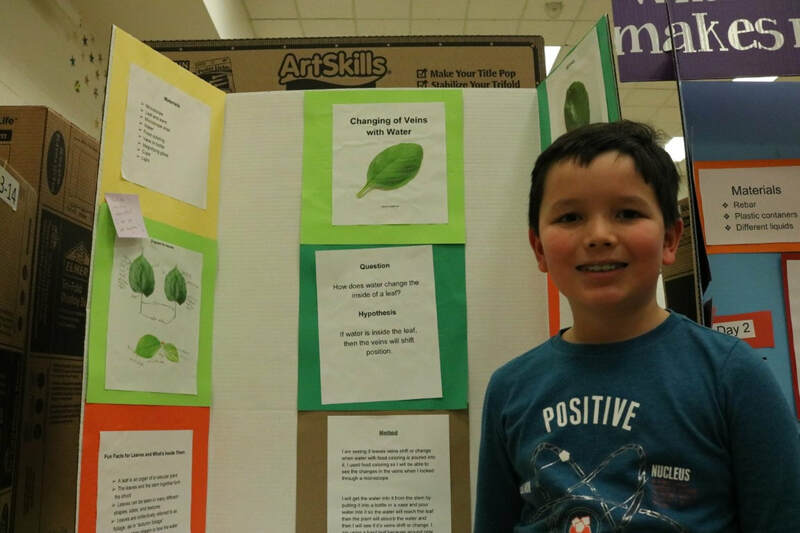 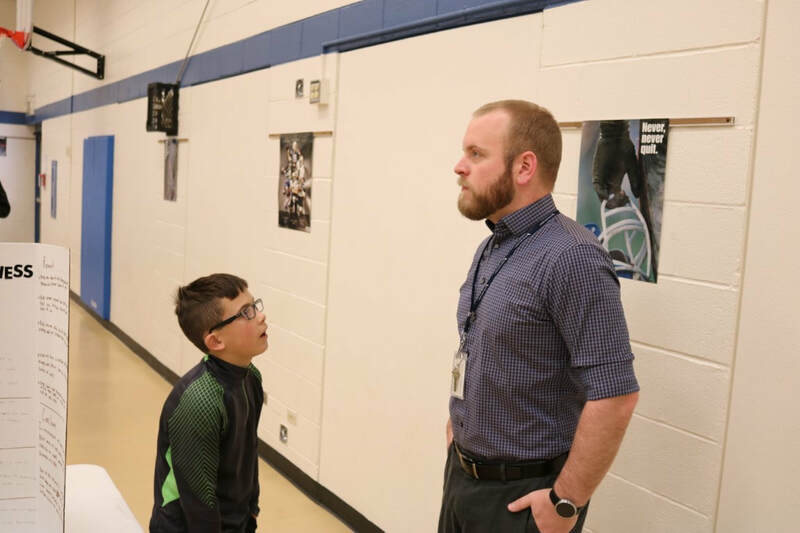 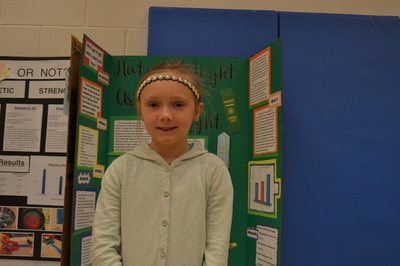 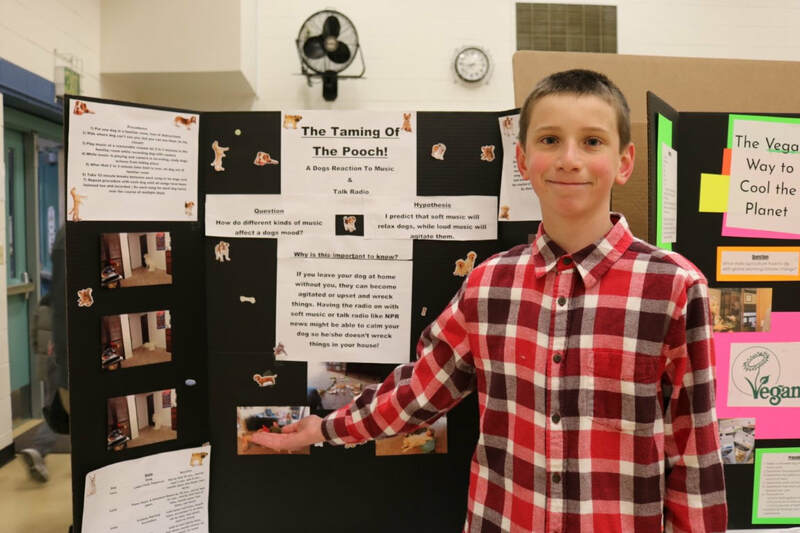 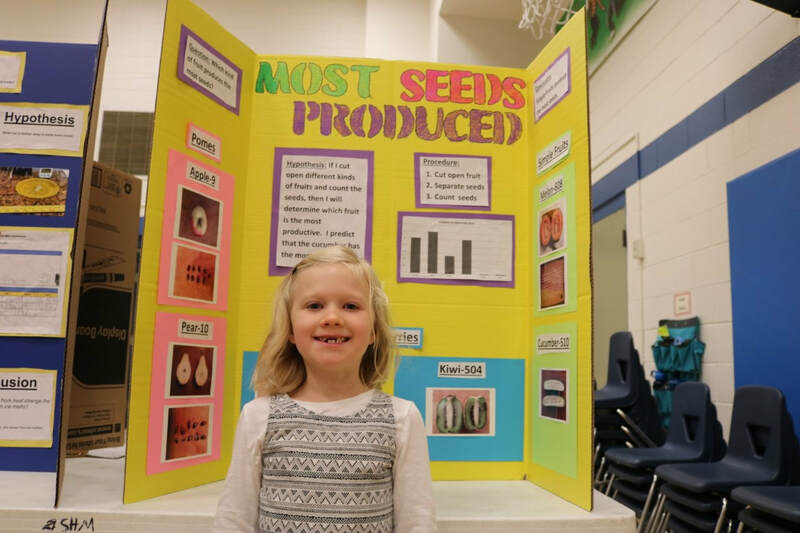 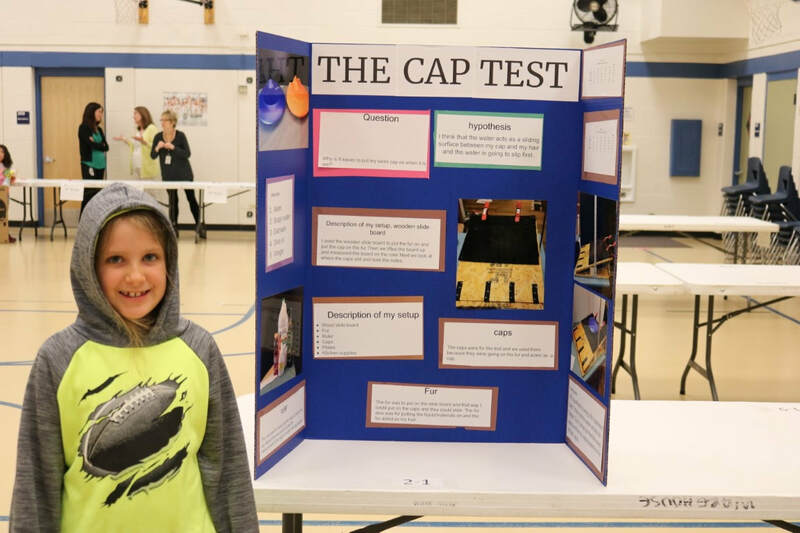 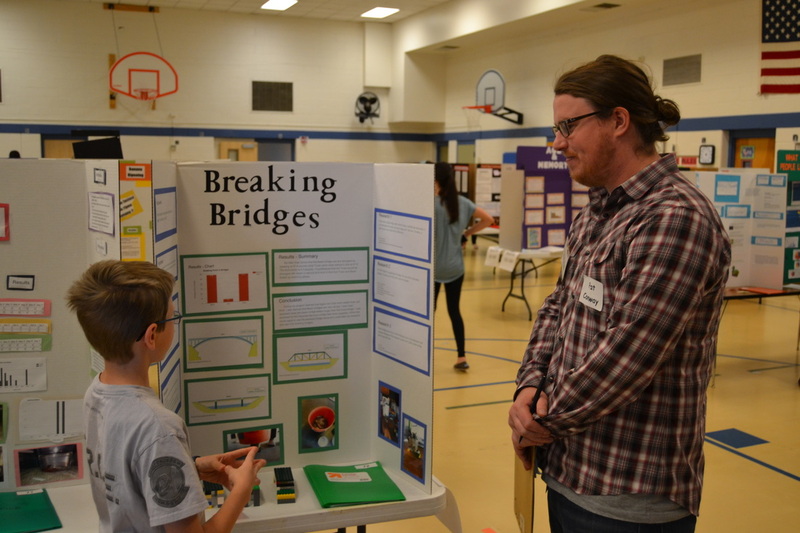 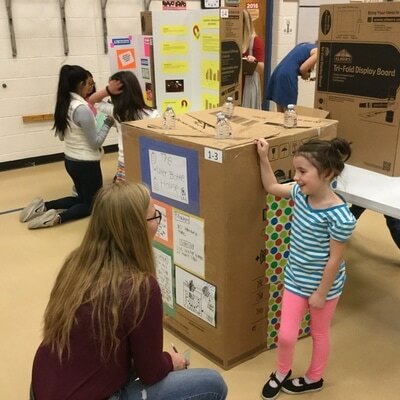 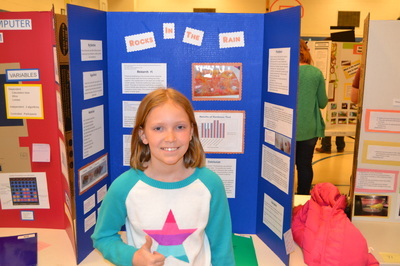 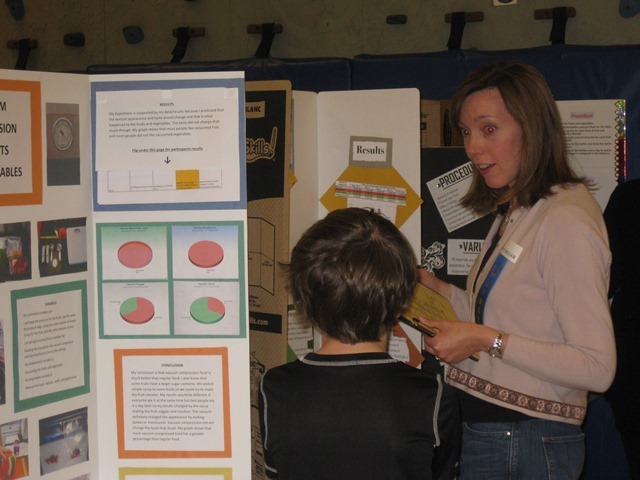 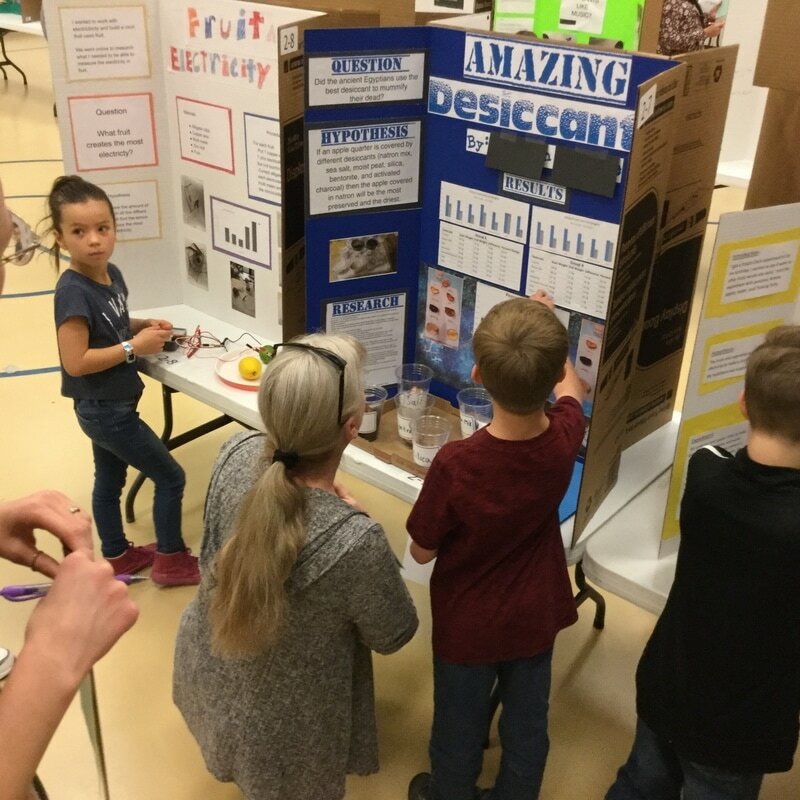 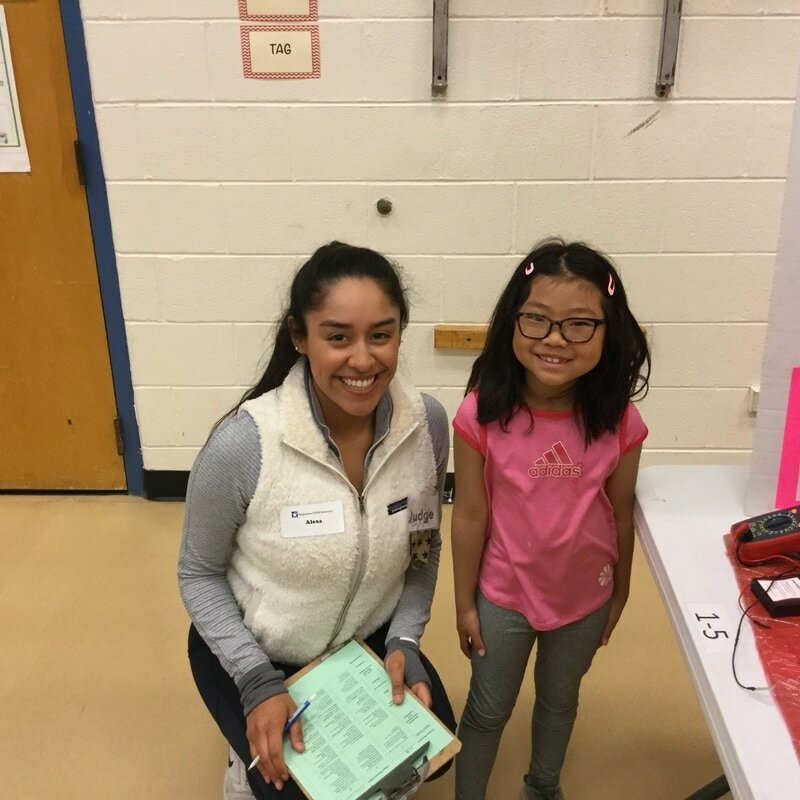 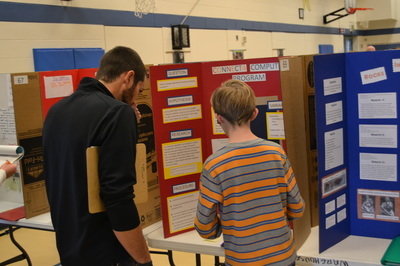 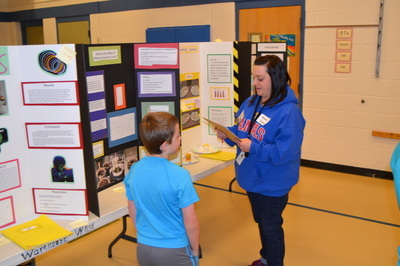 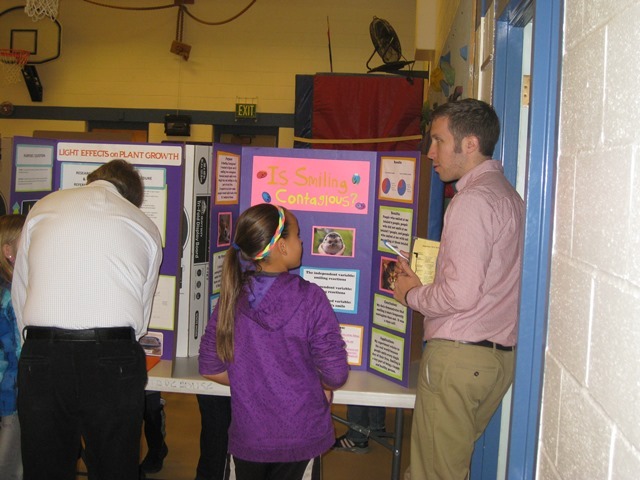 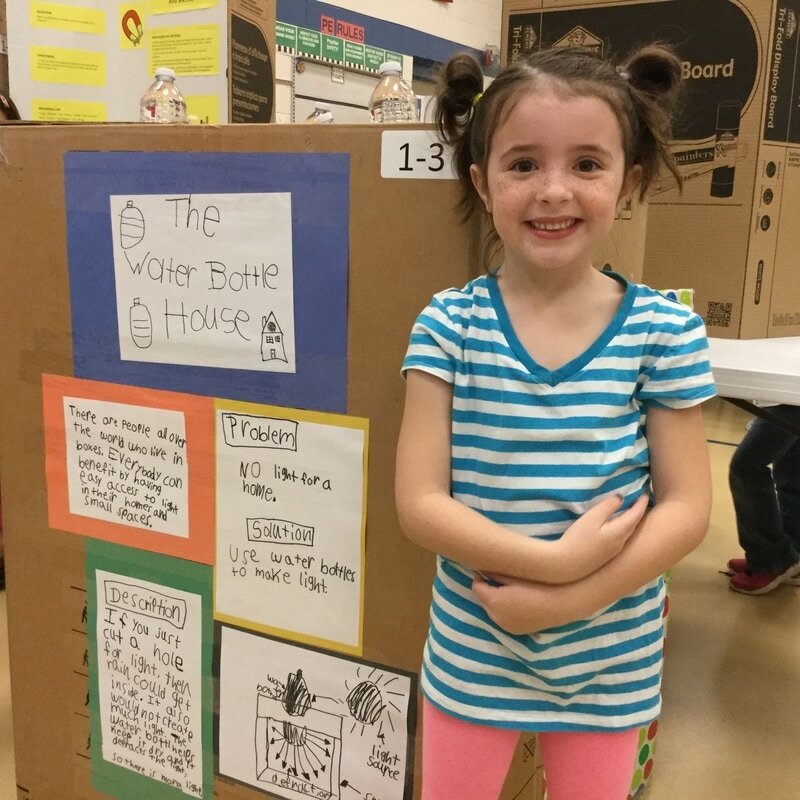 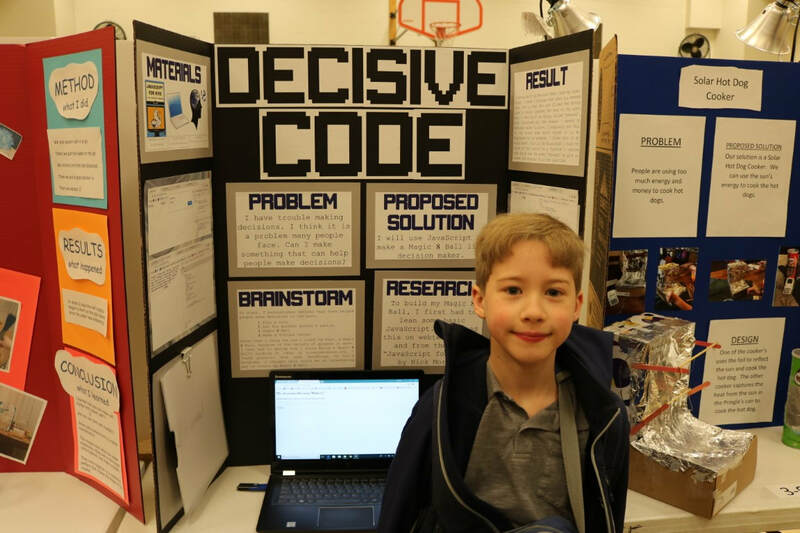 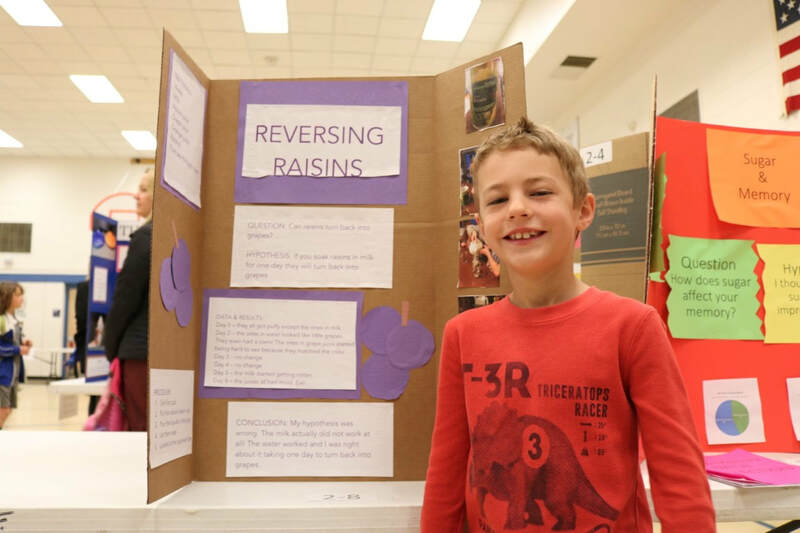 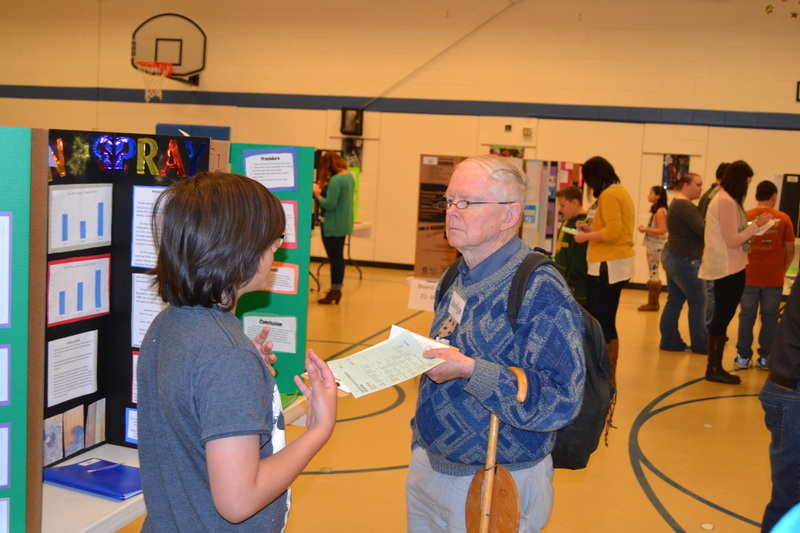 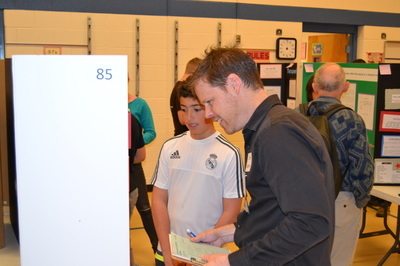 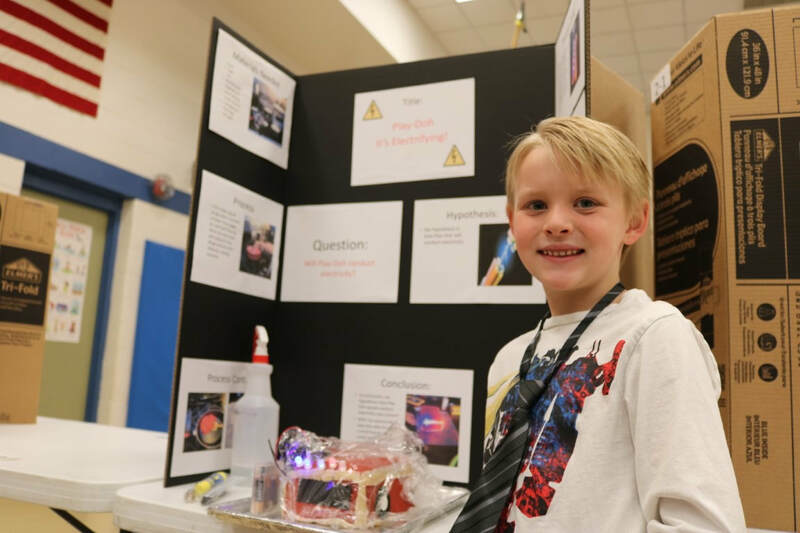 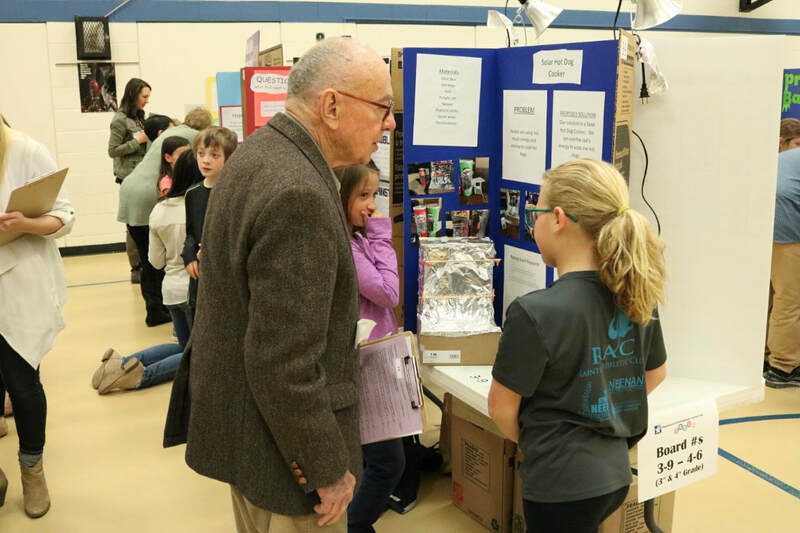 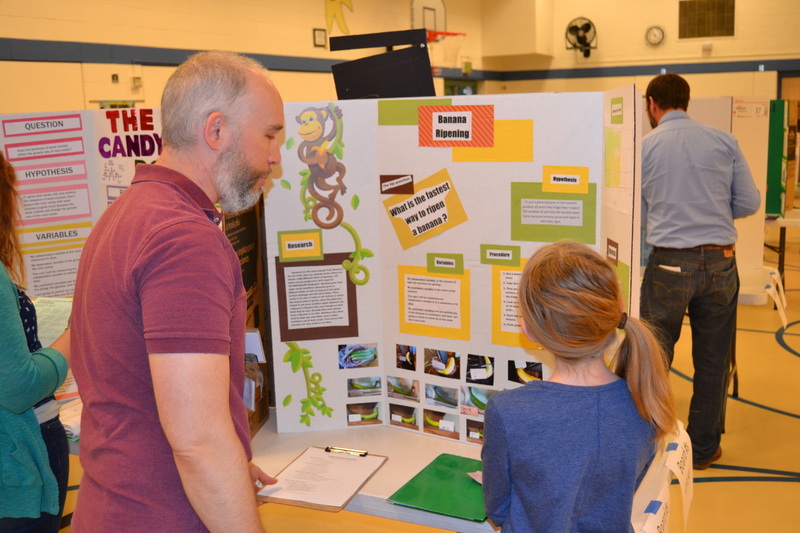 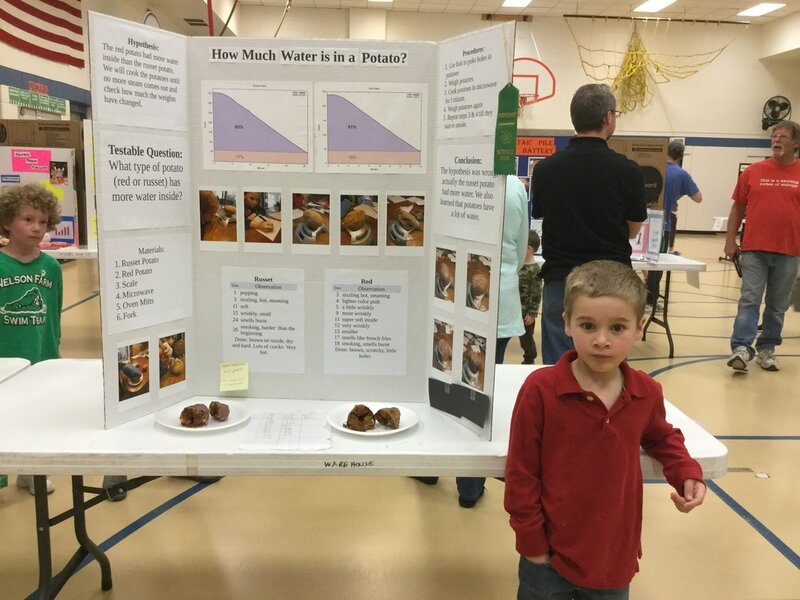 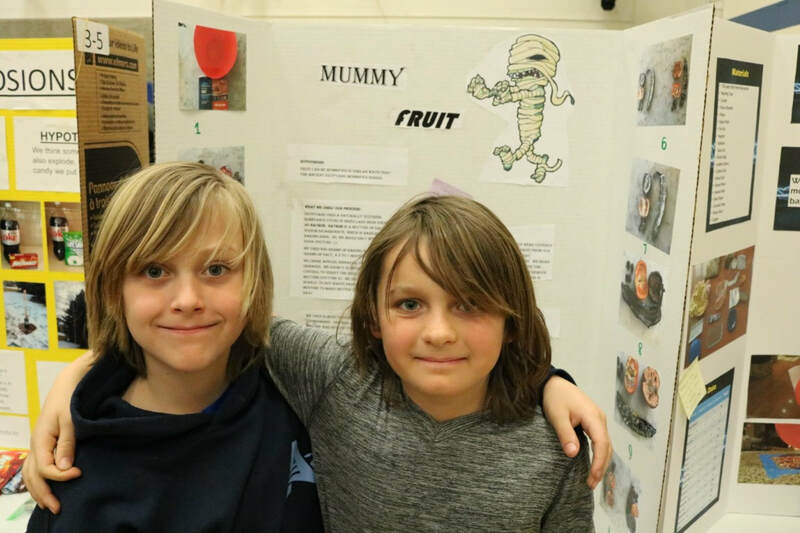 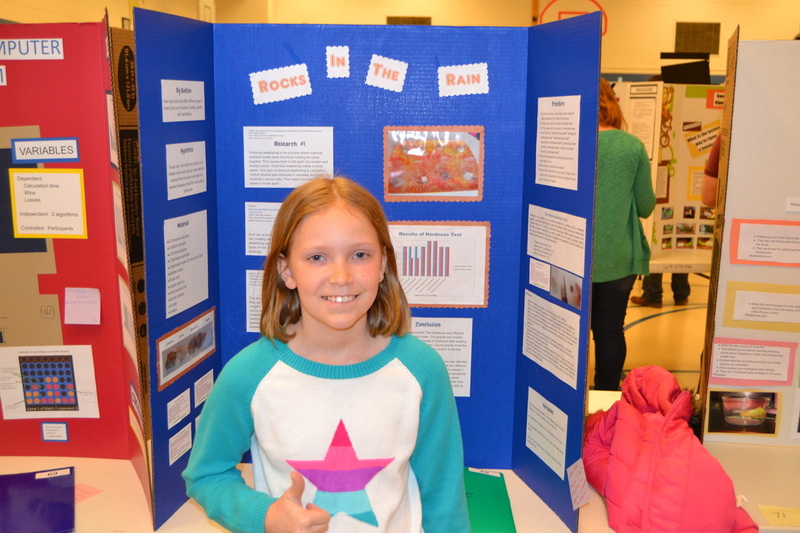 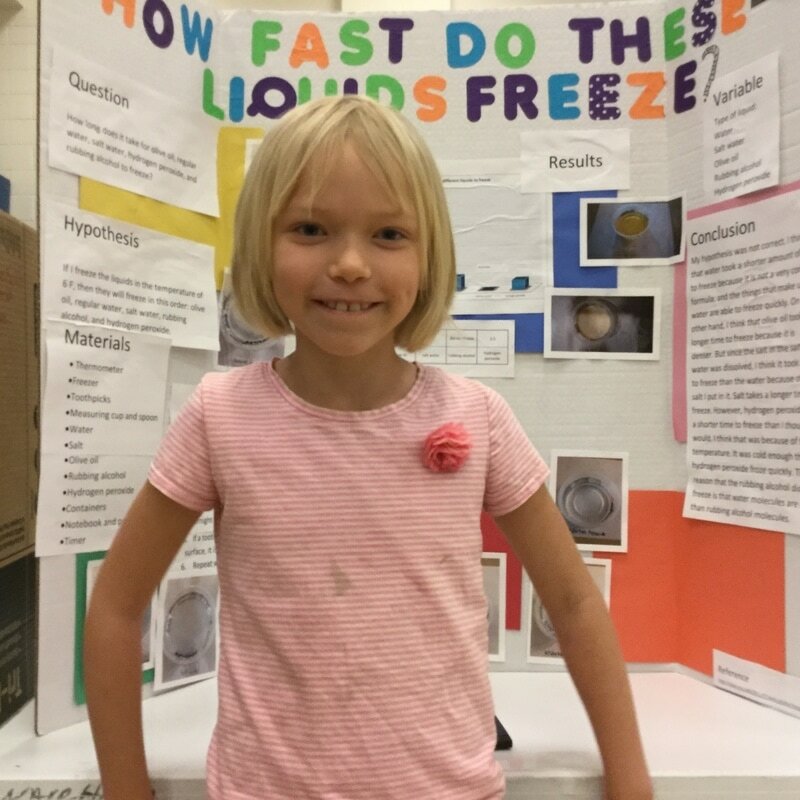 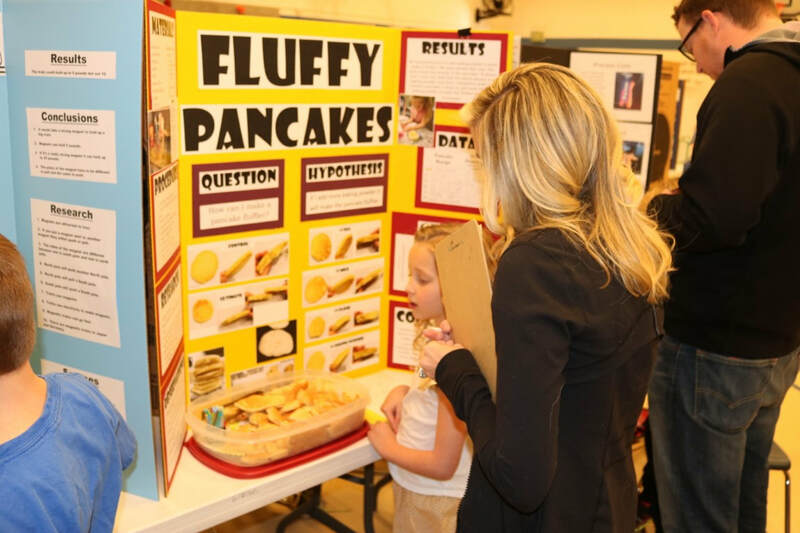 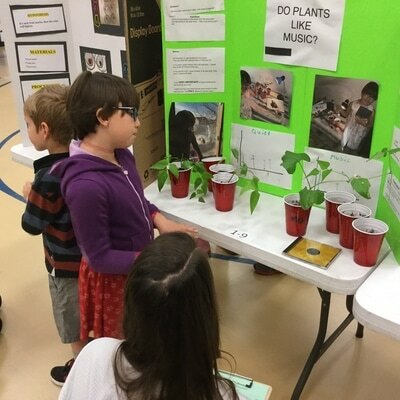 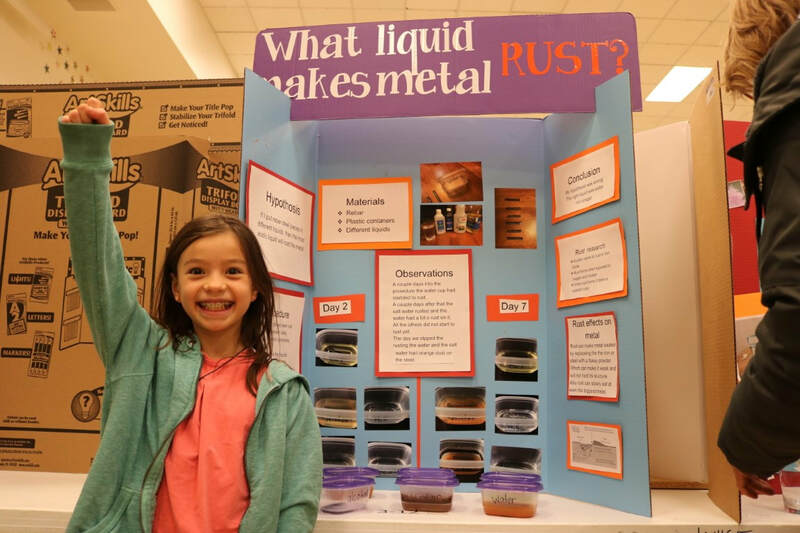 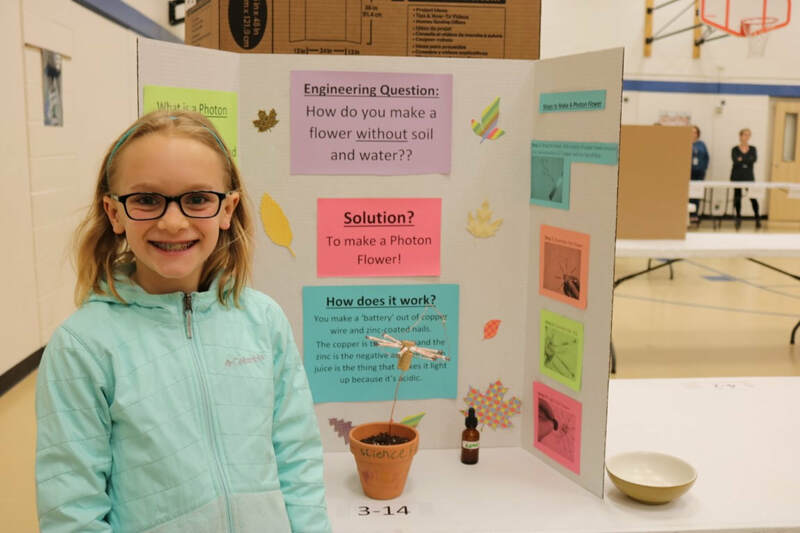 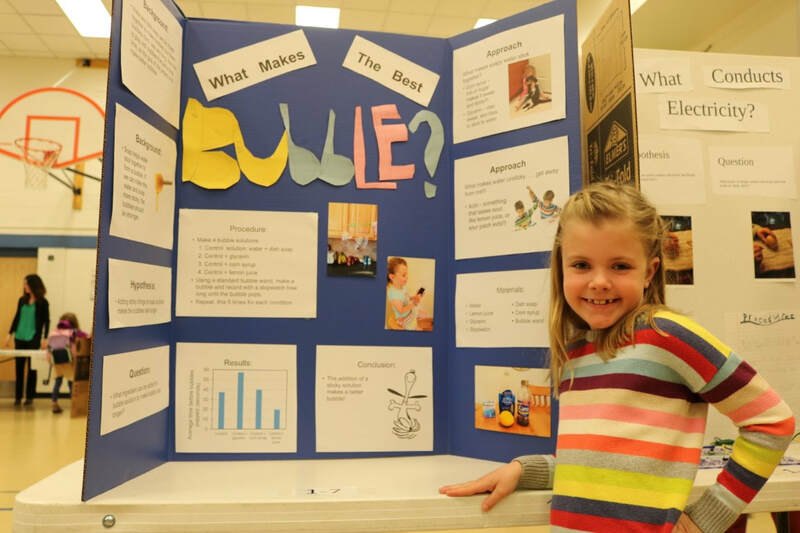 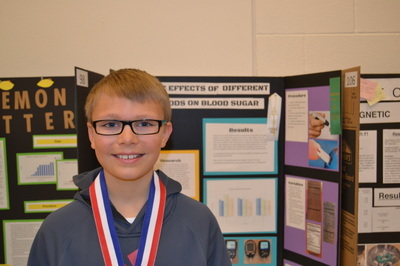 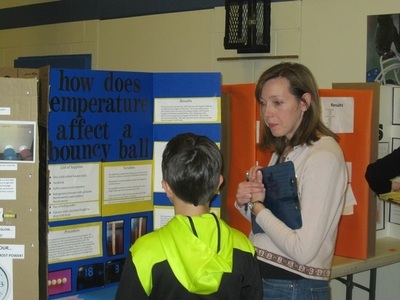 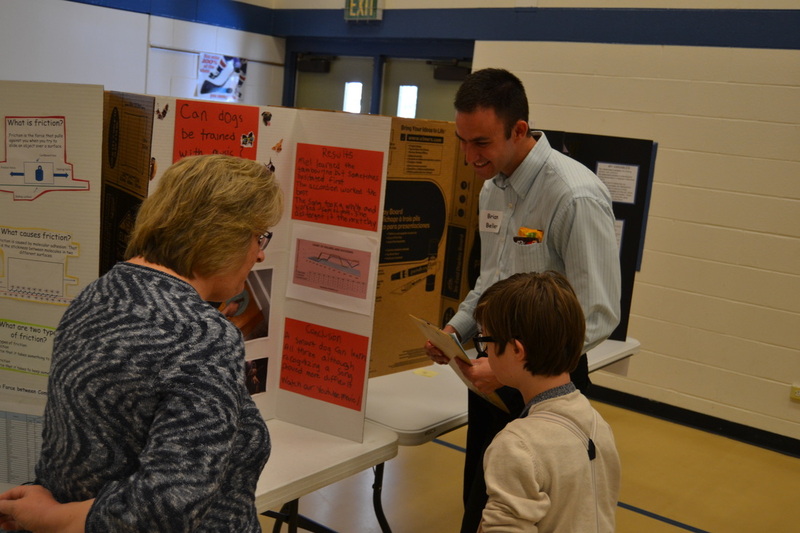 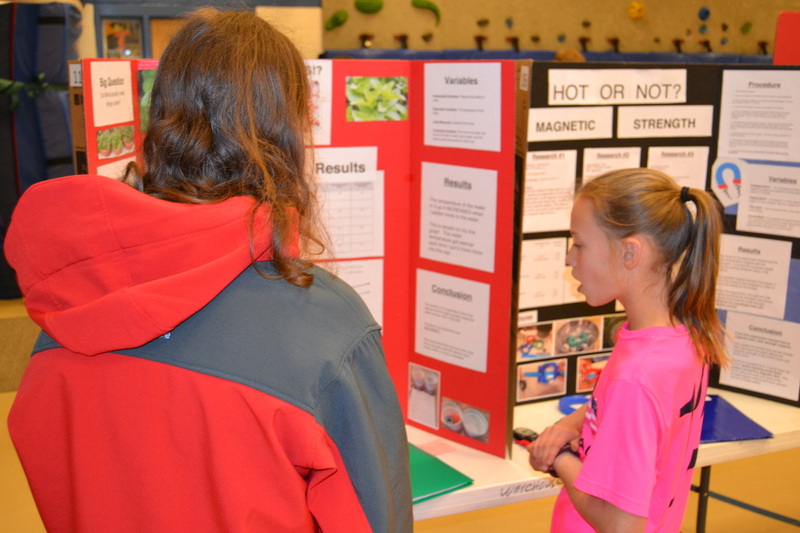 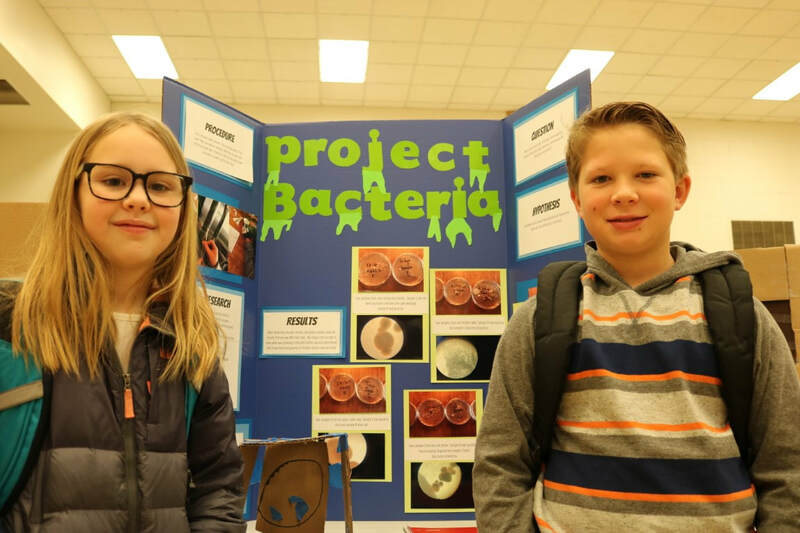 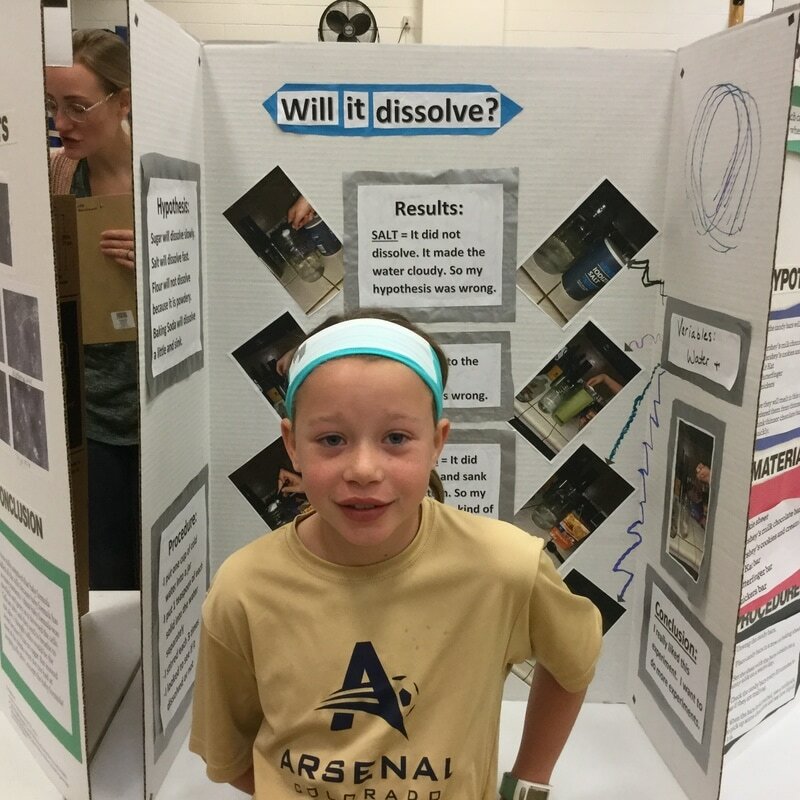 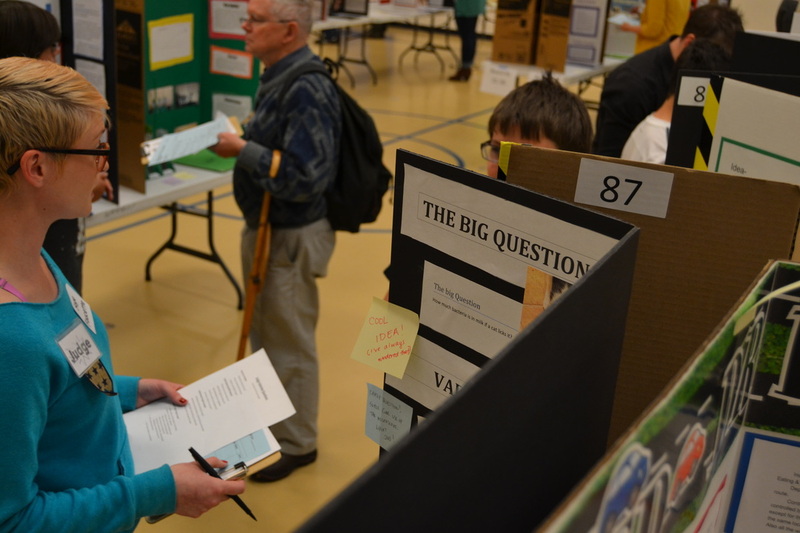 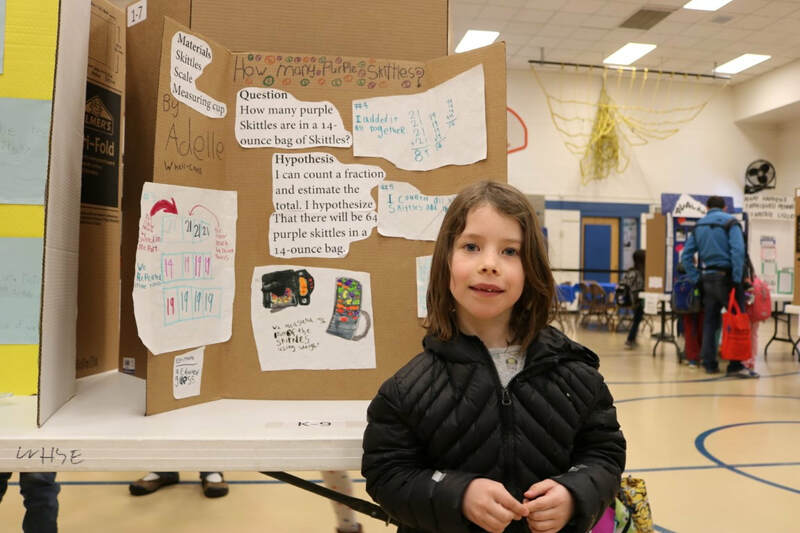 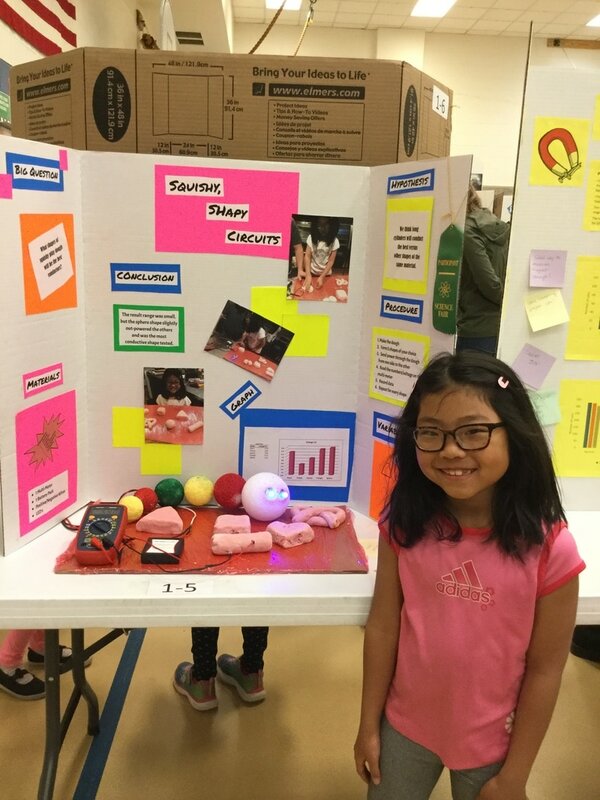 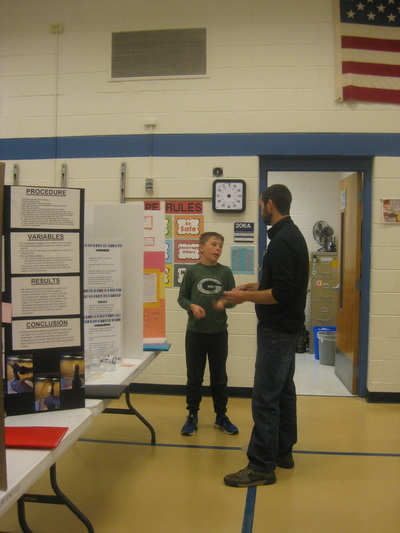 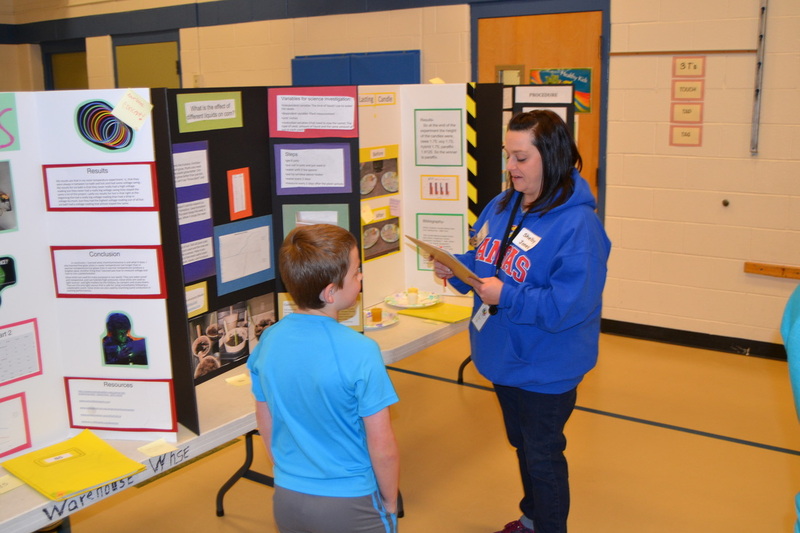 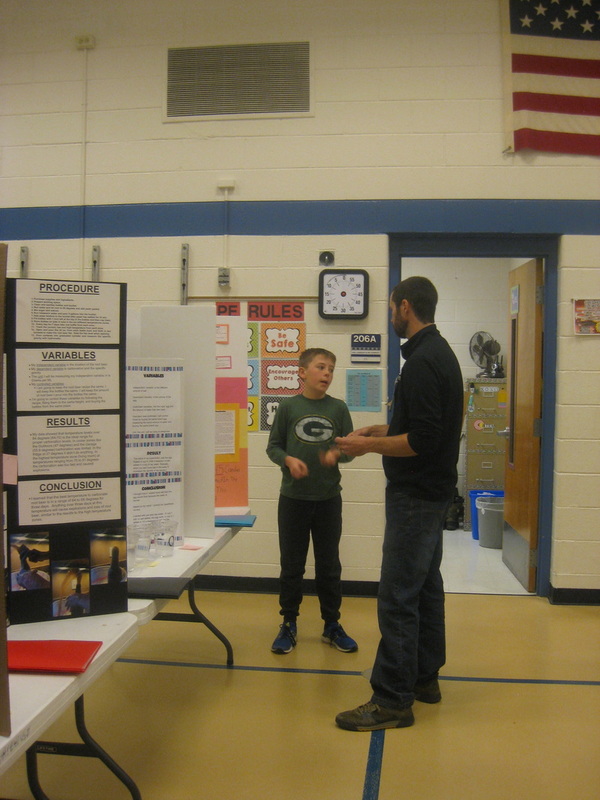 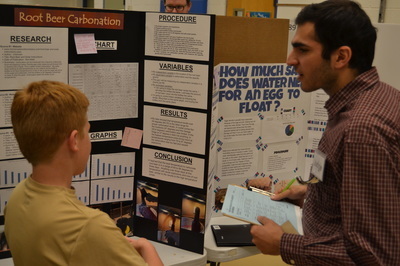 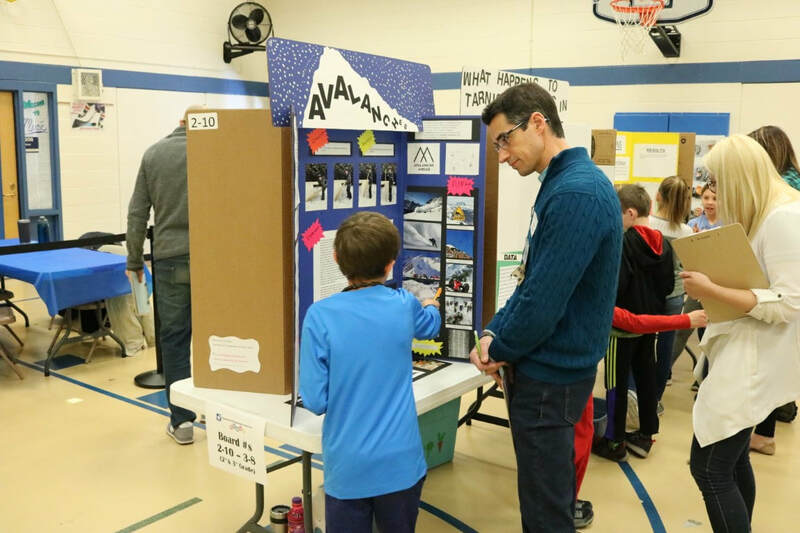 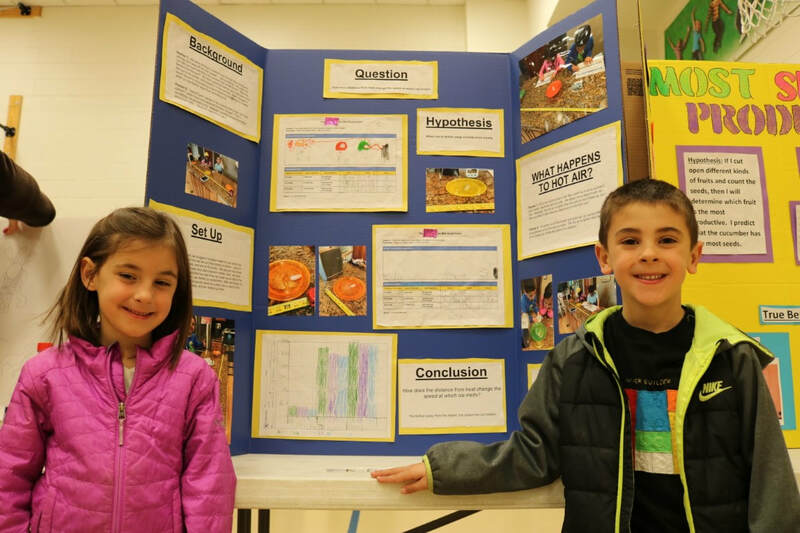 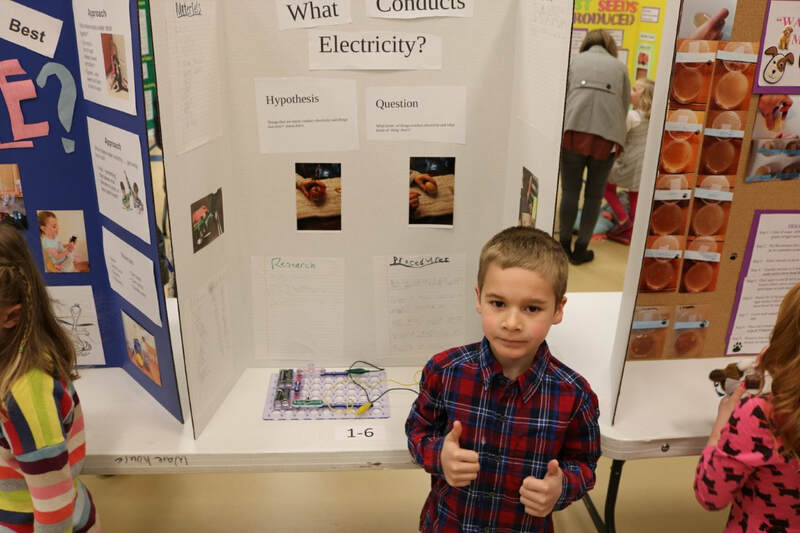 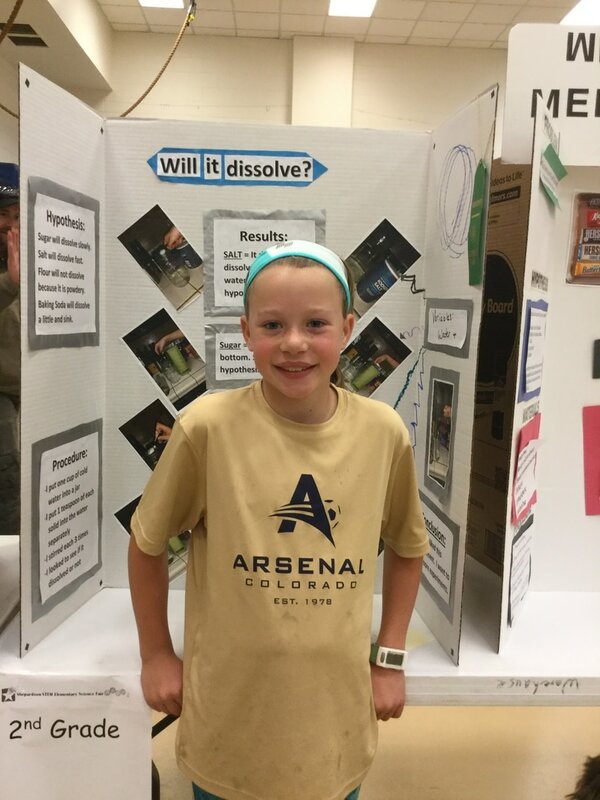 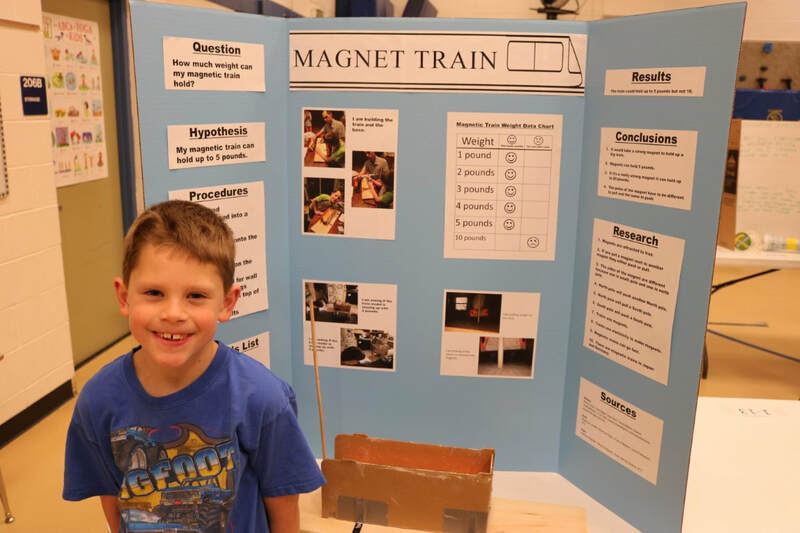 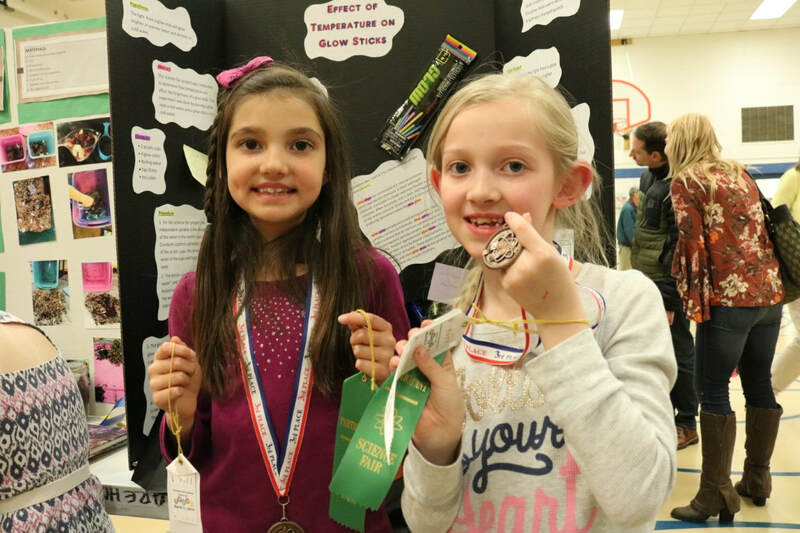 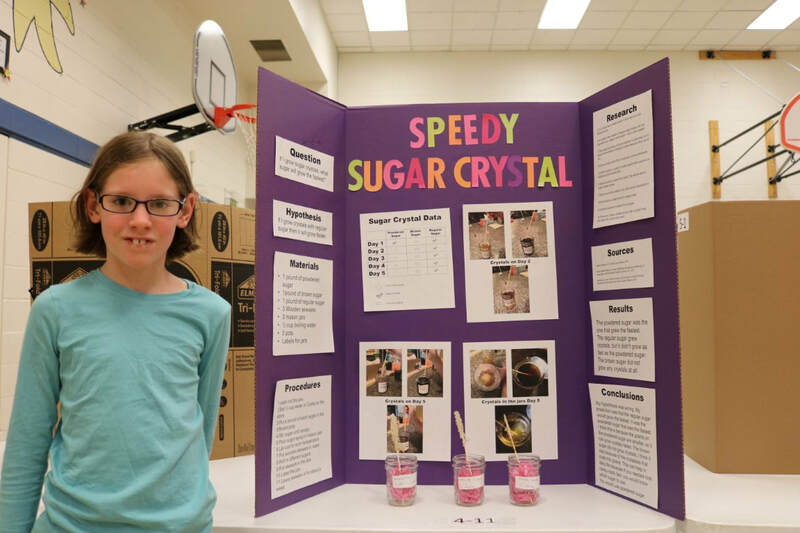 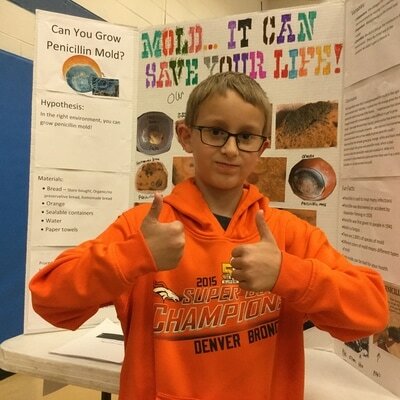 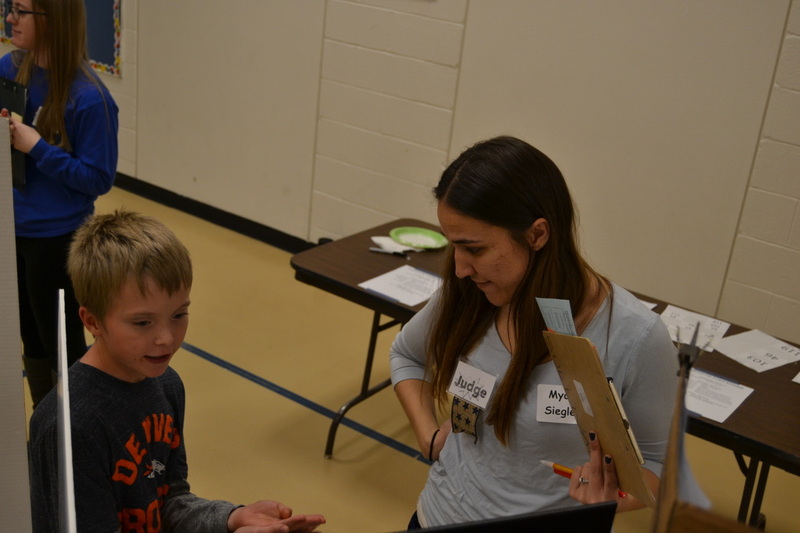 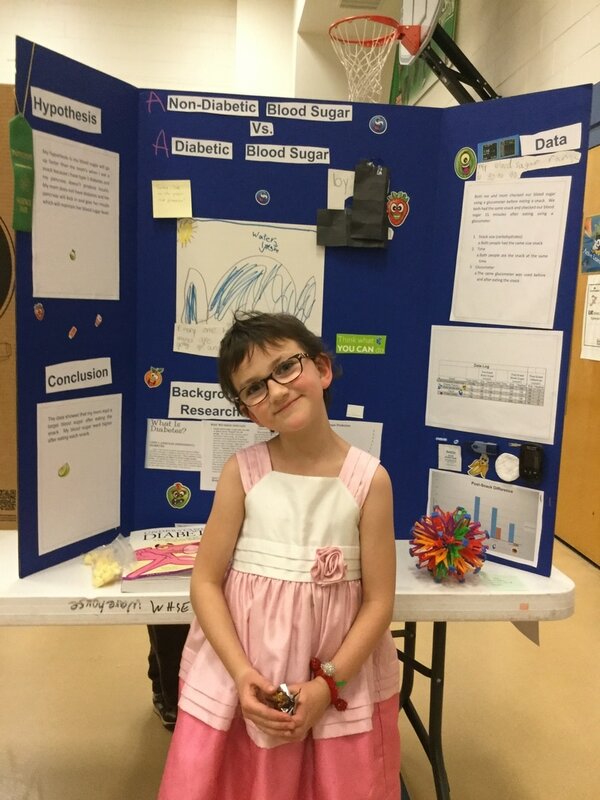 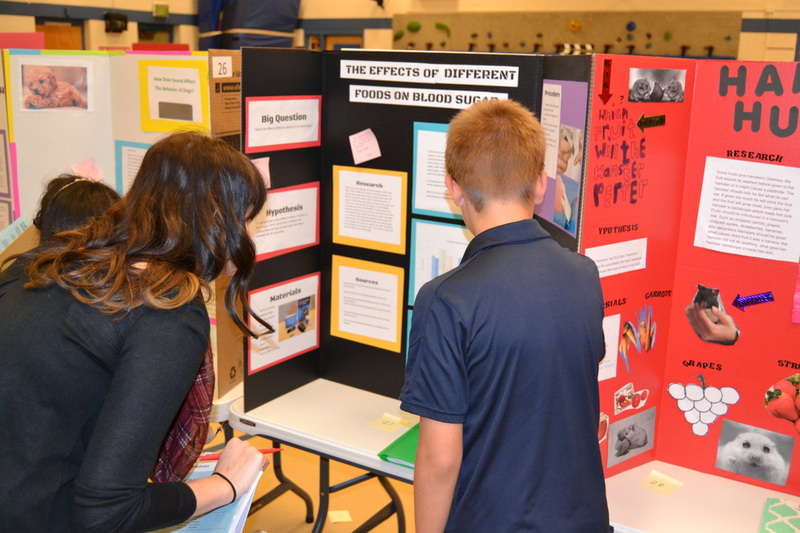 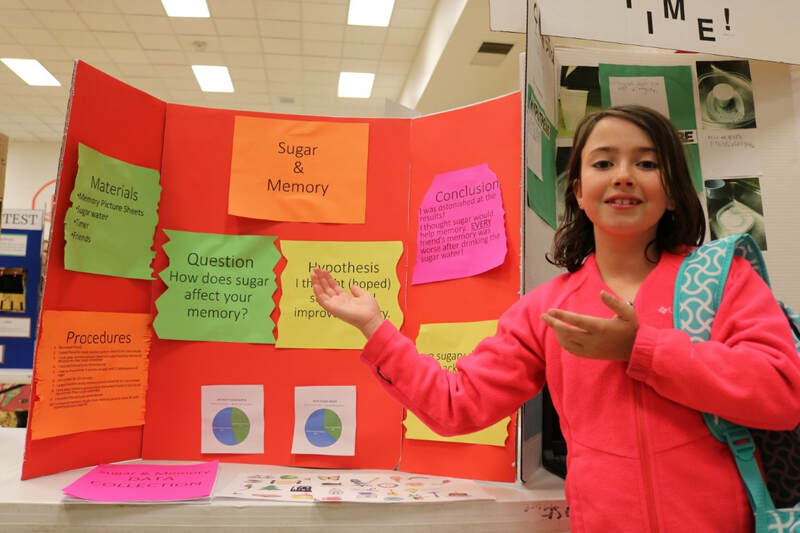 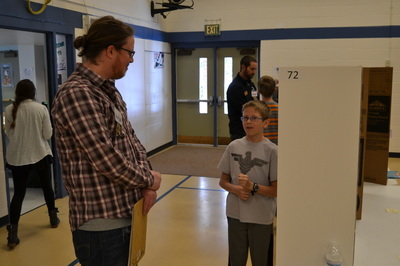 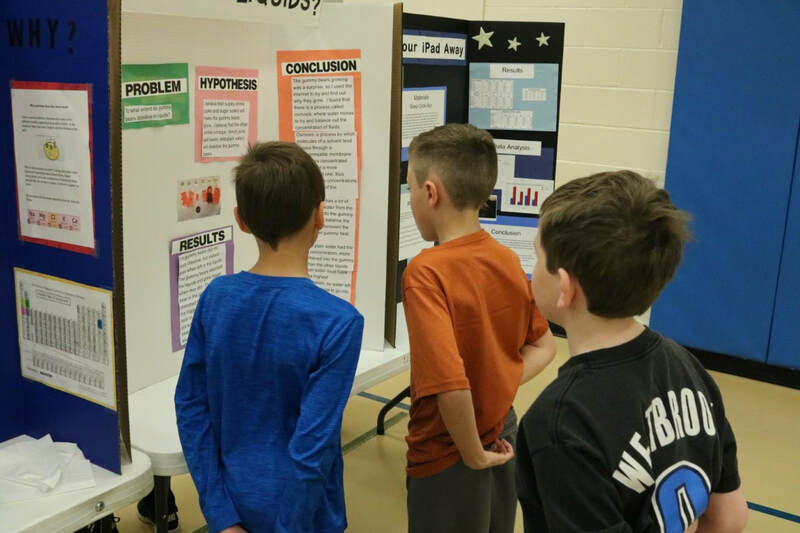 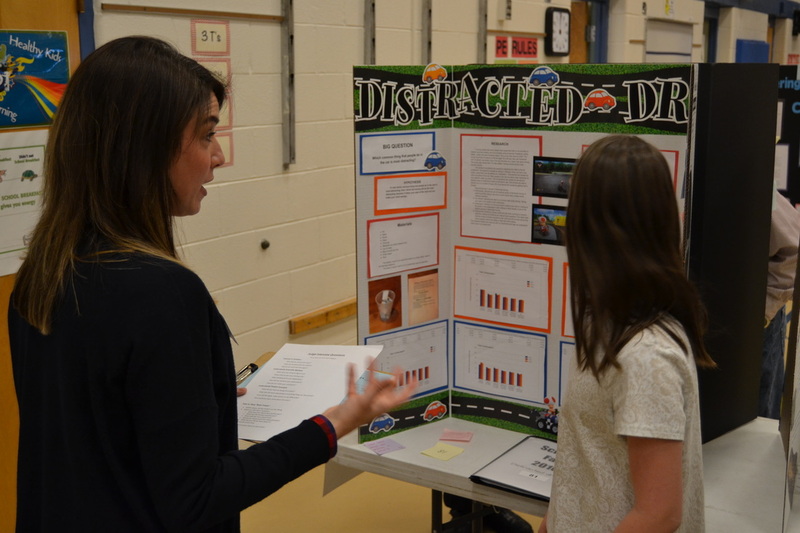 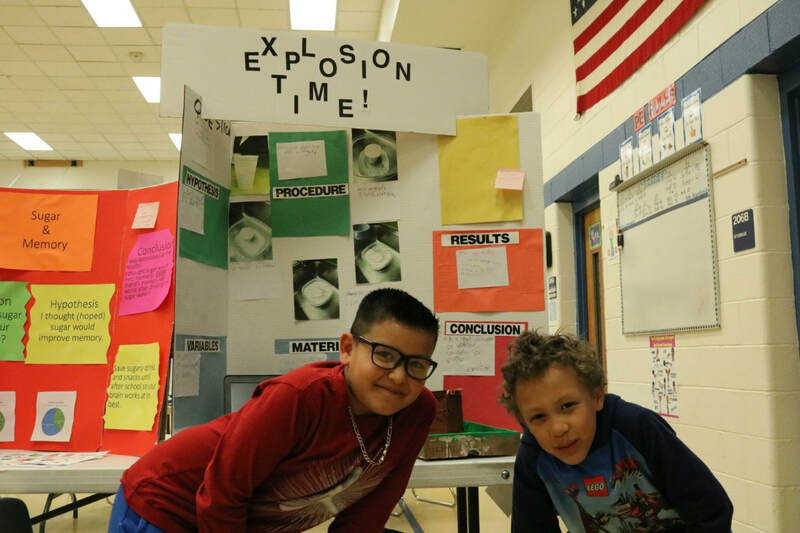 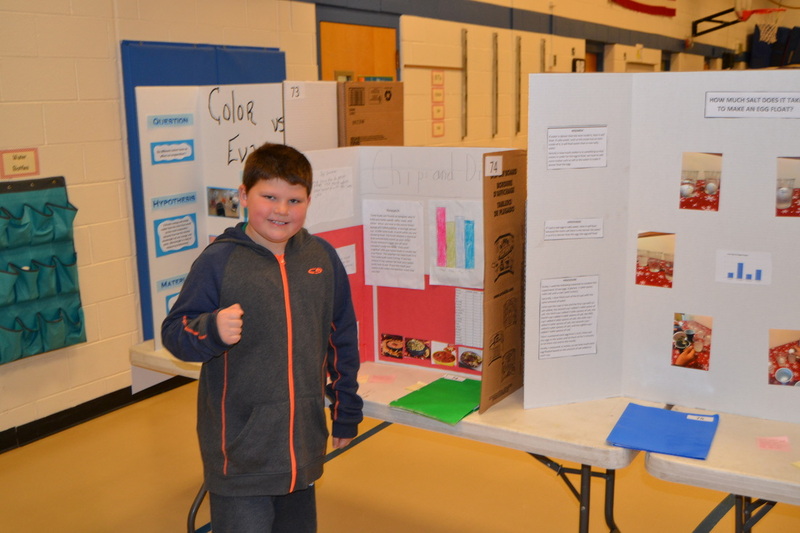 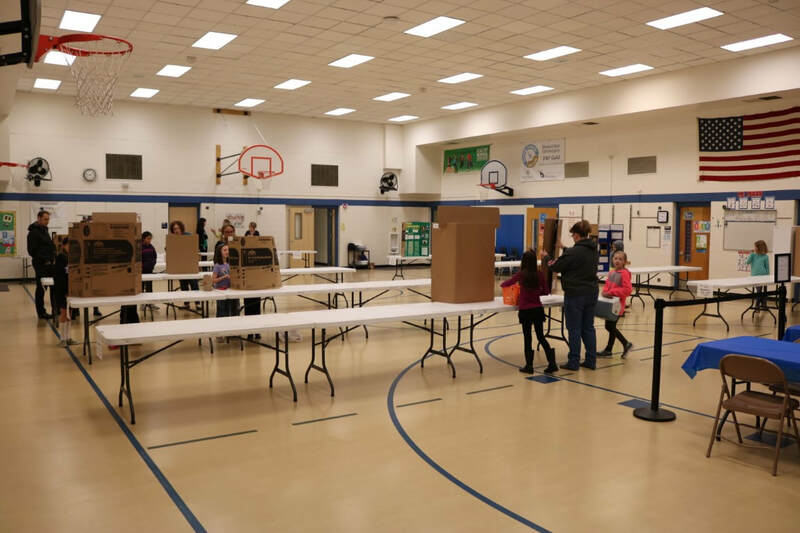 The Annual Shepardson Whole School Science Fair was held on Monday, March 5, 2018. 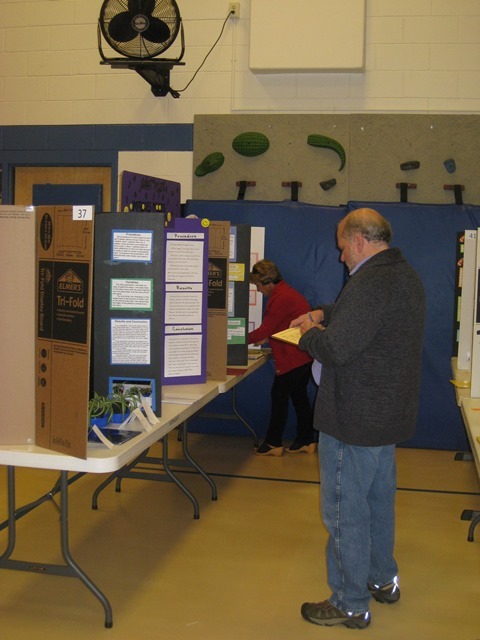 Congratulations to all the students who participated and thanks to their parents for supporting them throughout the science fair process. 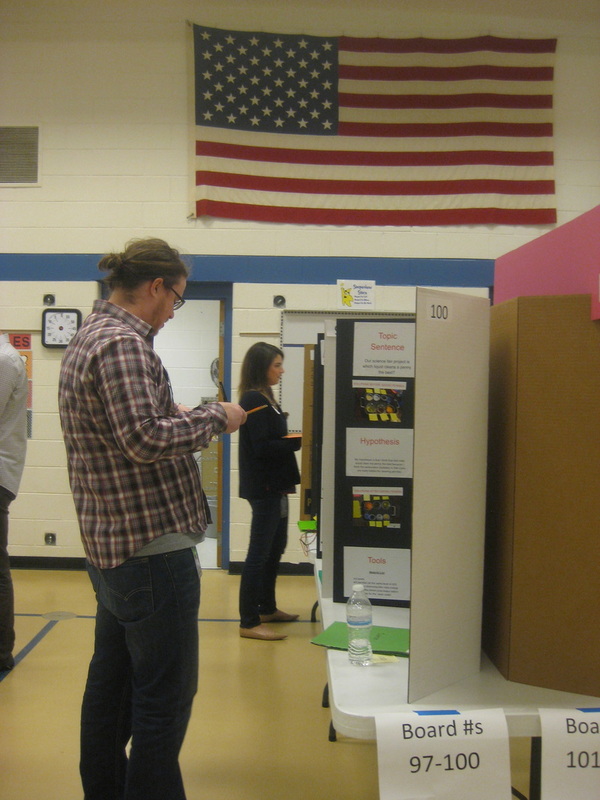 Thanks to the many judges who spent the day talking with the students and reviewing their projects. 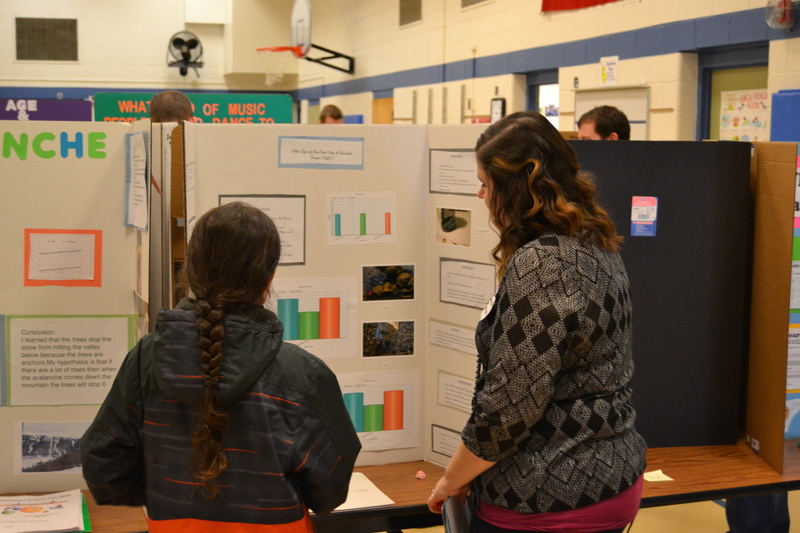 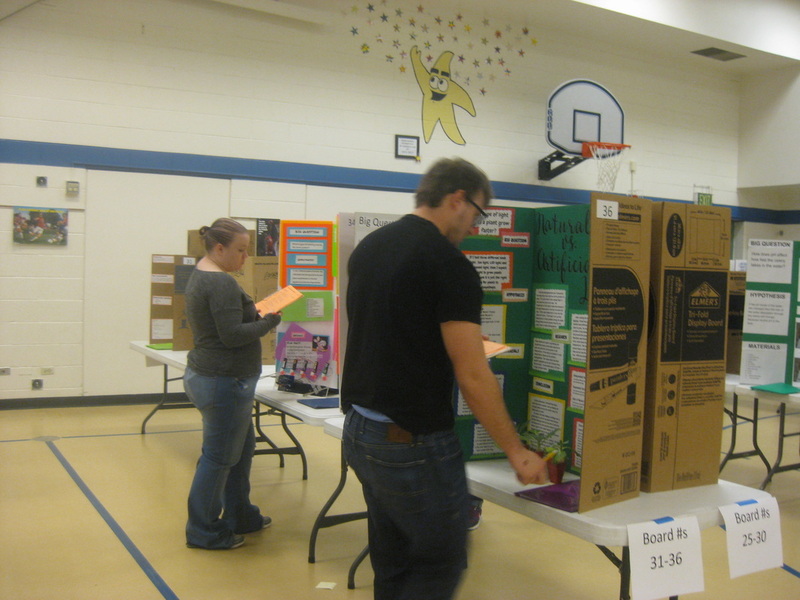 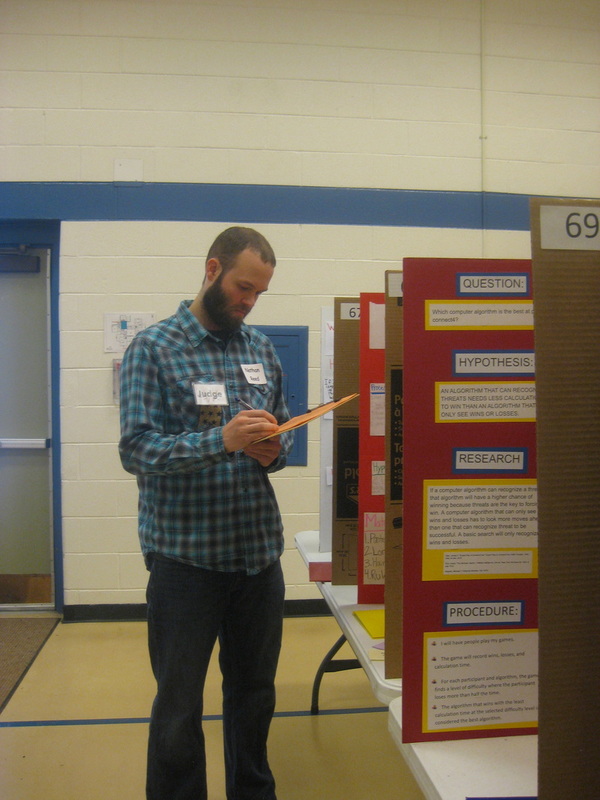 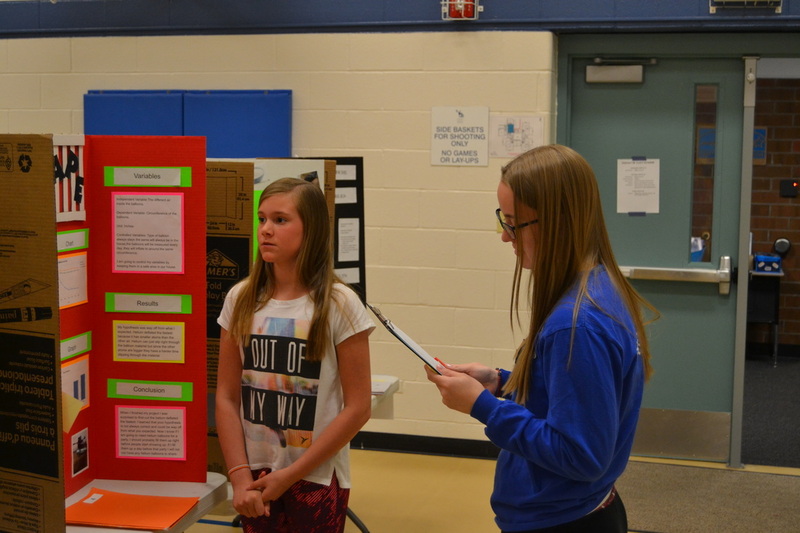 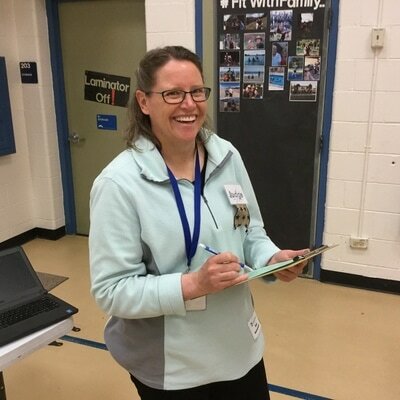 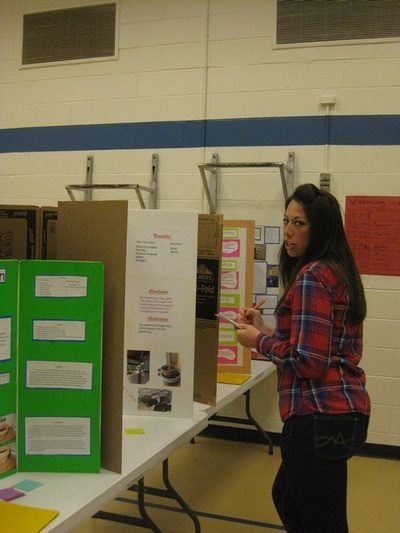 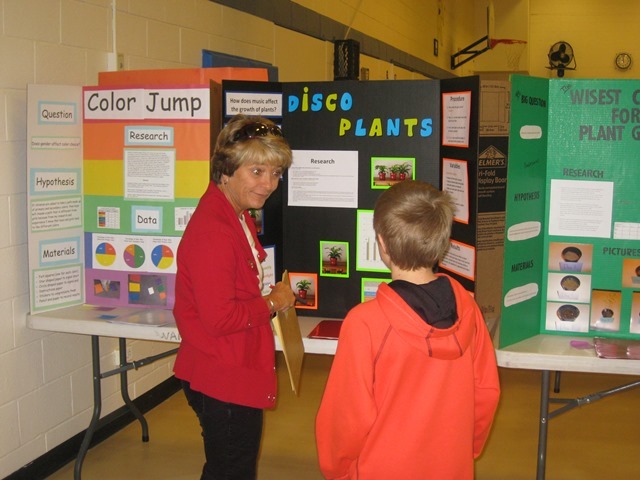 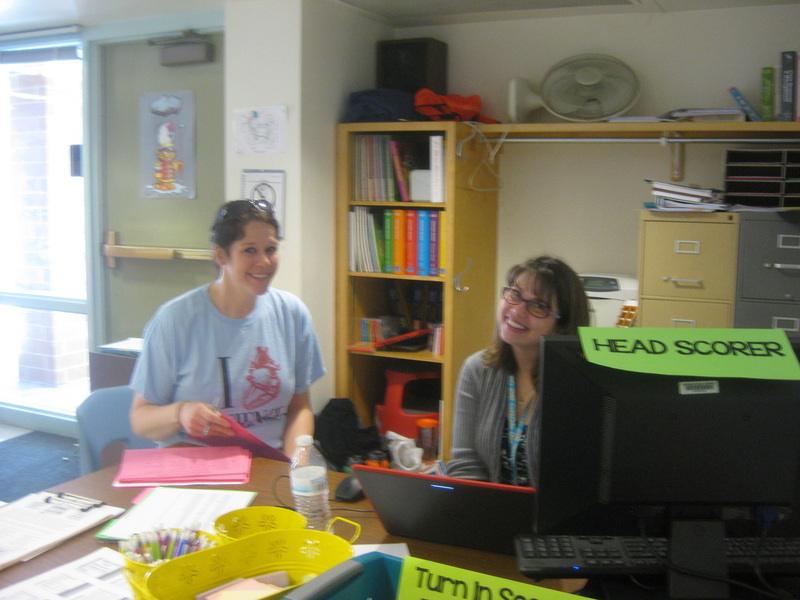 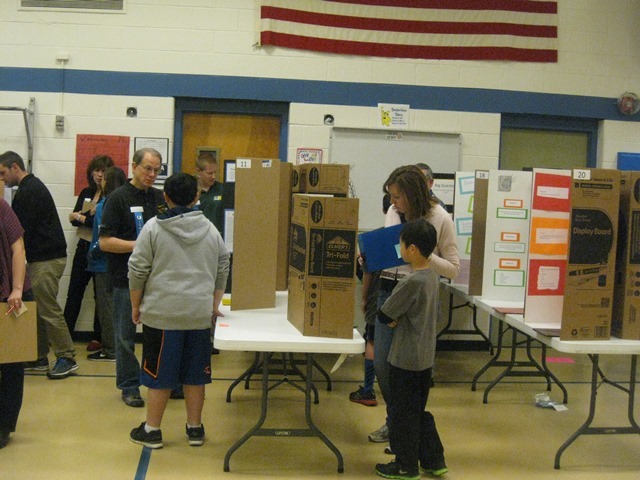 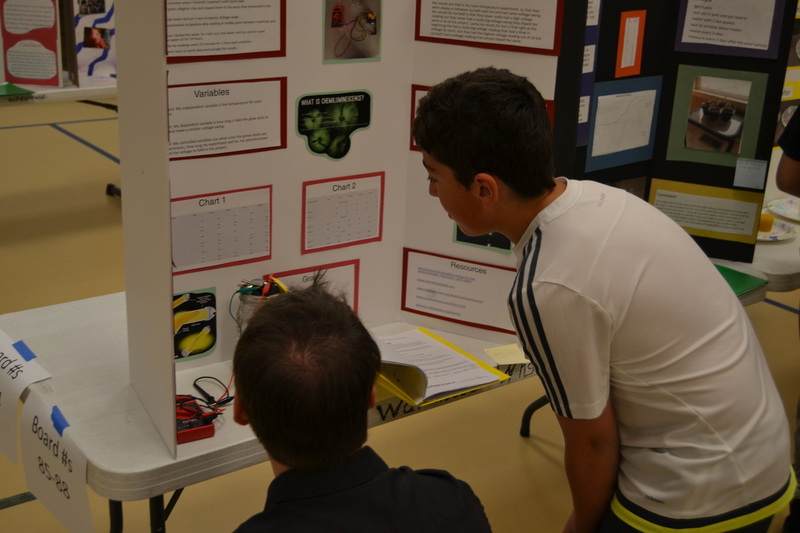 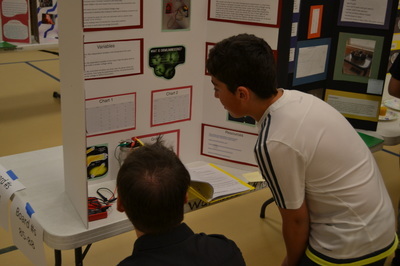 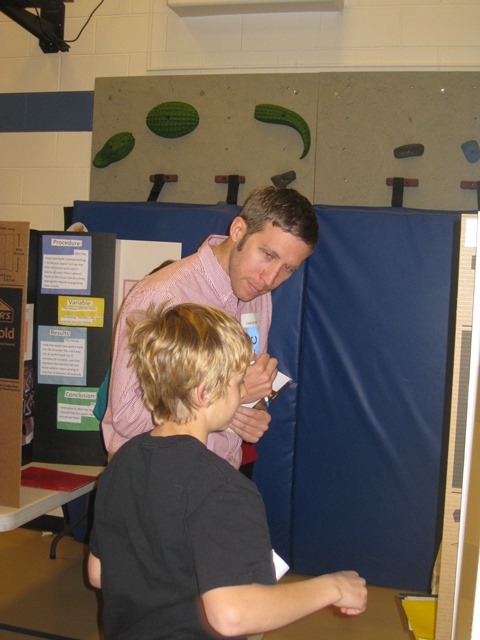 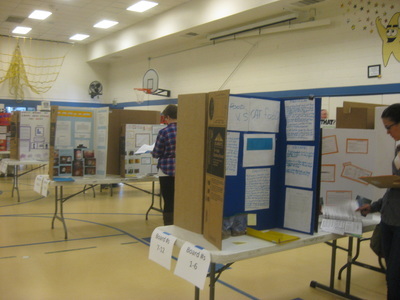 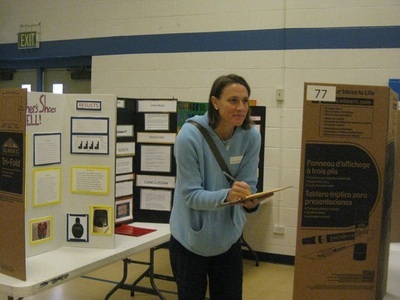 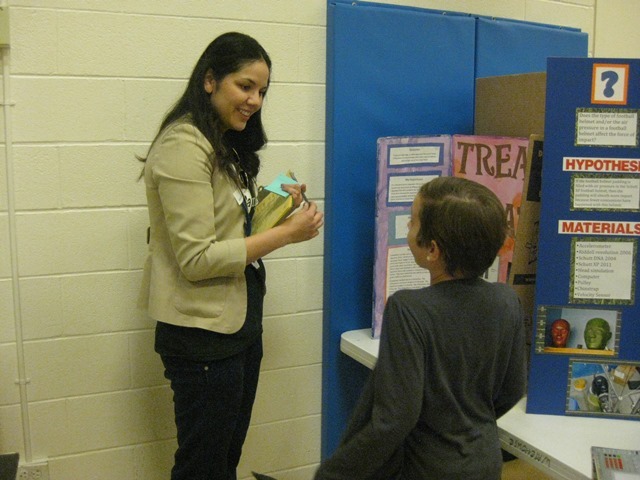 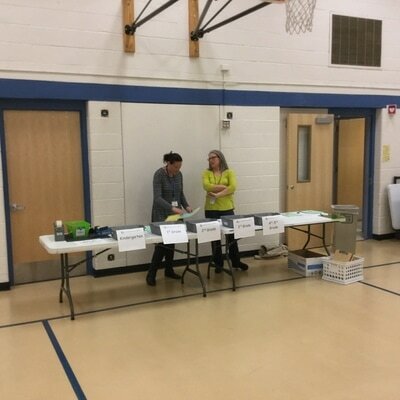 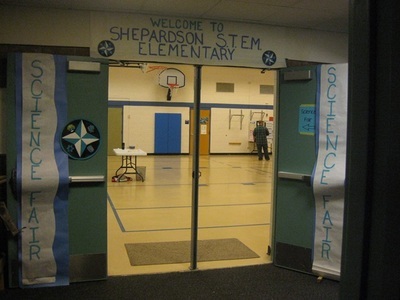 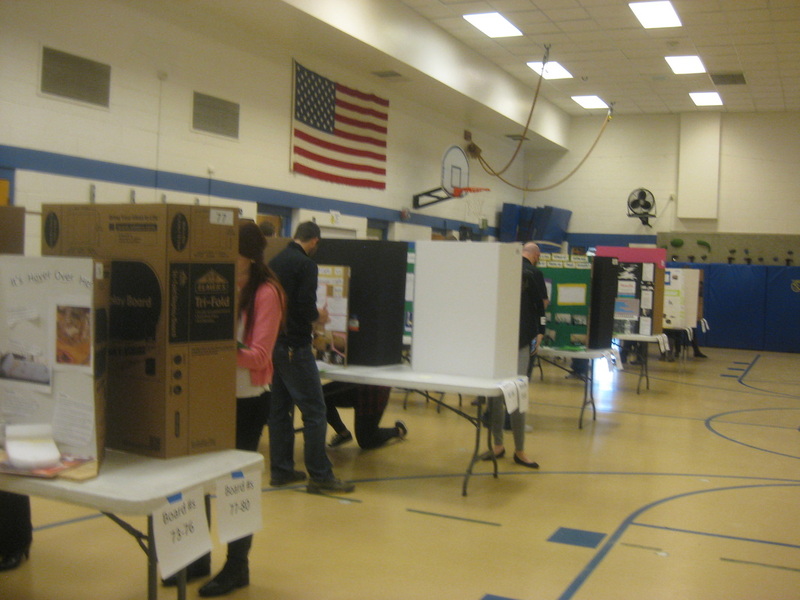 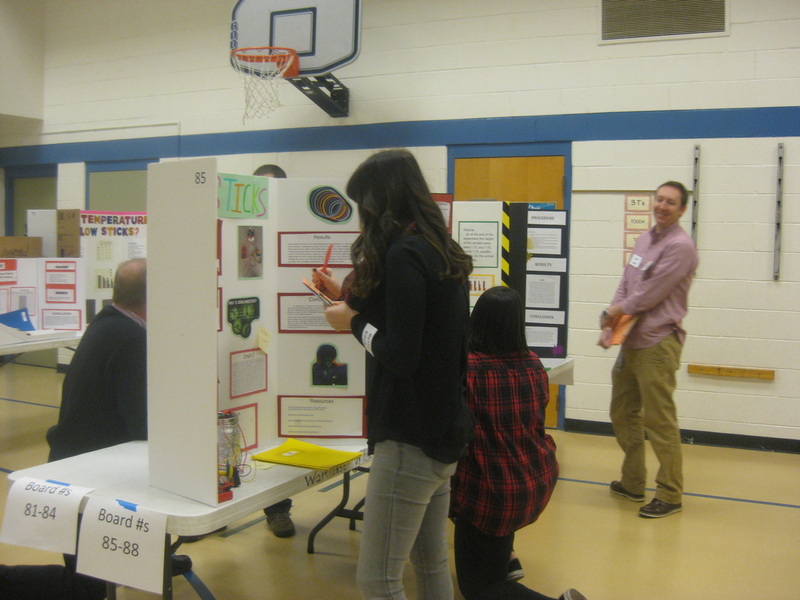 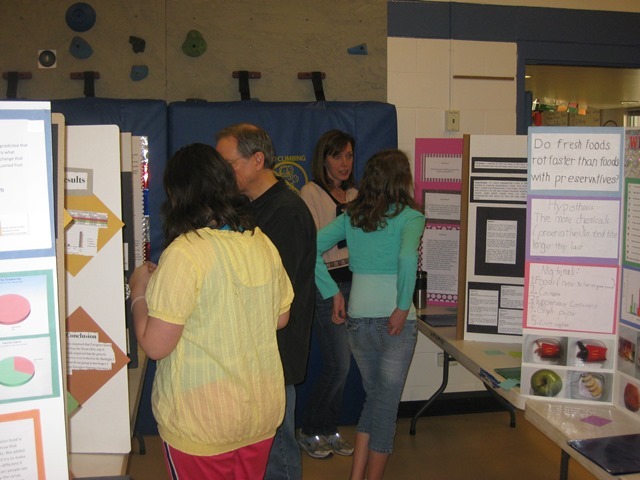 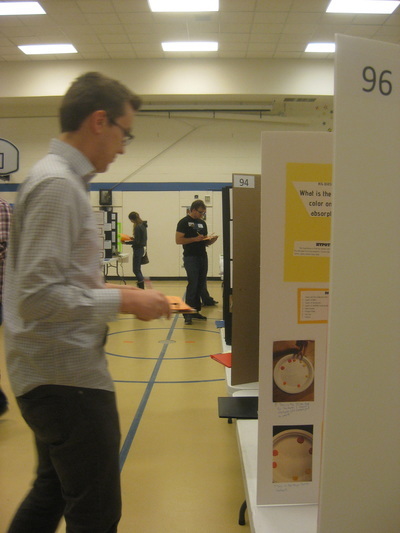 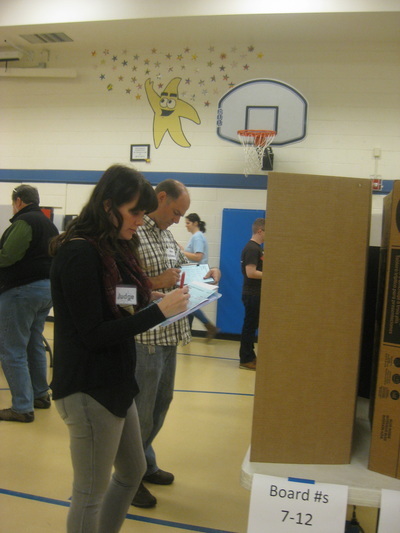 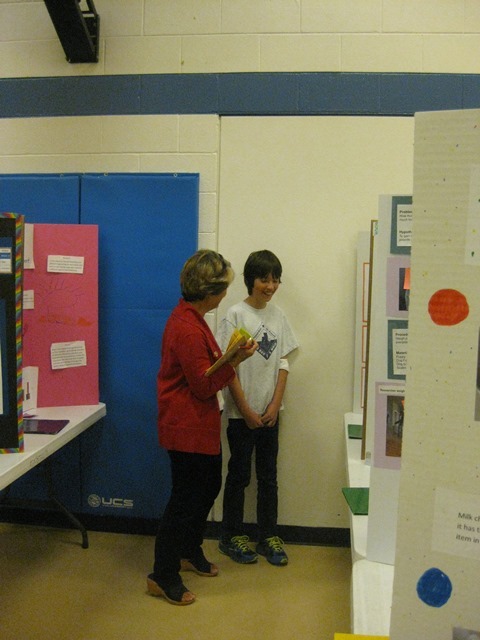 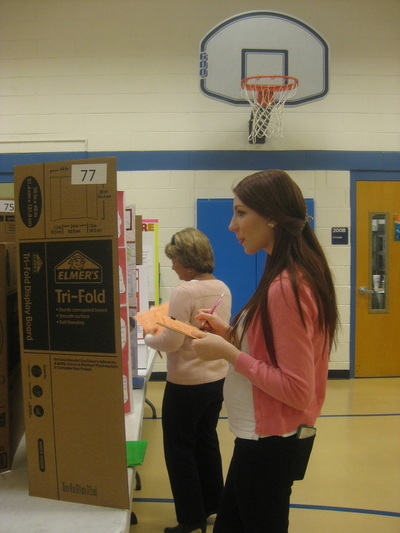 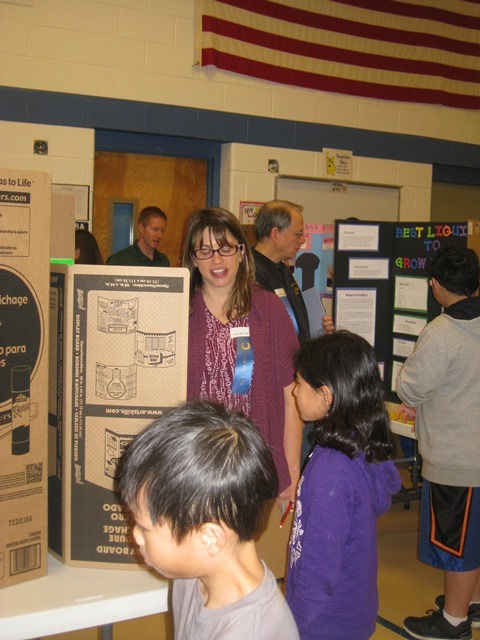 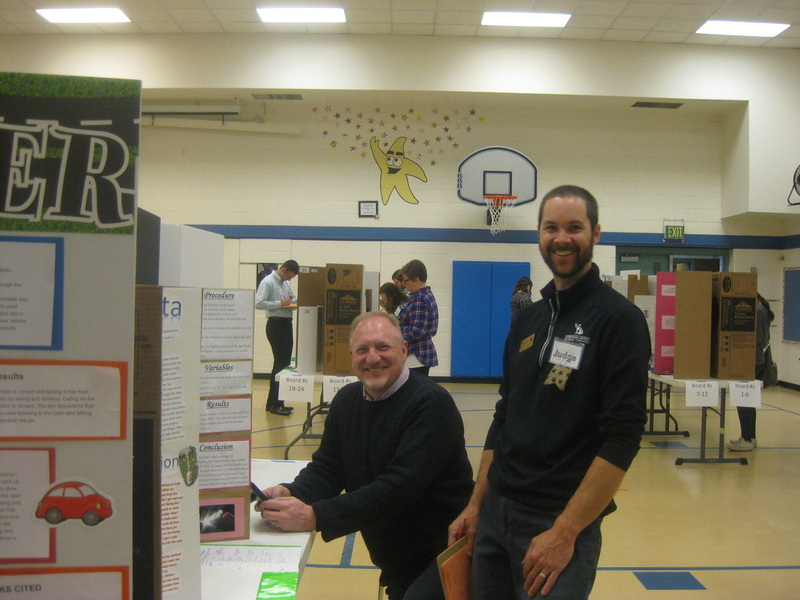 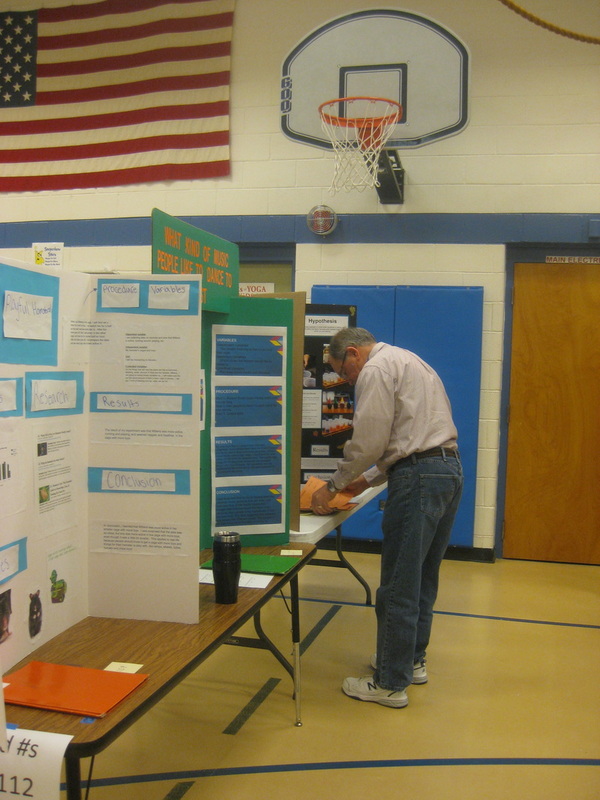 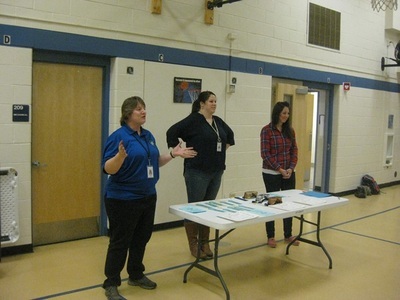 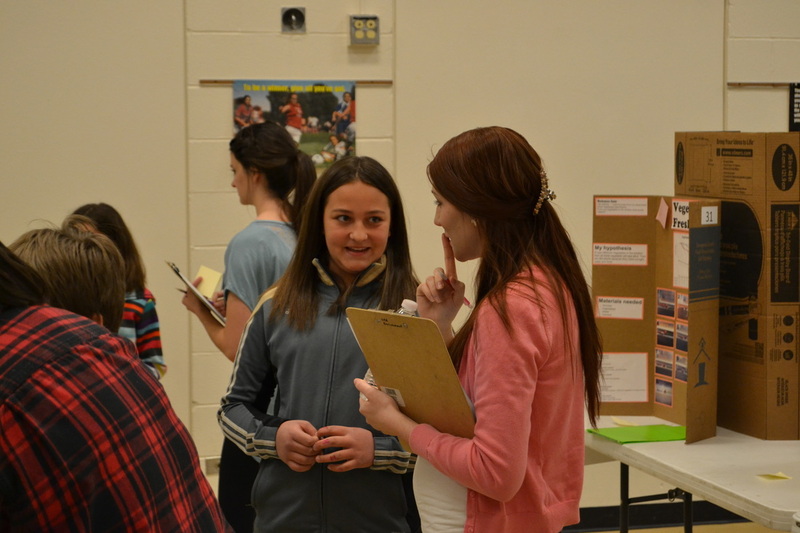 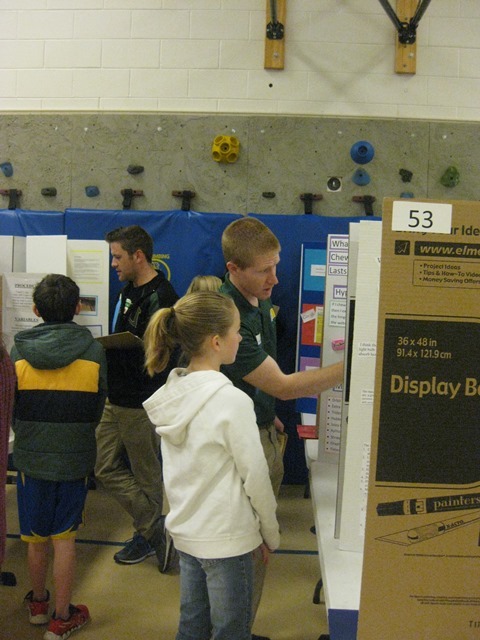 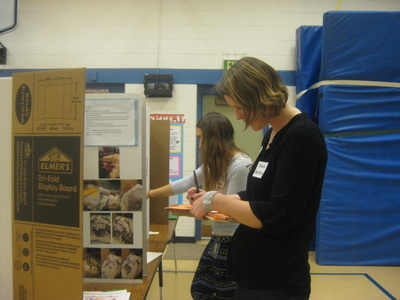 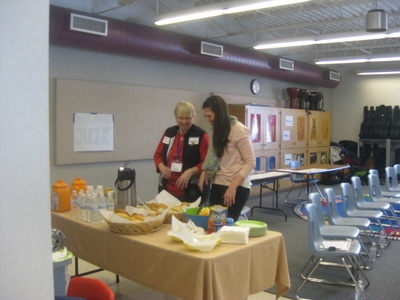 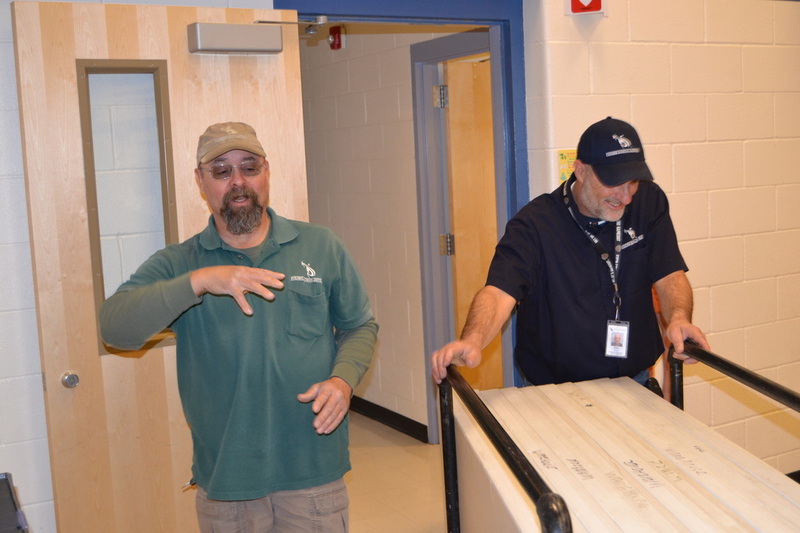 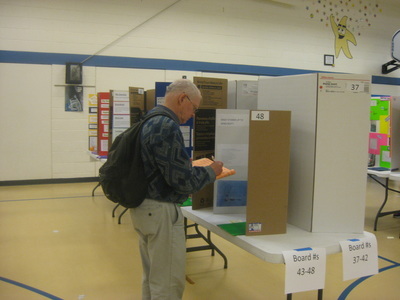 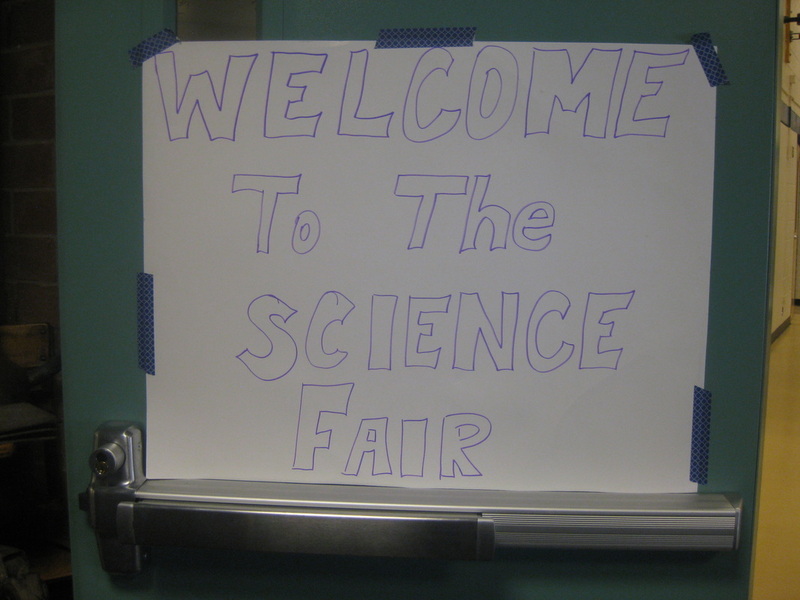 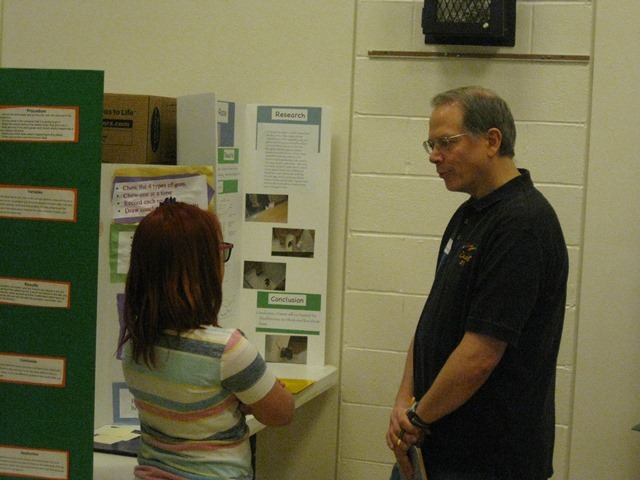 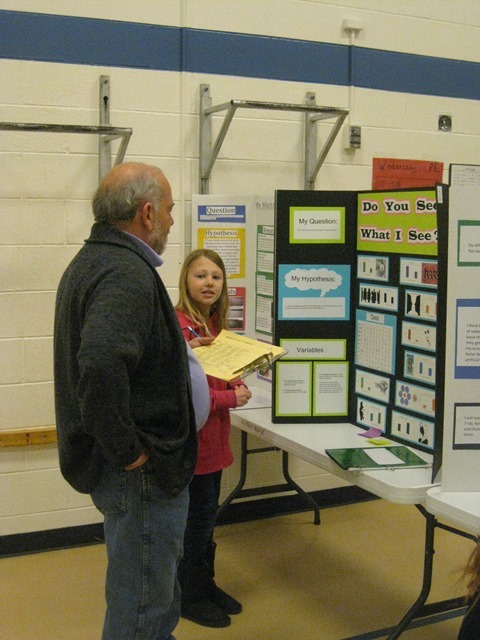 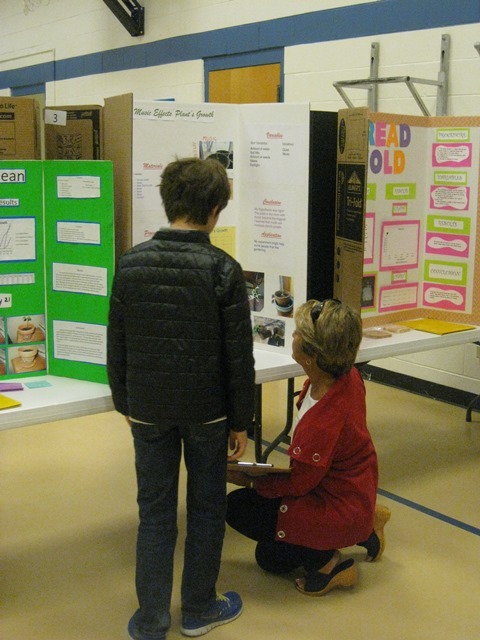 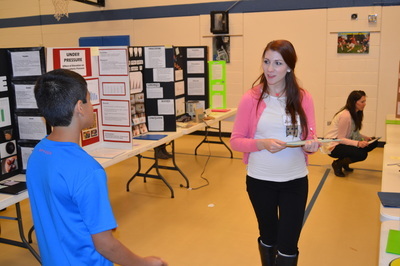 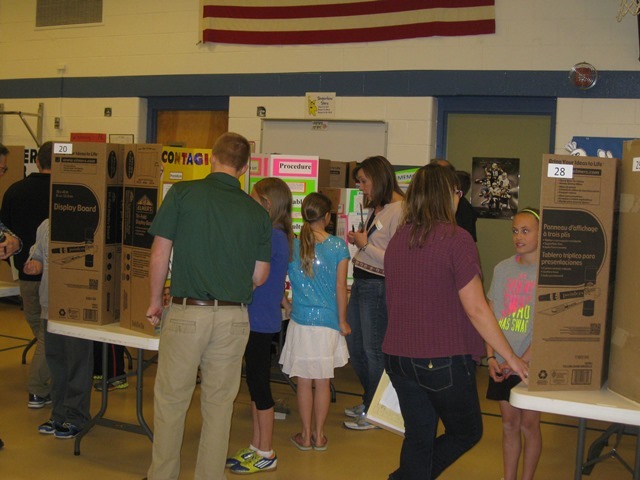 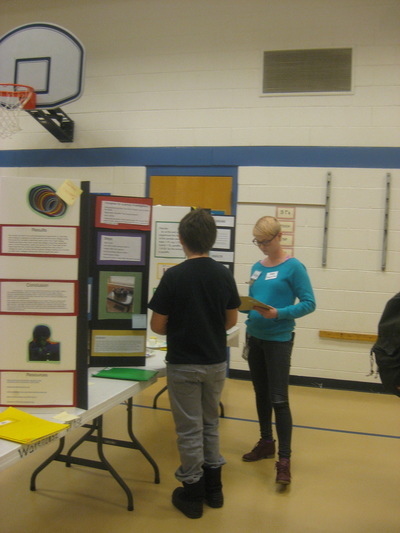 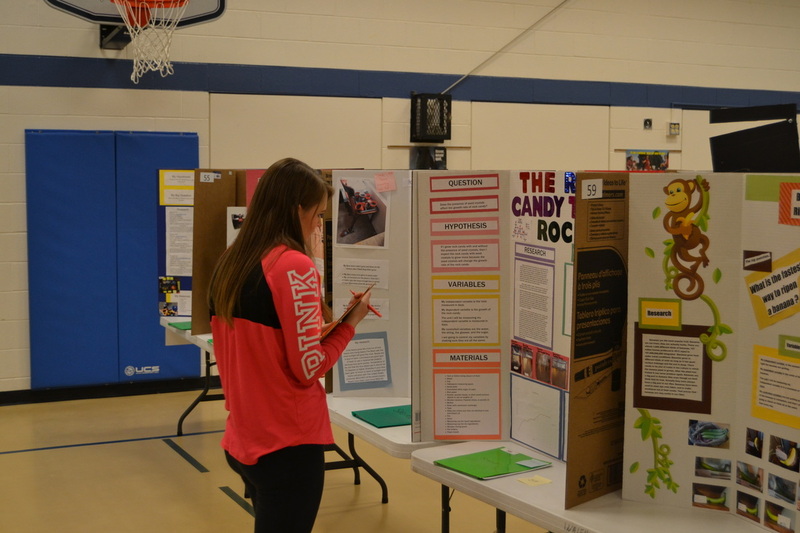 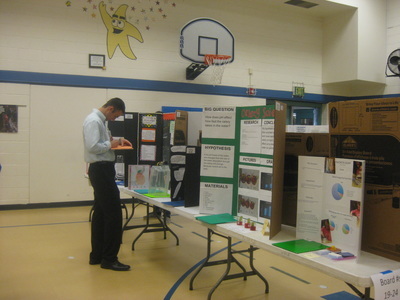 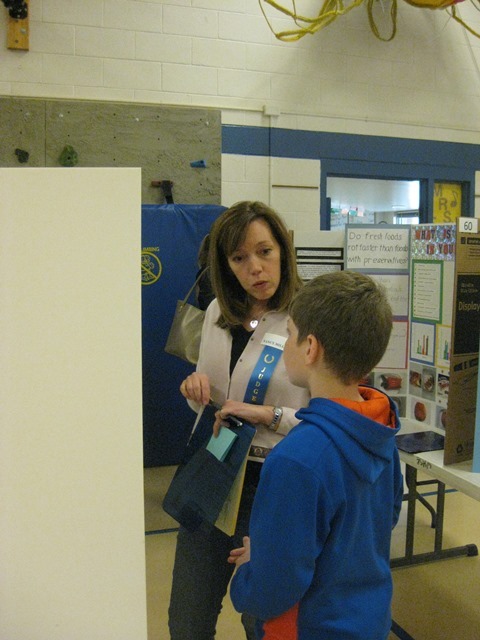 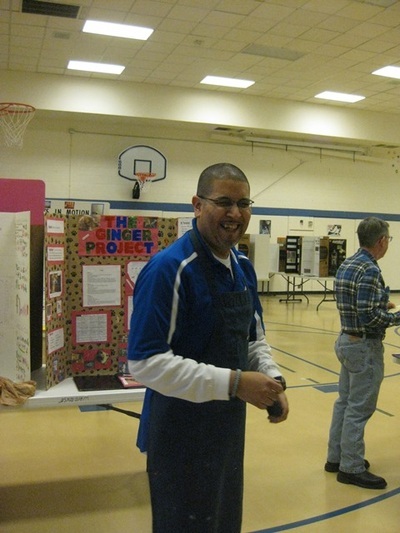 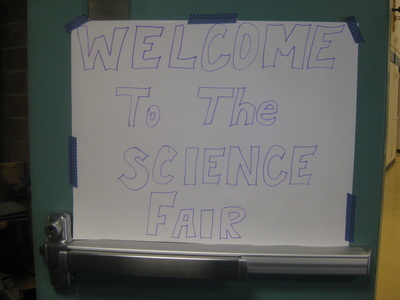 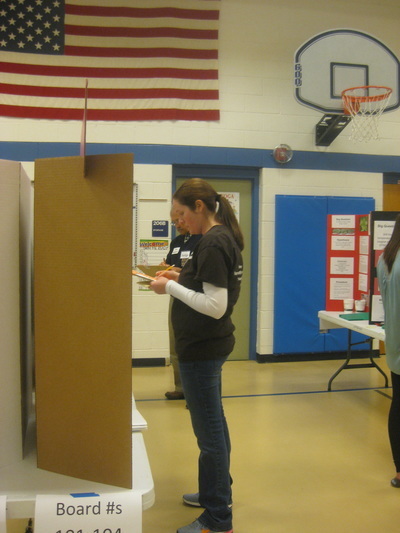 Thanks also to everyone who volunteered to help with the Science Fair and the Shepardson staff for their support. 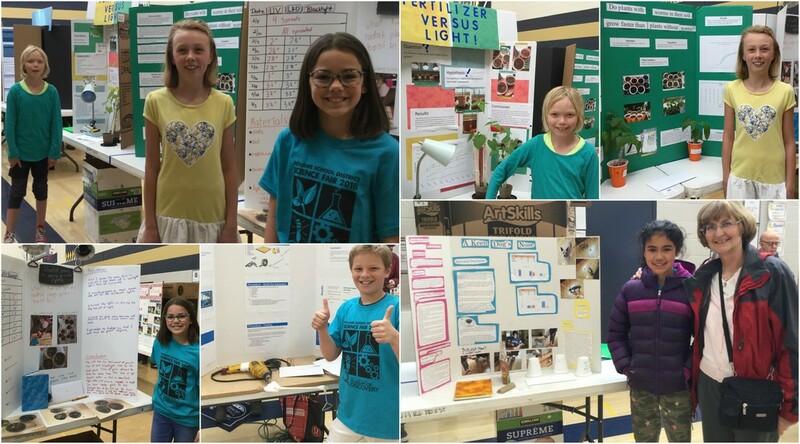 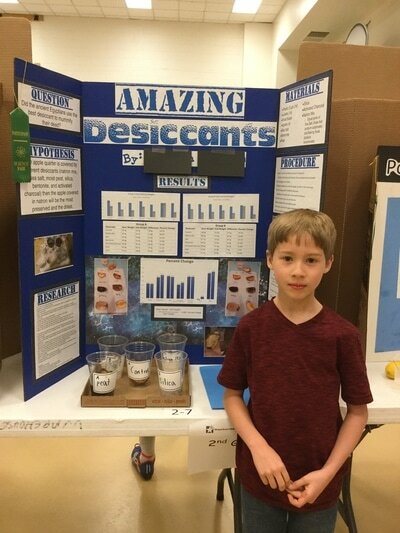 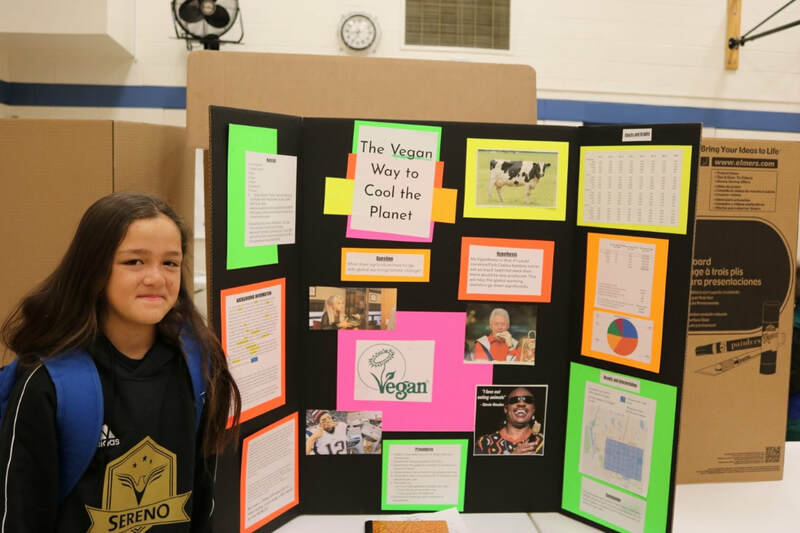 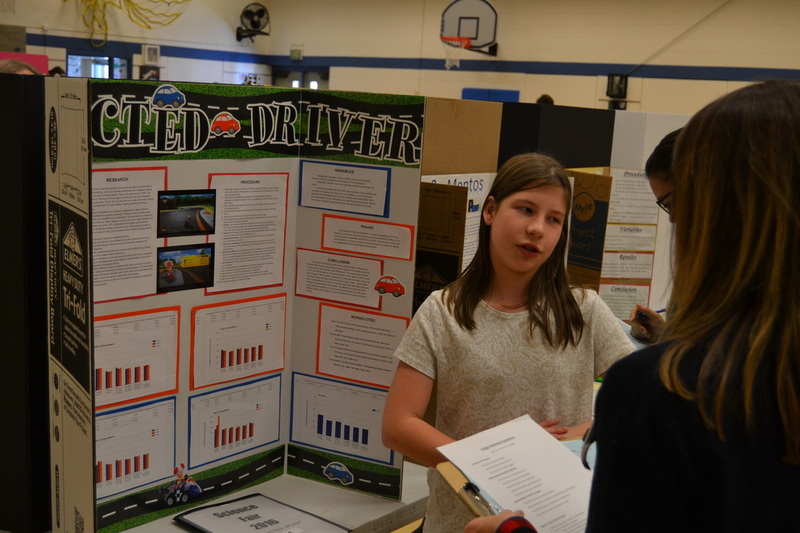 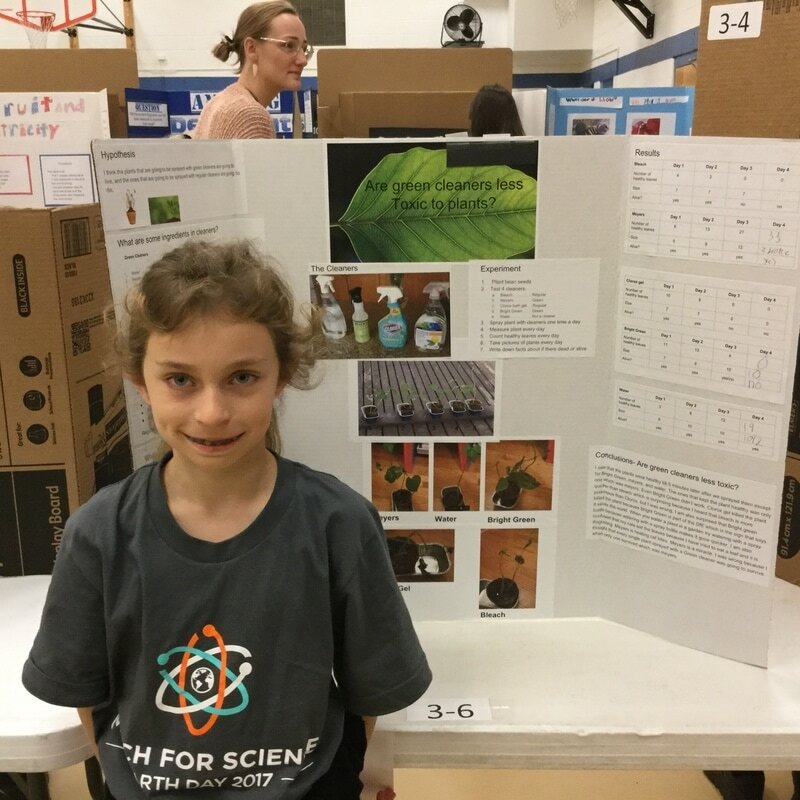 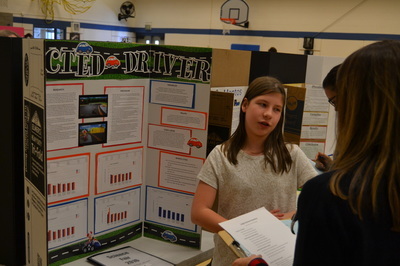 Griffey Caro, Mason Grobaski, Bailey Kettler, Hadley Smith, and Maya Cumbers Wenzel participated in the District Science Fair on Saturday, April 14, at Lesher Middle School. 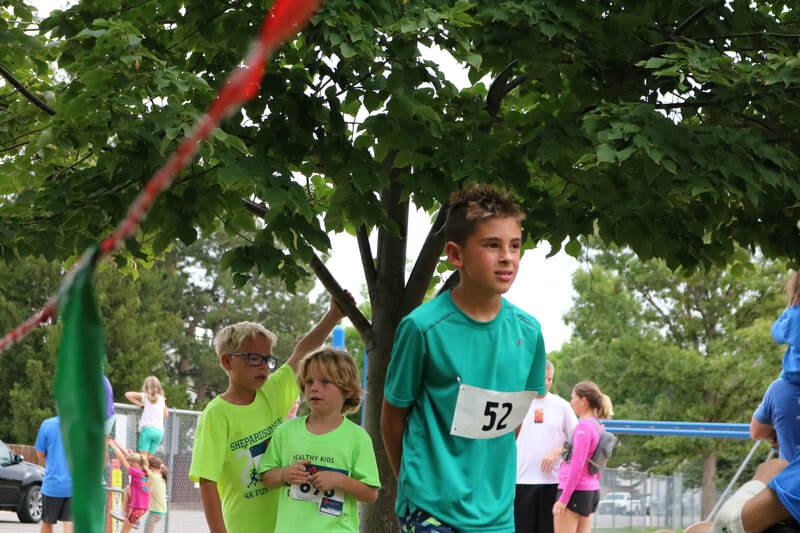 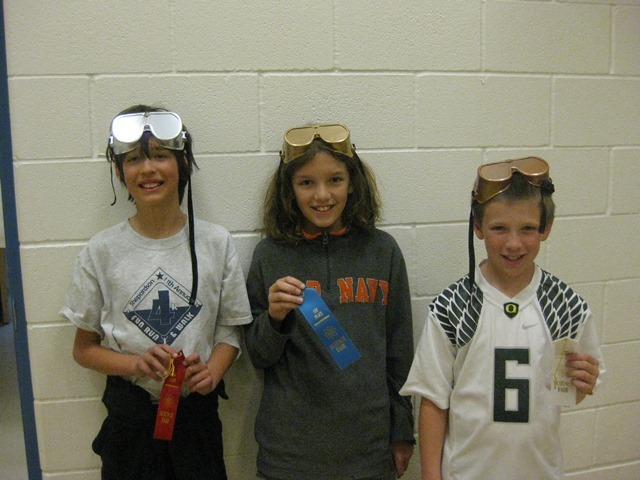 They represented Shepardson very well and we are sure proud of them! Way to shine, Shepardson STEM Stars! 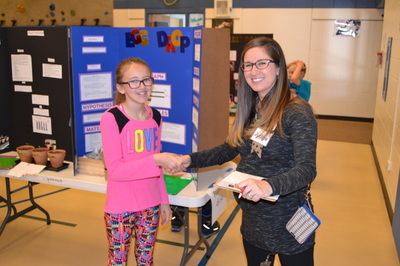 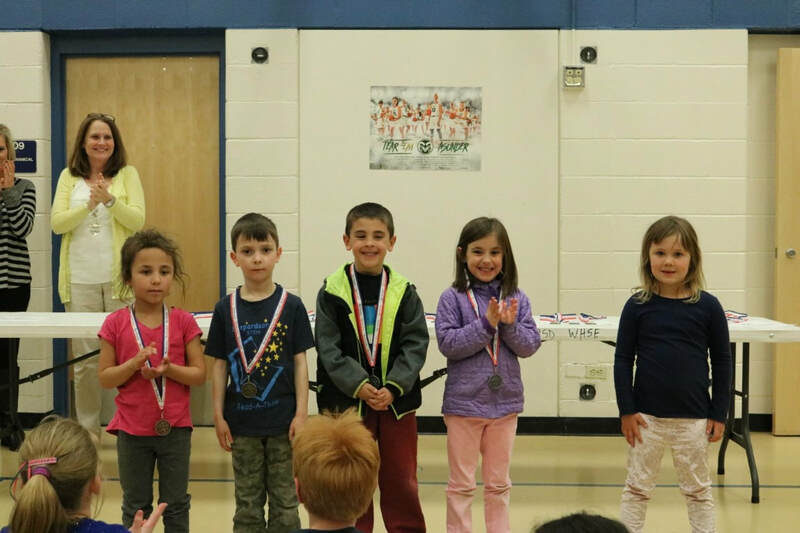 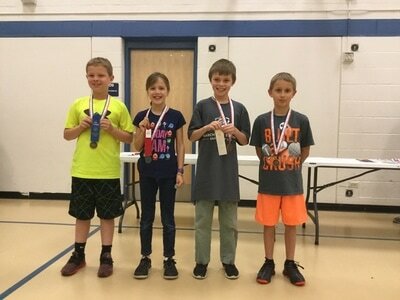 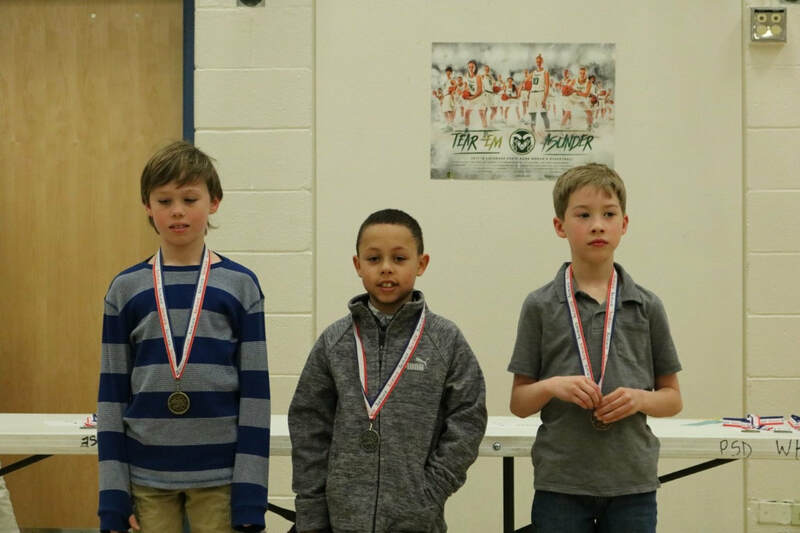 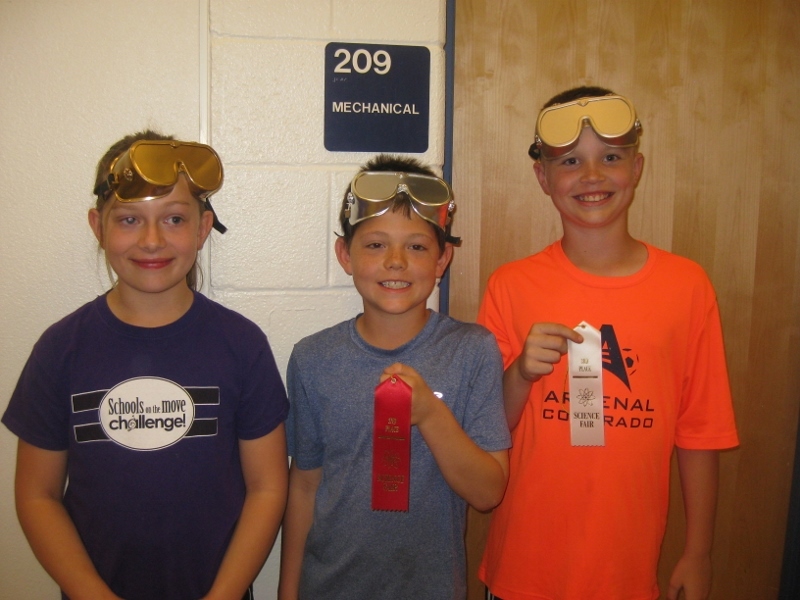 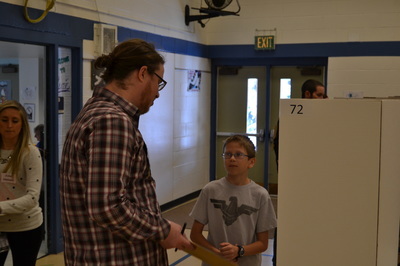 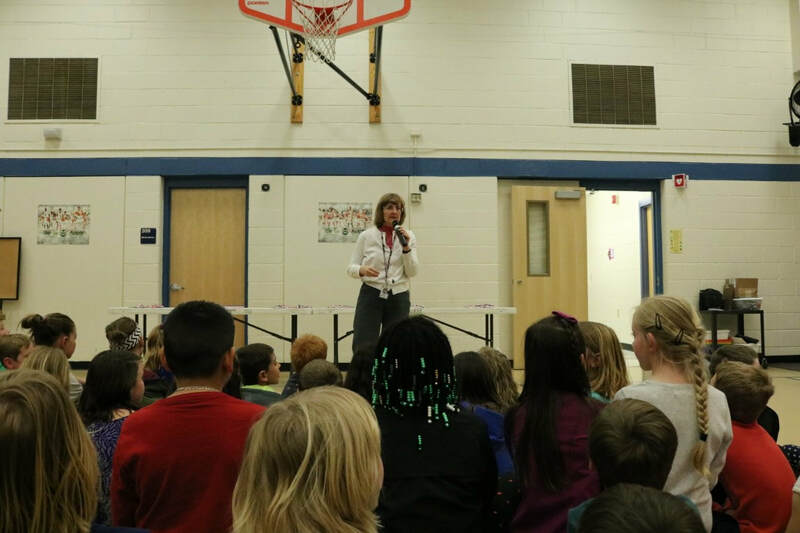 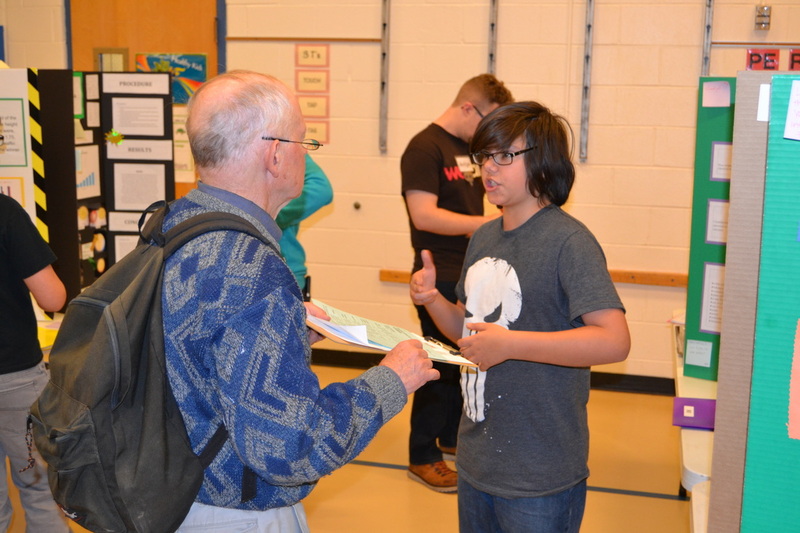 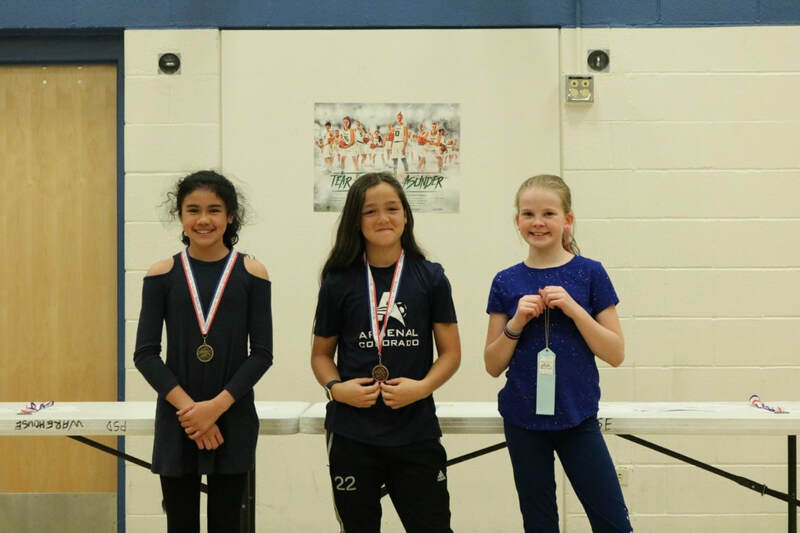 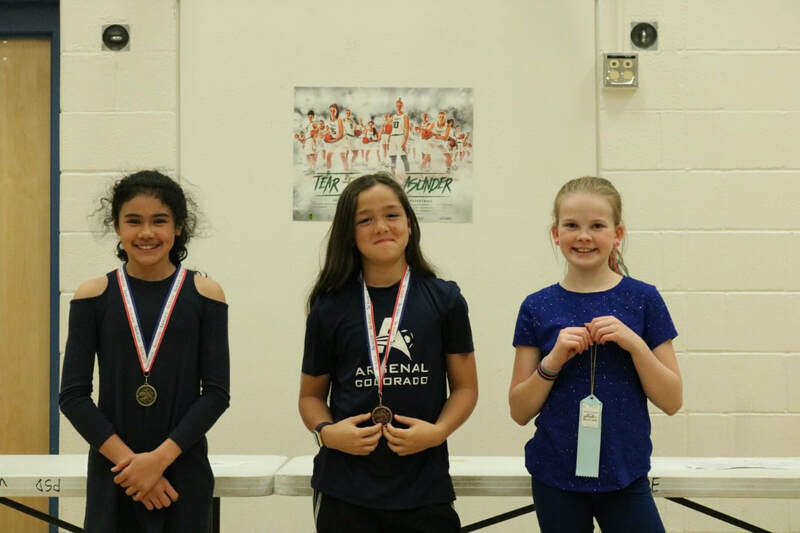 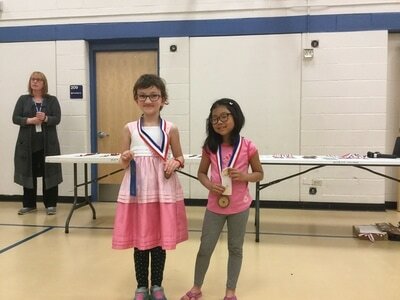 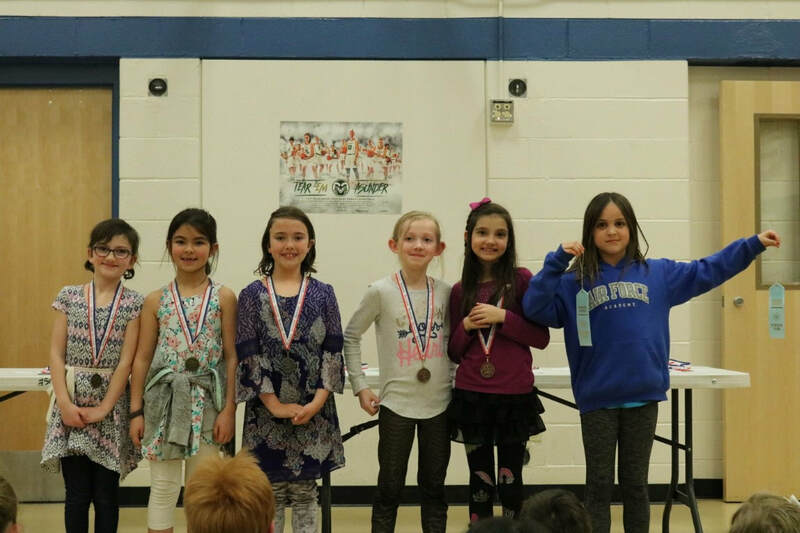 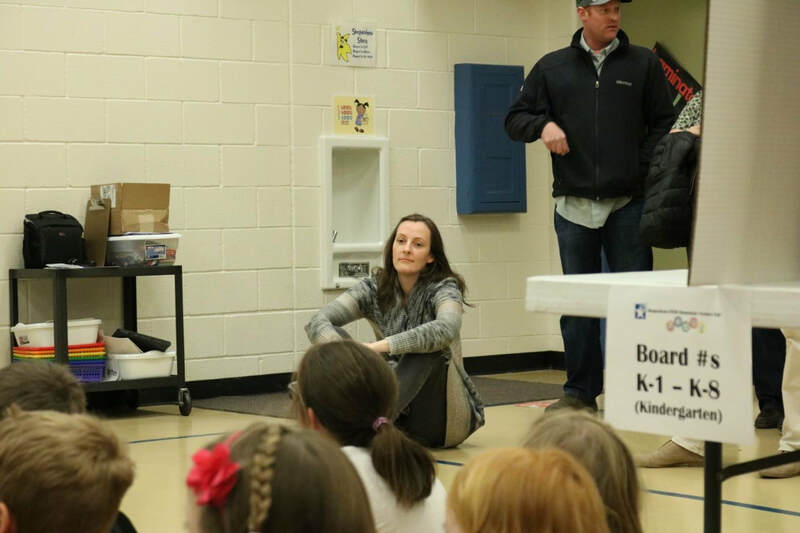 Enjoy some fun pictures from the day and recognition for those who received top scores from the judges in the Shepardson STEM Science Fair. 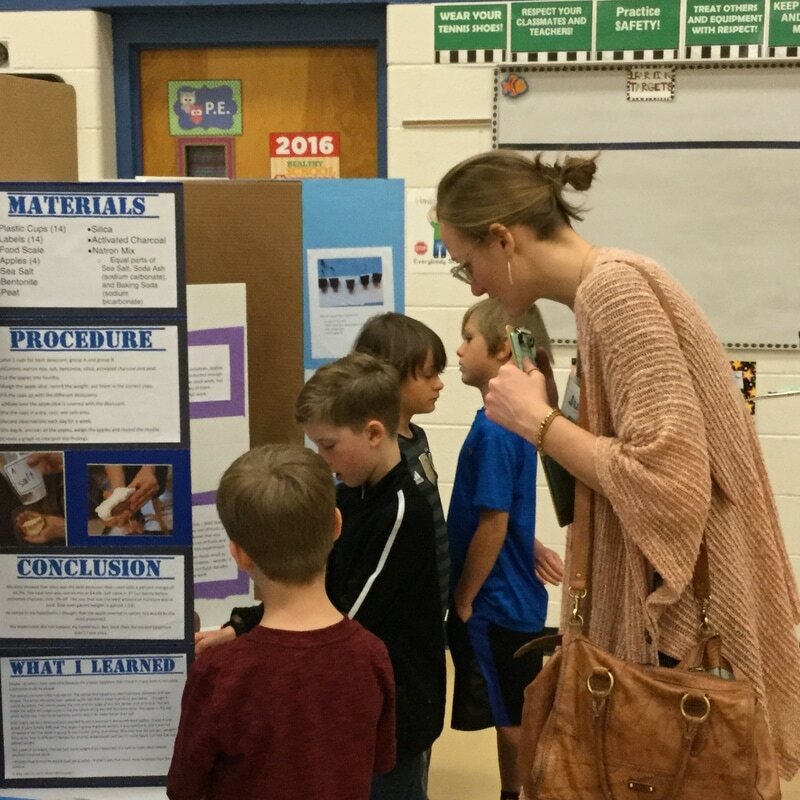 The First Annual Shepardson STEM Whole School Science Fair was held on Monday, March 27, 2017. 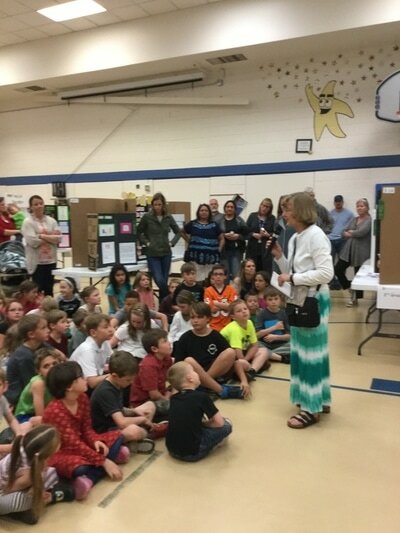 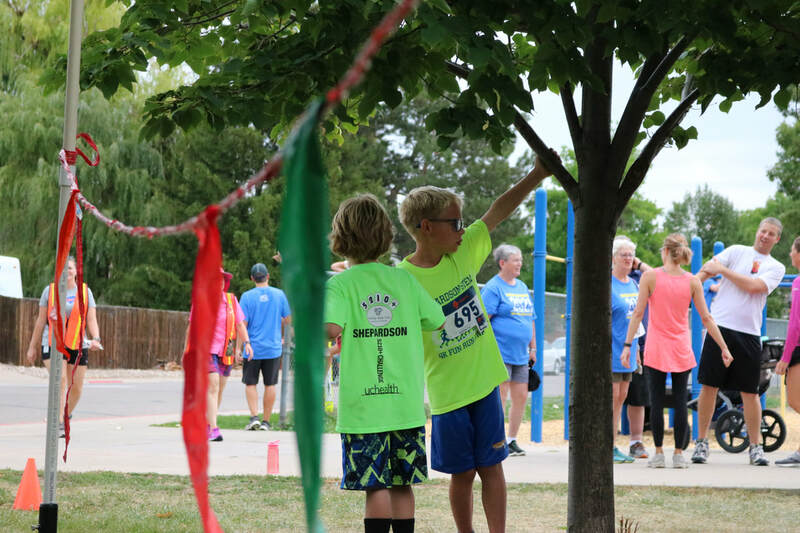 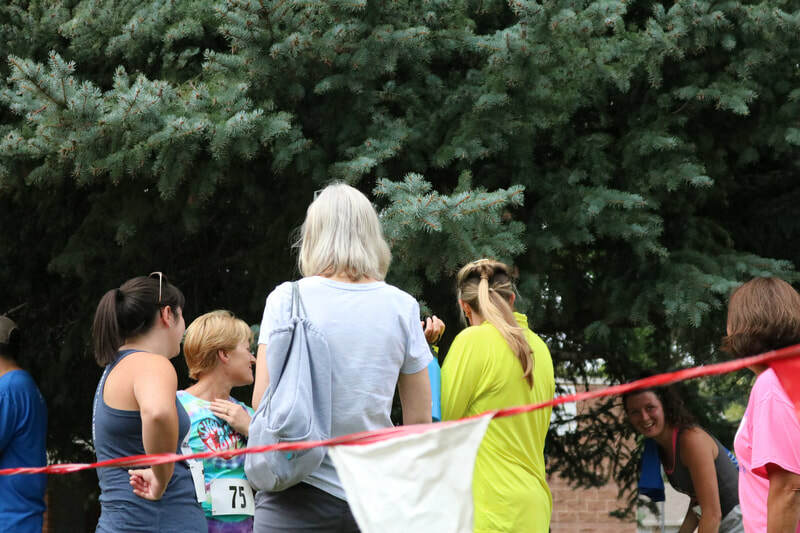 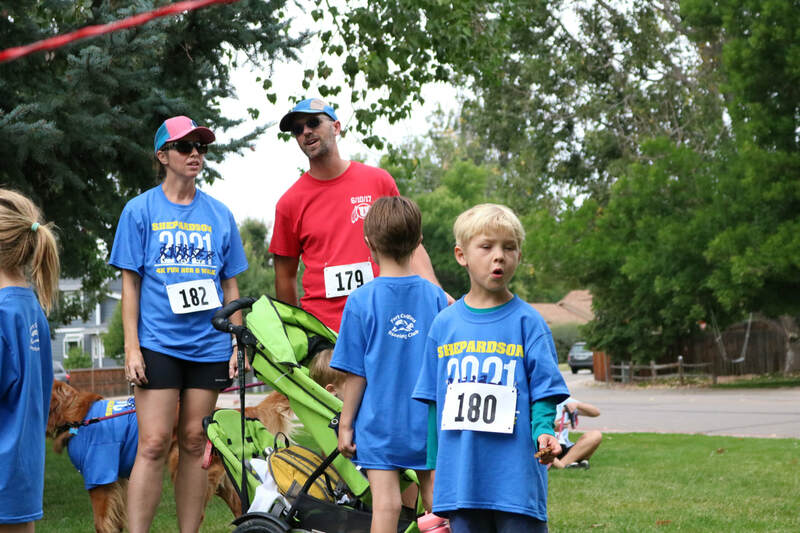 We are pleased to report that it was a huge success! 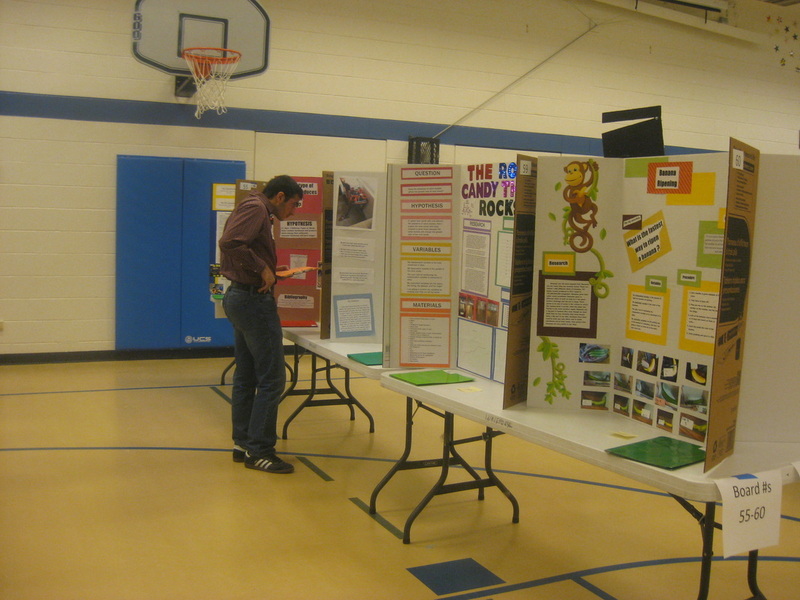 It was fun to see all the great projects and it was great to have representation from all grade levels. Congratulations to all the students who participated and thanks to their parents for supporting them throughout the whole science fair process. 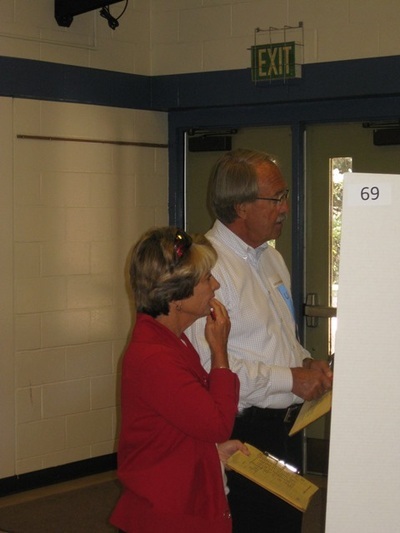 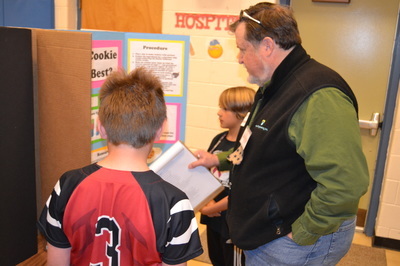 We are also appreciative of the many judges who spent the day talking with the students and reviewing their projects. 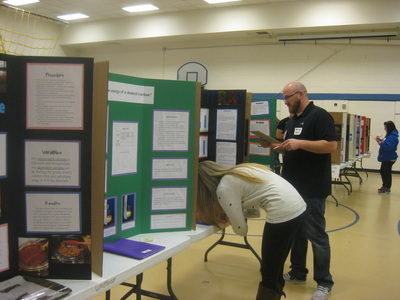 Thanks also to everyone who volunteered to help with the Science Fair and the Shepardson staff for their support. 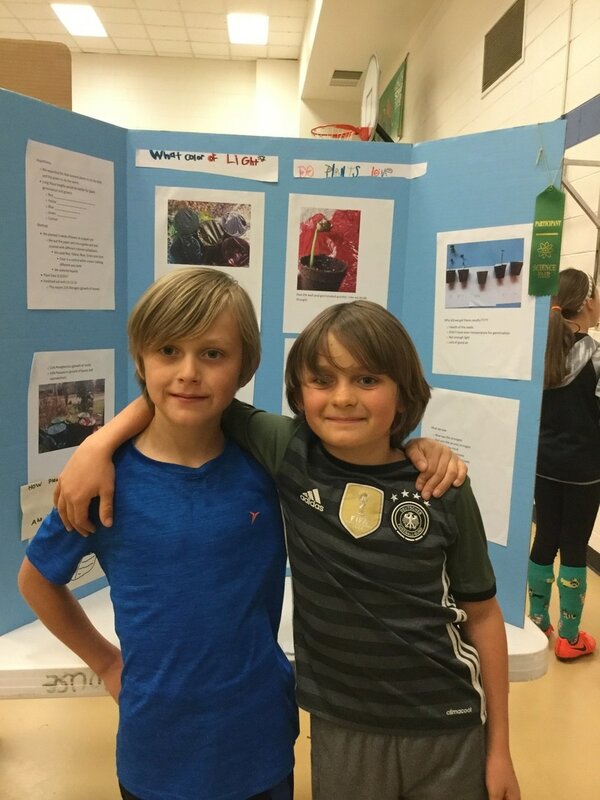 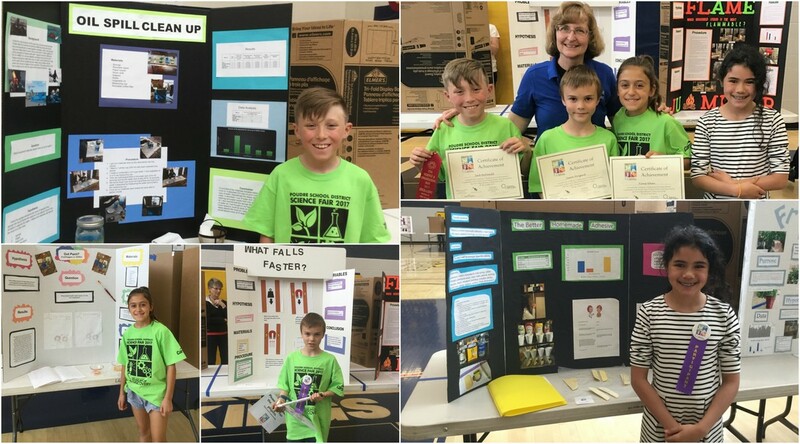 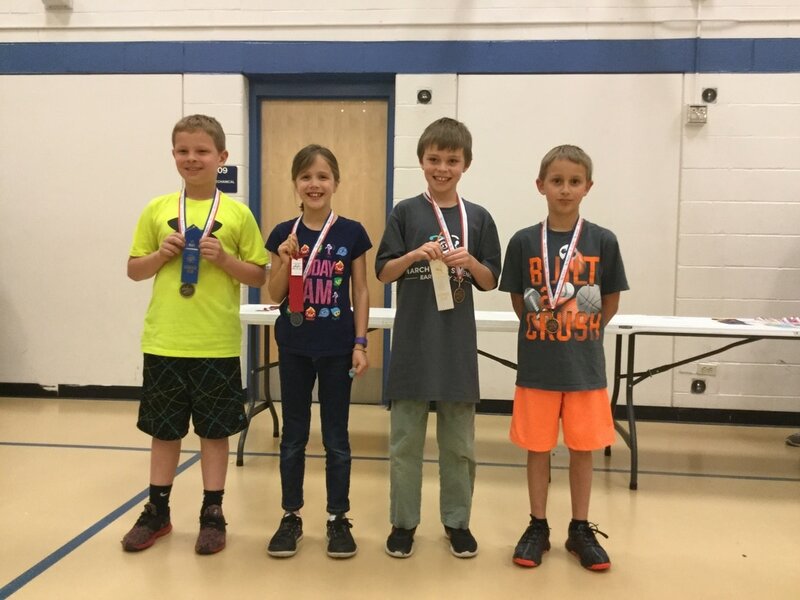 ​Fourth Graders Giffey, Fiona, Jack, and Jaxon participated in the District Science Fair on Saturday, April 8, 2017. 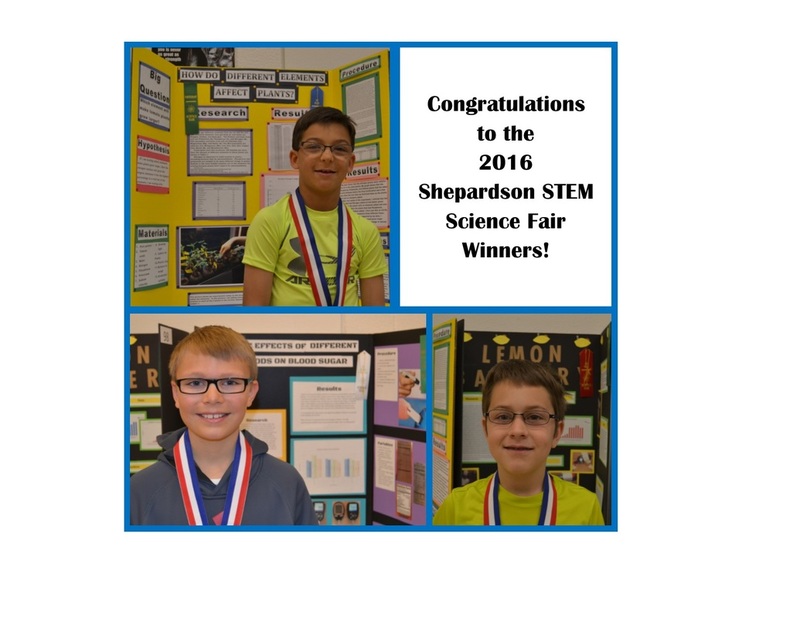 They represented Shepardson very well and we are sure proud of them! 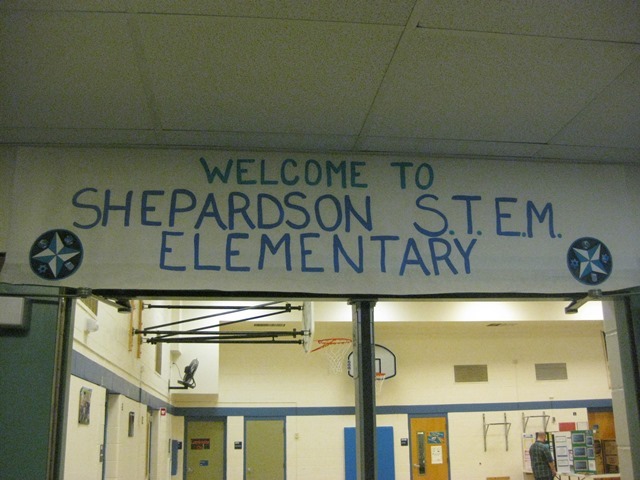 Way to shine, Shepardson STEM Stars! 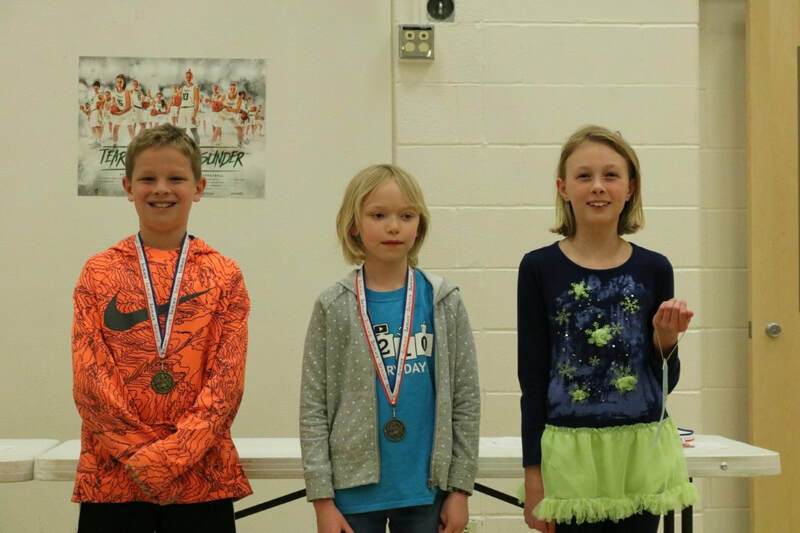 Enjoy some fun pictures from the day and recognition for those who received top scores from the judges in the Shepardson STEM Science Fair! 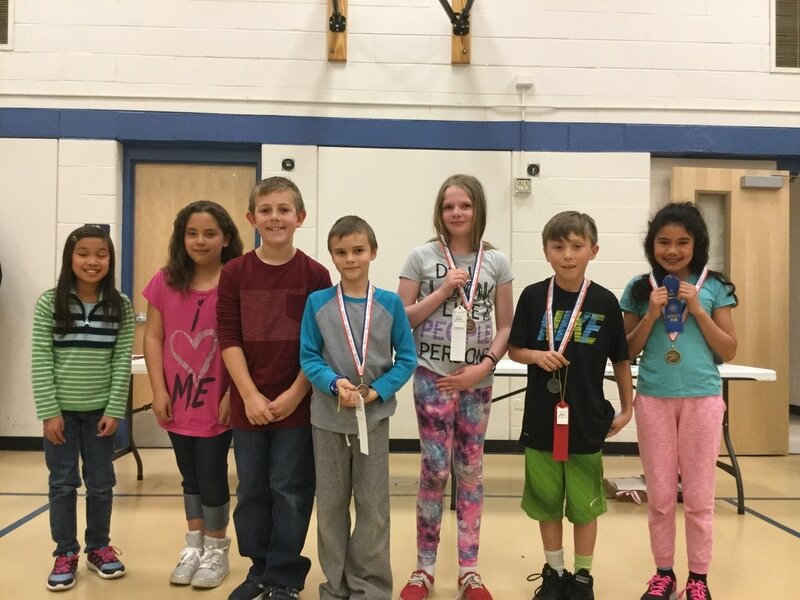 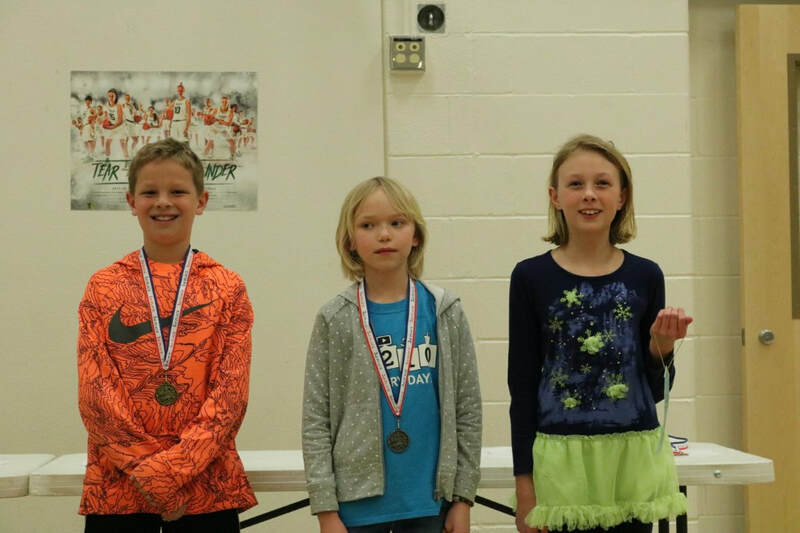 Congratulations to the 2016 Shepardson STEM Science Fair Winners! 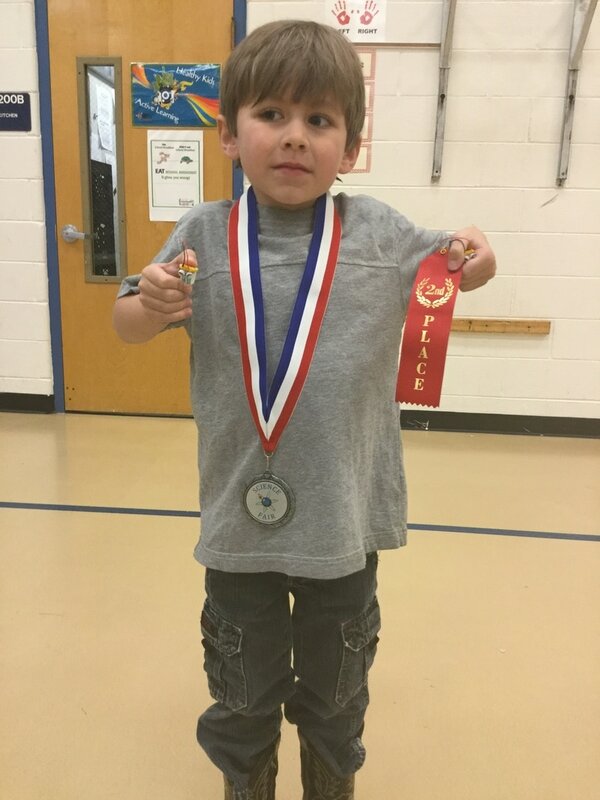 Special recognition to Alex A. 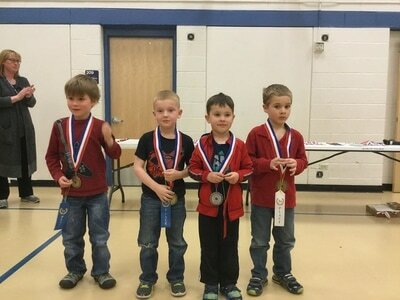 - 1st Place; Seth S. - 2nd Place; and Jackson F. - 3rd Place. 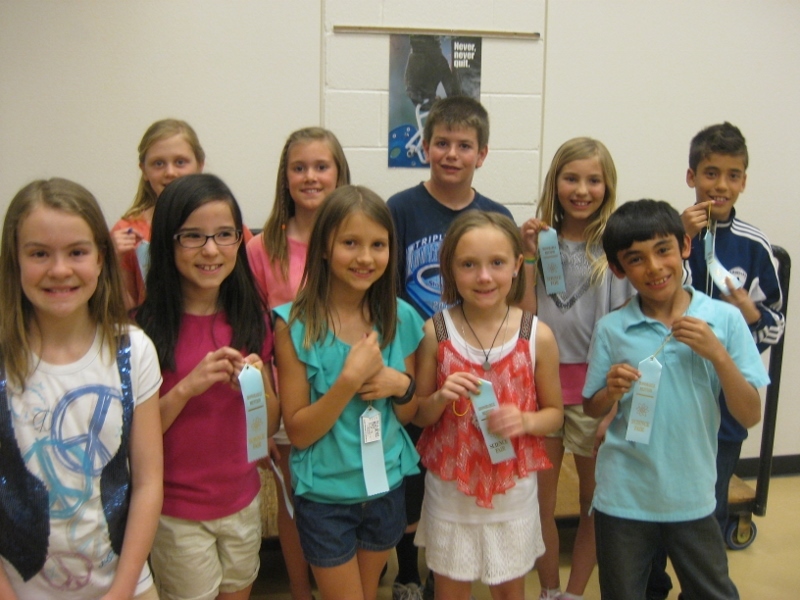 Congratulations also to Honorable Mention students Zac, Rebecca, Izzy, Alex, Xander, Fulin, Luke, Kit, Lauren, and Colin. 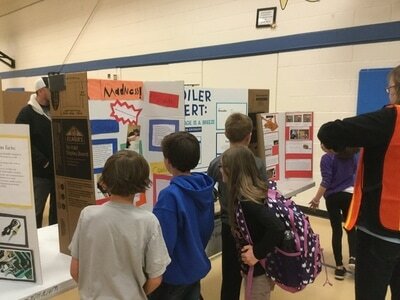 Outstanding work 4th and 5th graders! We also extend a HUGE thank you to an amazing group of volunteer judges who helped make this year's science fair a huge success! 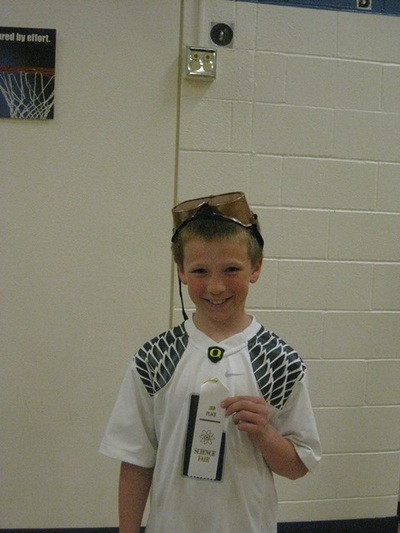 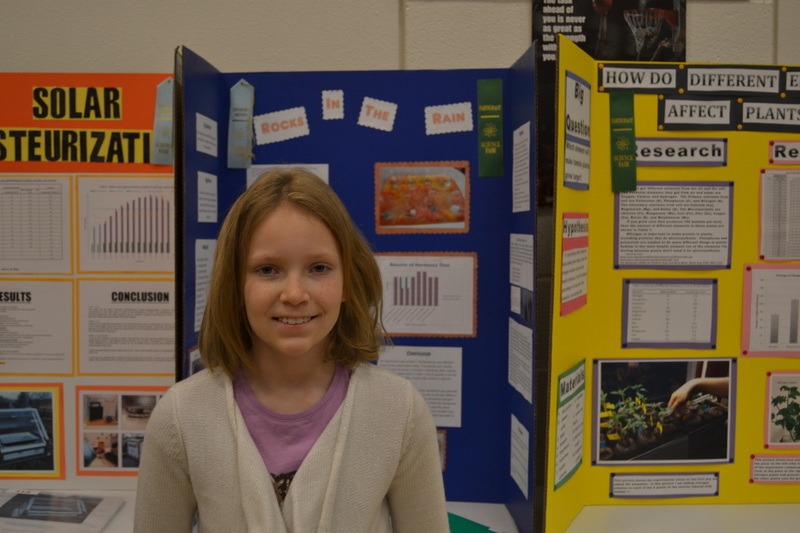 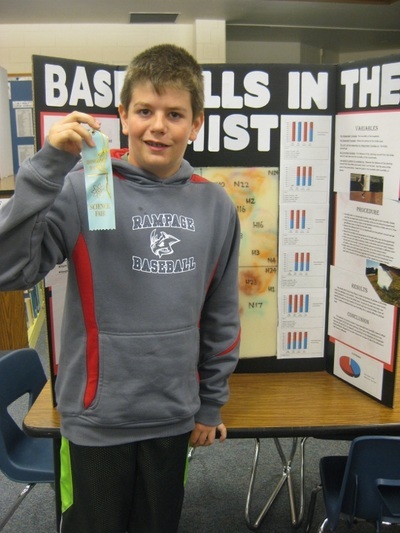 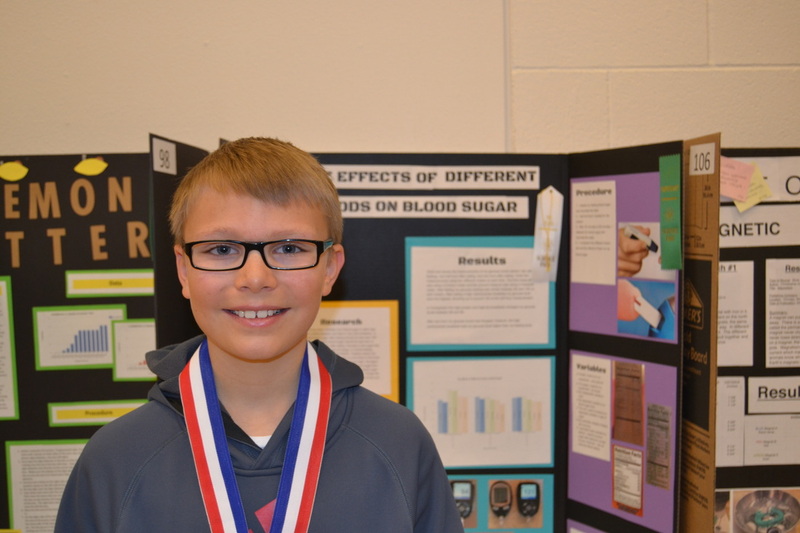 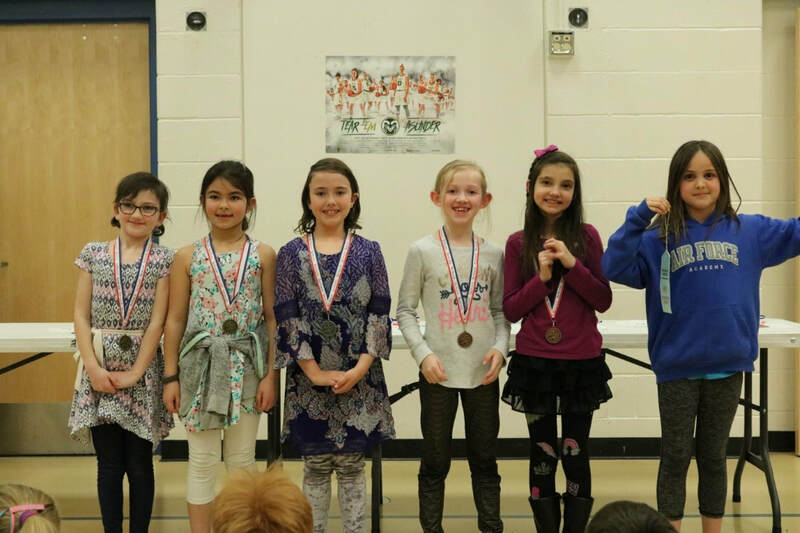 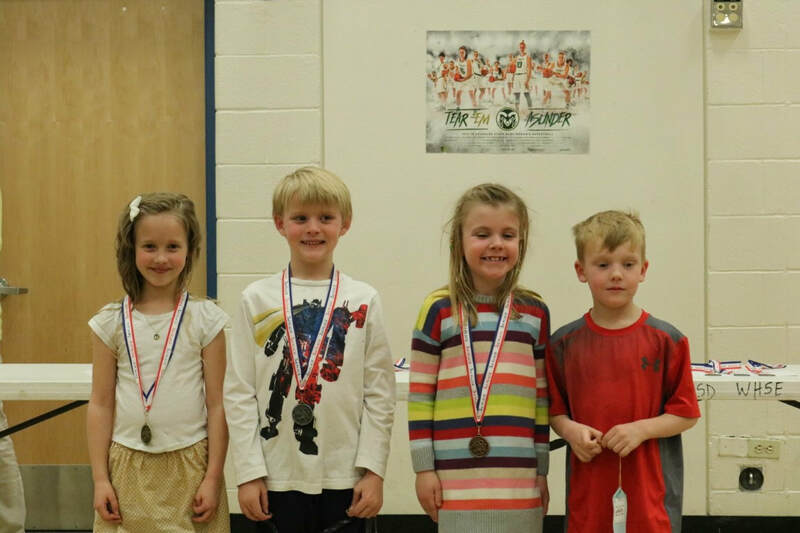 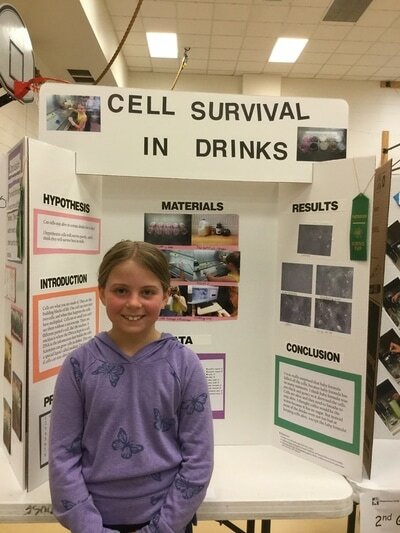 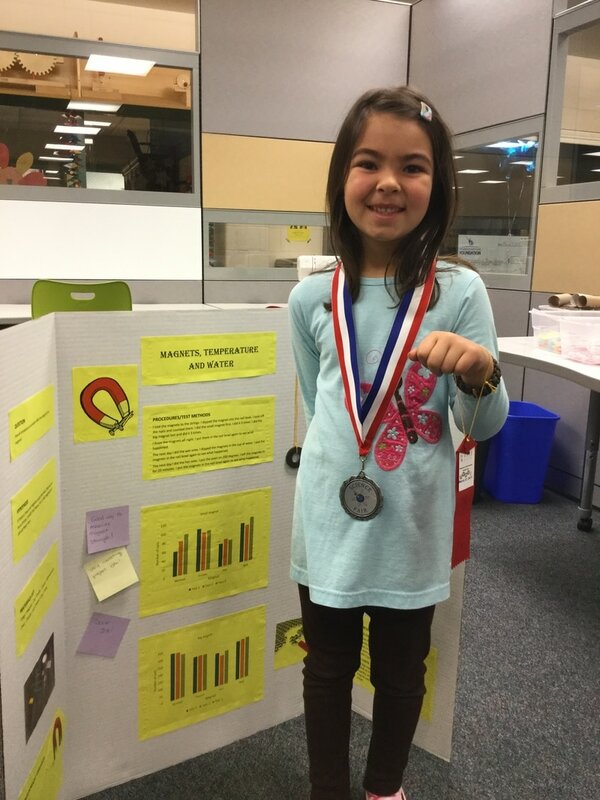 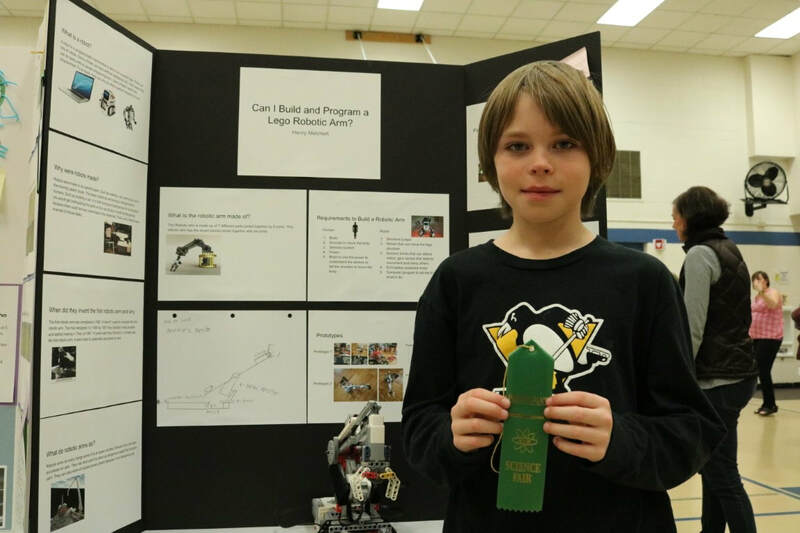 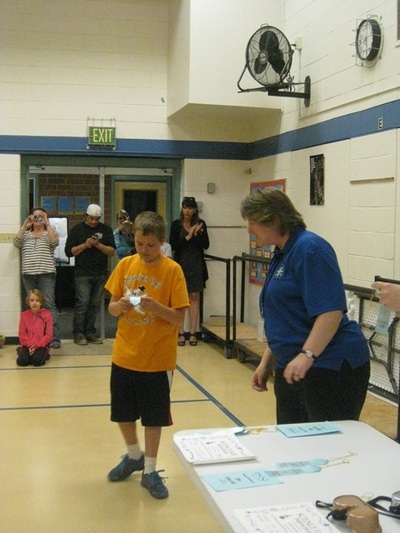 Congratulations to the 2015 Shepardson STEM Science Fair winners! 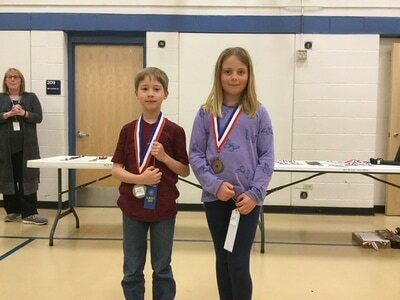 Special recognition to Hailey C. - 1st Place; Lance J. - 2nd Place; and Luke W. - 3rd Place. Outstanding work 4th and 5th Graders! 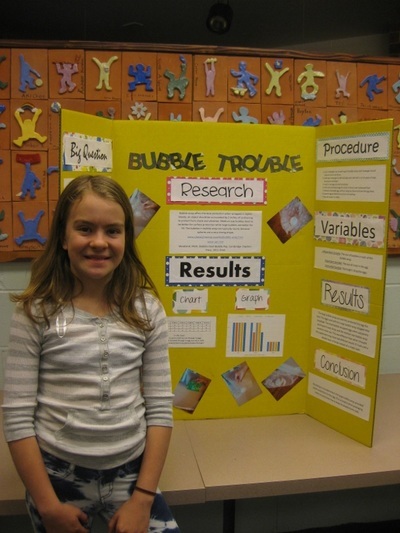 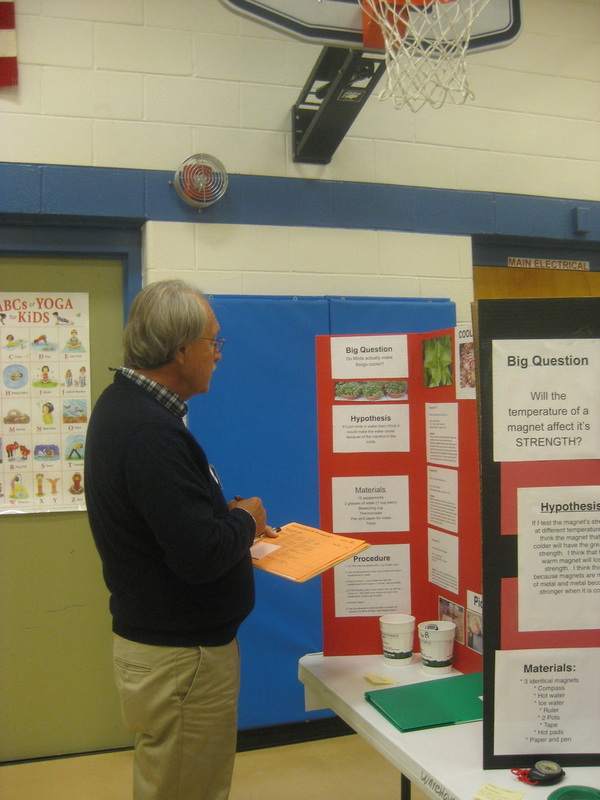 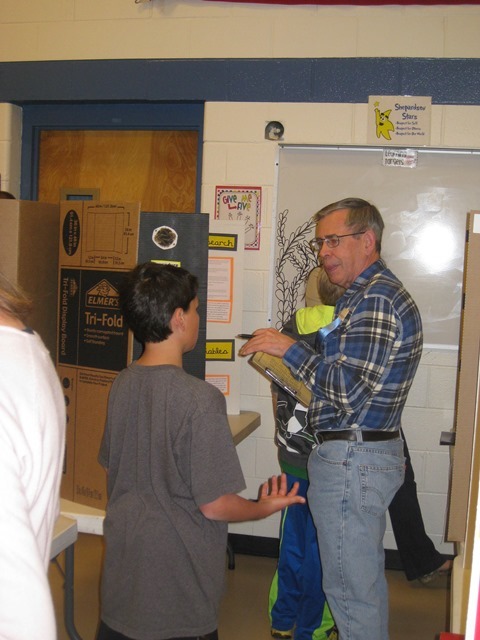 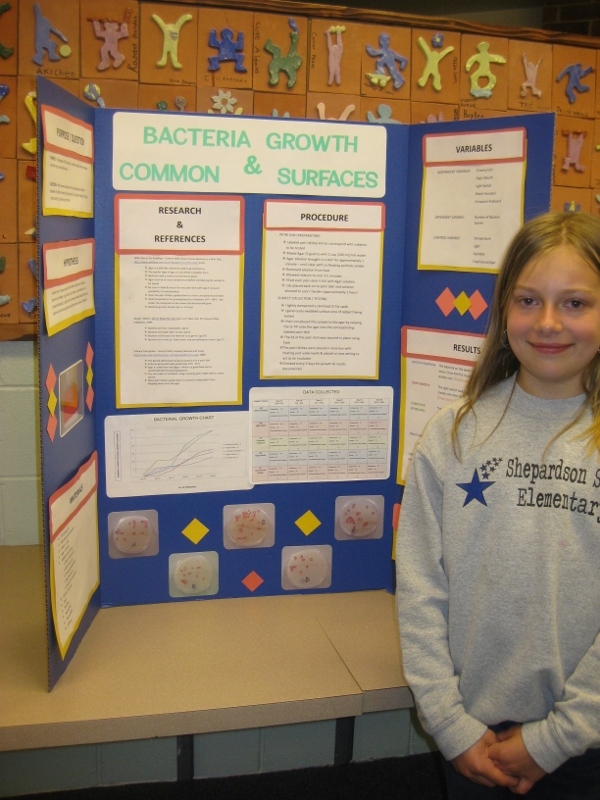 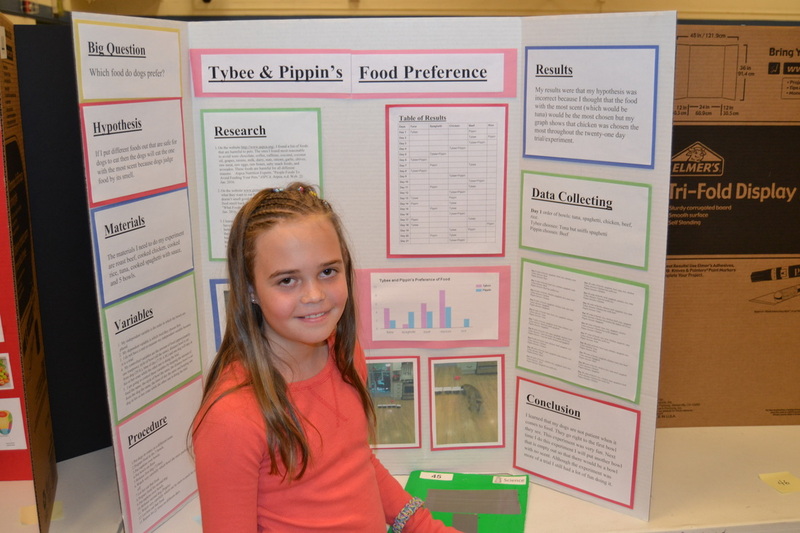 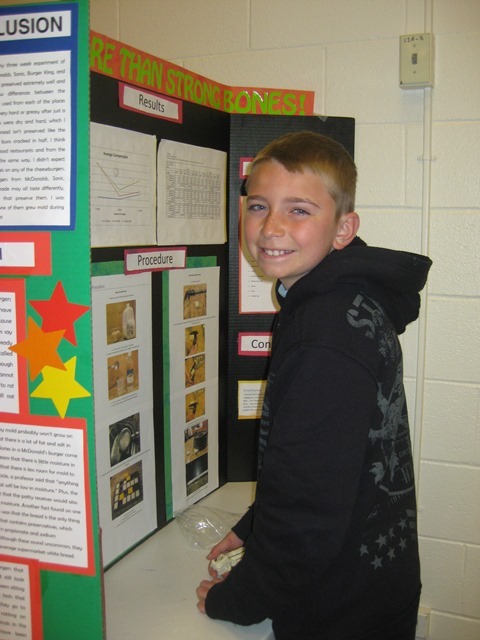 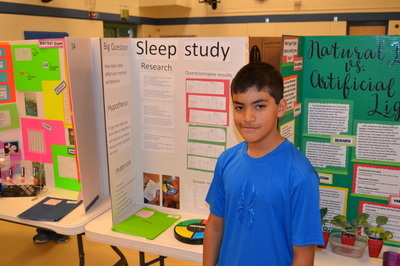 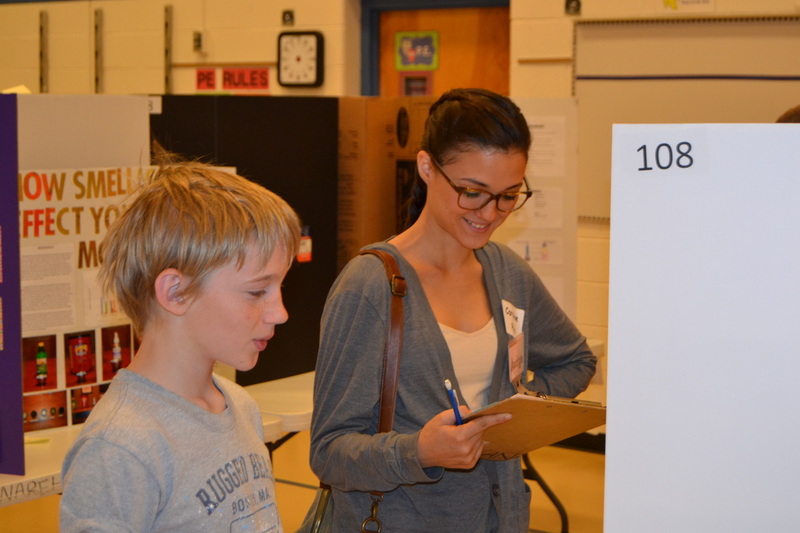 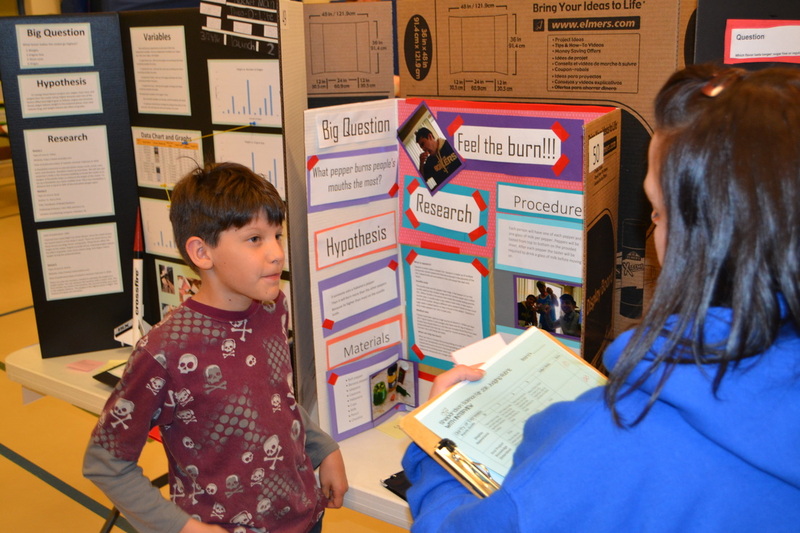 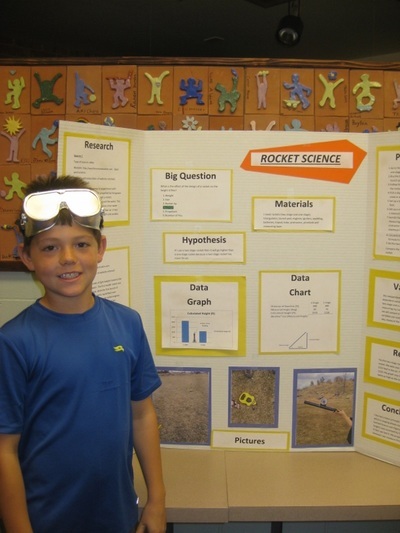 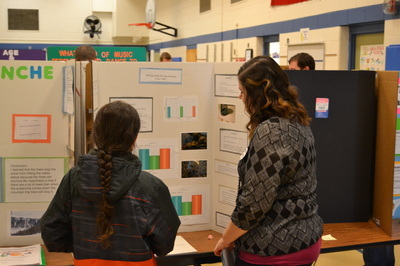 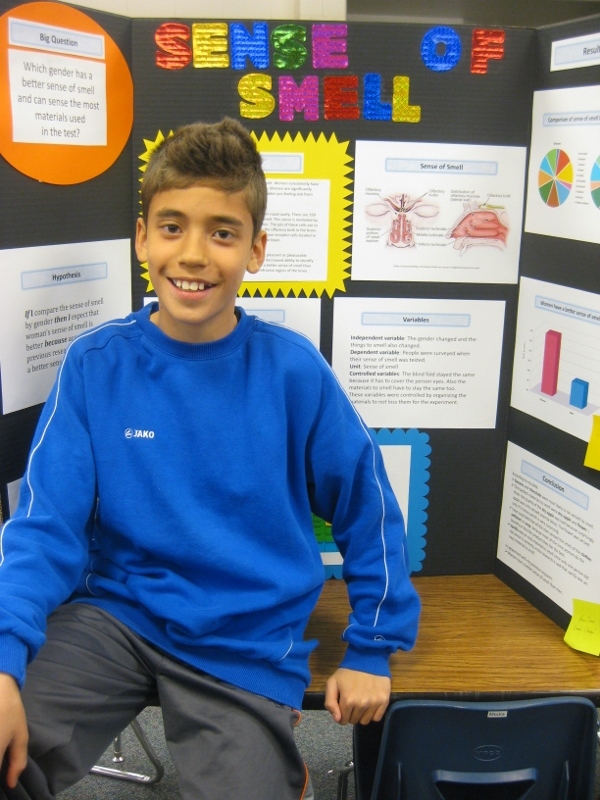 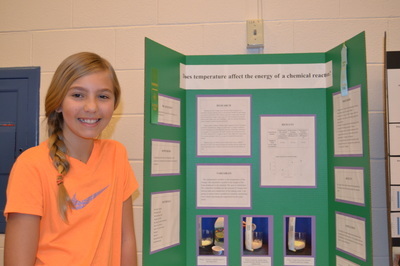 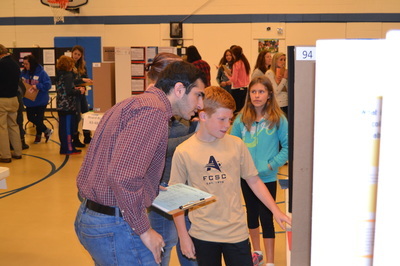 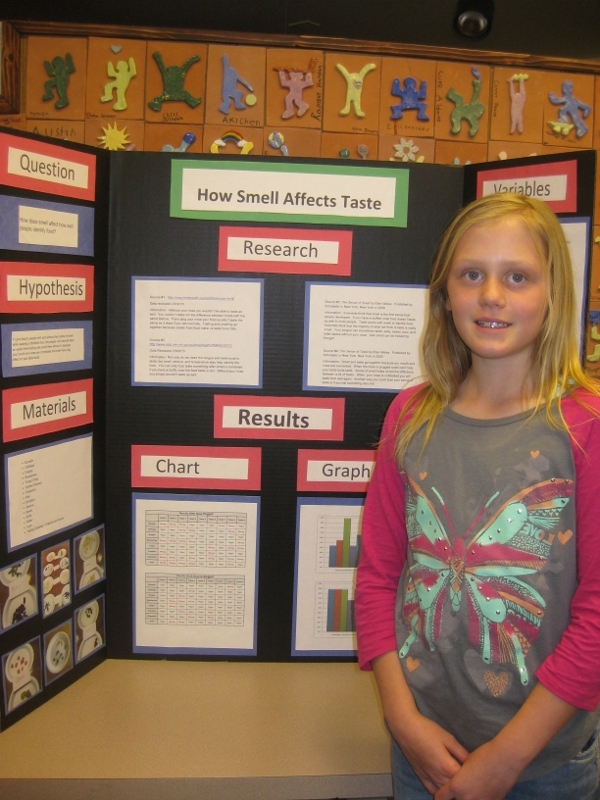 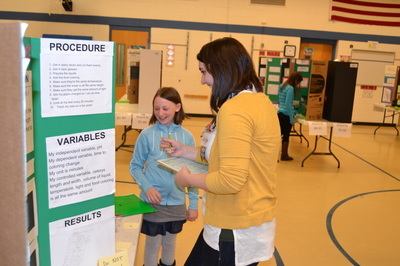 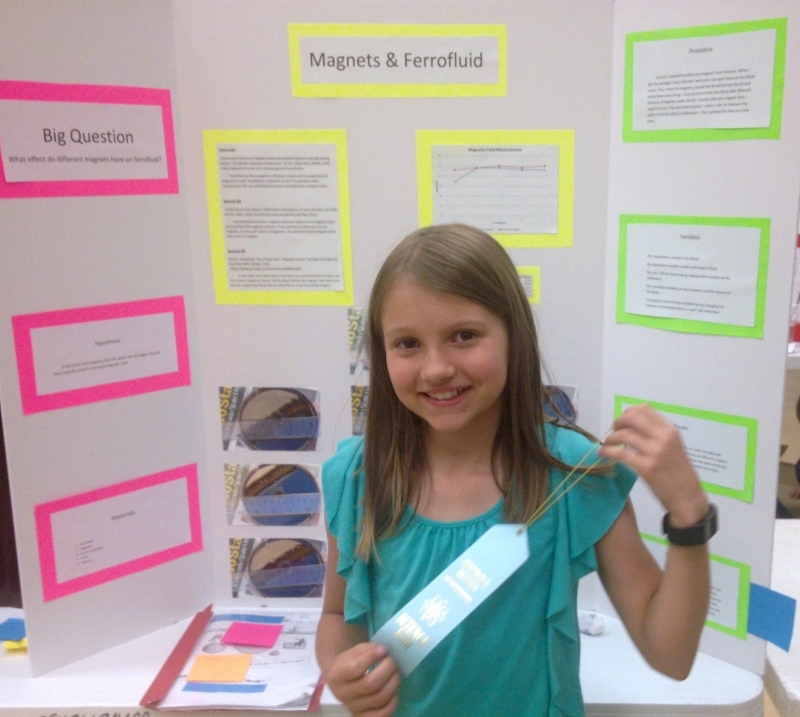 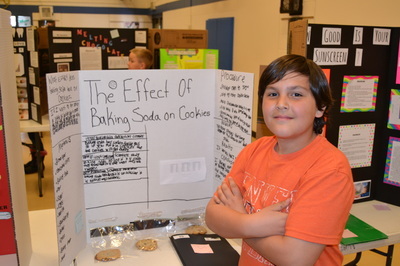 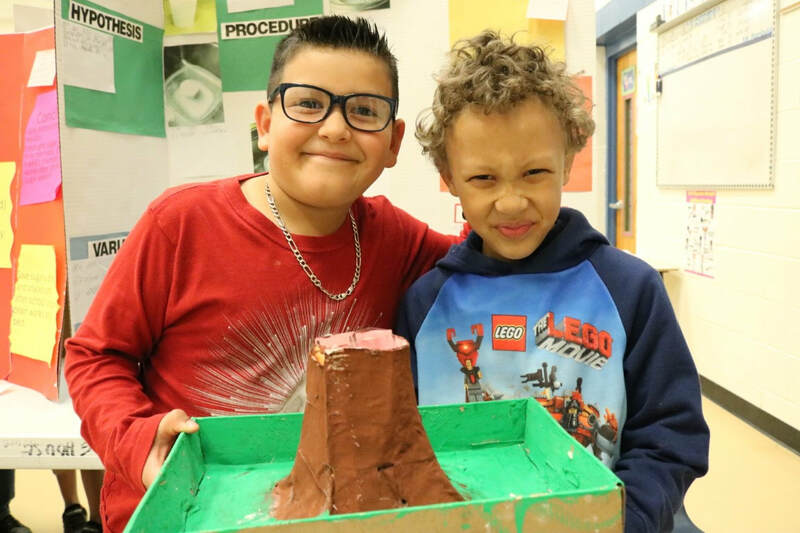 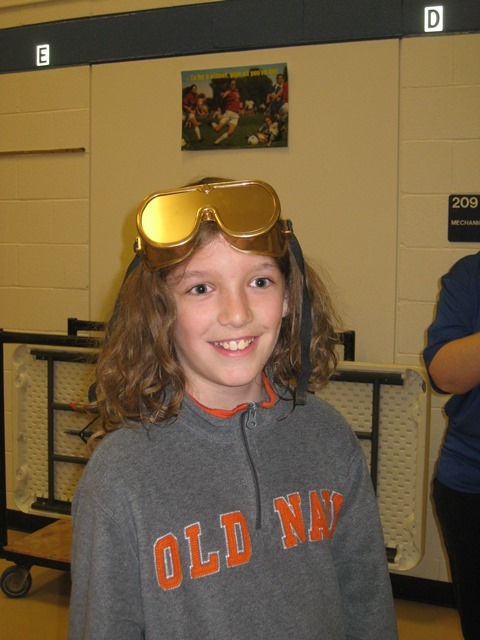 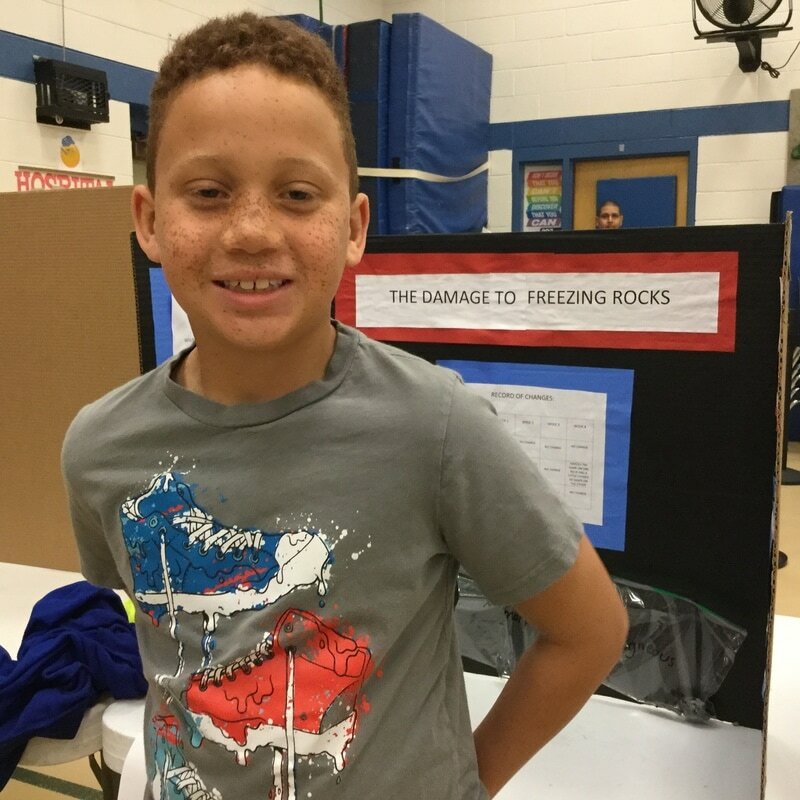 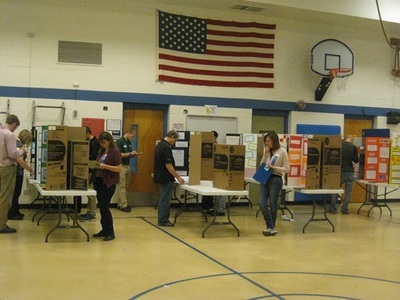 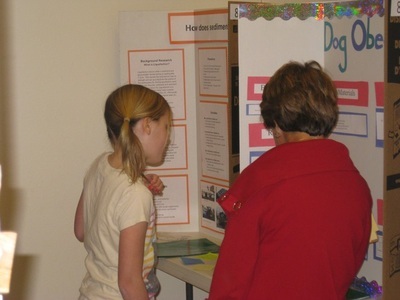 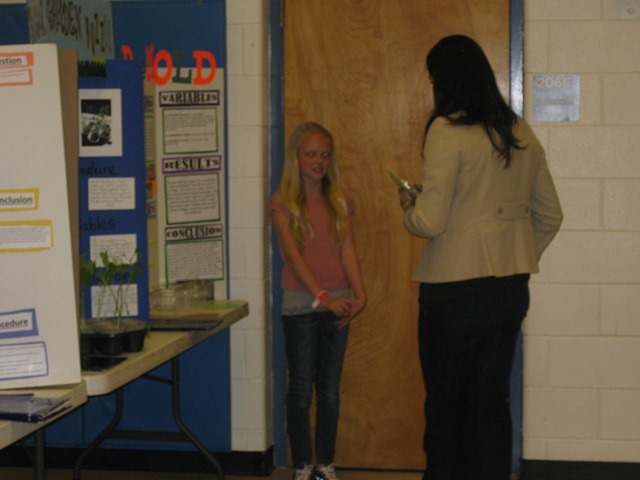 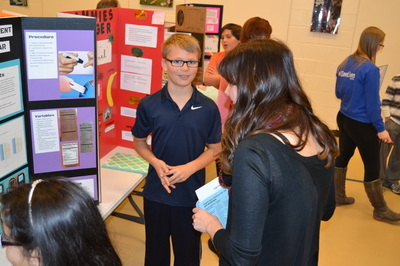 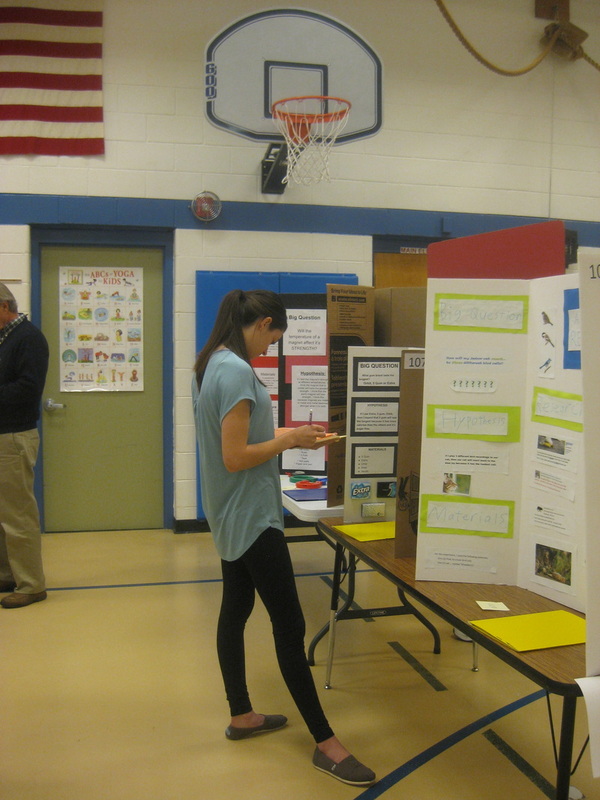 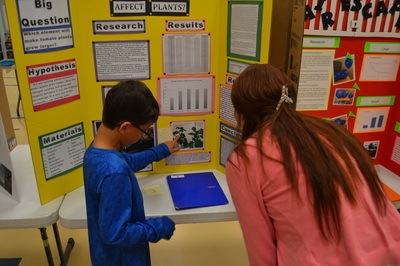 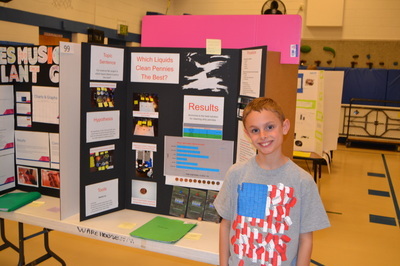 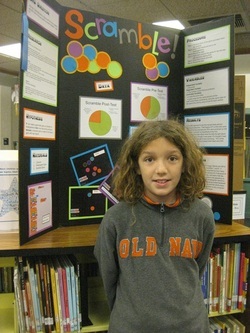 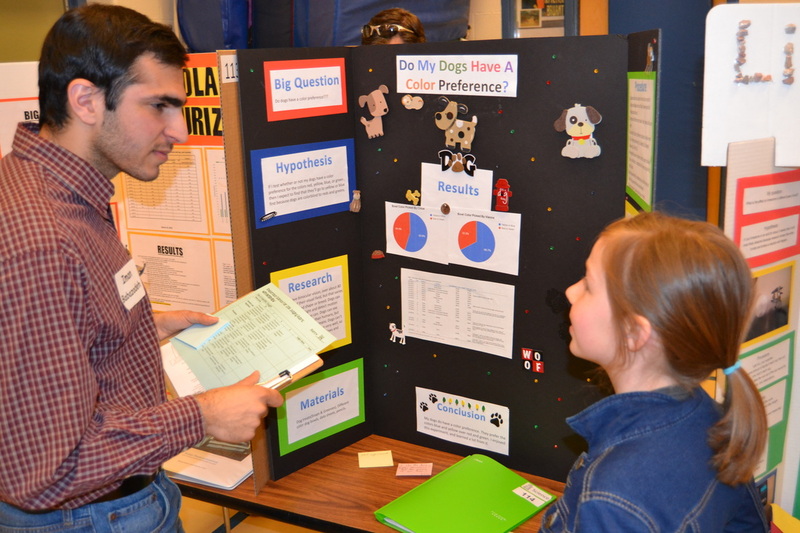 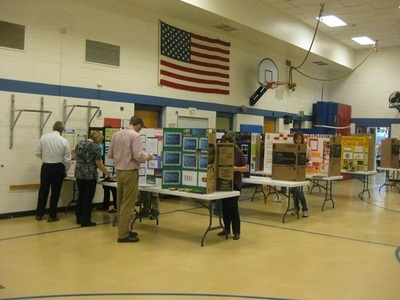 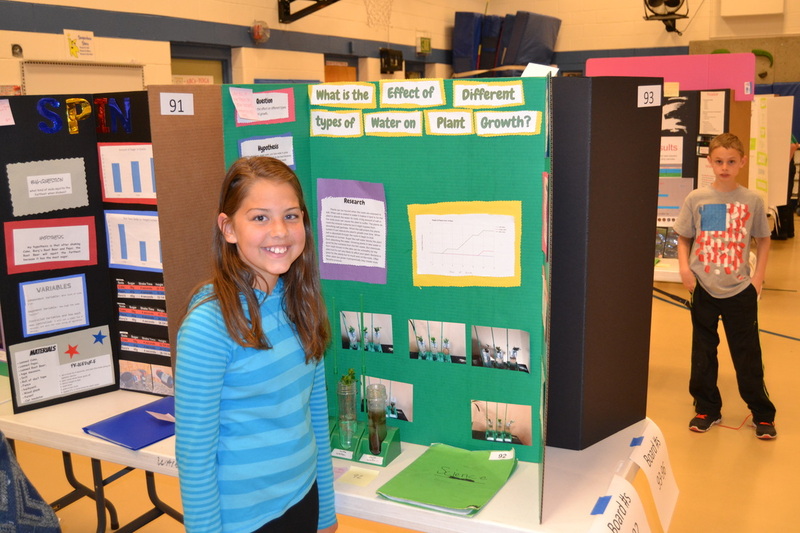 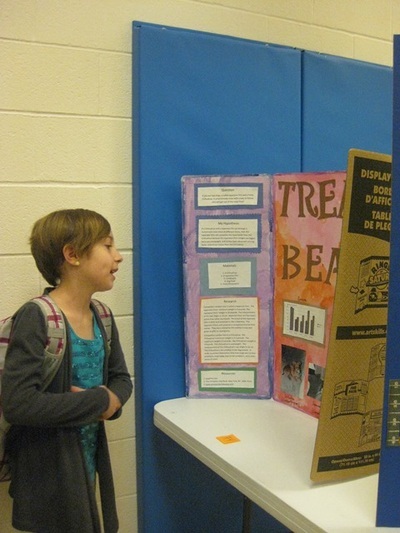 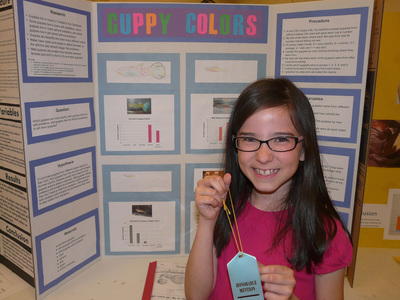 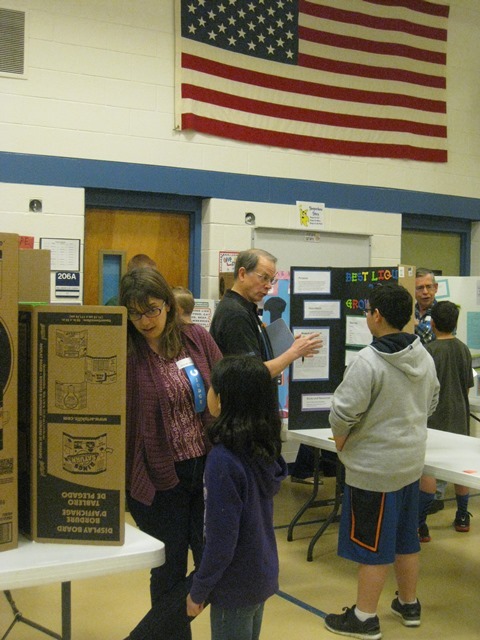 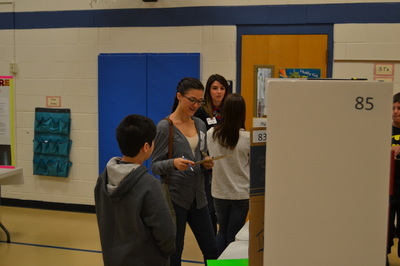 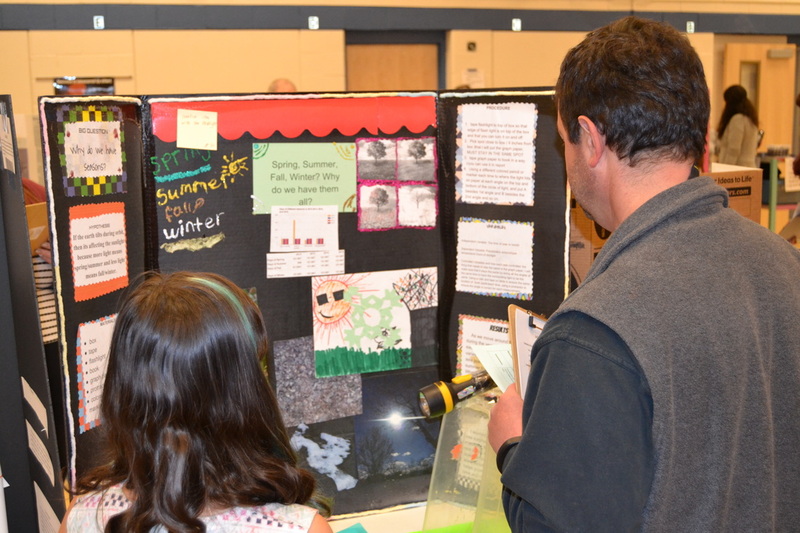 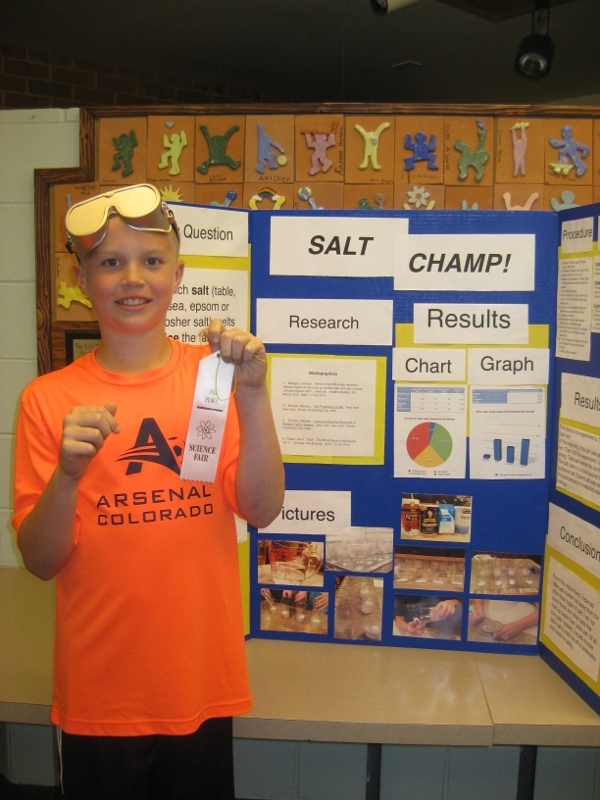 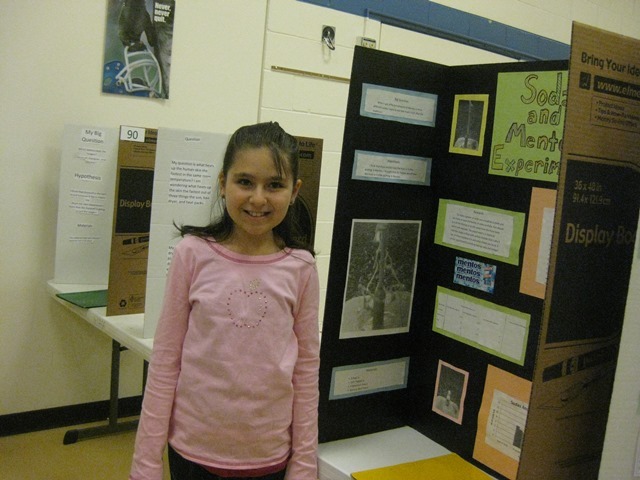 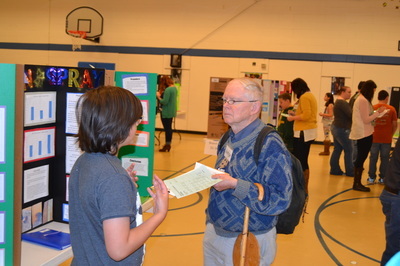 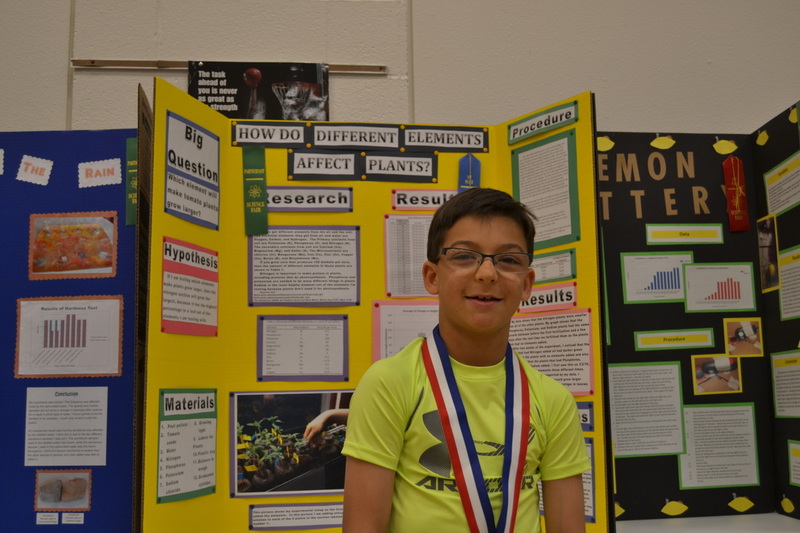 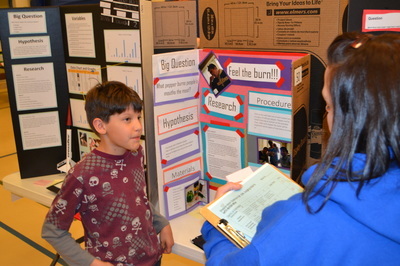 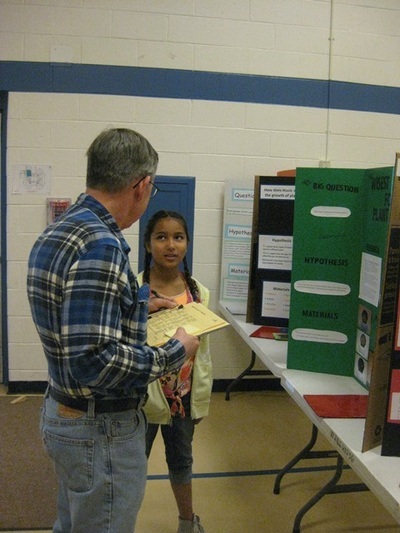 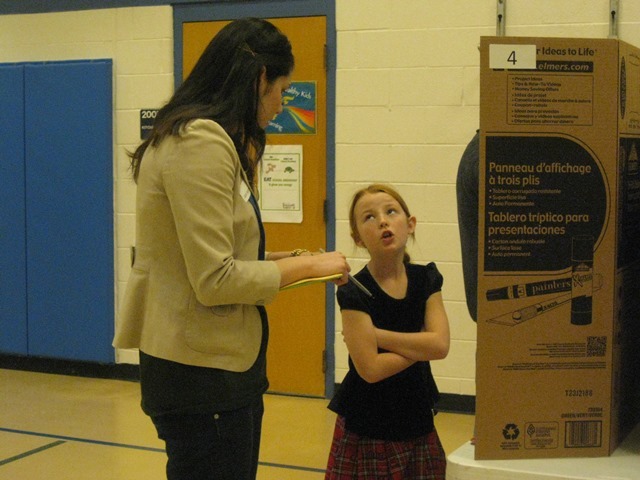 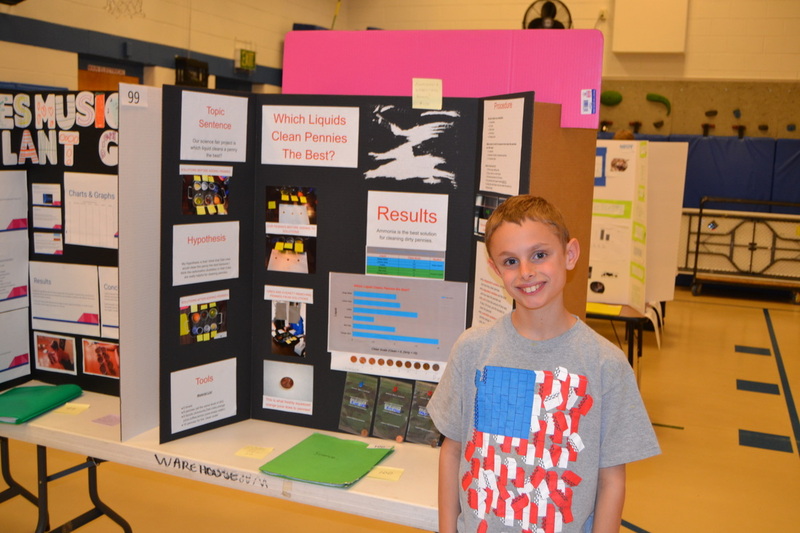 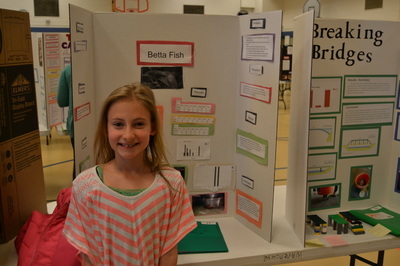 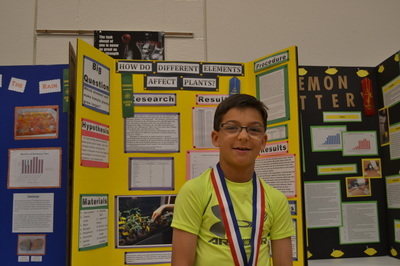 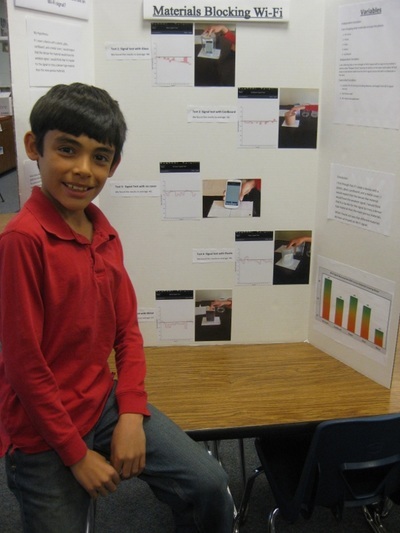 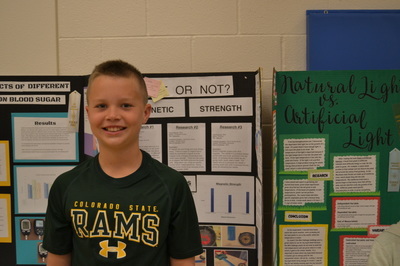 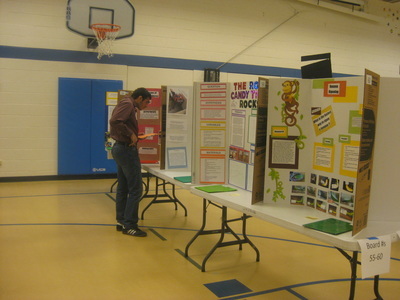 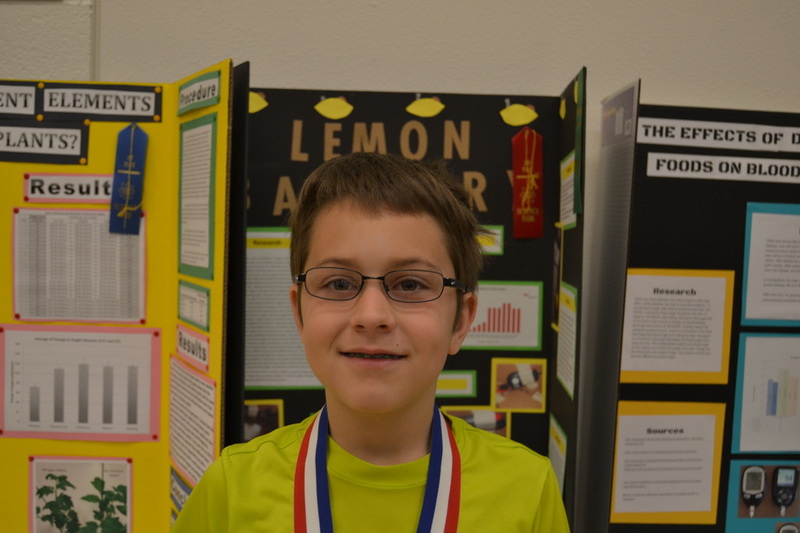 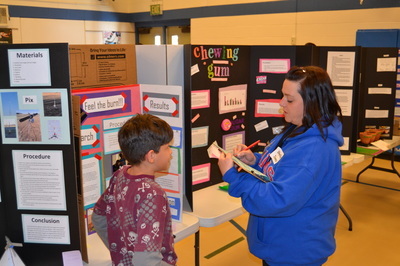 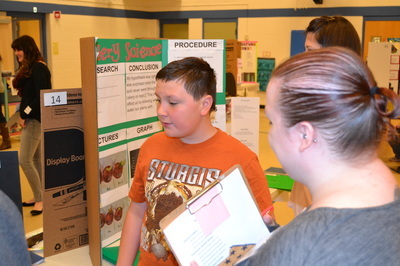 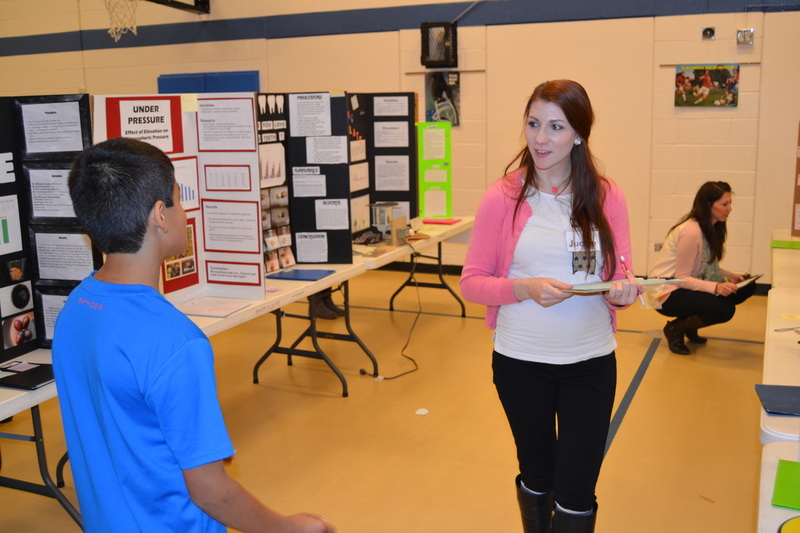 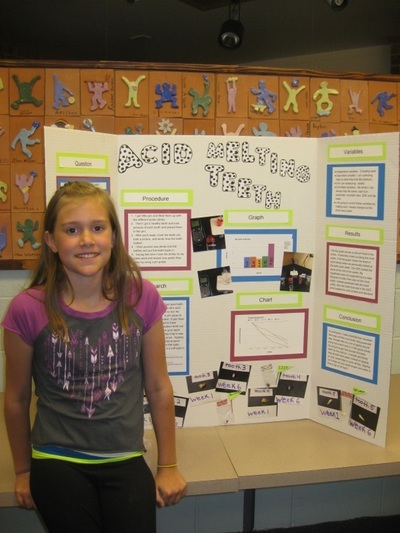 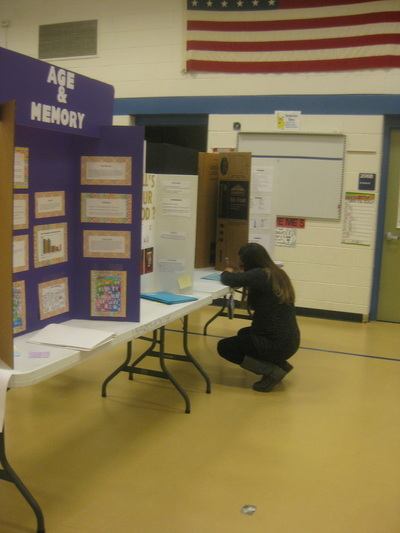 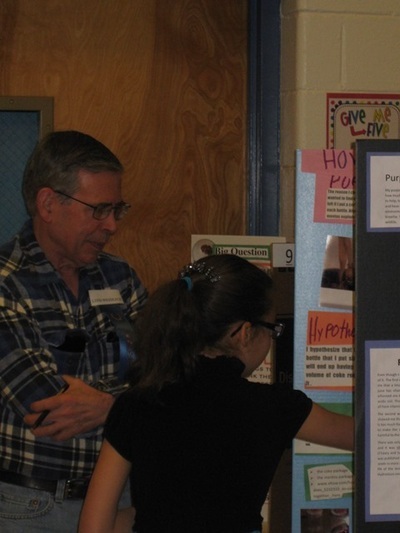 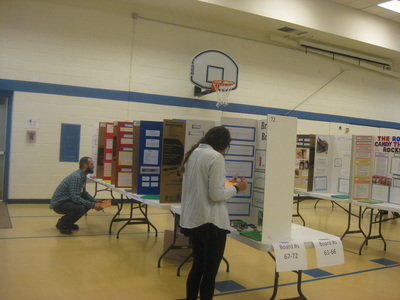 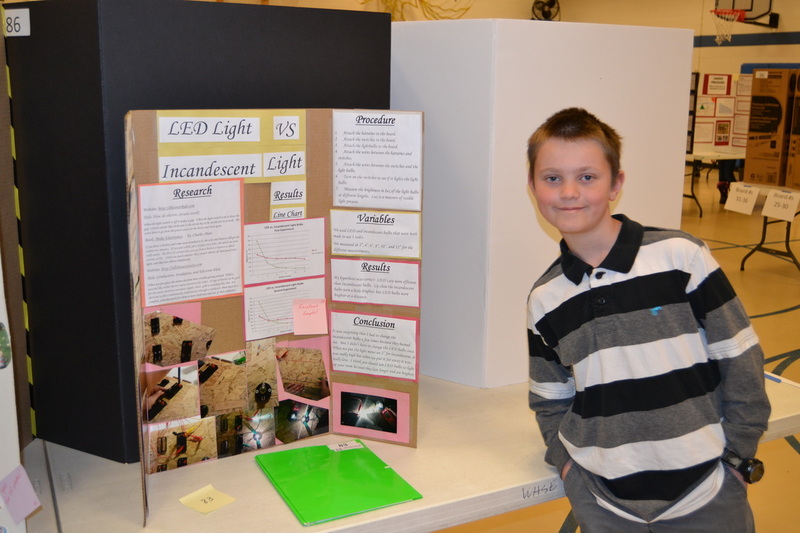 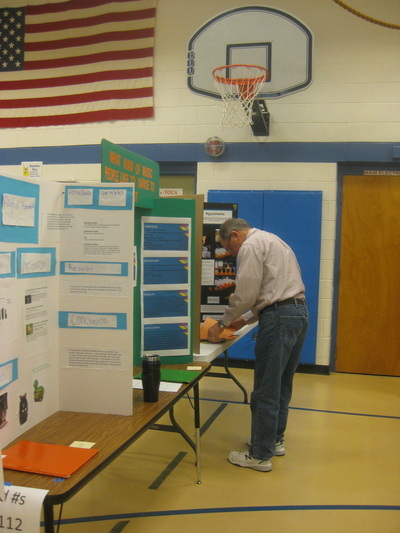 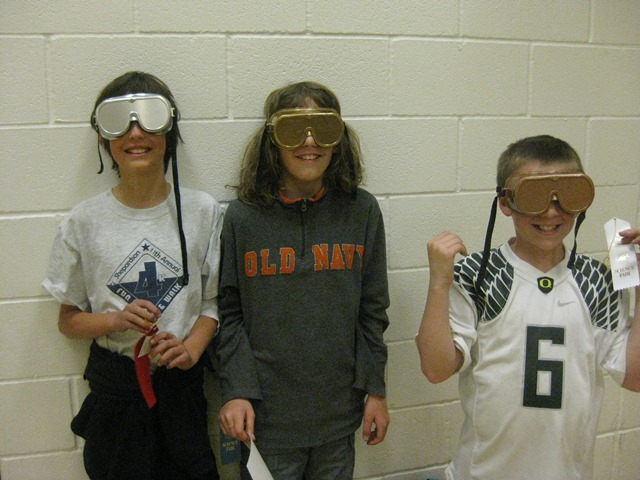 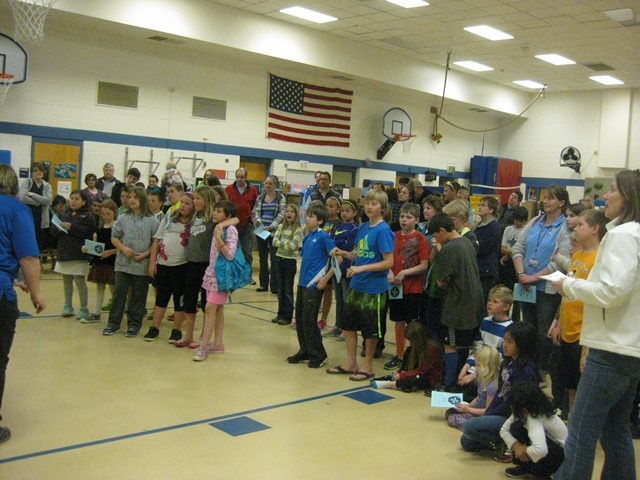 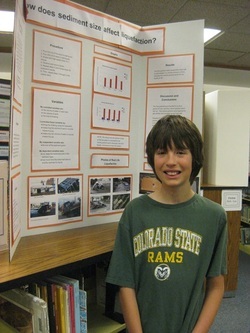 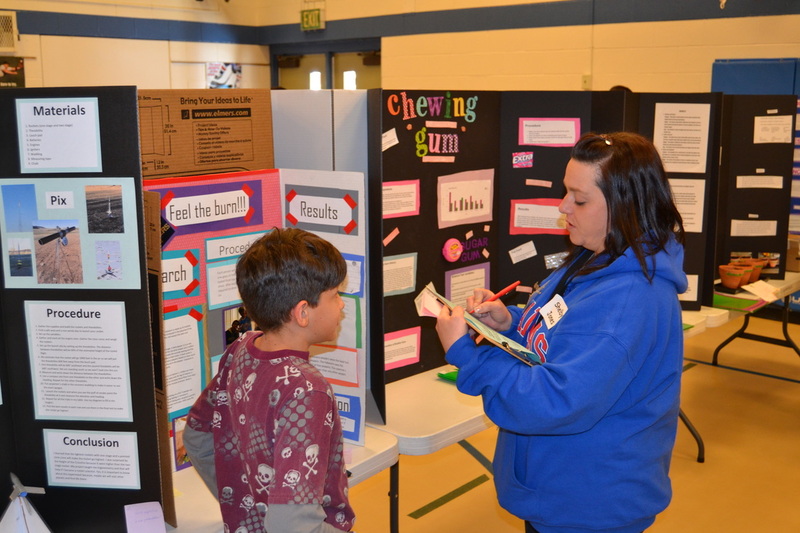 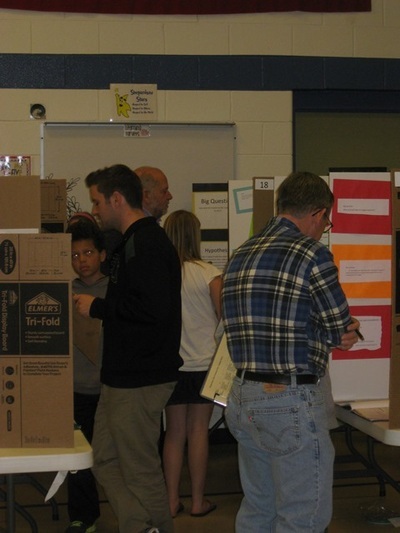 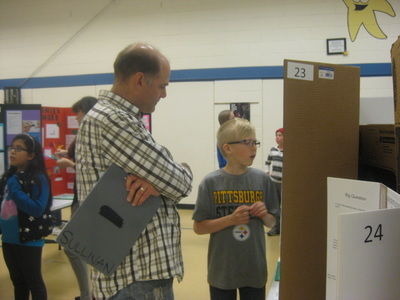 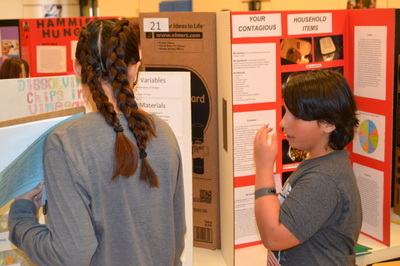 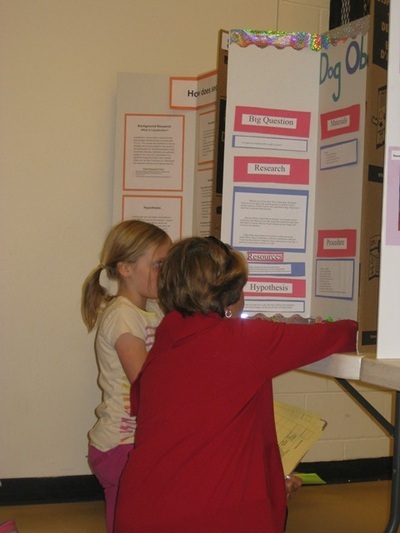 All 4th and 5th graders participated in this year's science fair. 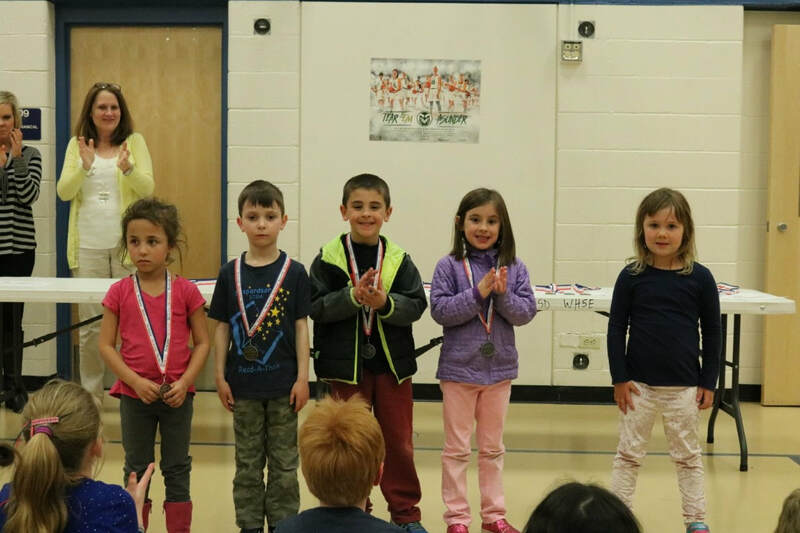 Congratulations to all of the students for their hard work! 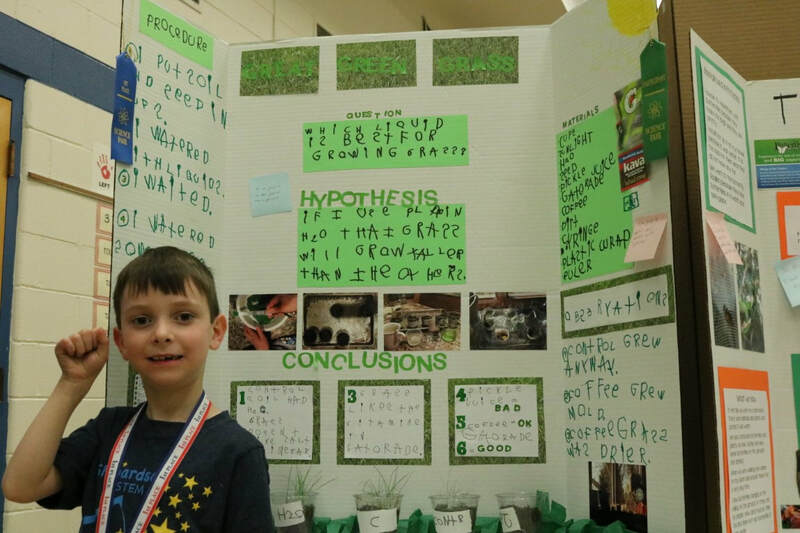 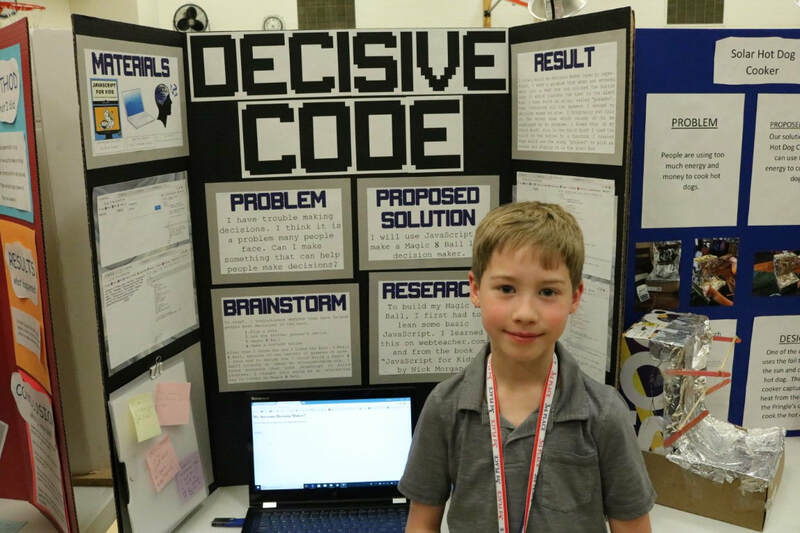 Gavin's wrote a computer program to teach kindergarteners sums that equal 1: _+_=10. He then tested how much the students' proficiency improved before and after using the program. 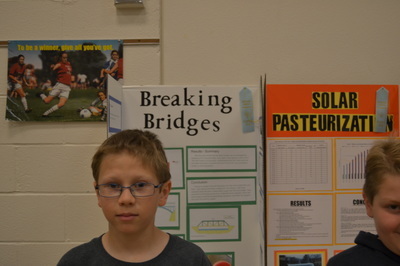 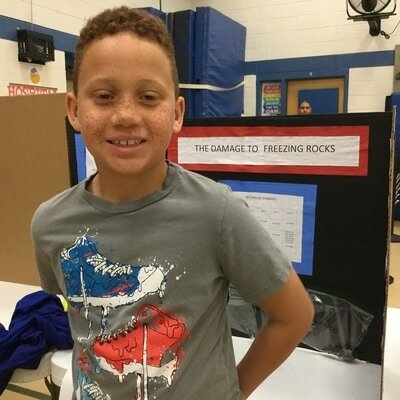 Josh's project showed the effects of different coarseness of sediment on liquefication. This applies to structures such as houses or buildings in an earthquake. The more liquid the soil becomes, the more damage can occur. 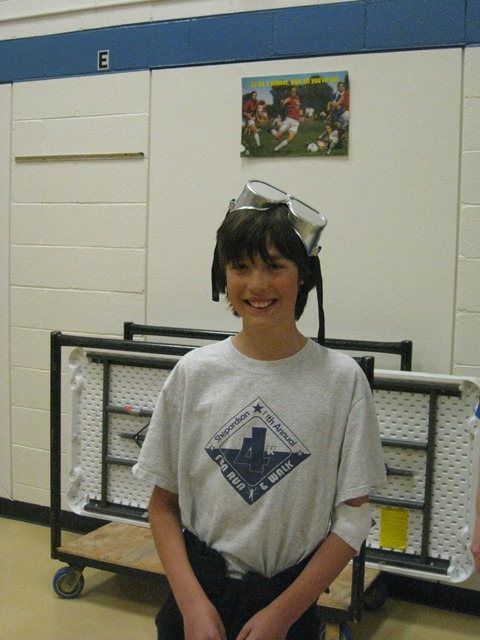 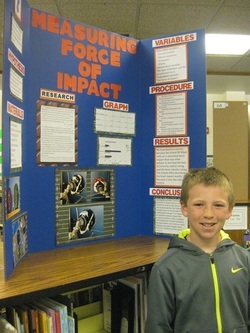 Max's project showed the results of force on different types of football helmets.